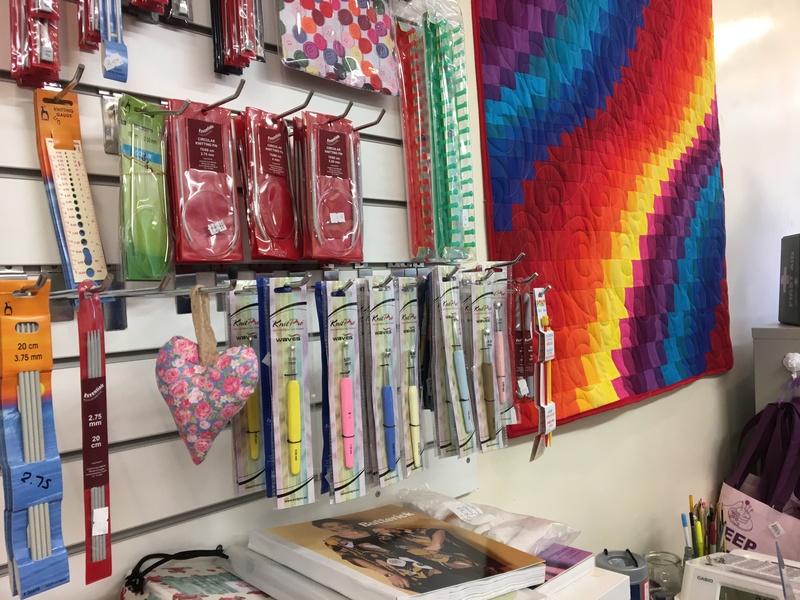 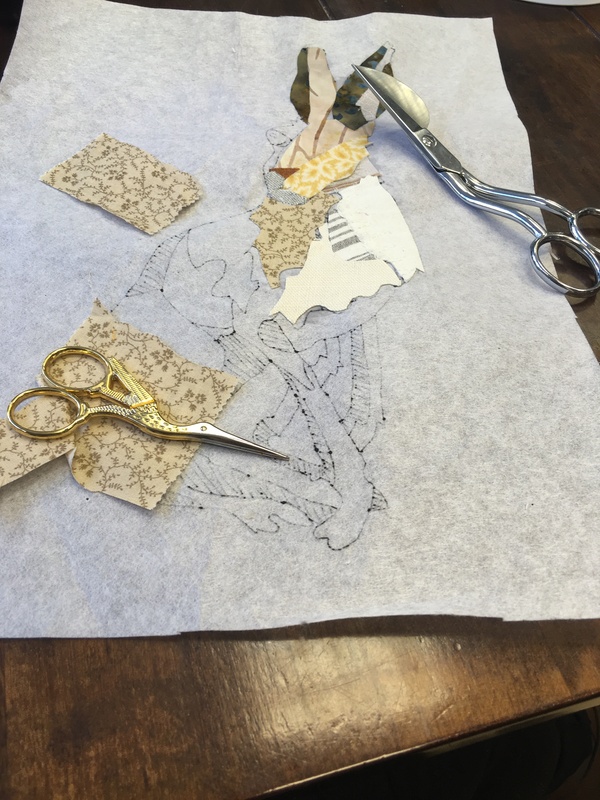 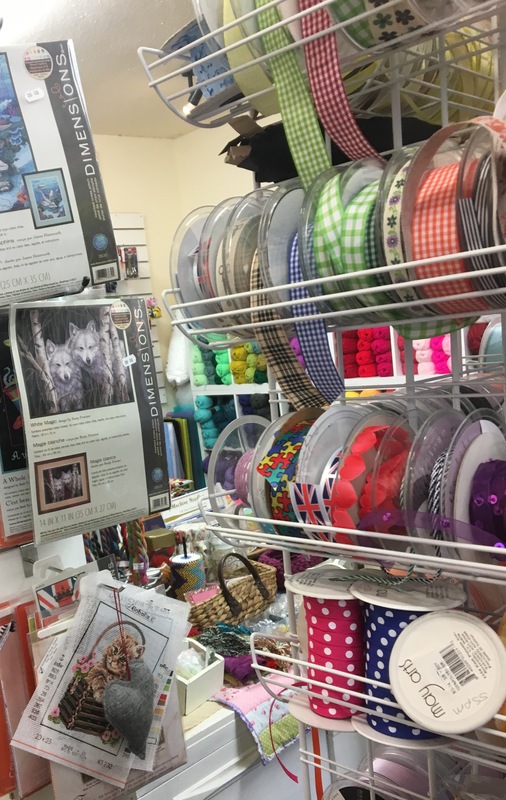 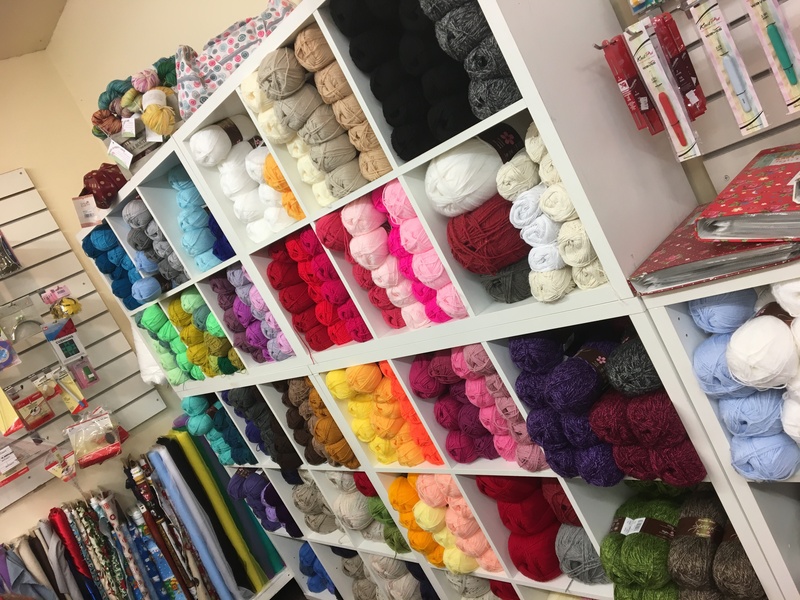 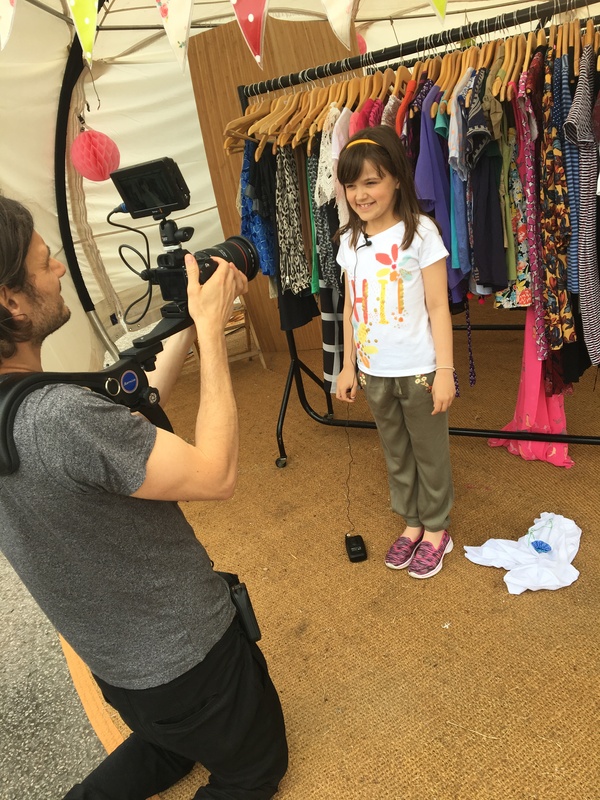 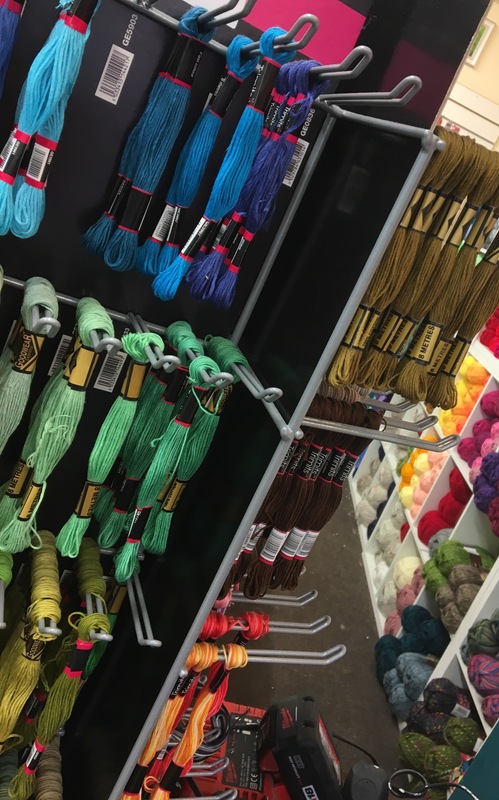 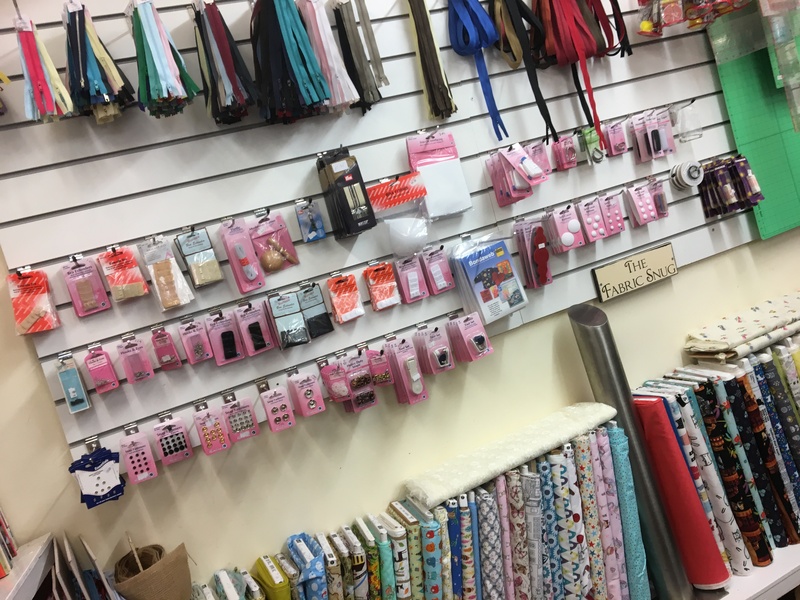 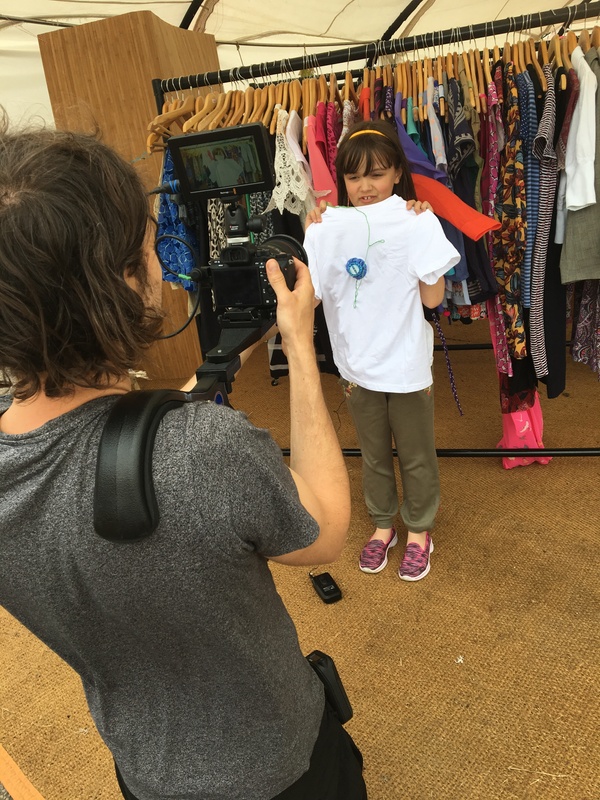 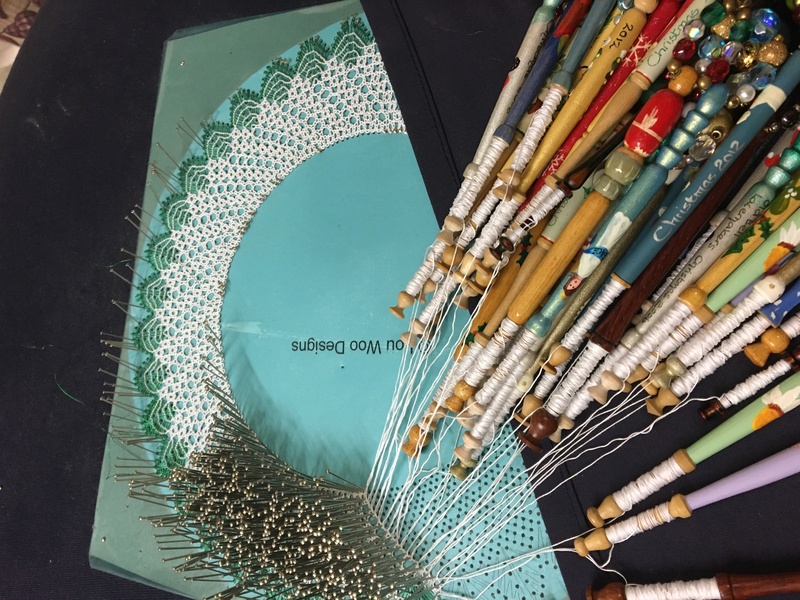 behind the scenes – The haberdashery Blog. 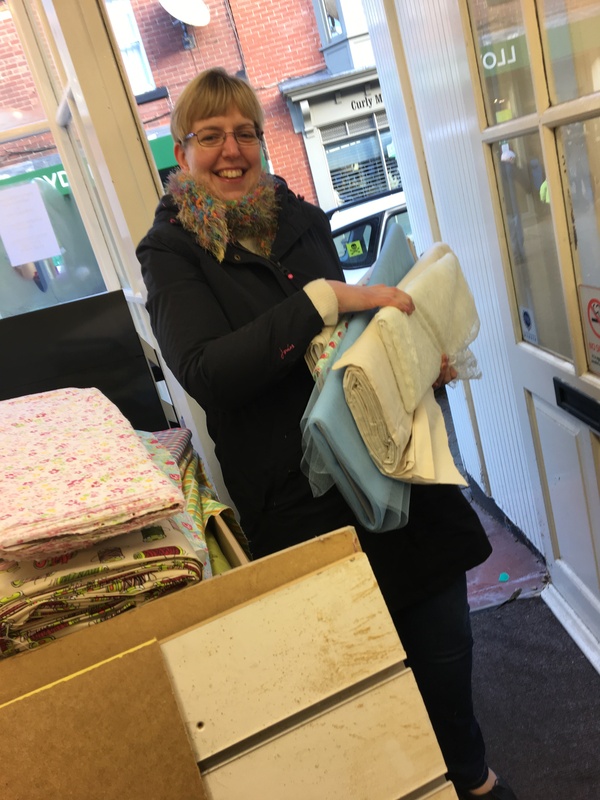 A Quick Catch Up …….. 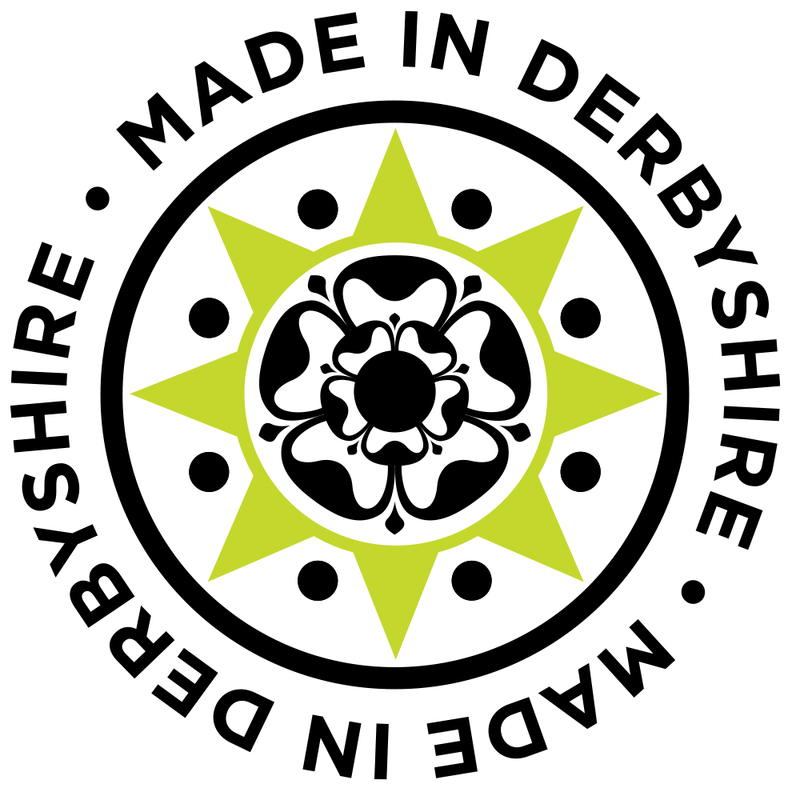 Welcome to this weeks blog post from a windy Derbyshire. 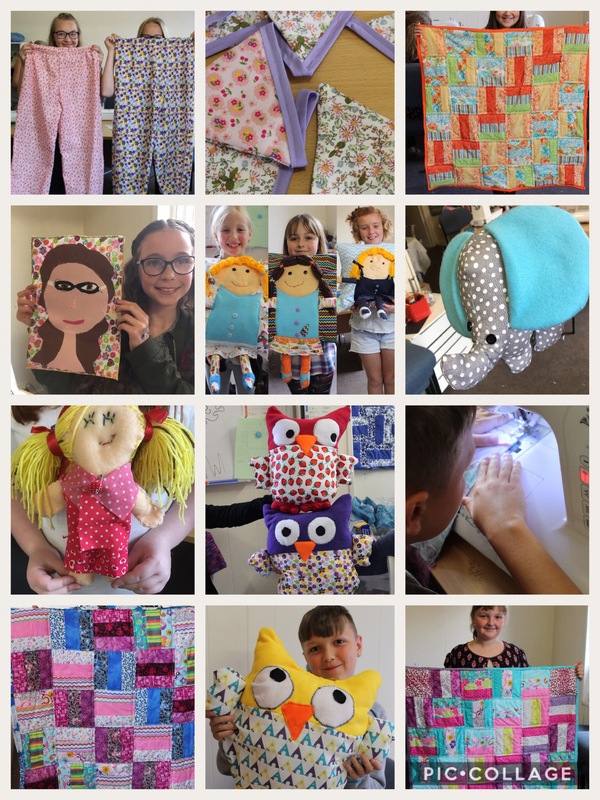 It’s been a lovely week here planning, organising and workshops. 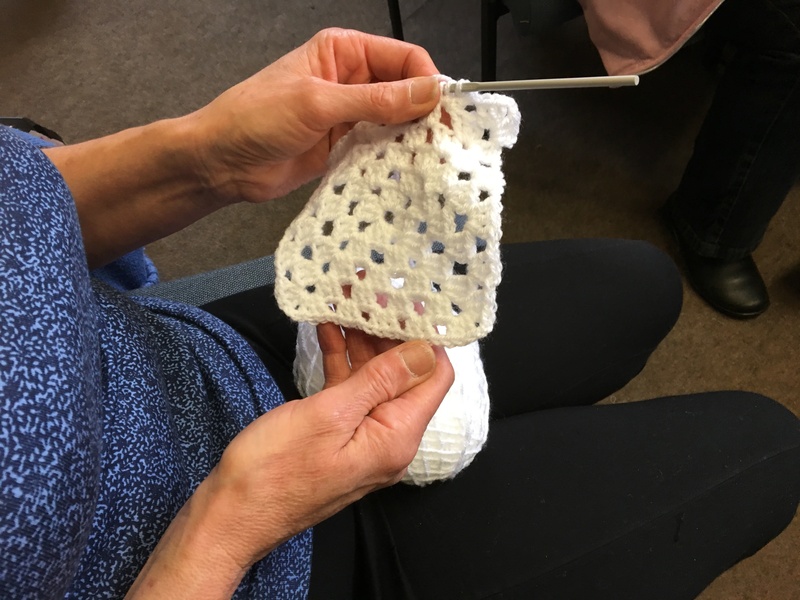 we start this week with the crochet workshop with our Sue. 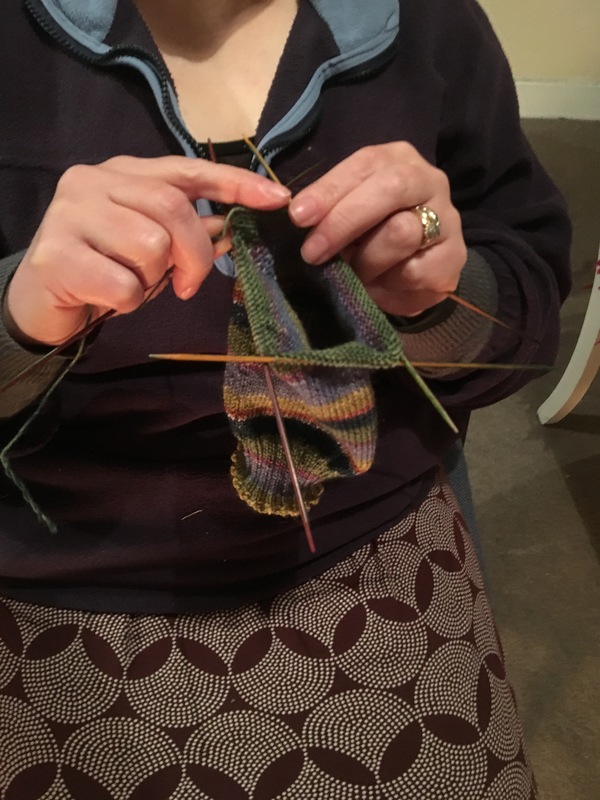 At the moment it’s all about the socks and virus shawls…. 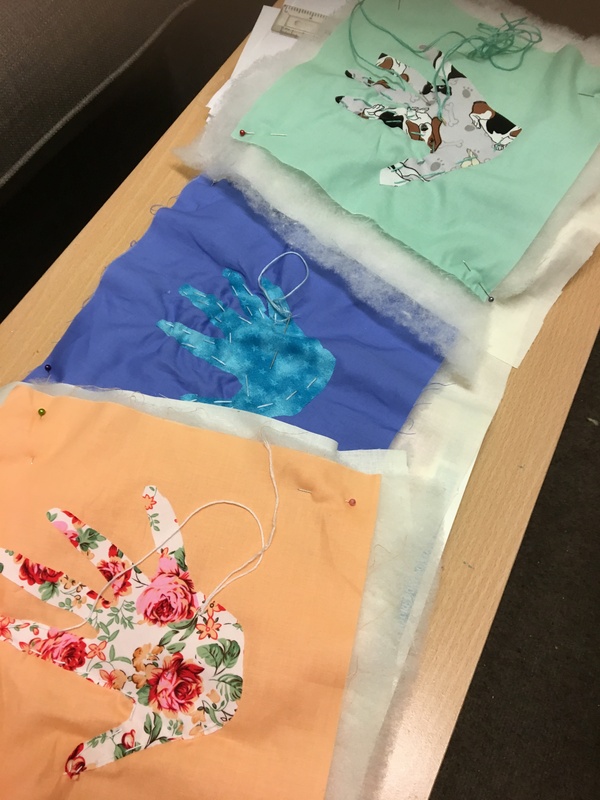 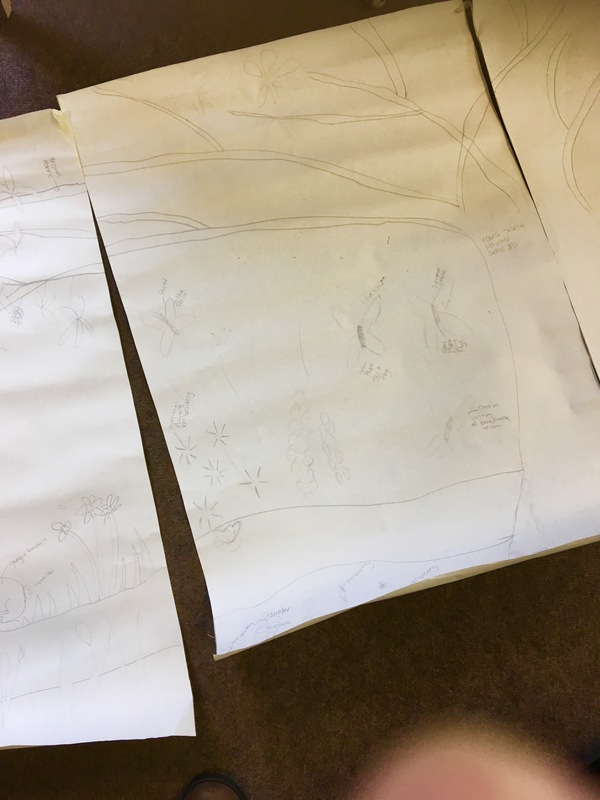 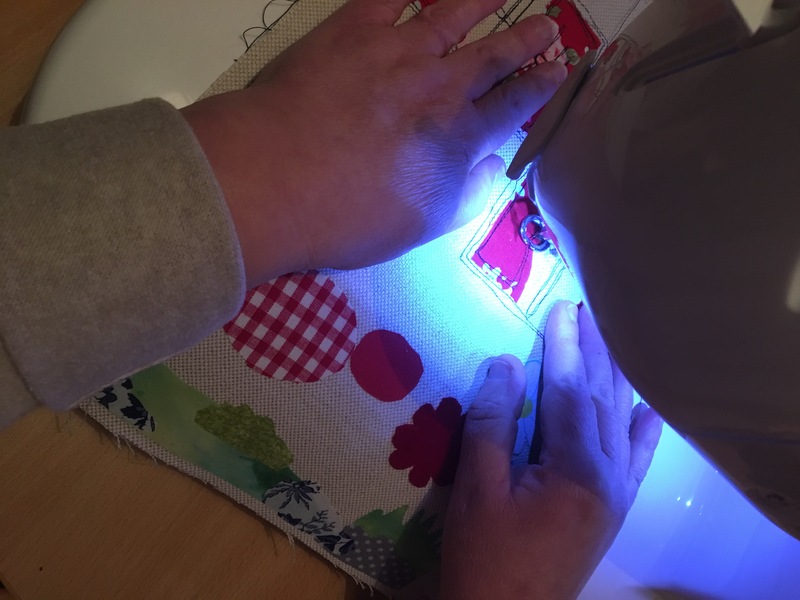 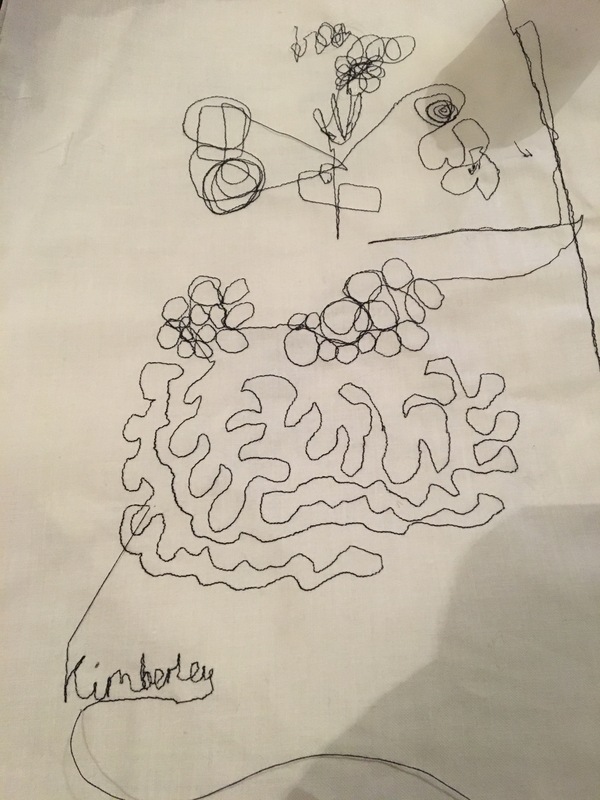 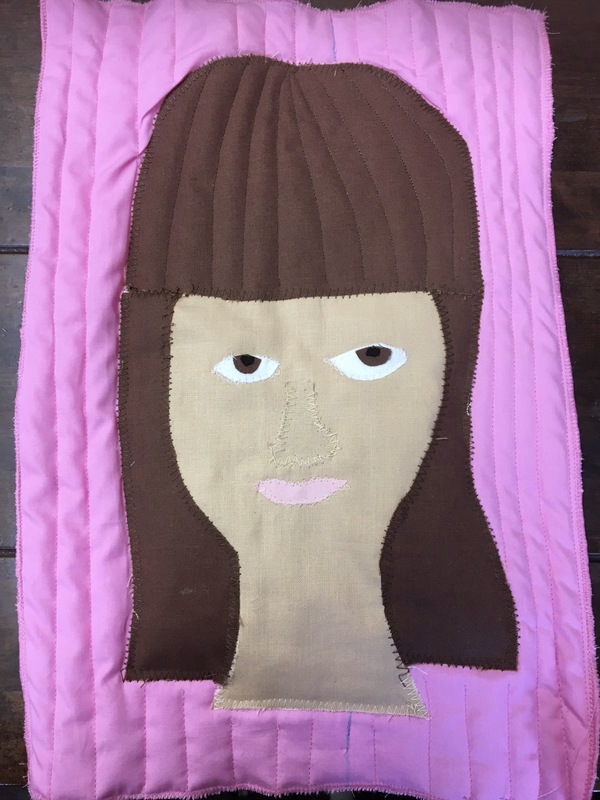 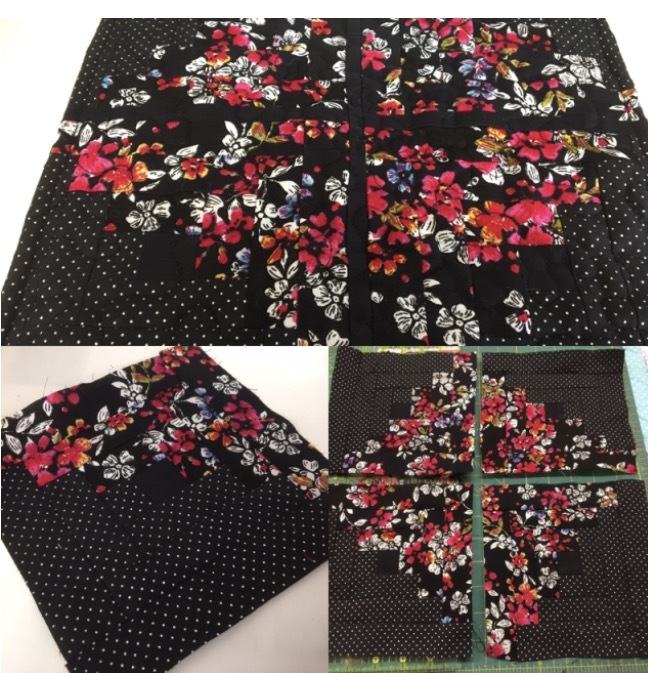 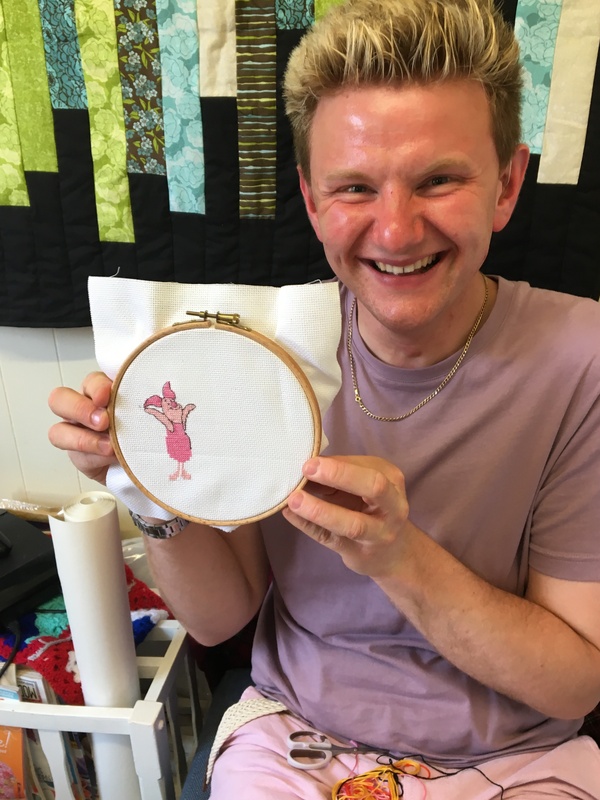 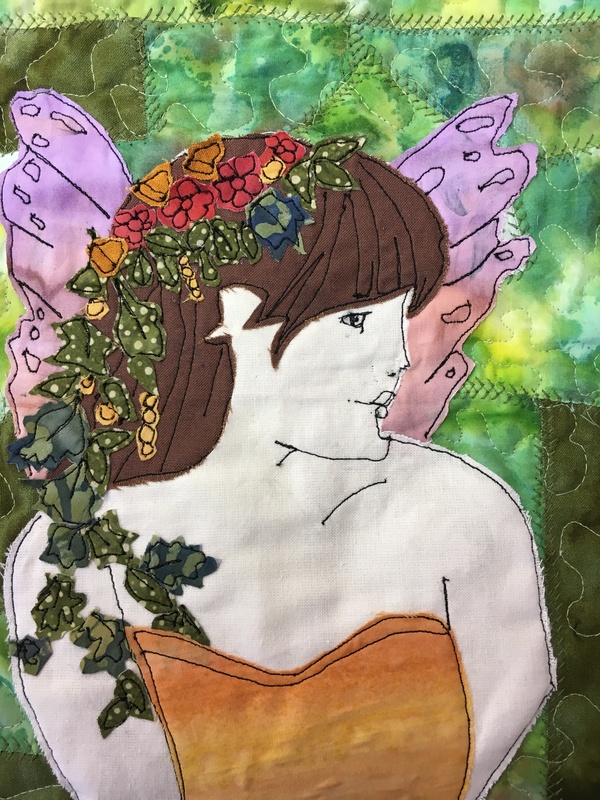 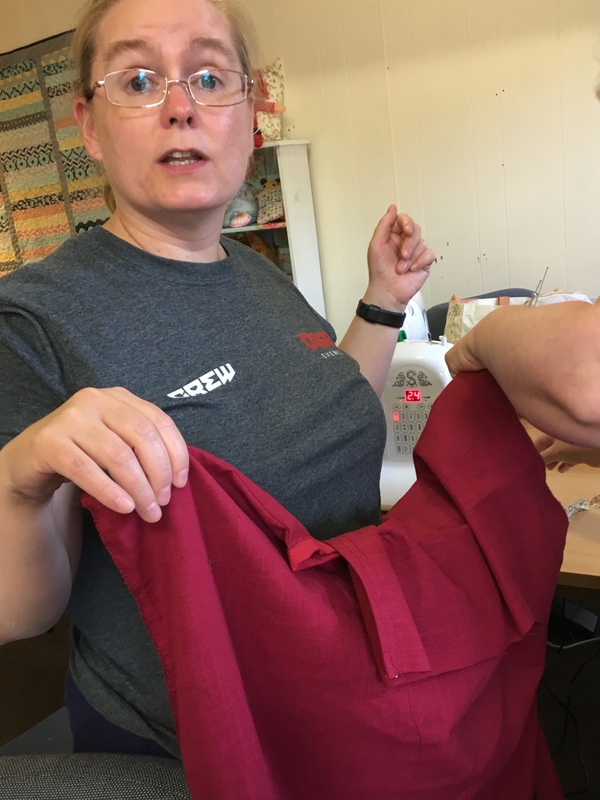 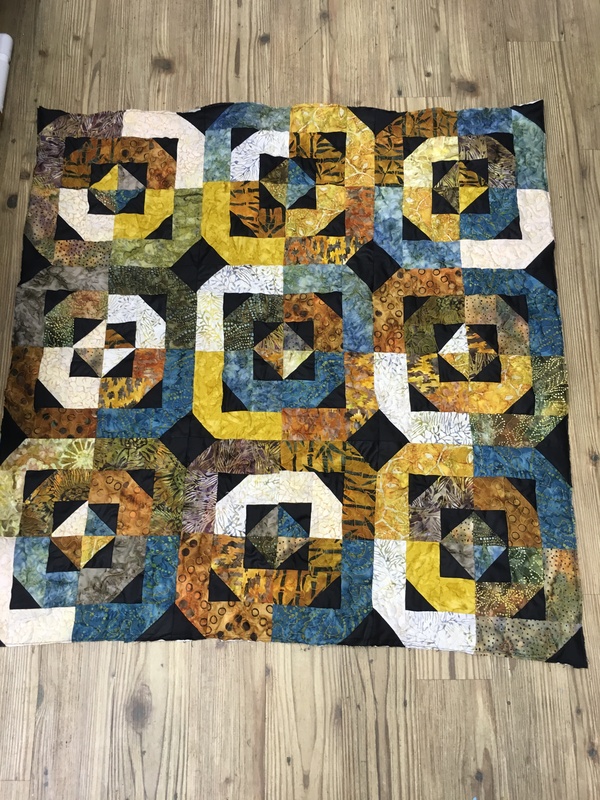 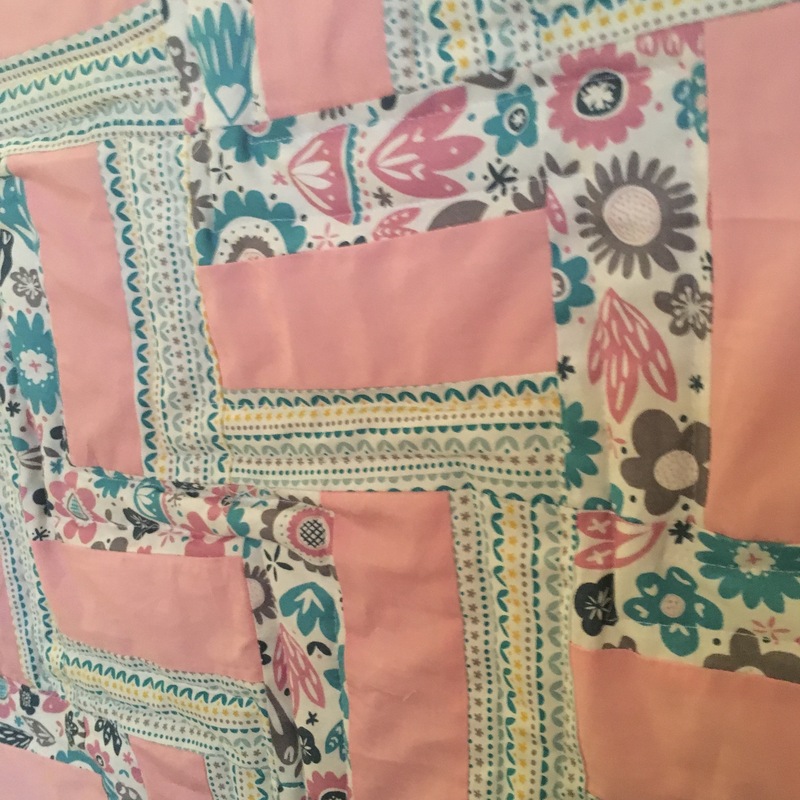 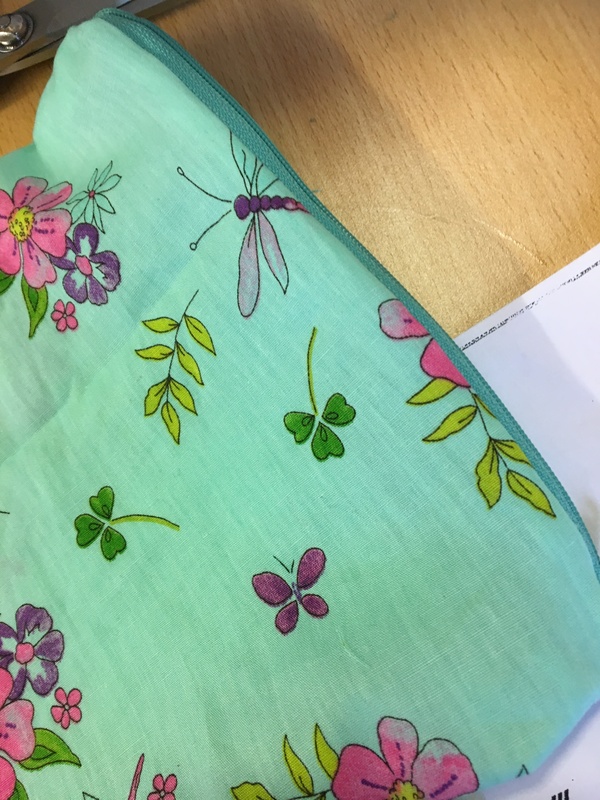 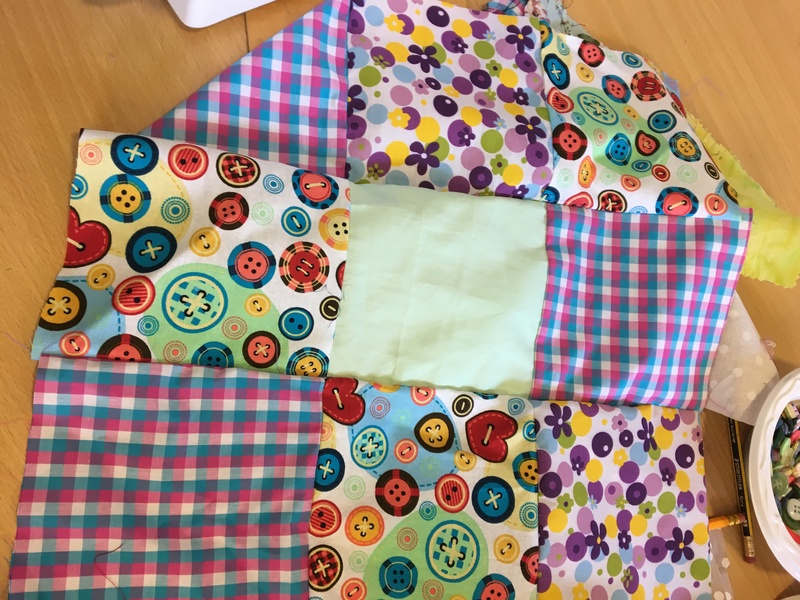 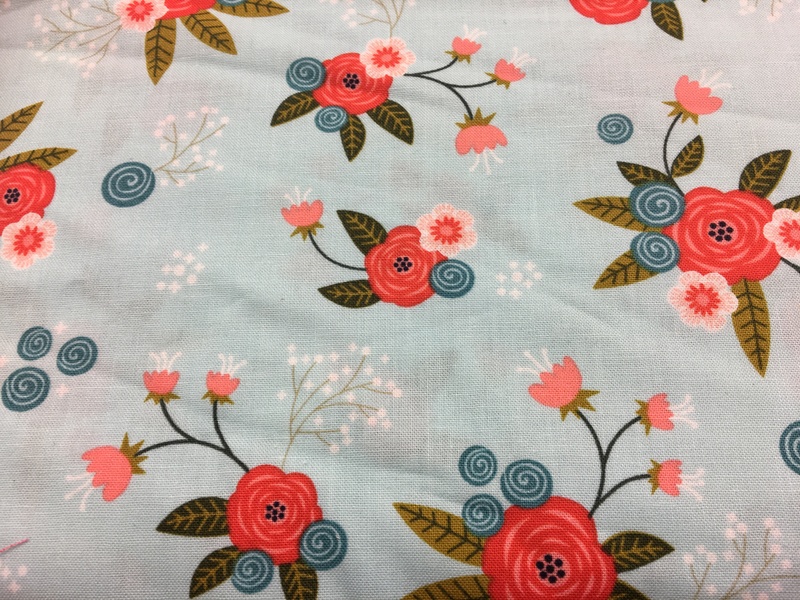 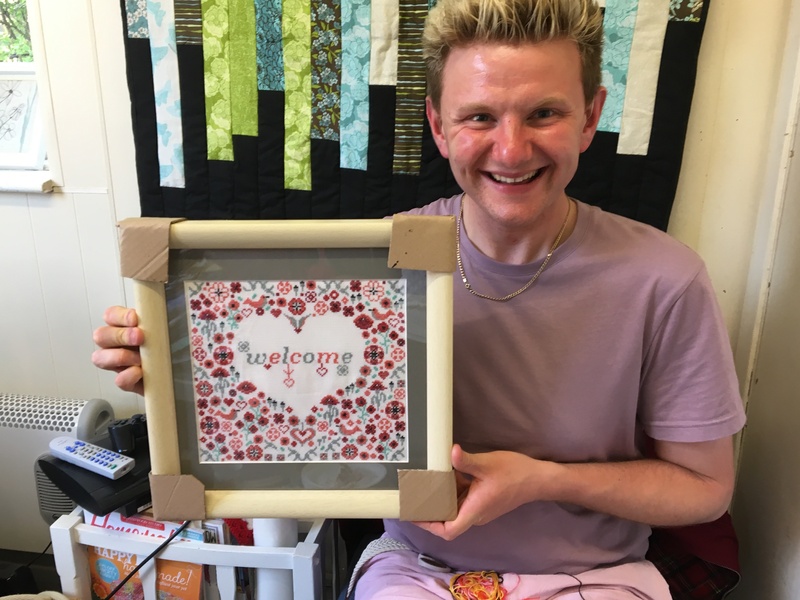 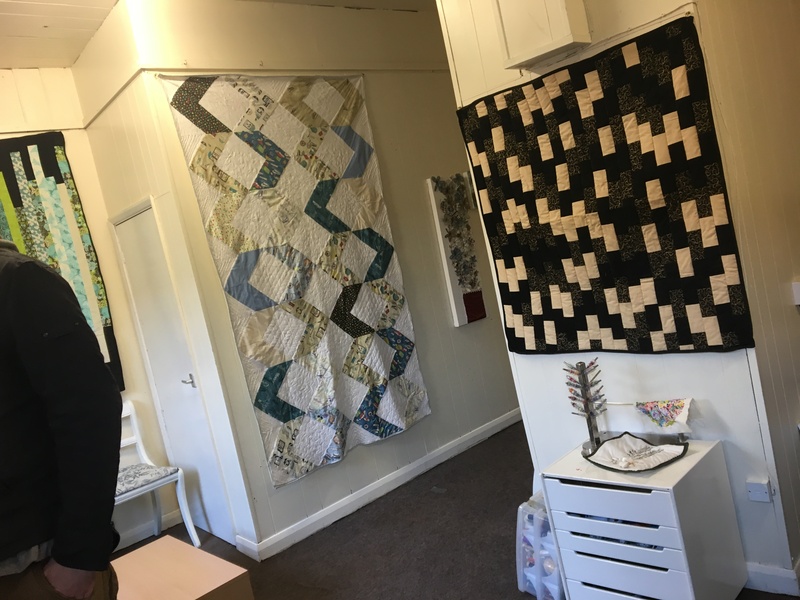 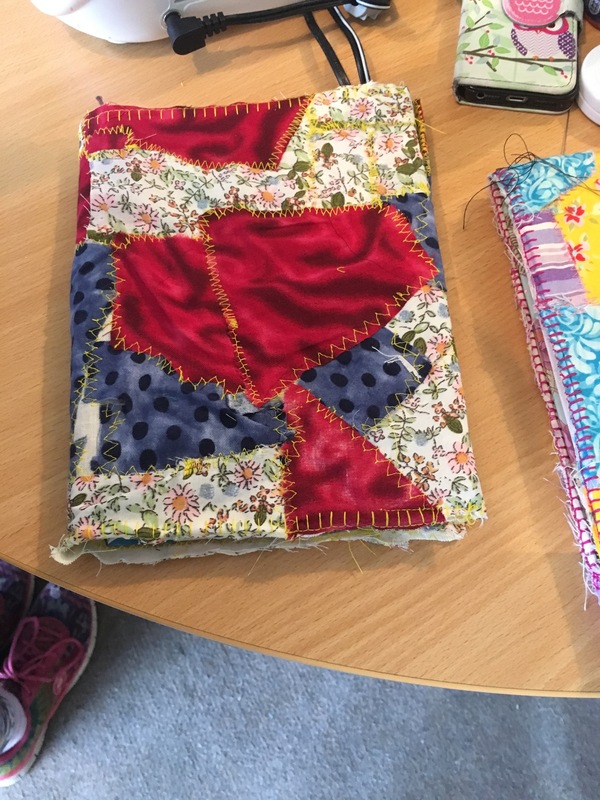 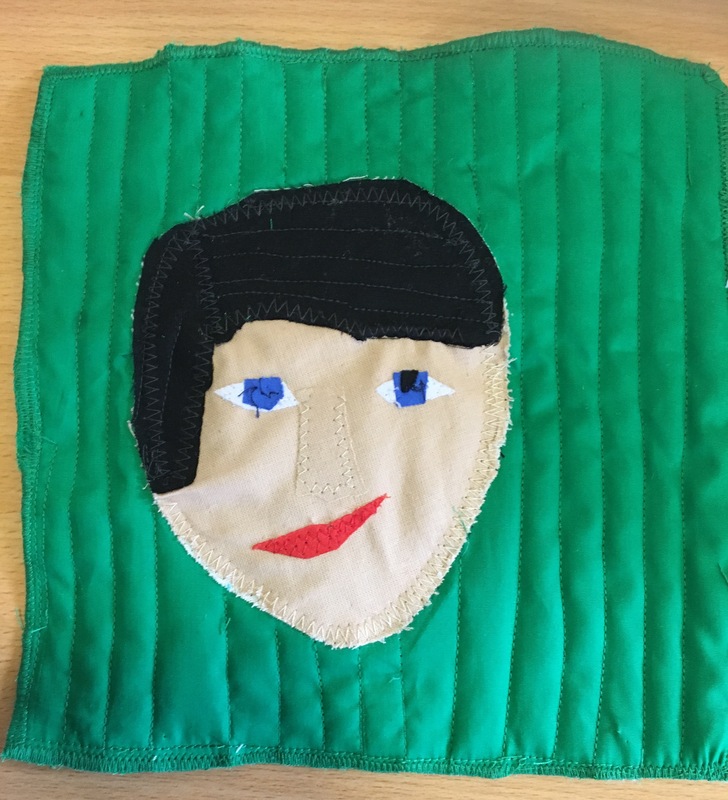 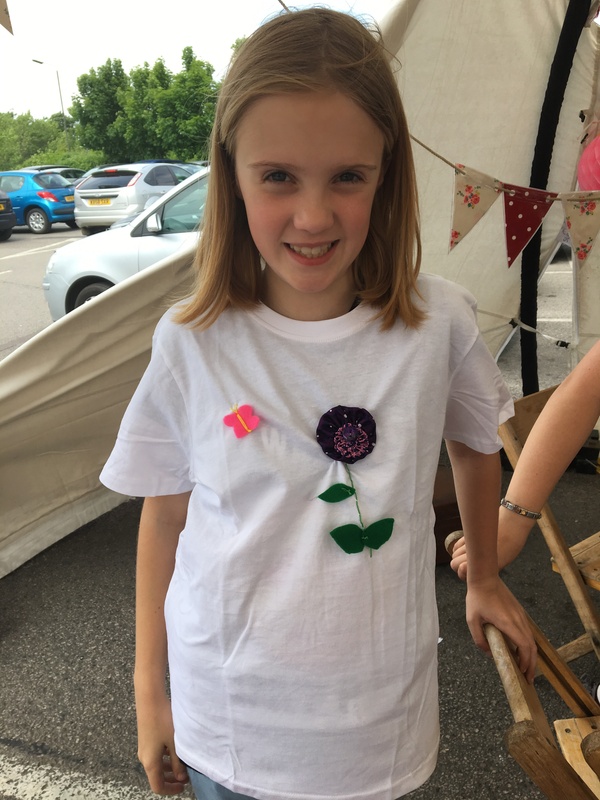 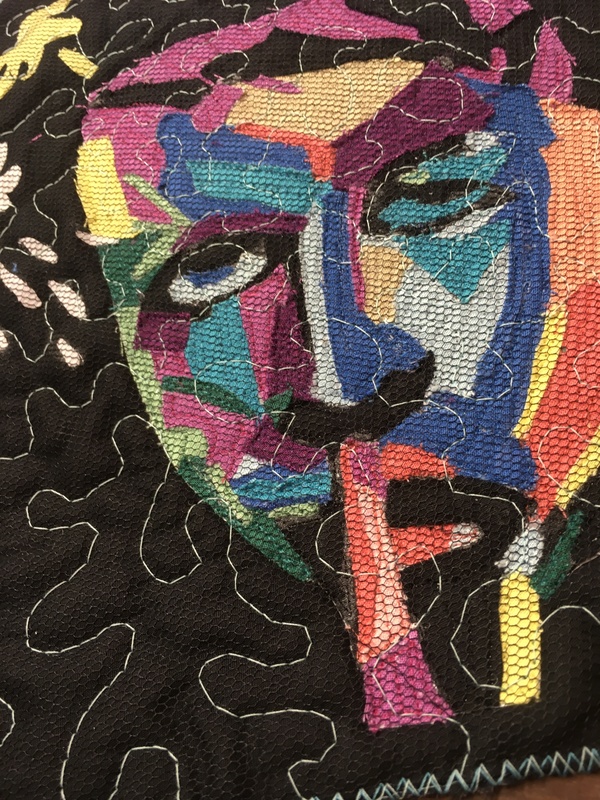 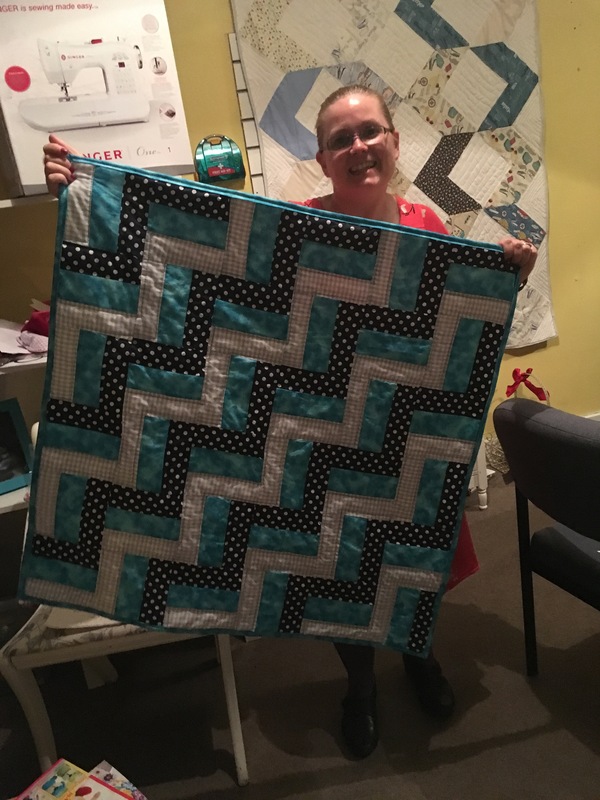 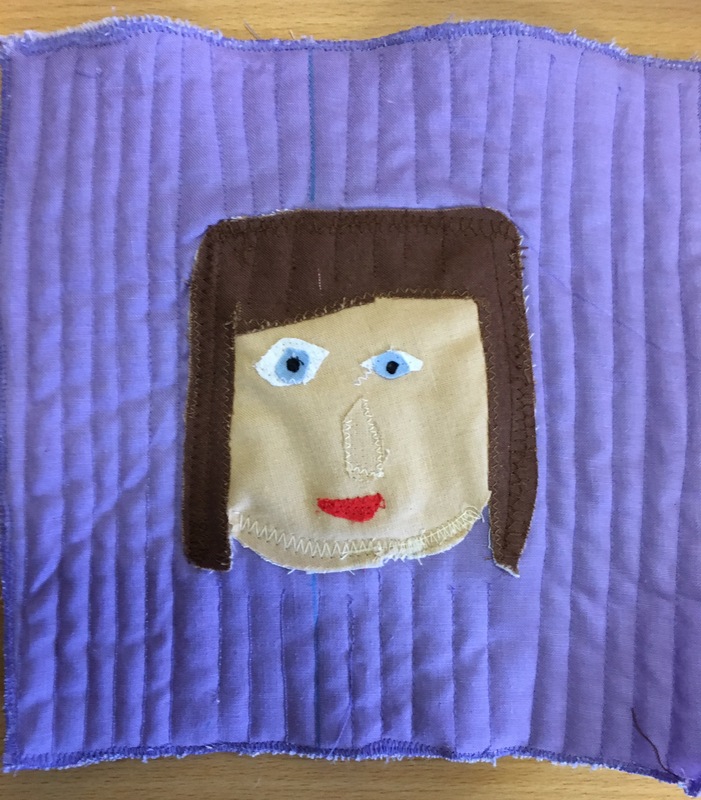 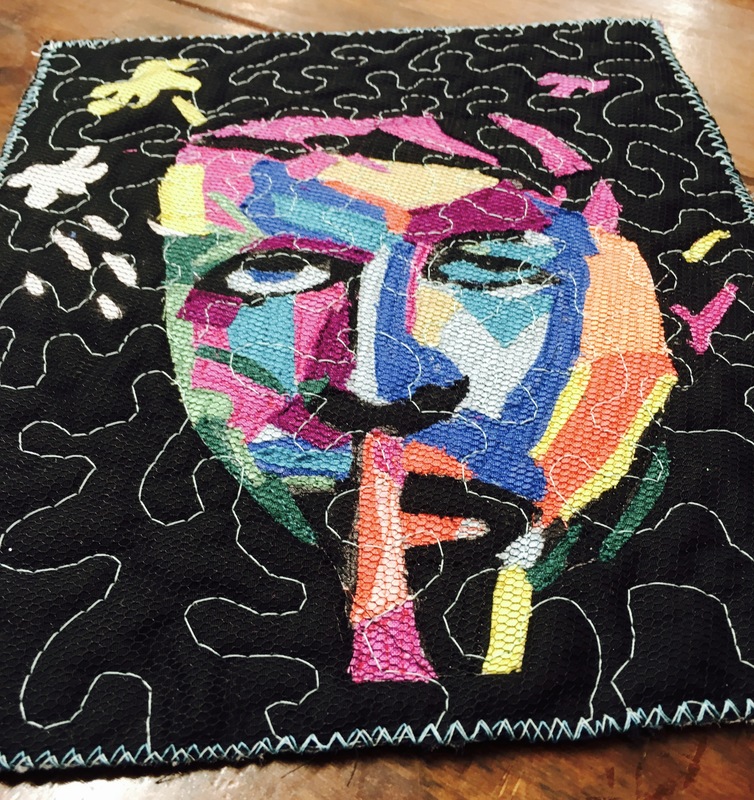 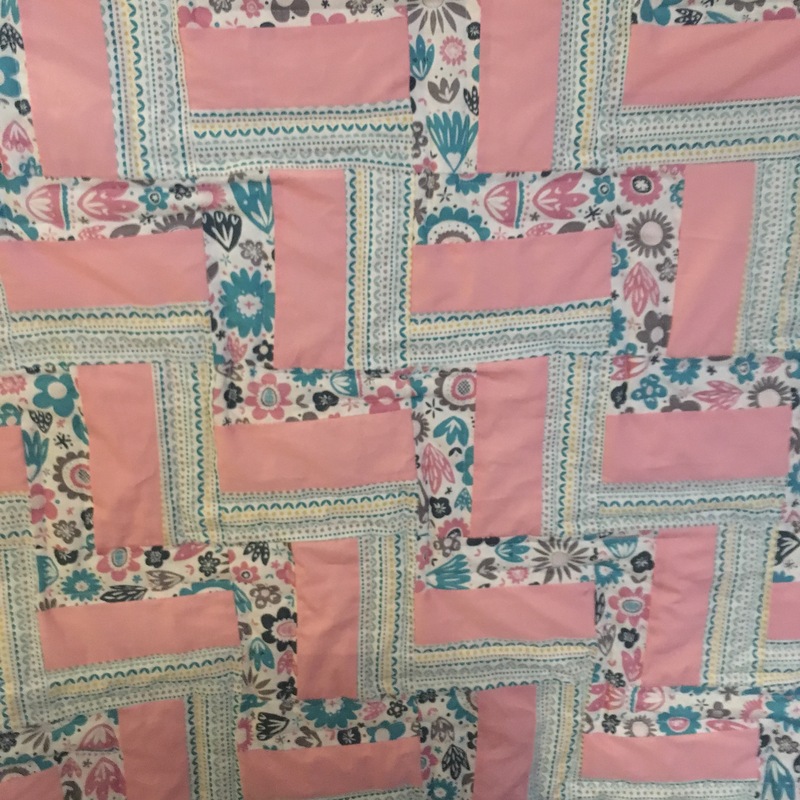 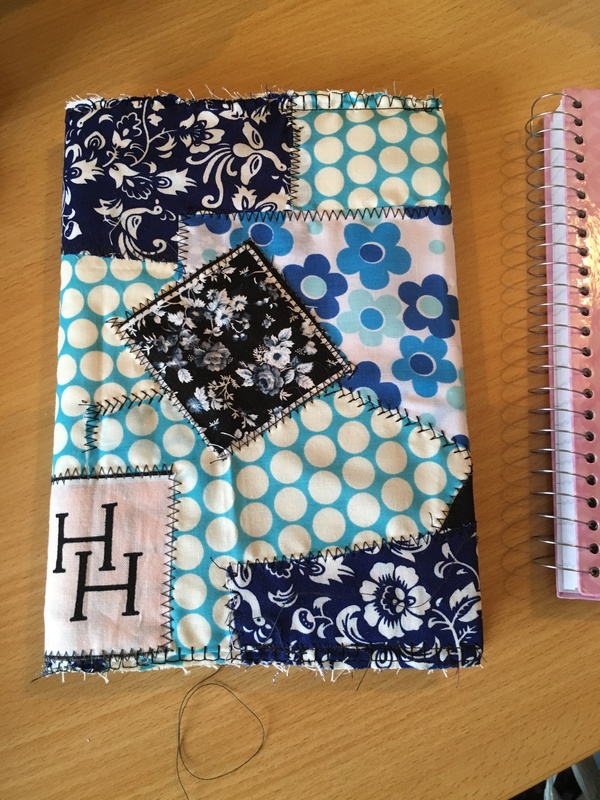 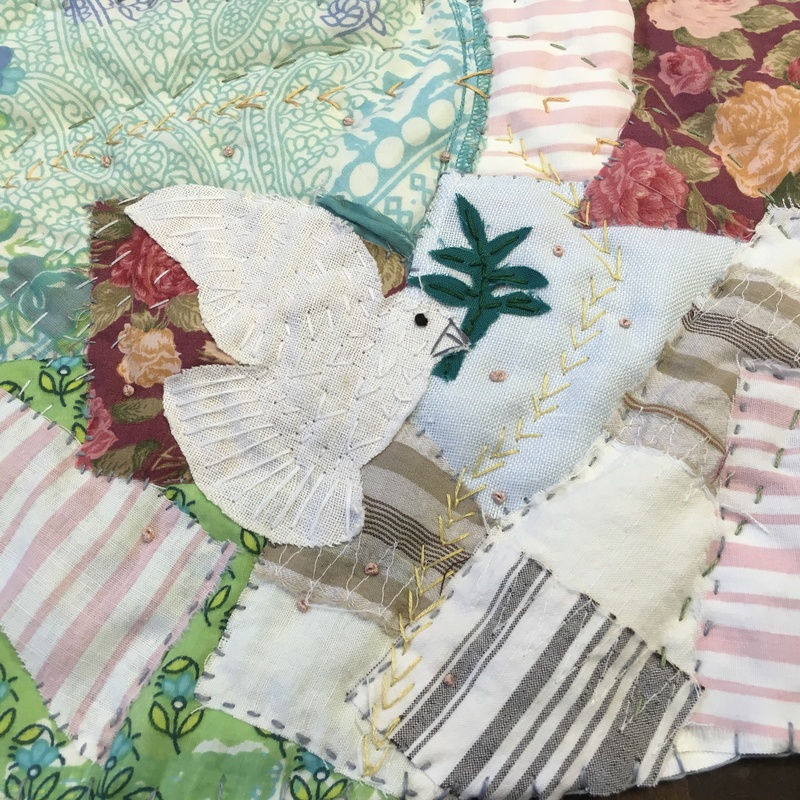 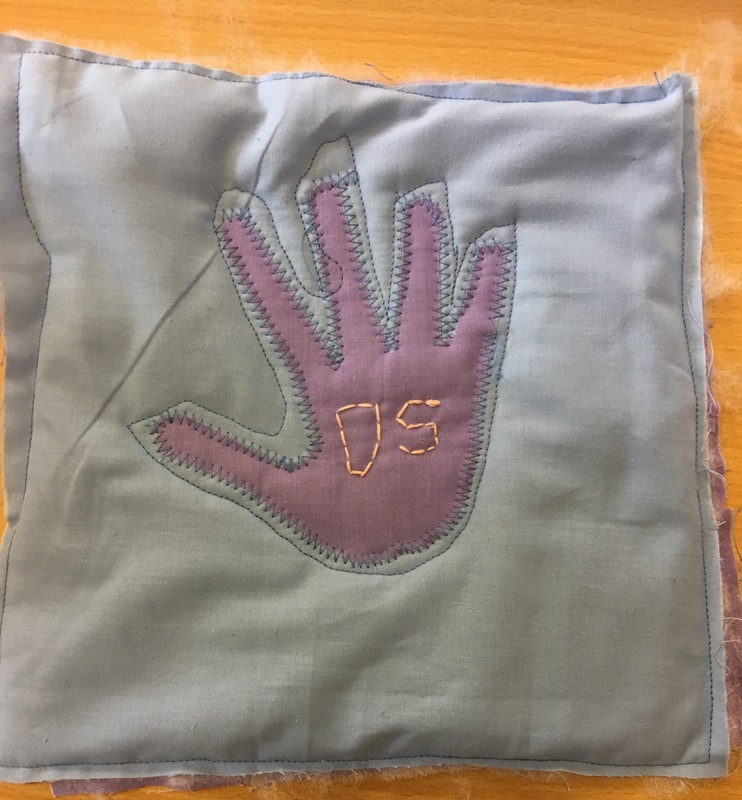 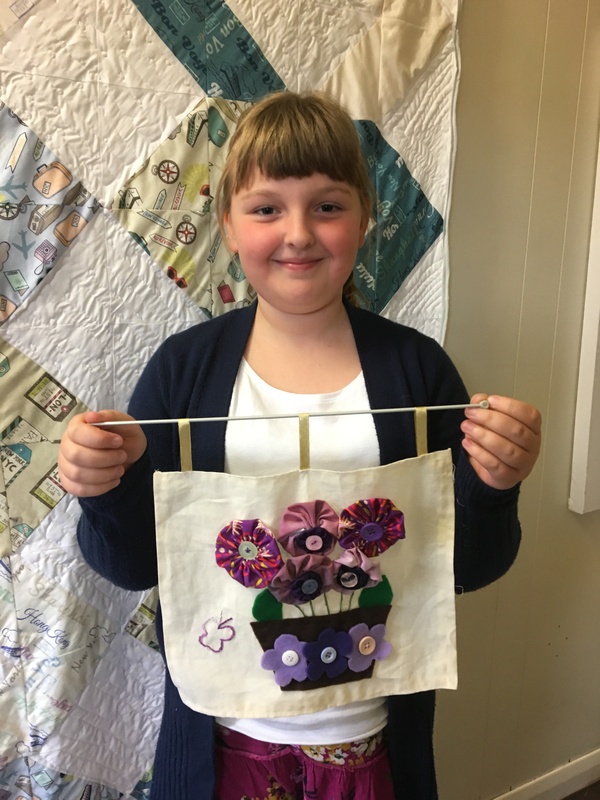 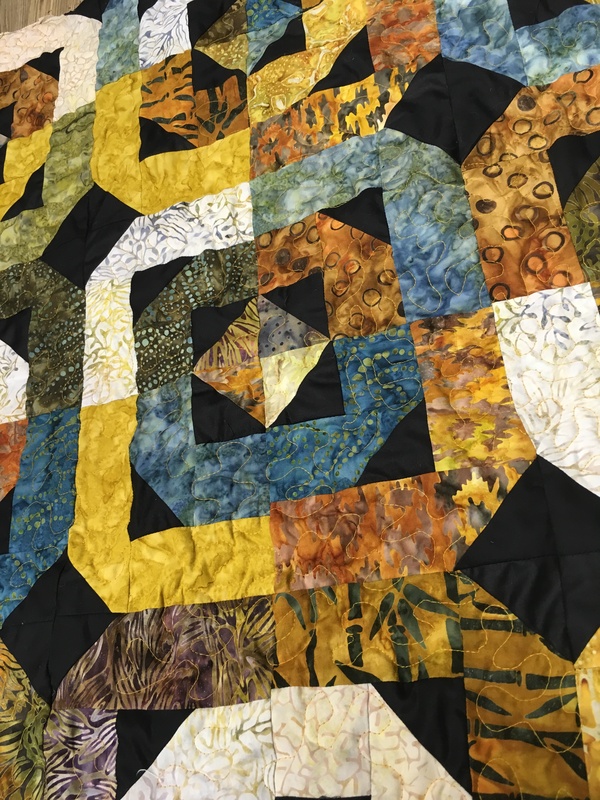 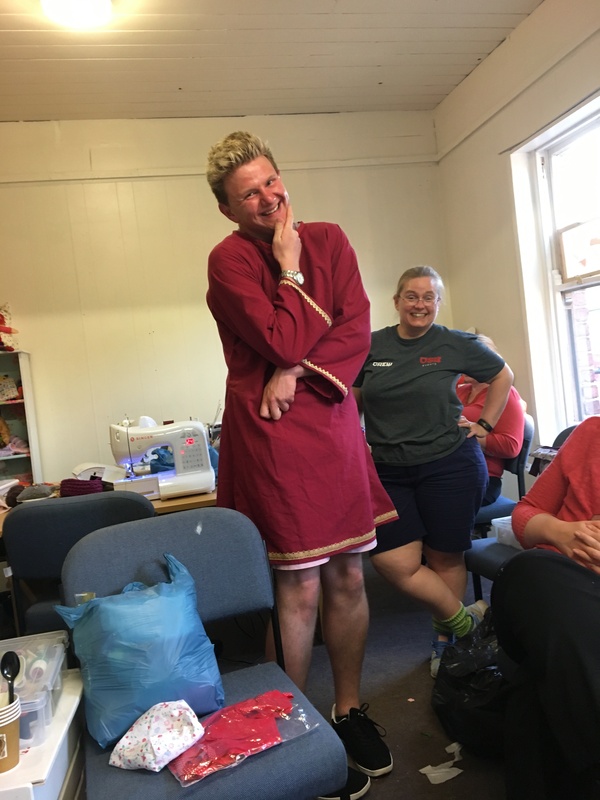 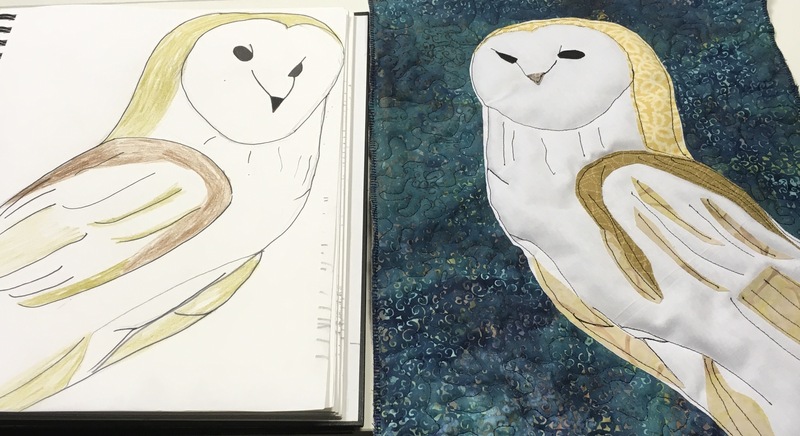 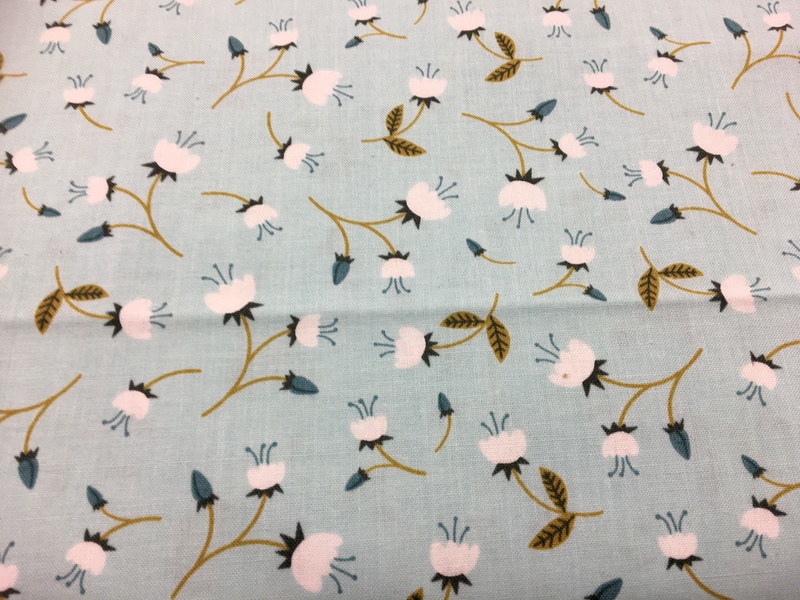 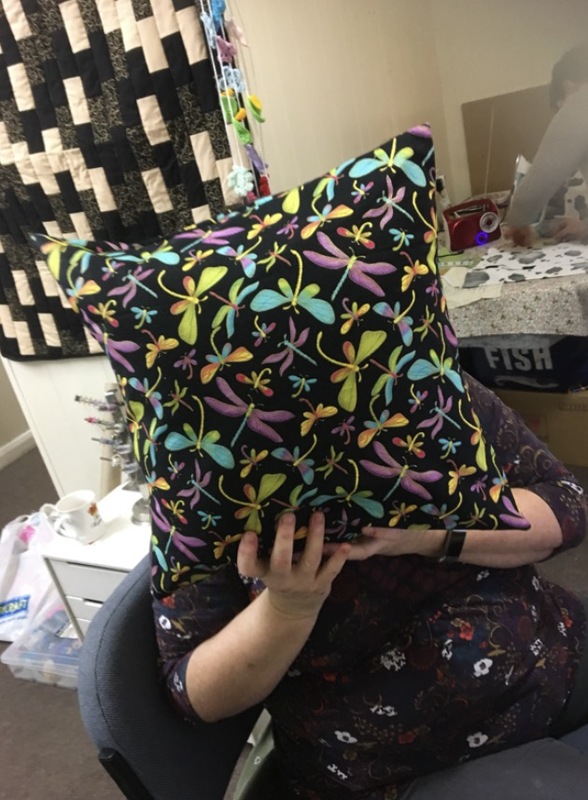 This week in the Sewing Bee…… finished selfies, zips and an important job of designing the quilts for the quilting festival in August. 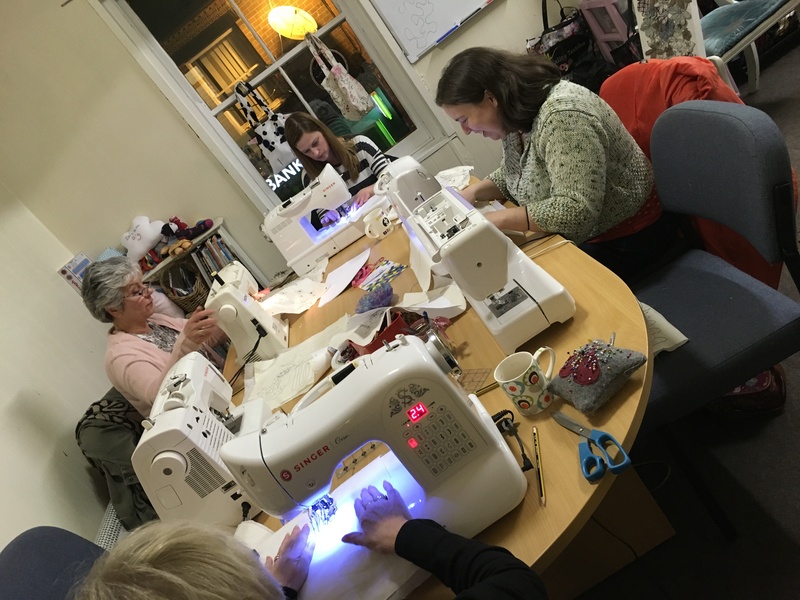 We had fun on Monday evening….. the free motion for beginners workshop. 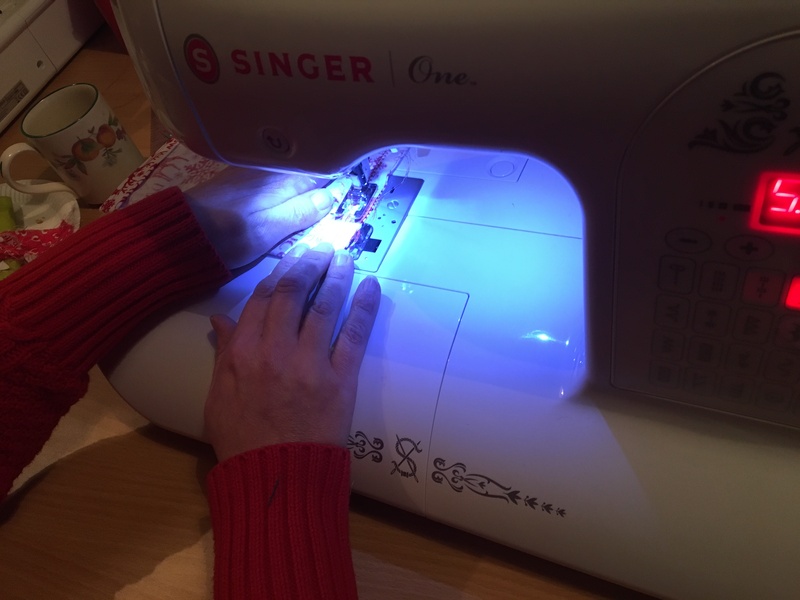 I’ve been putting my machine to good use this week. 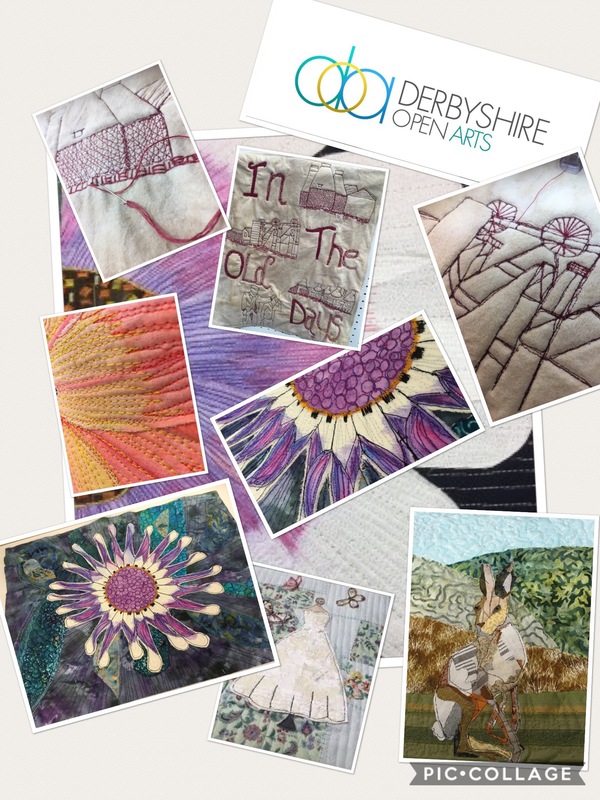 Textile collage art that are getting ready for exhibitions…..
That’s it another week, another blog post. 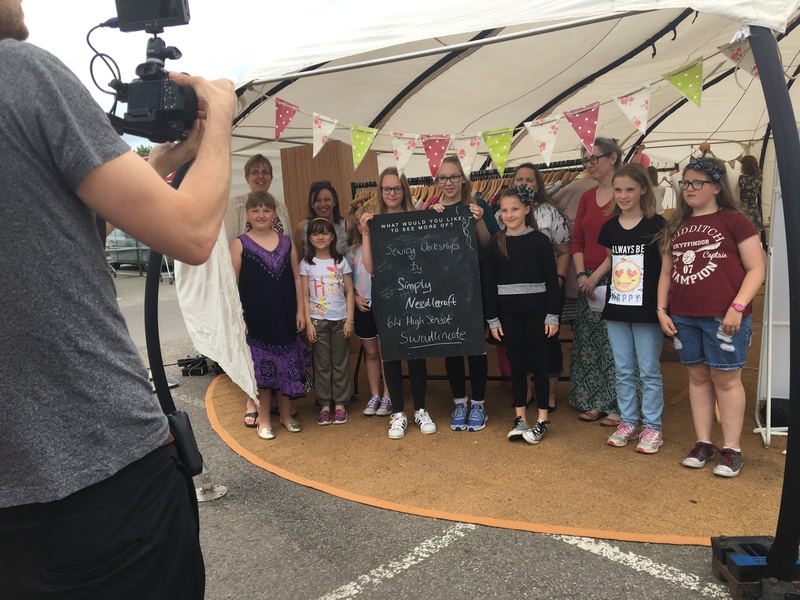 thank you again for your support, it’s proving to be quite a year for us…..stay tuned. 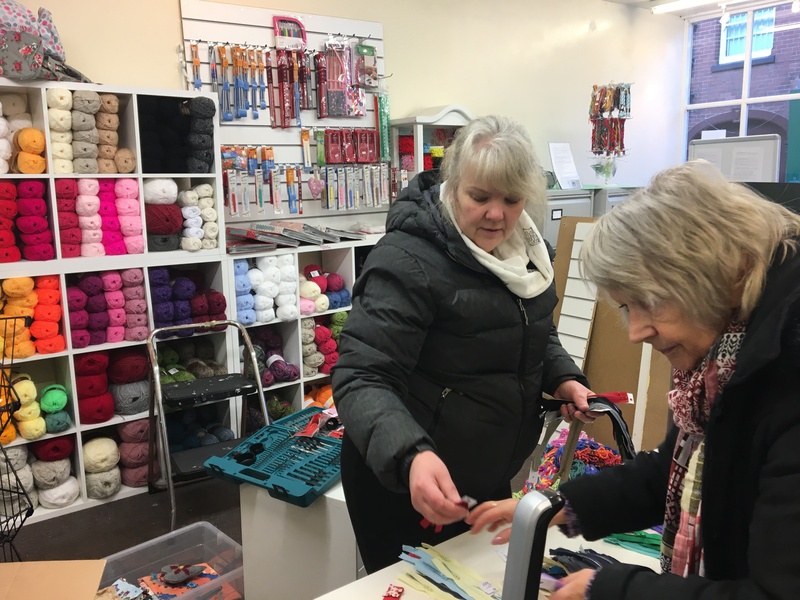 It might be cold and snowing but we’ve had loads going on here to keep us busy. 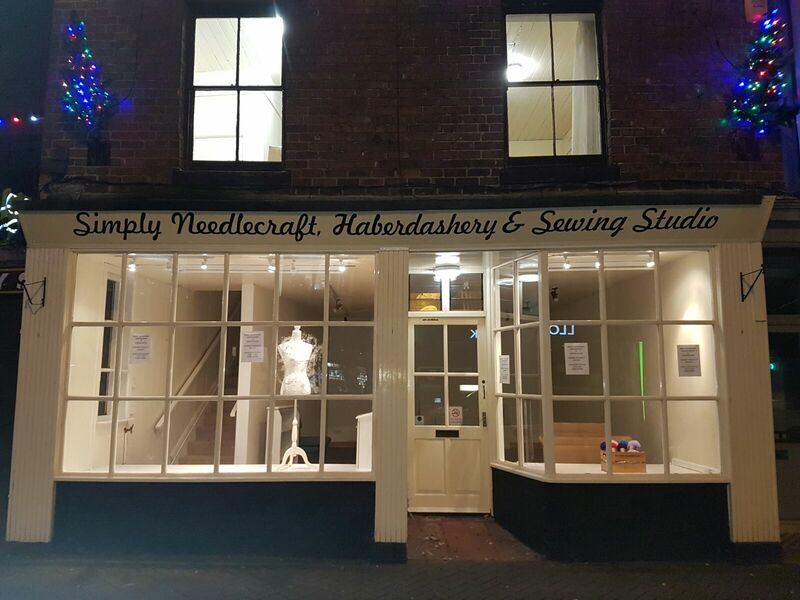 So the new shop opened on the 3rd. 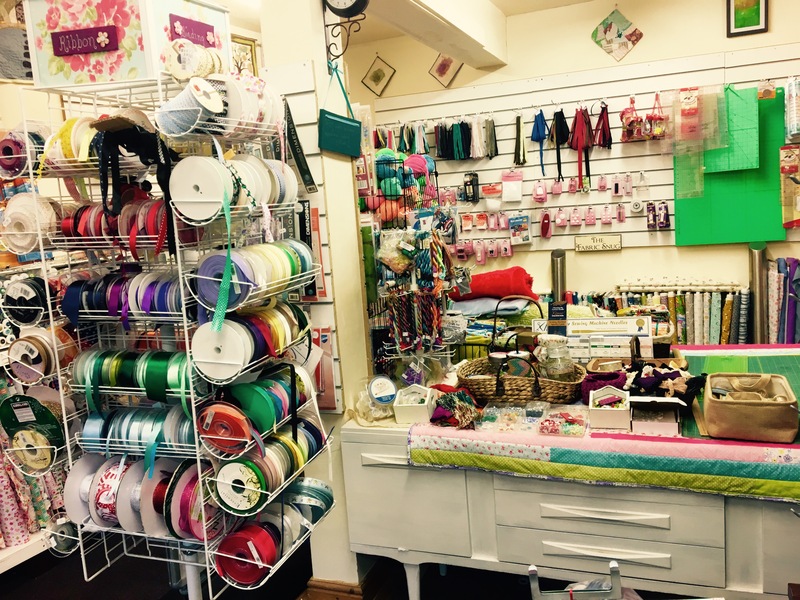 We had an extremely busy day and lots of customers and little stitchers popping in to say hello. 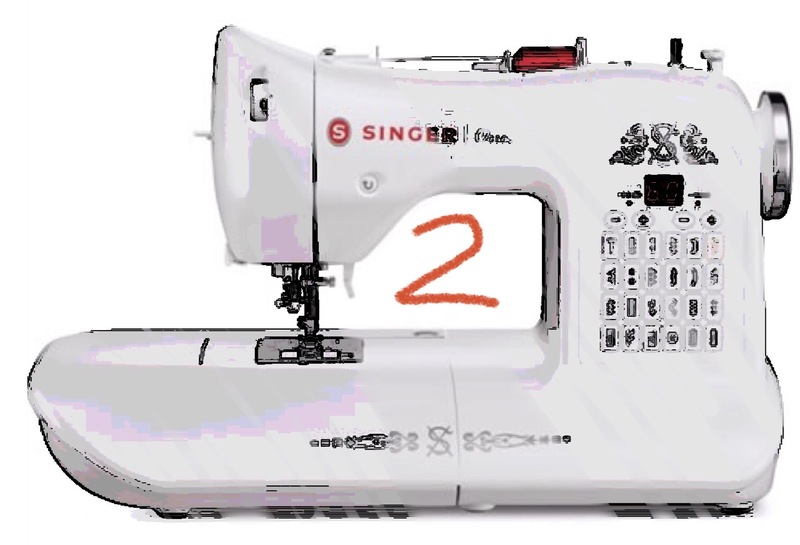 Thank you for the overwhelming response. 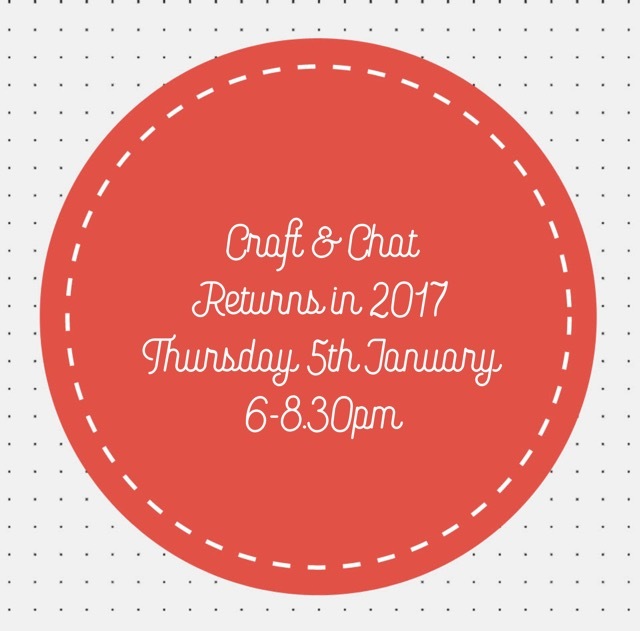 That also means the return of our Craft and Chat night. 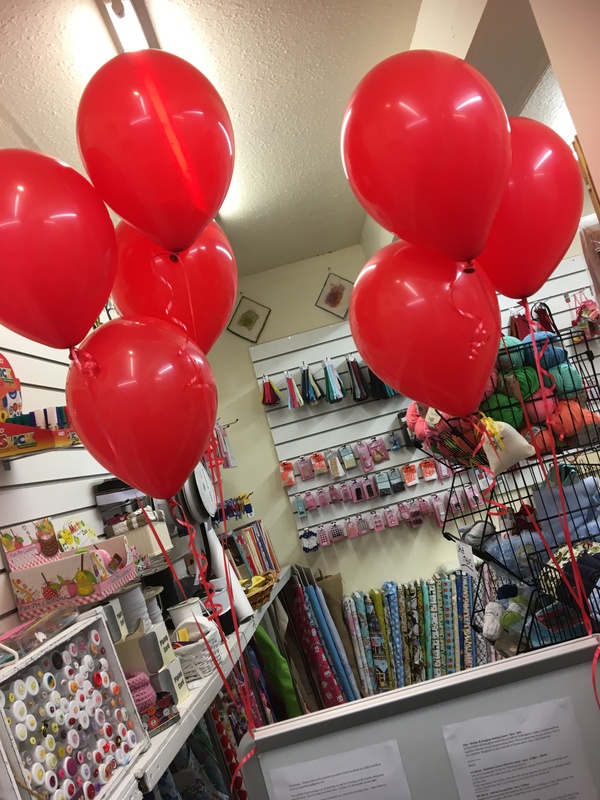 This year we have moved the day so it’s now the first Thursday of every month. 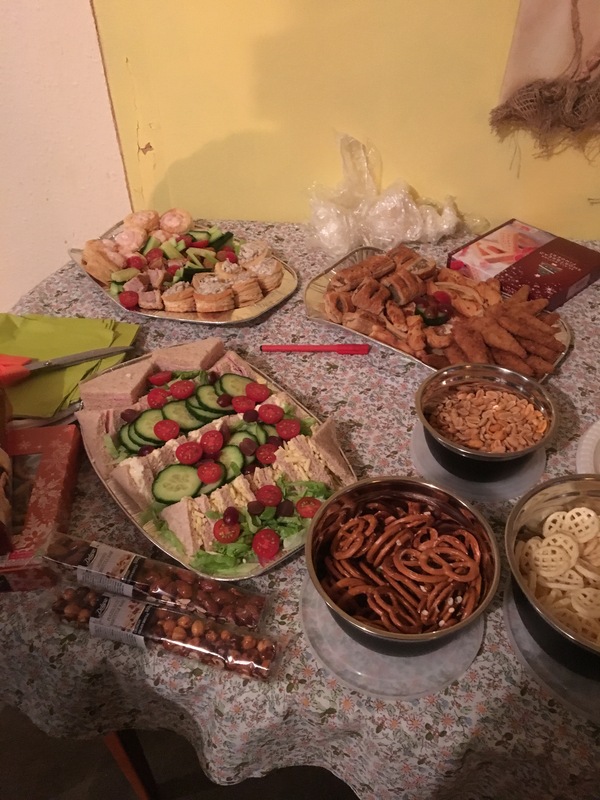 We have a great first night in the new home. 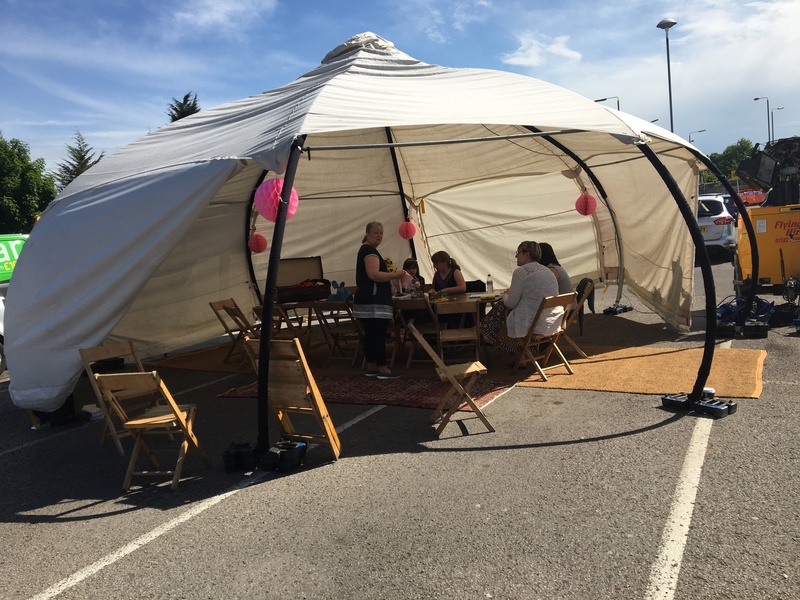 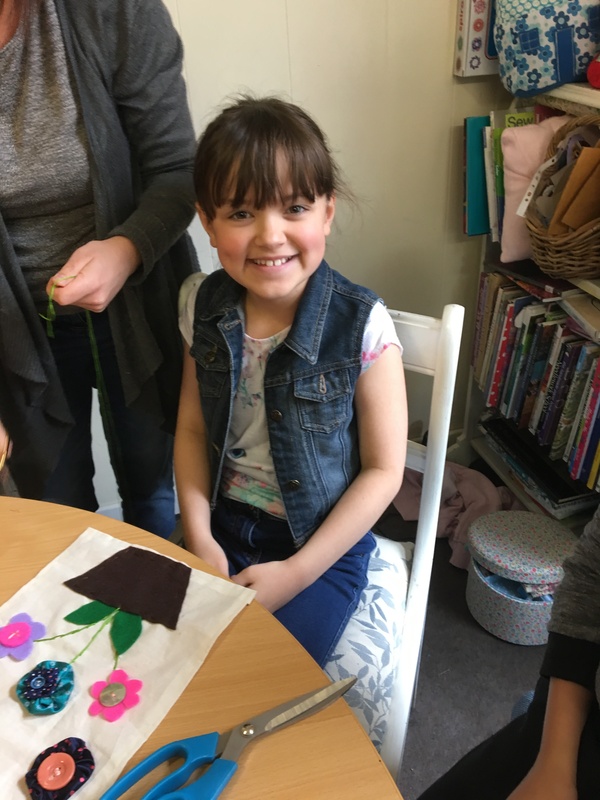 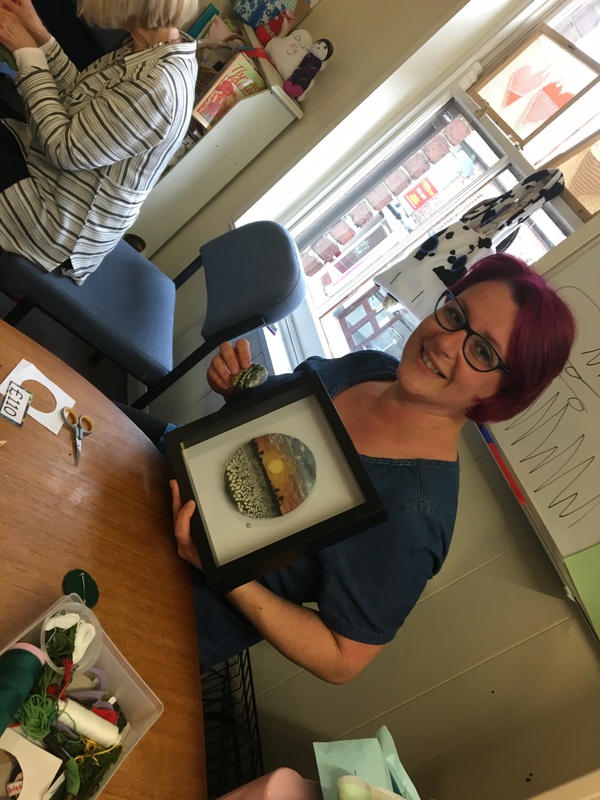 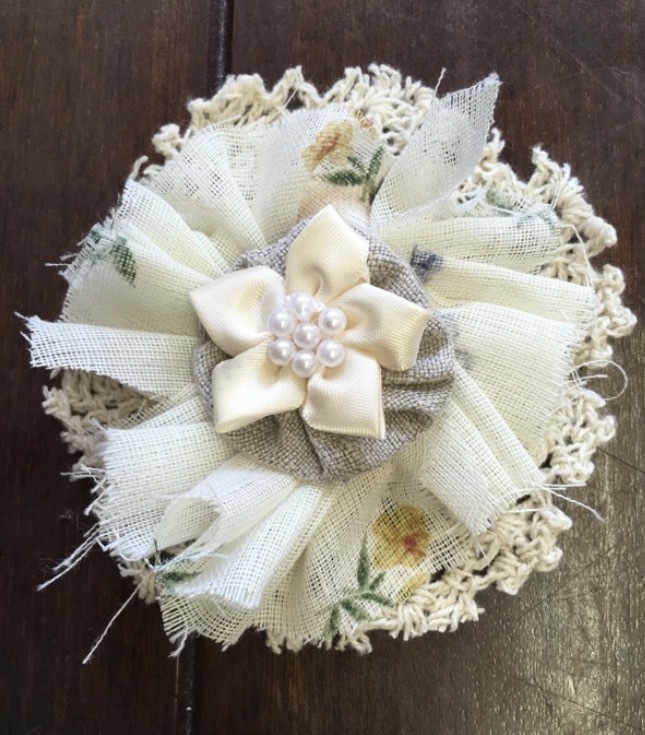 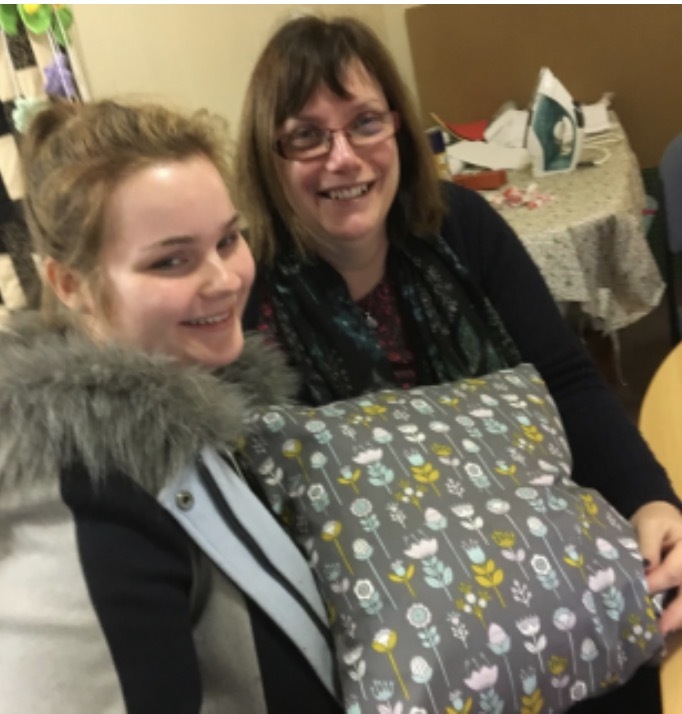 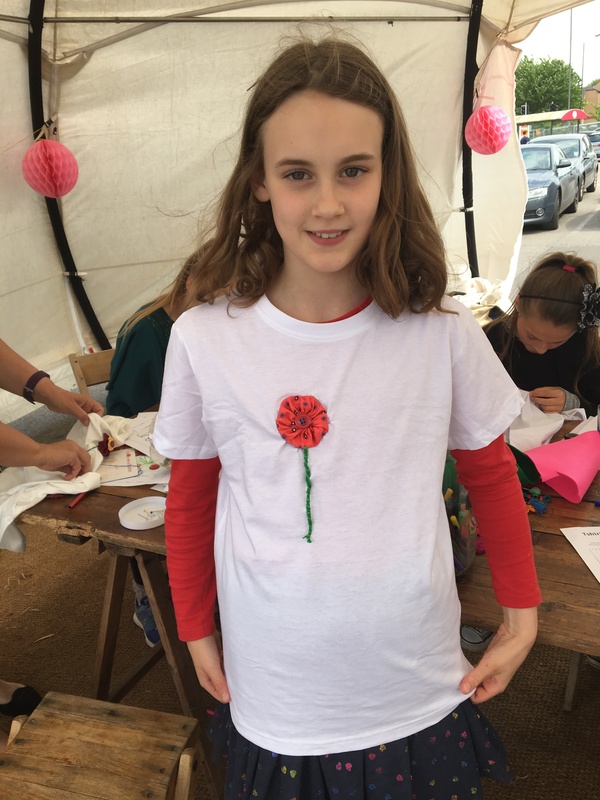 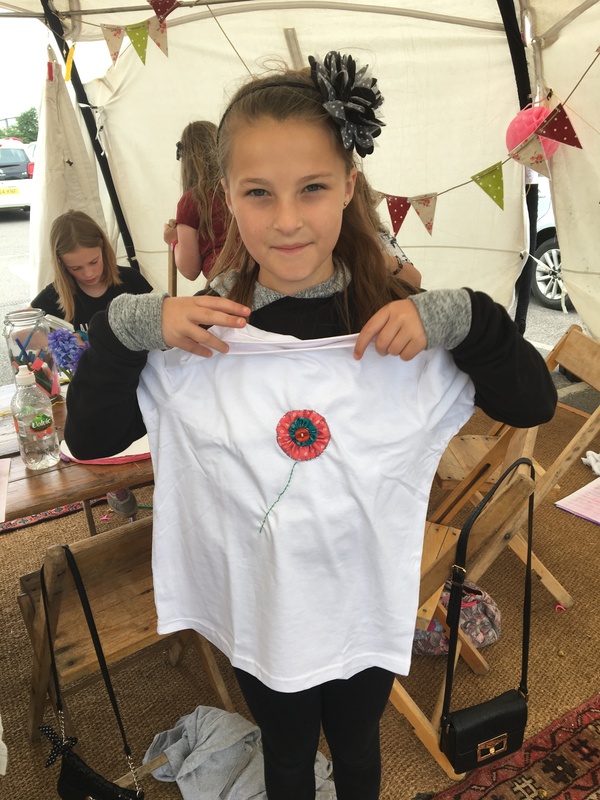 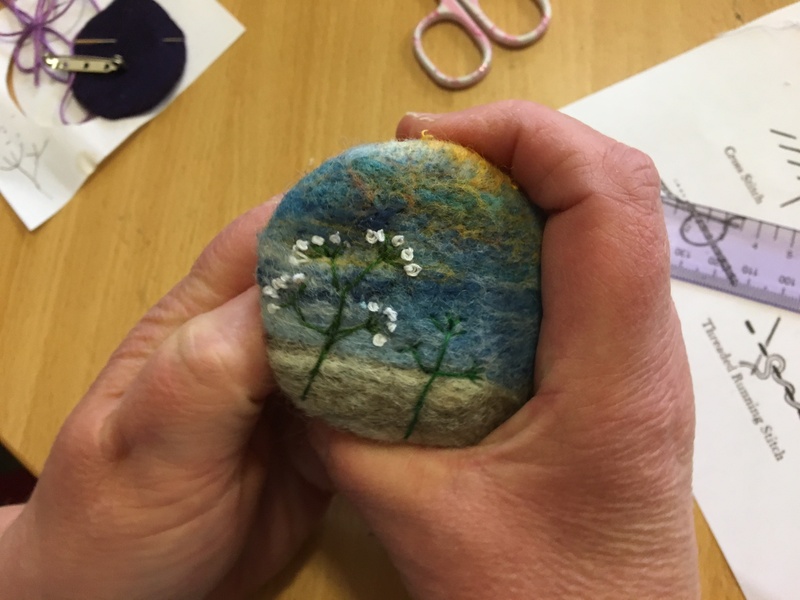 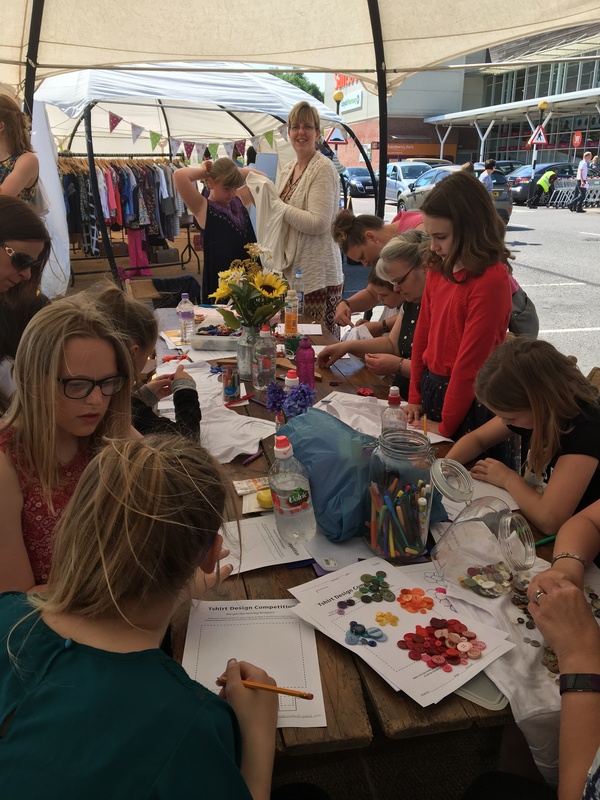 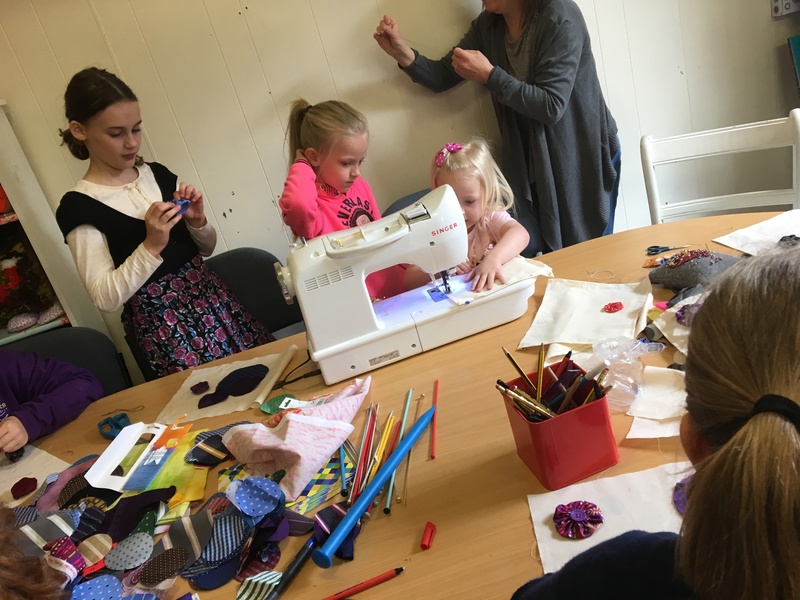 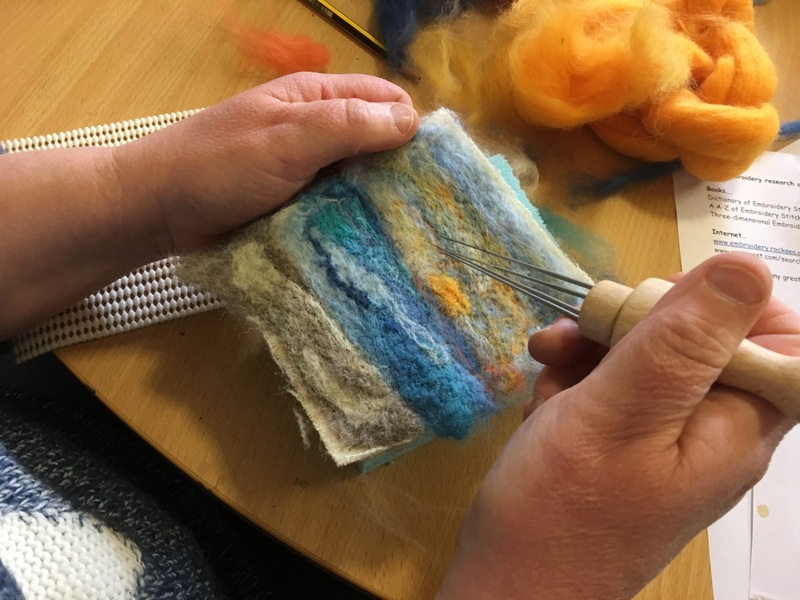 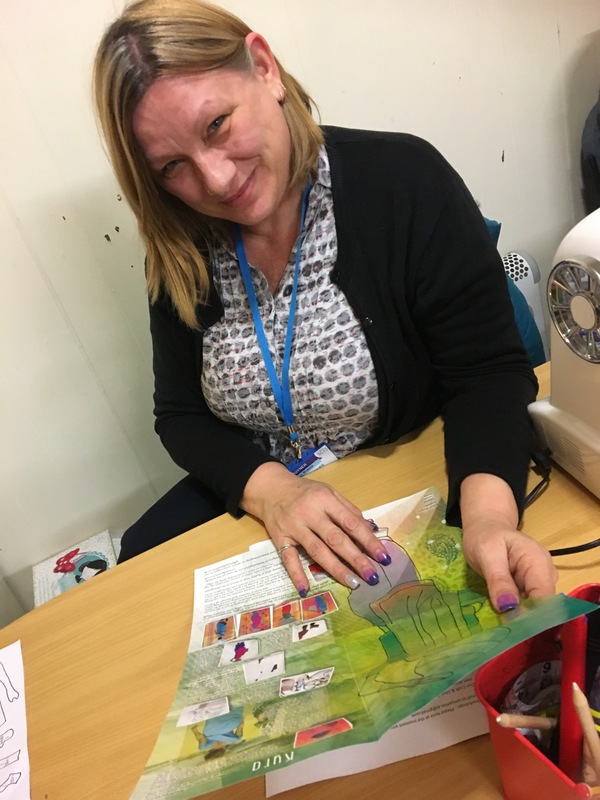 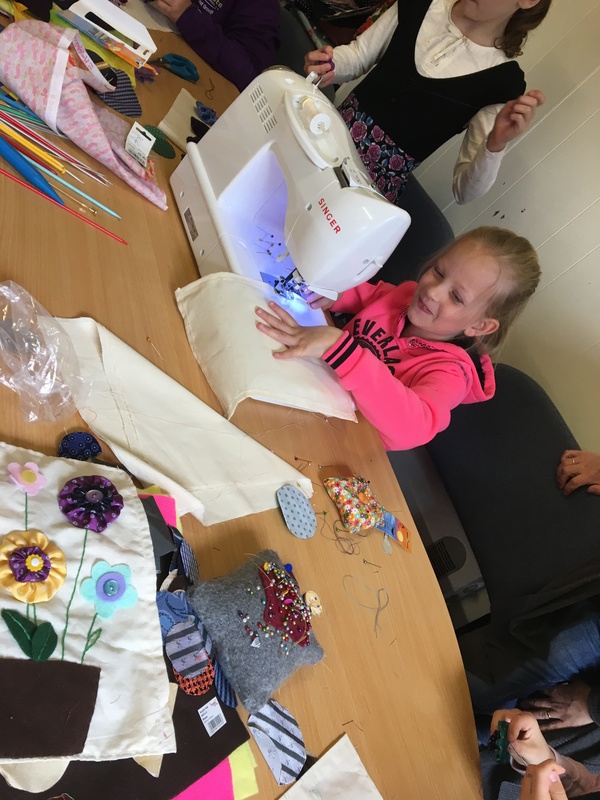 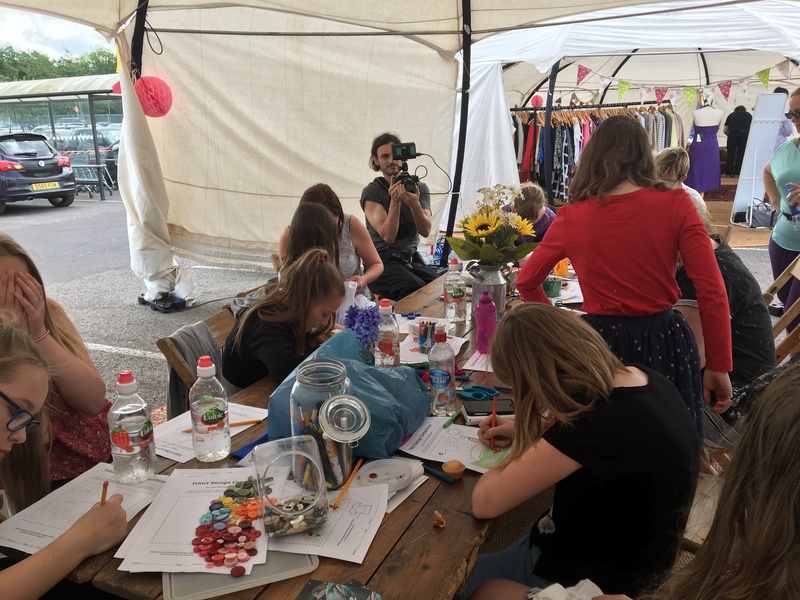 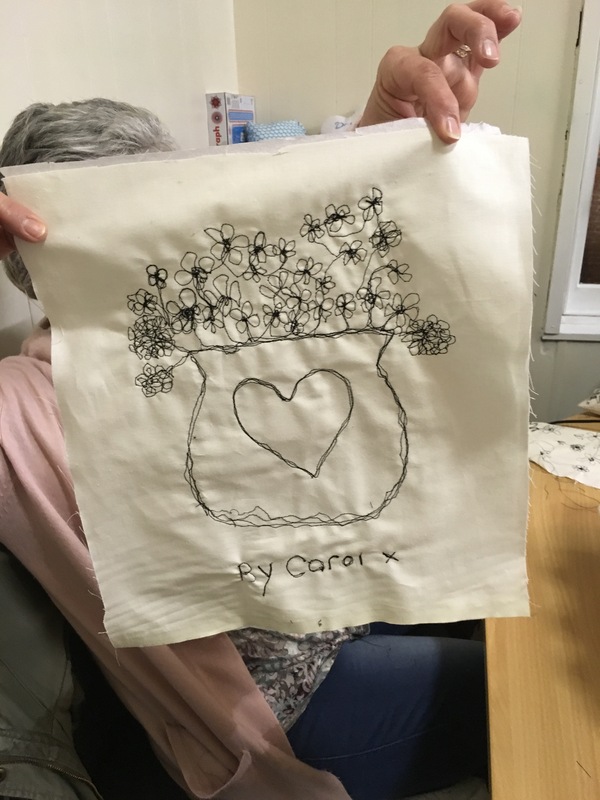 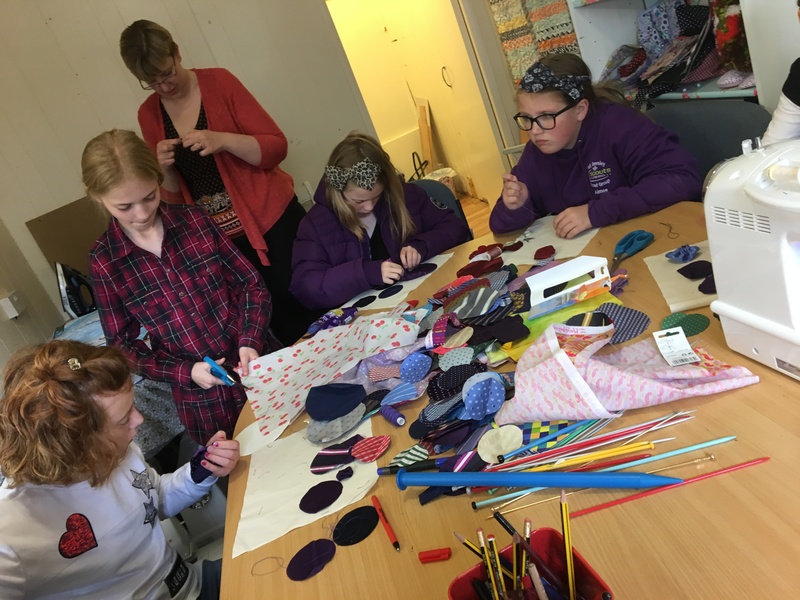 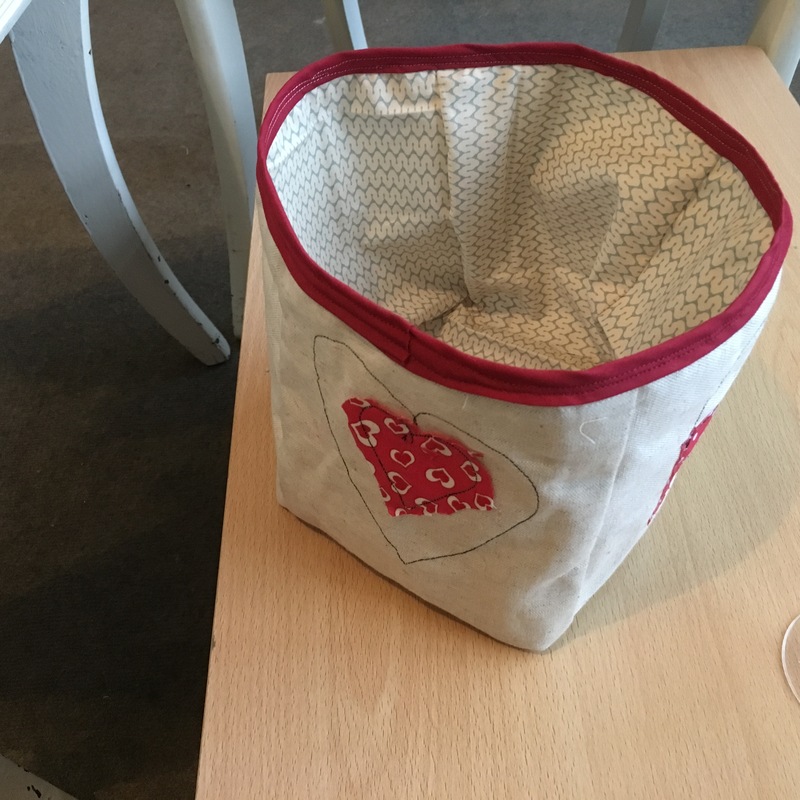 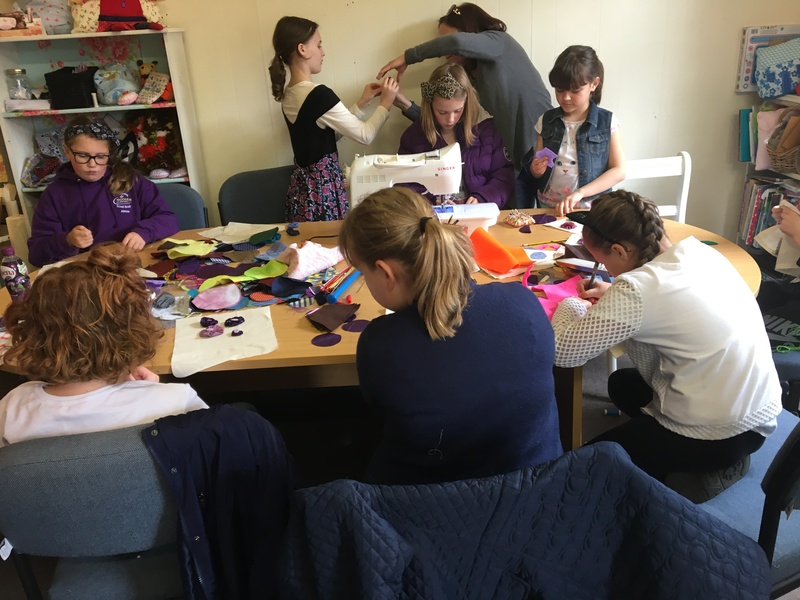 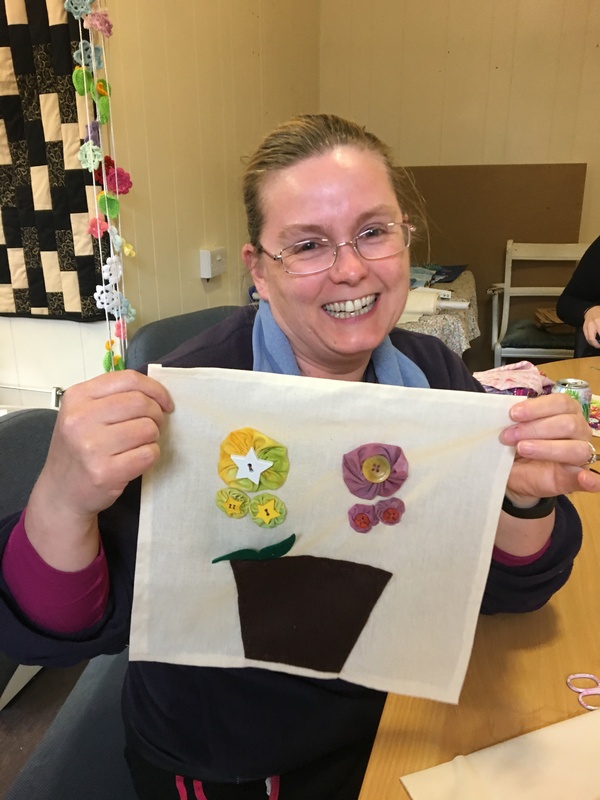 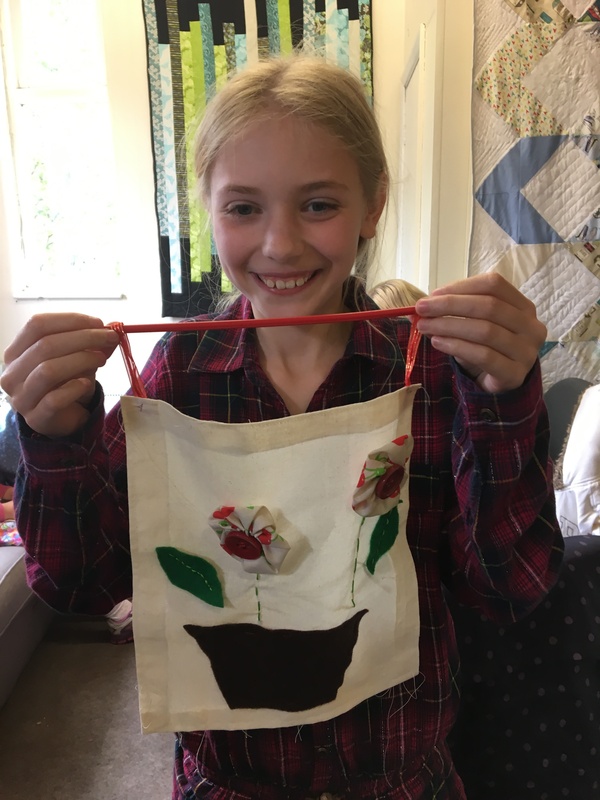 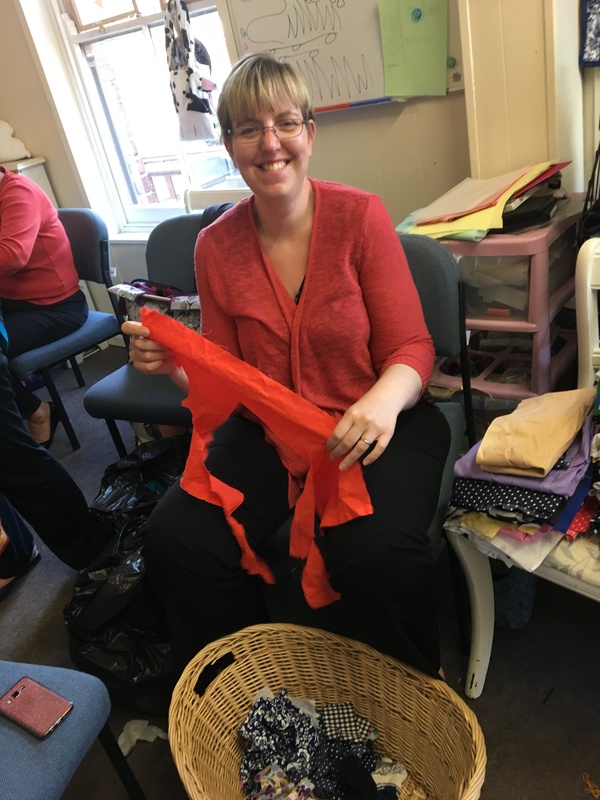 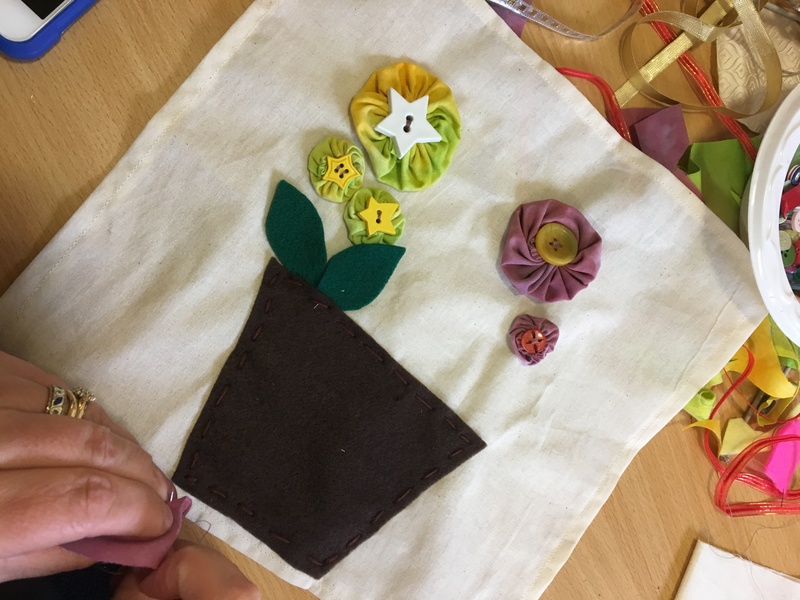 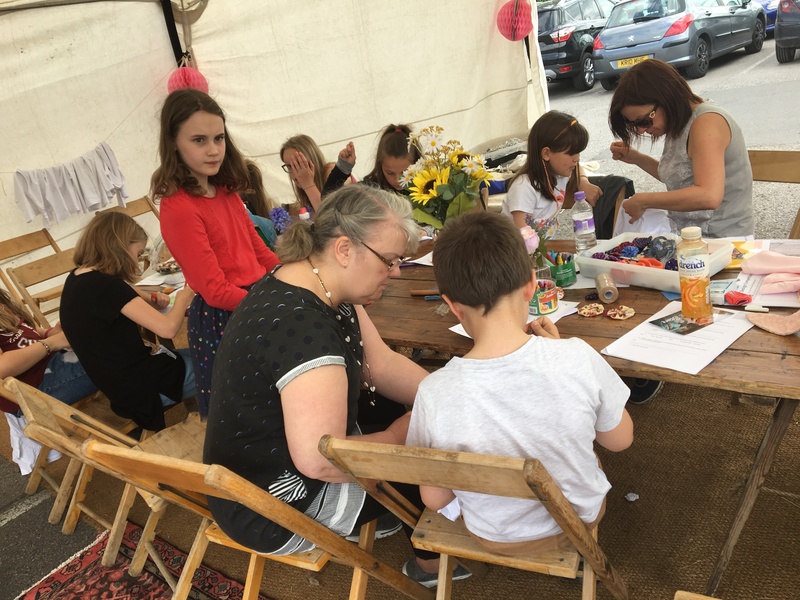 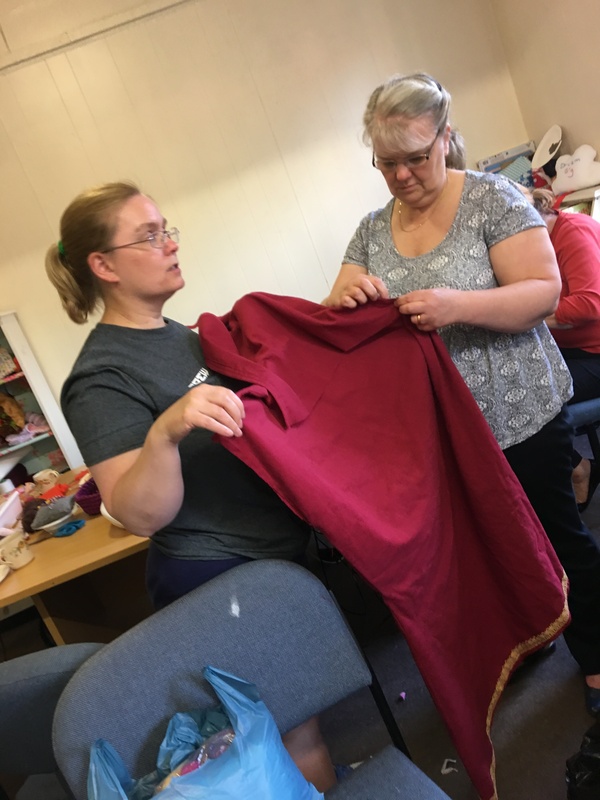 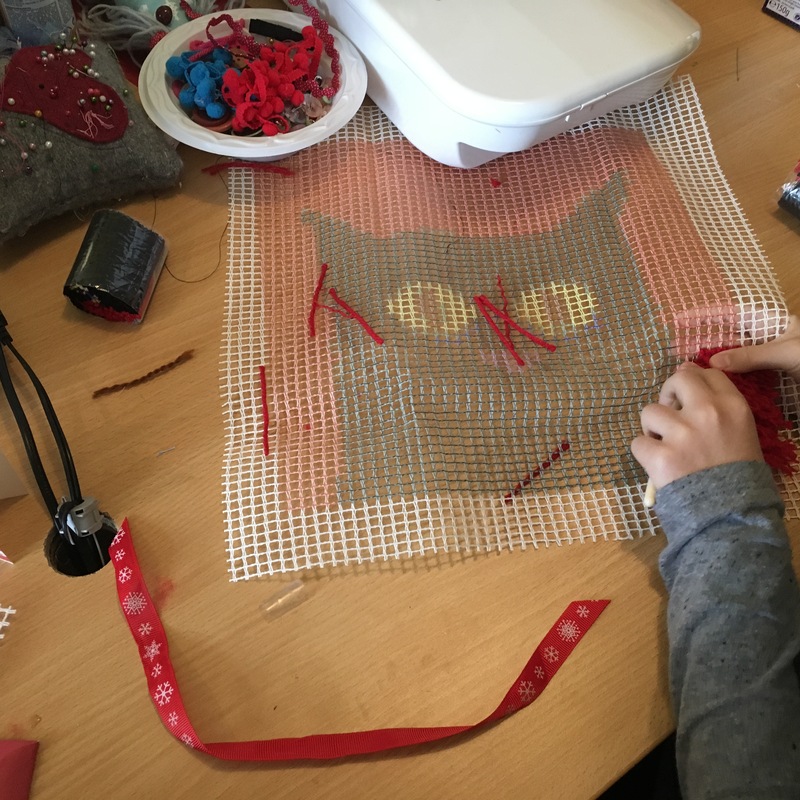 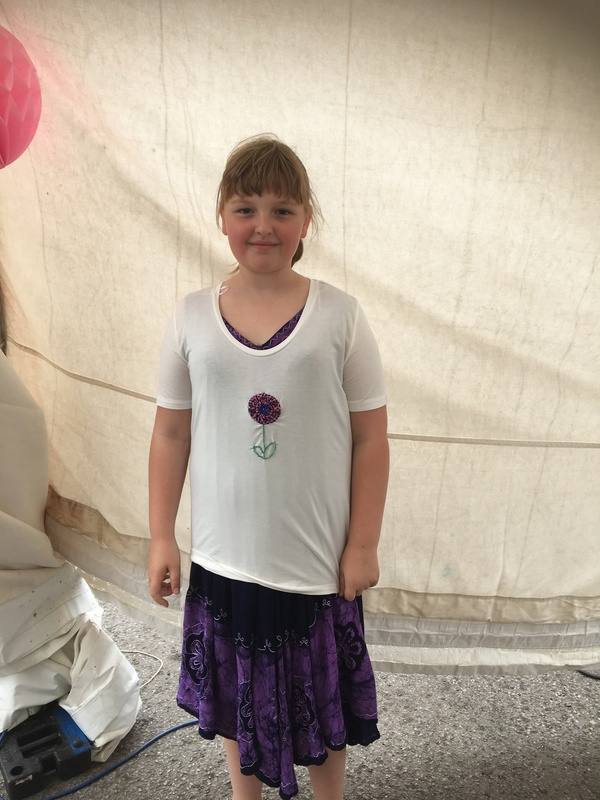 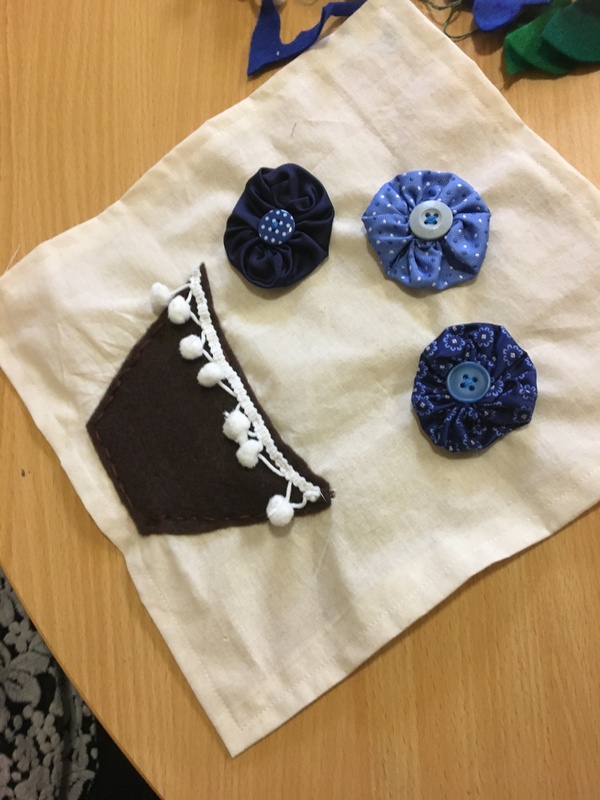 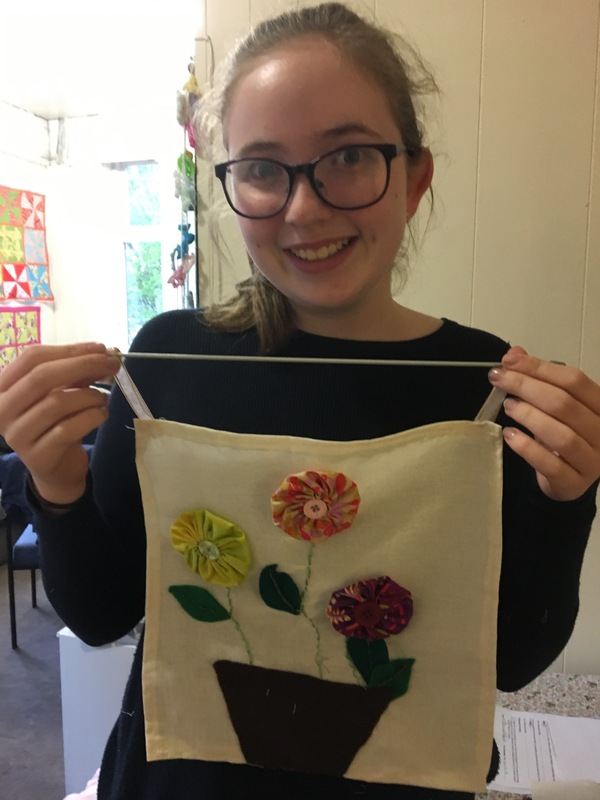 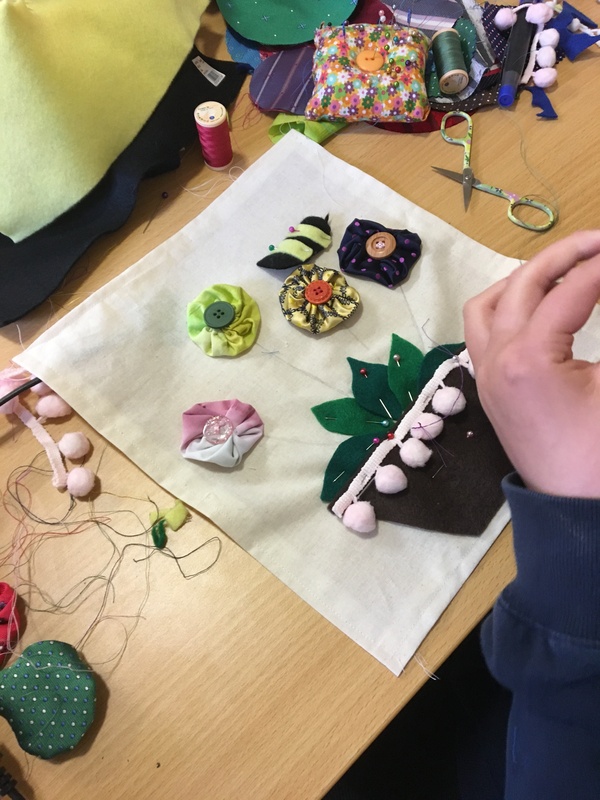 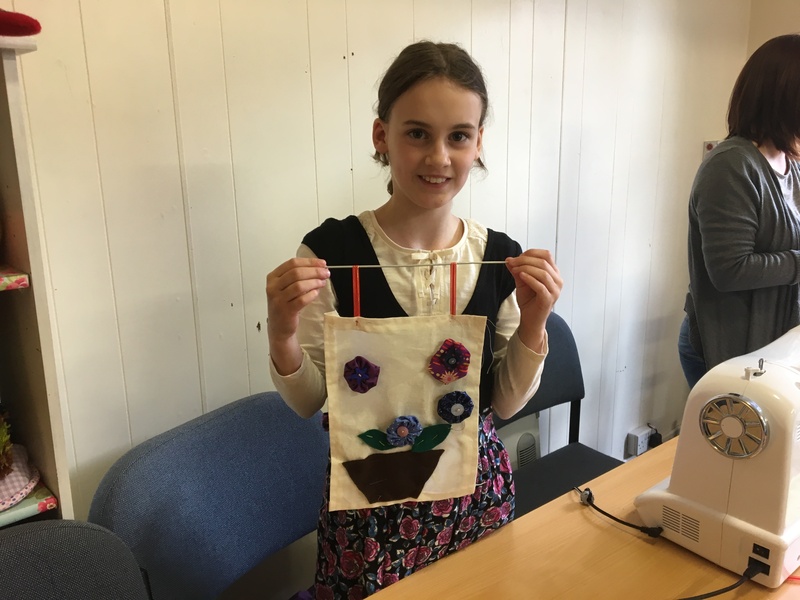 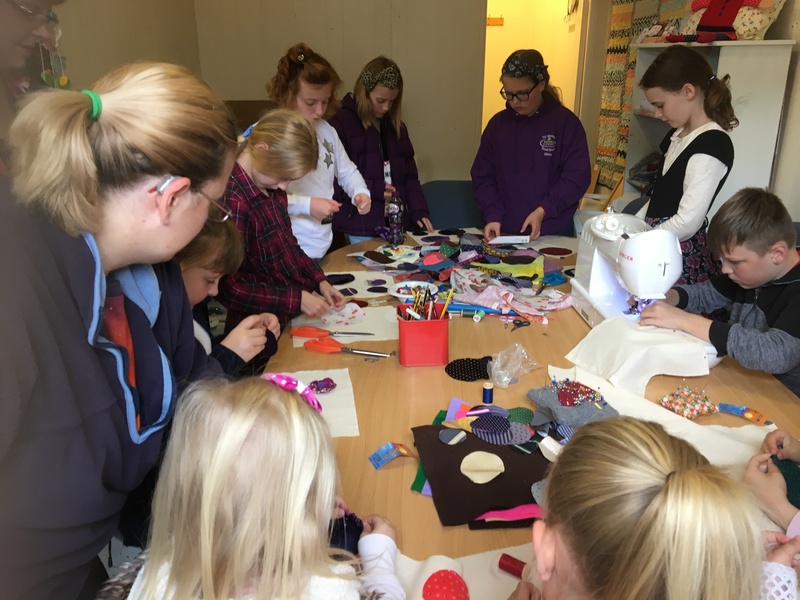 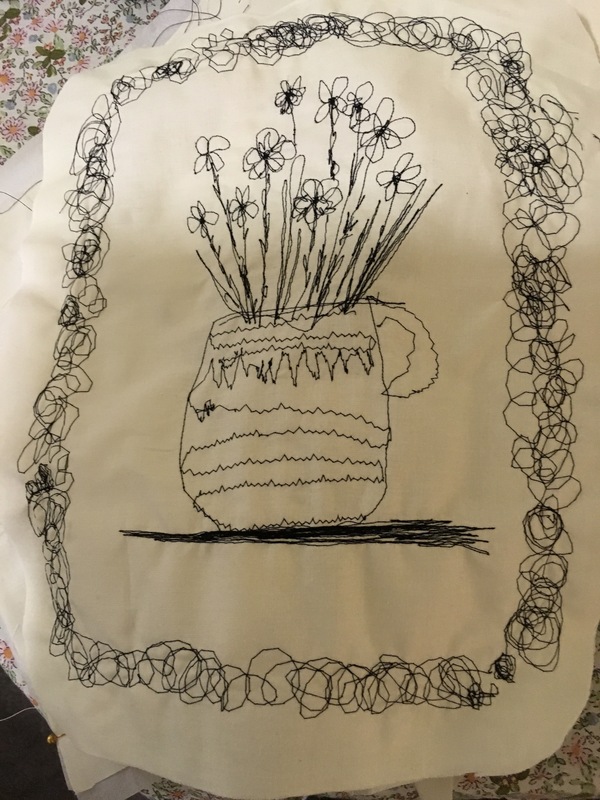 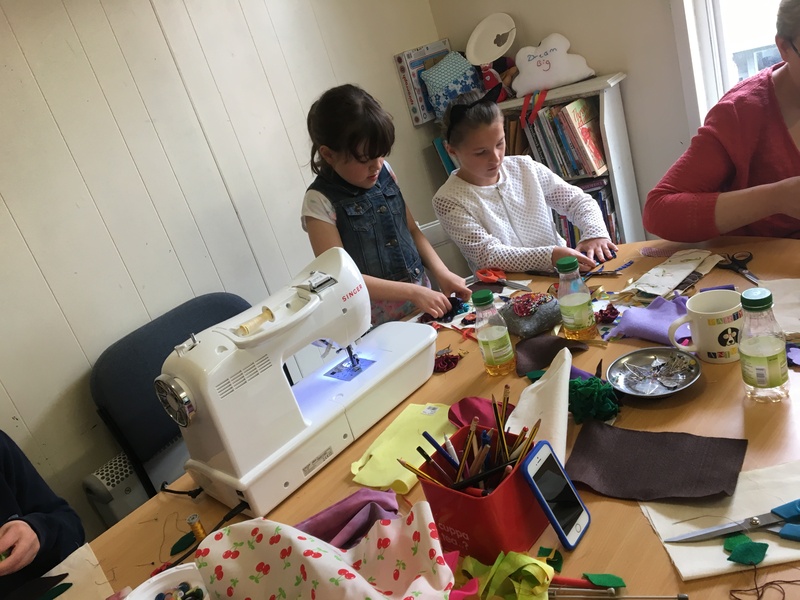 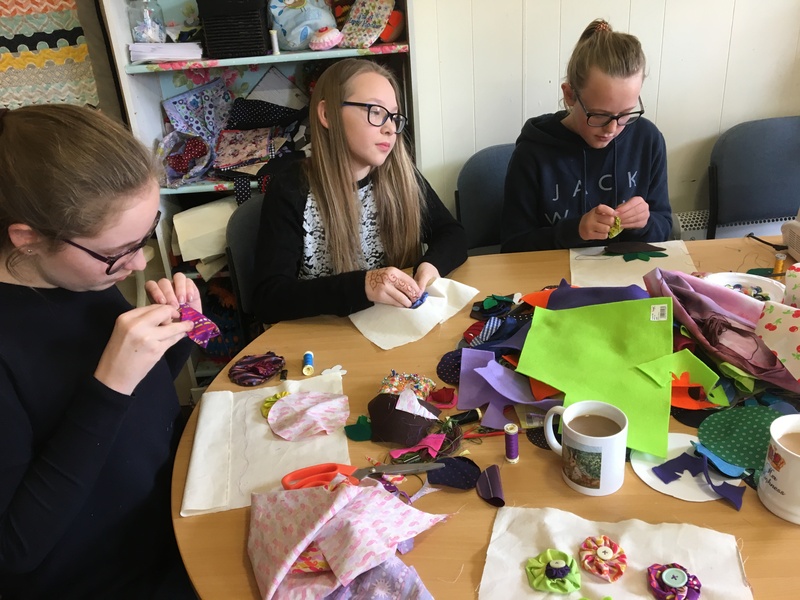 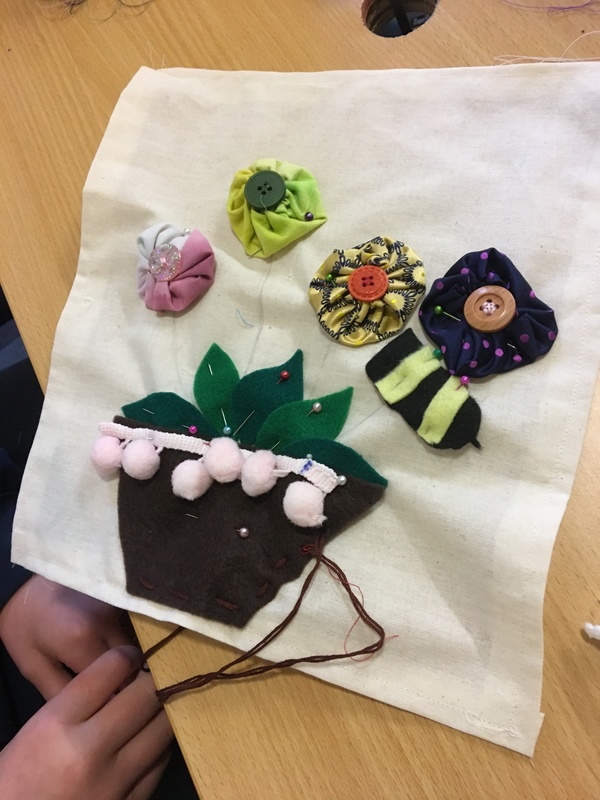 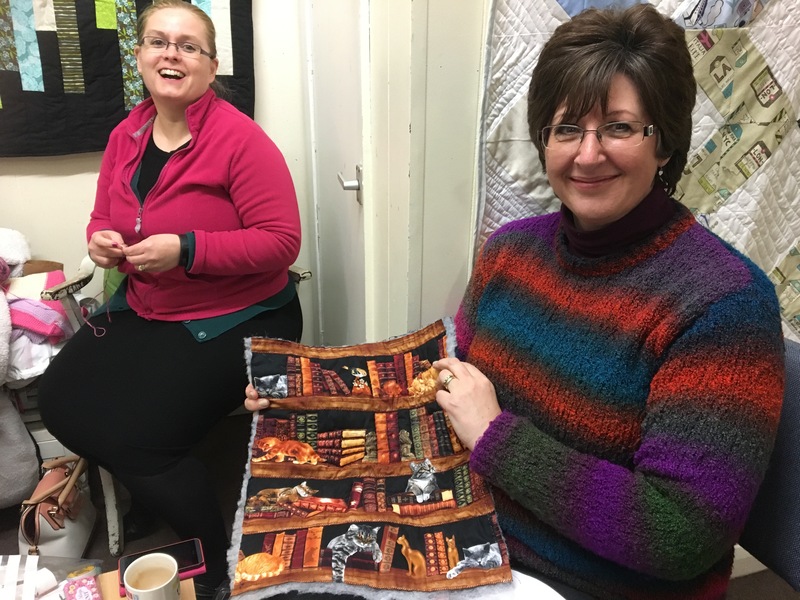 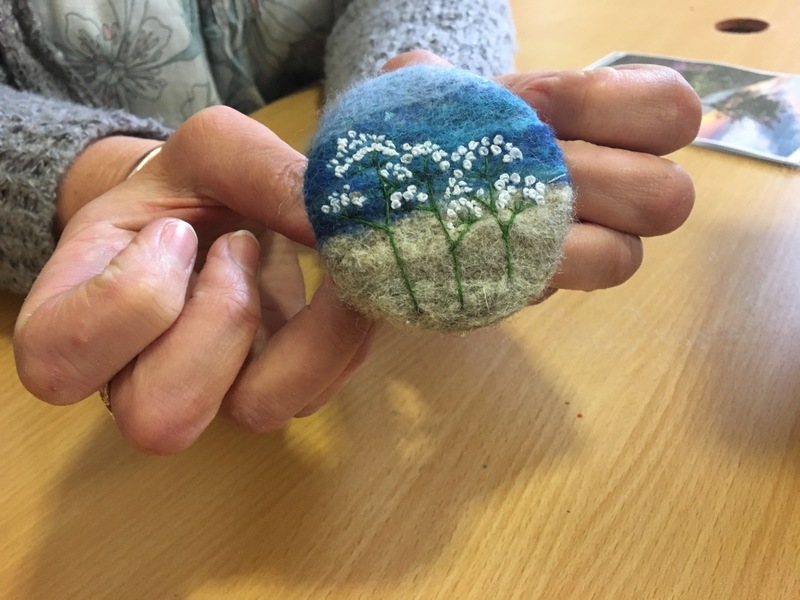 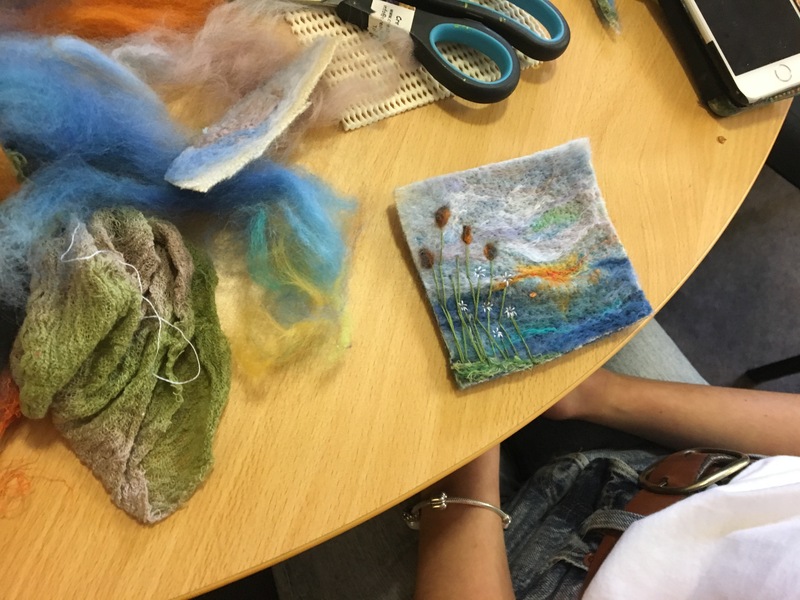 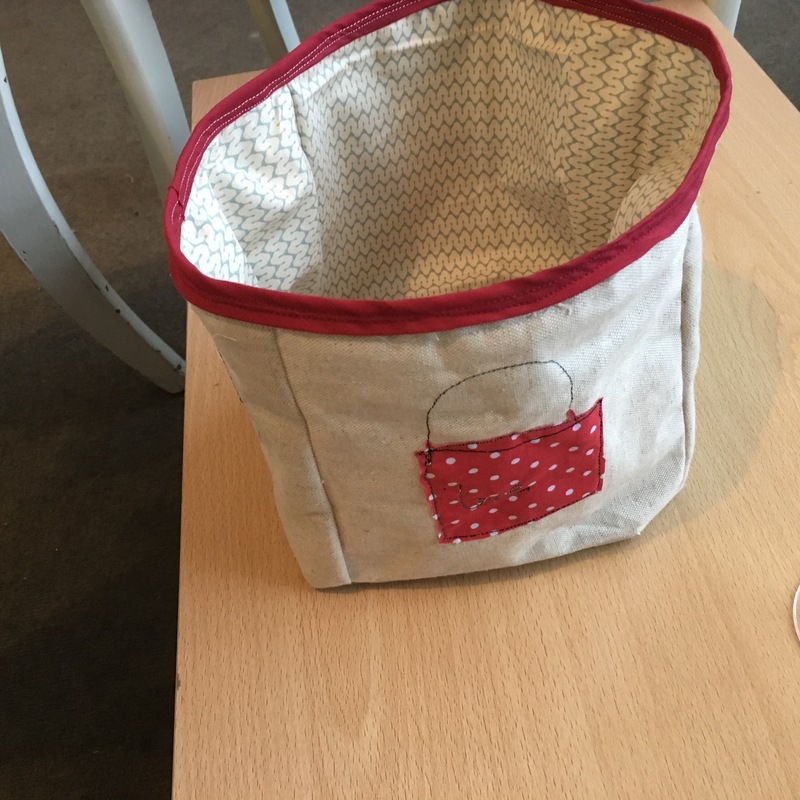 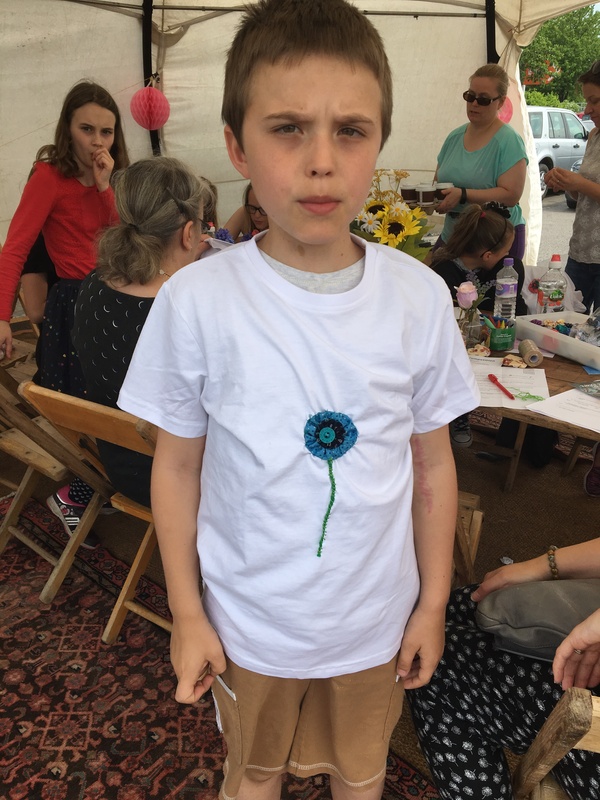 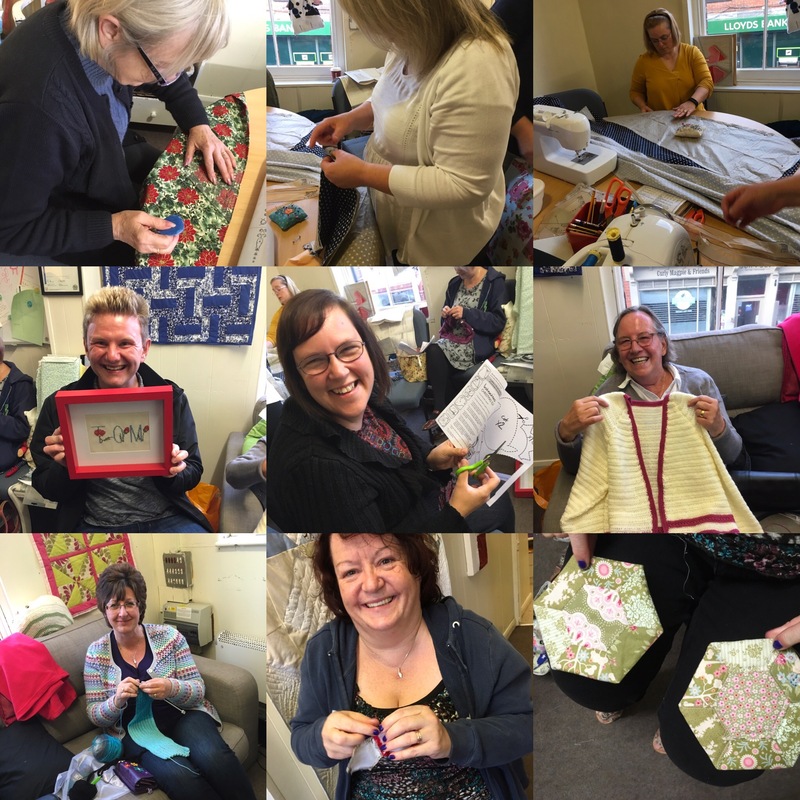 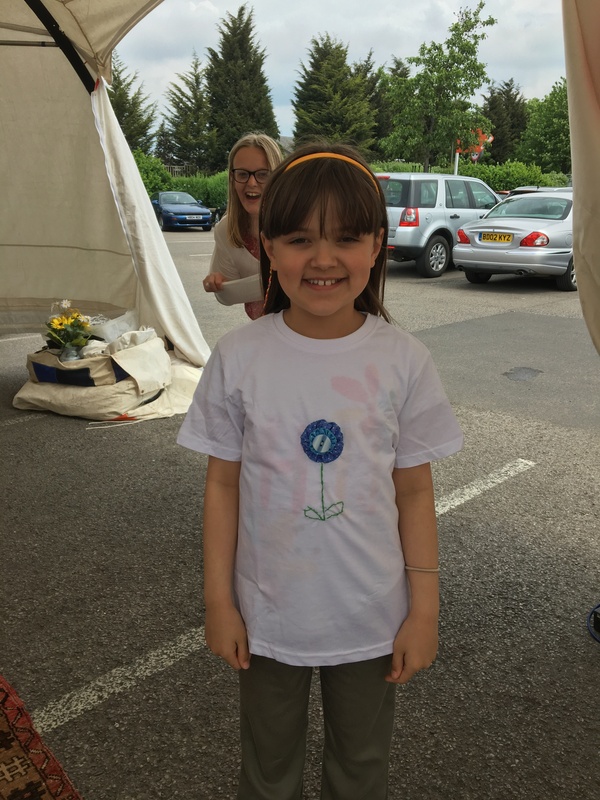 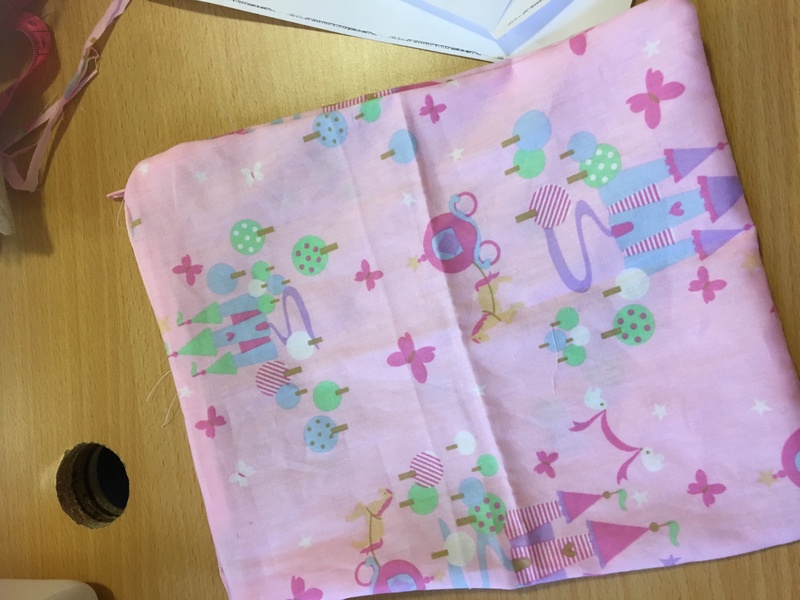 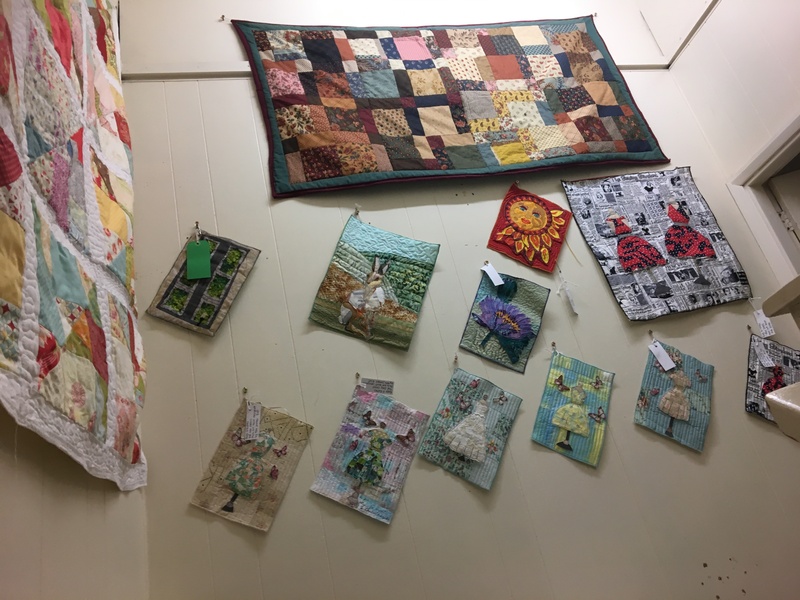 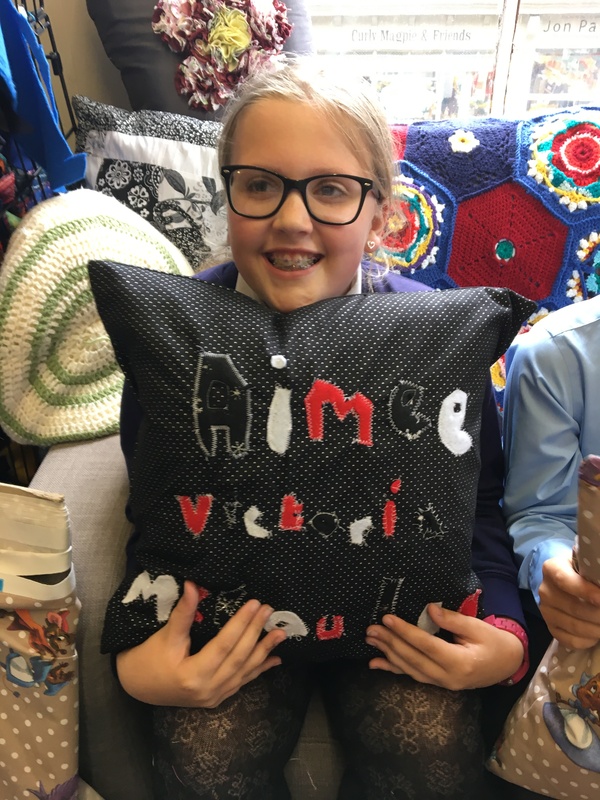 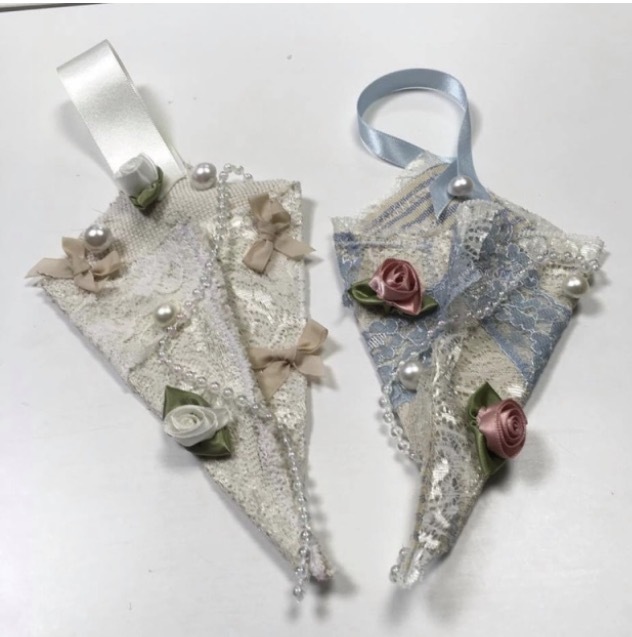 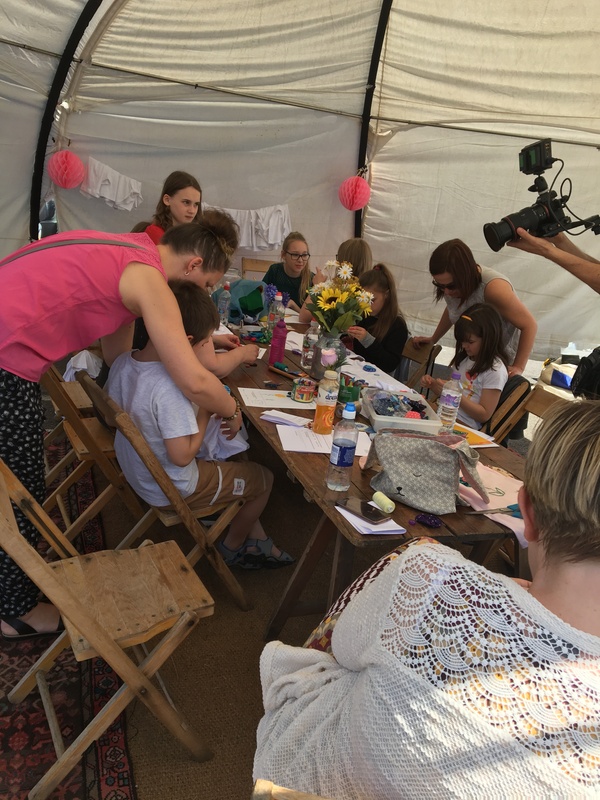 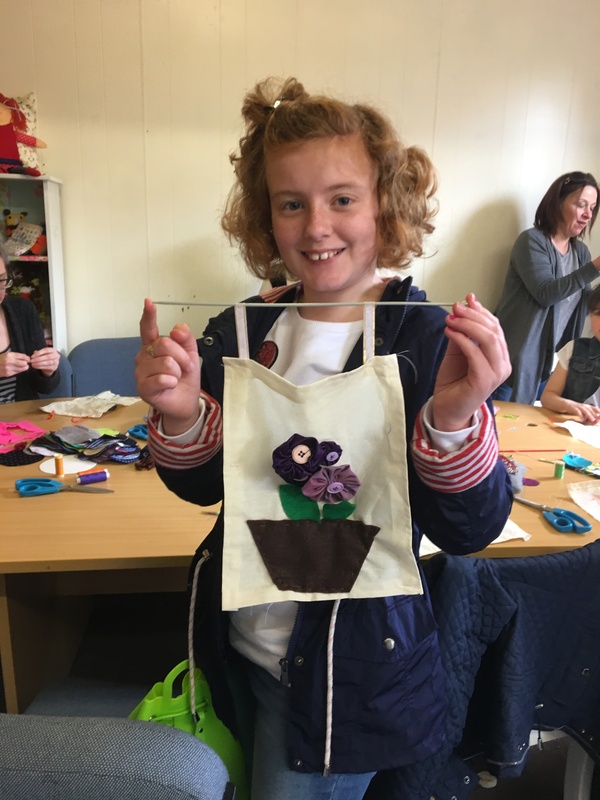 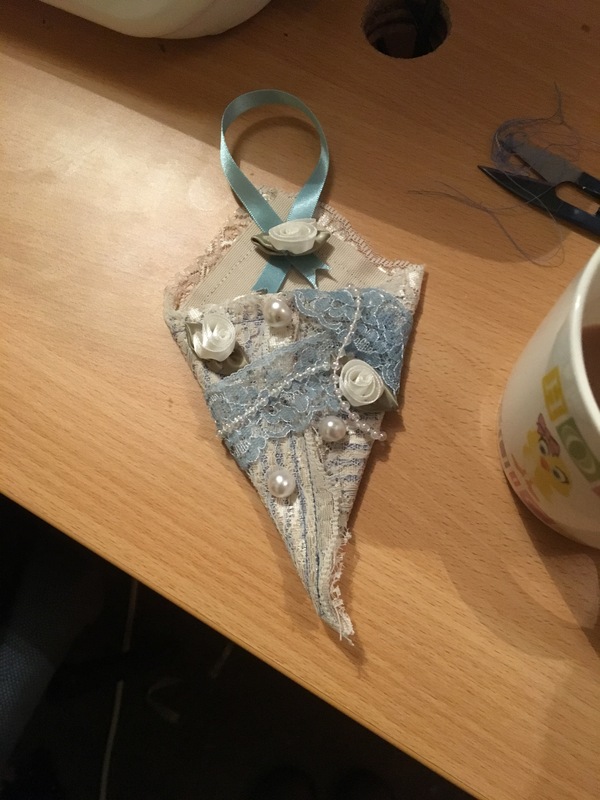 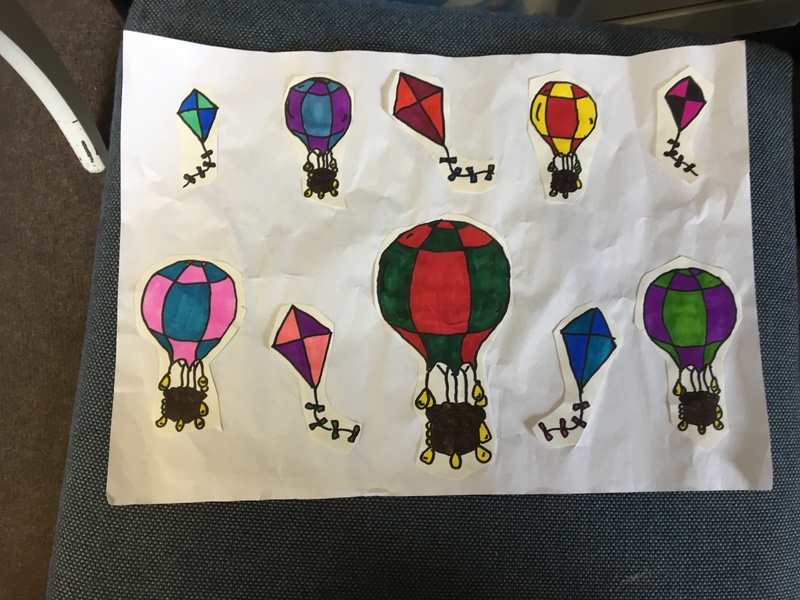 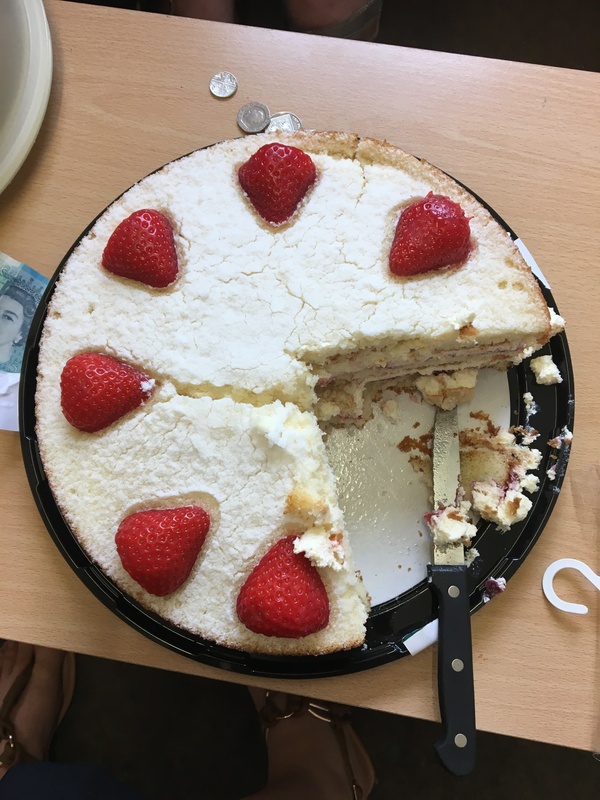 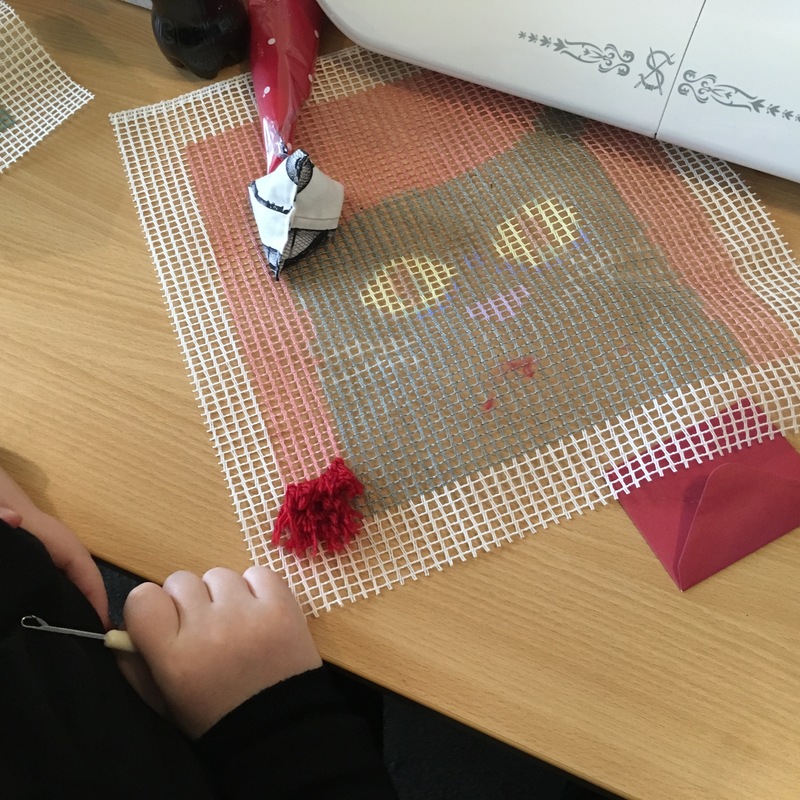 There was lots of creativity including knitting, crochet, cross stitch,lace making, sewing and appliqué….along with tea and cakes. 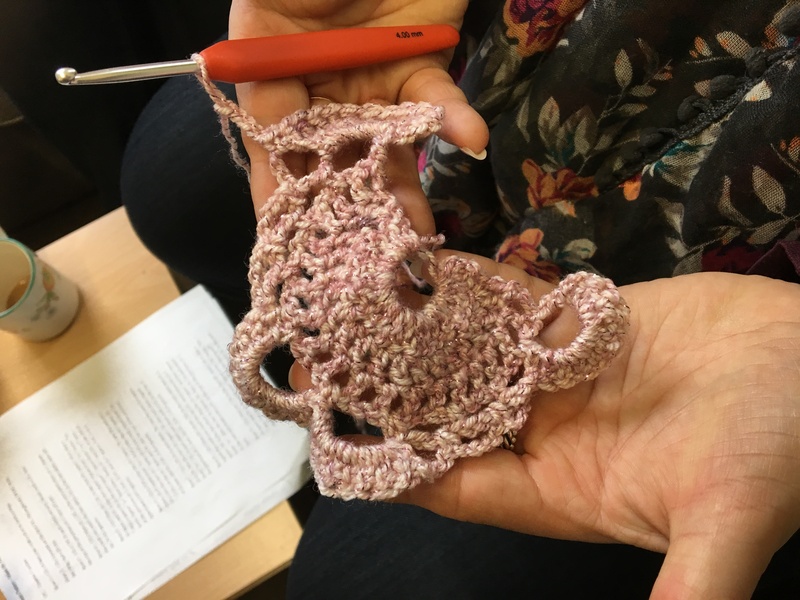 The Crochet workshop also started back and got cracking on learning new patterns and techniques. 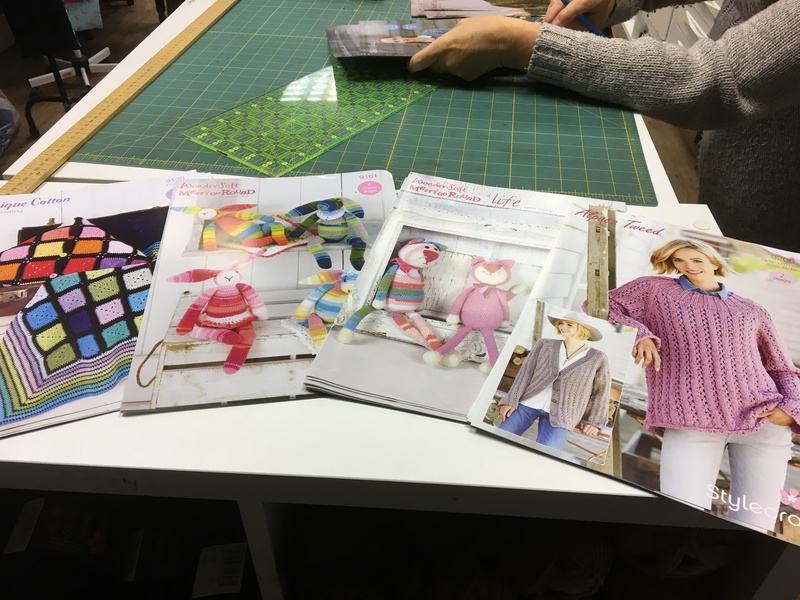 This class is good for beginners and more advanced. 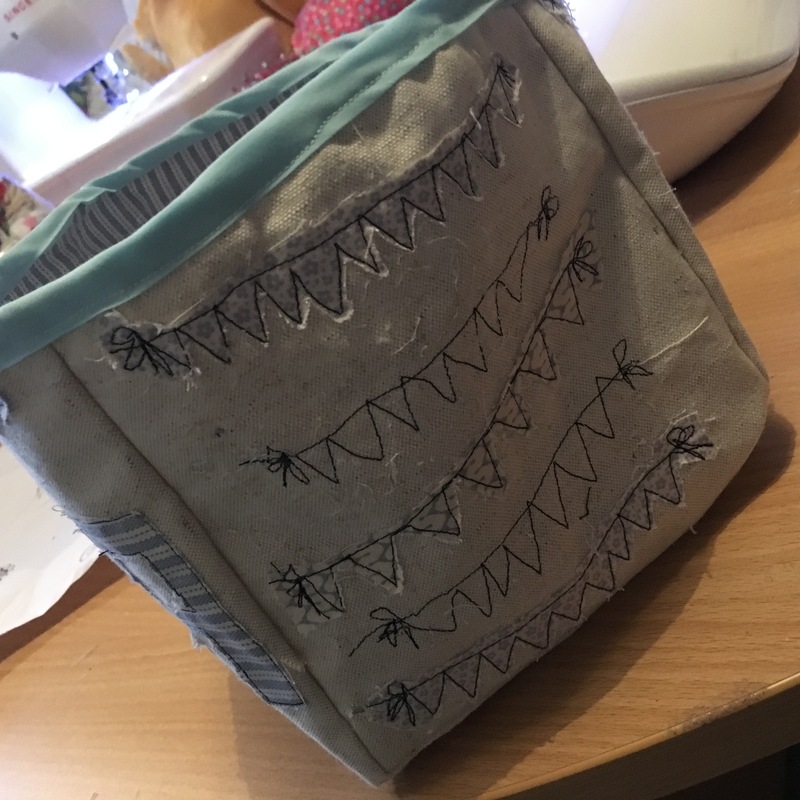 In between all the excitement I started on working on a new technique myself. 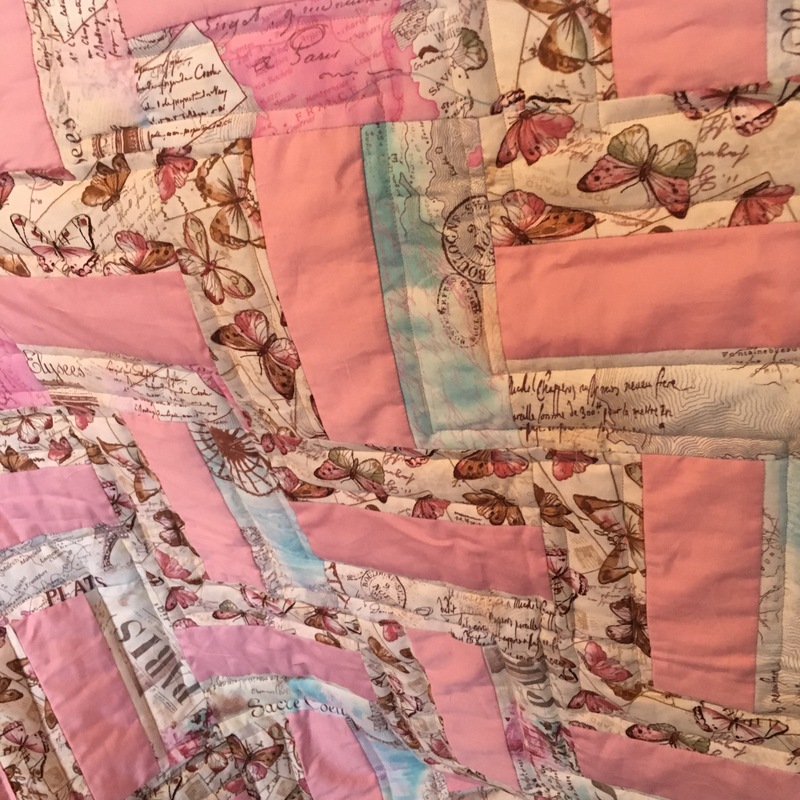 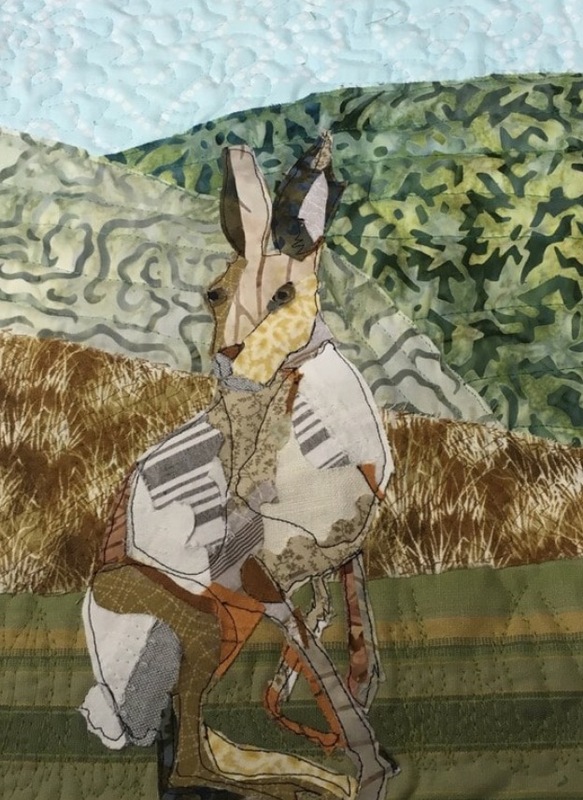 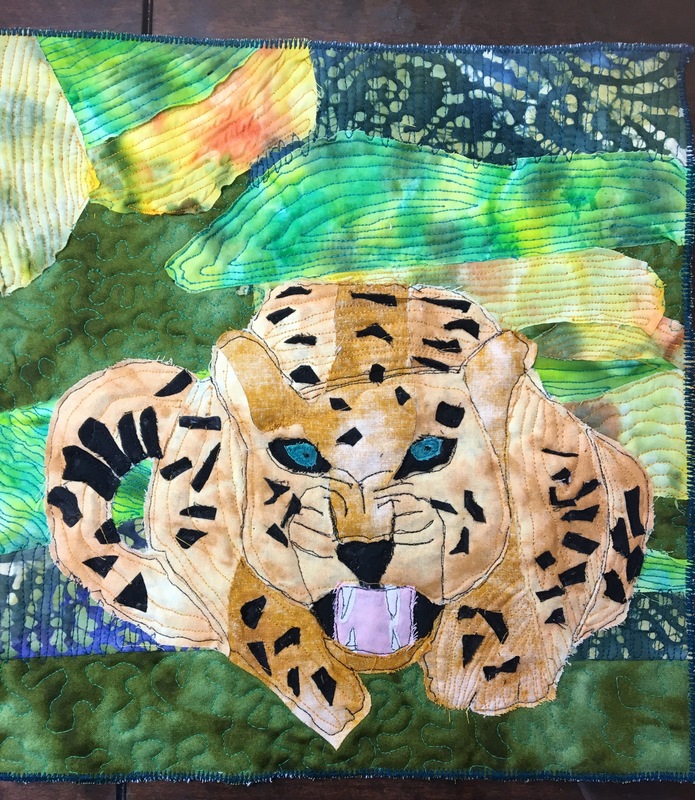 A textile art collage and quilted over net… not sure if I like it or not at the moment…. 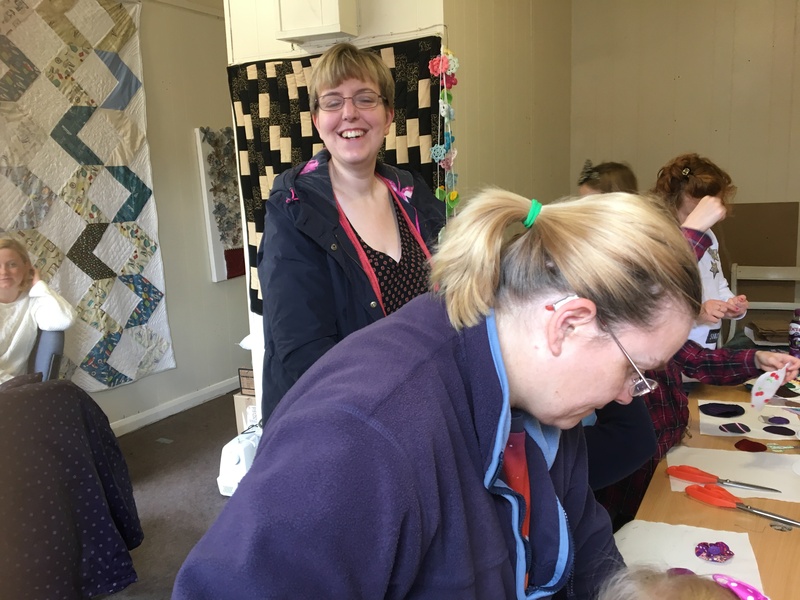 All in all a busy start to the year and looks like 2017 is going to be the year of new crafts, hobbies and challenges. 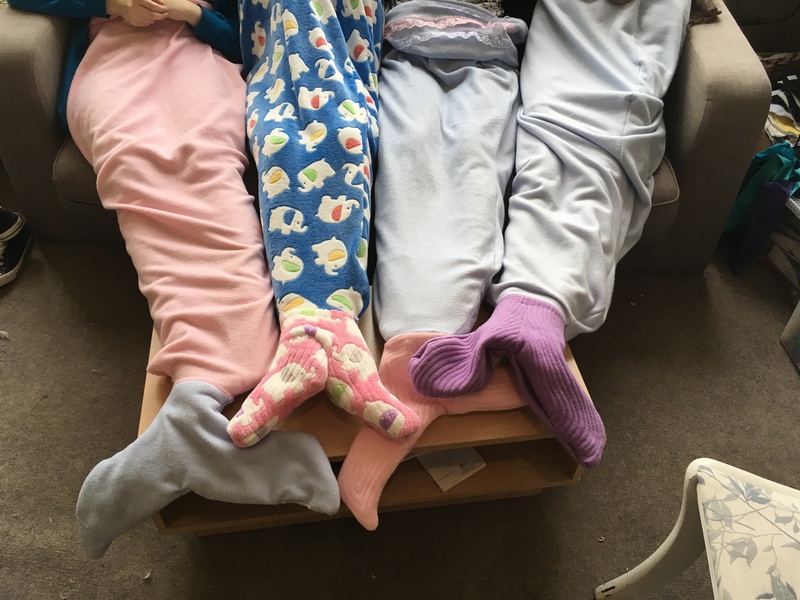 Keep warm and stay safe. 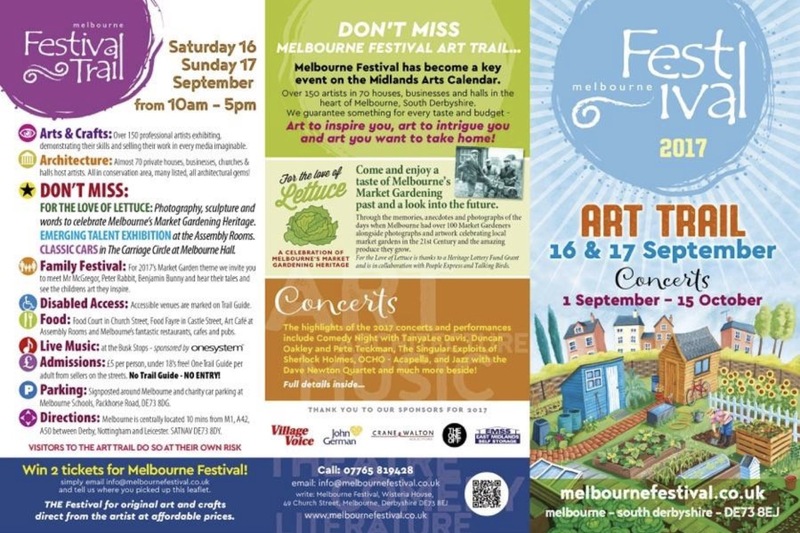 Lets fill you in with what’s happening. 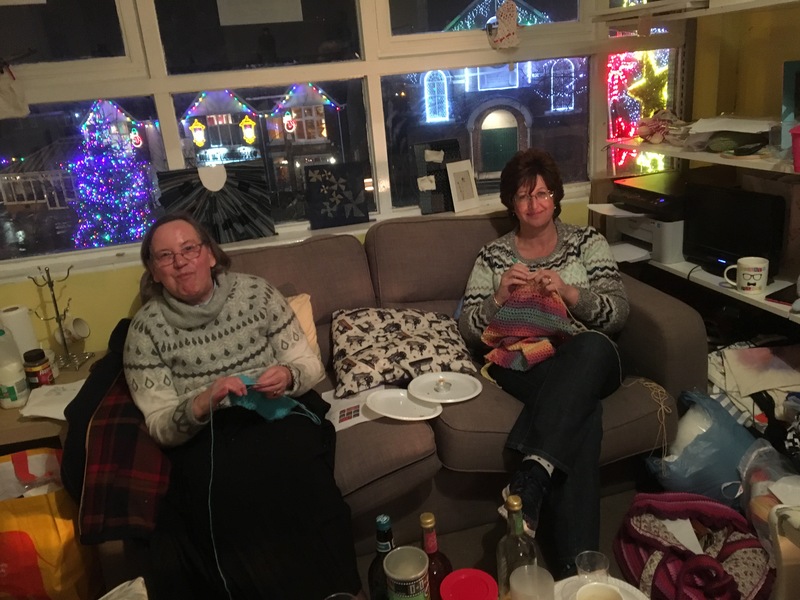 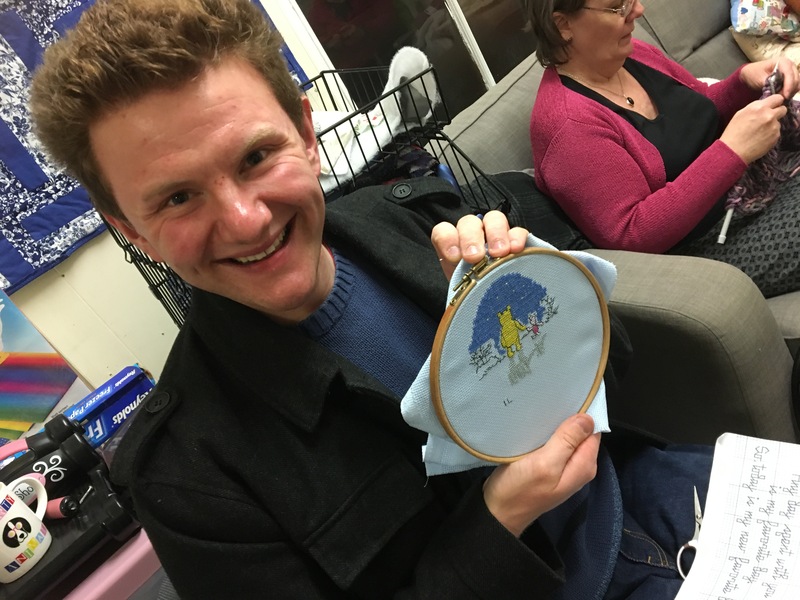 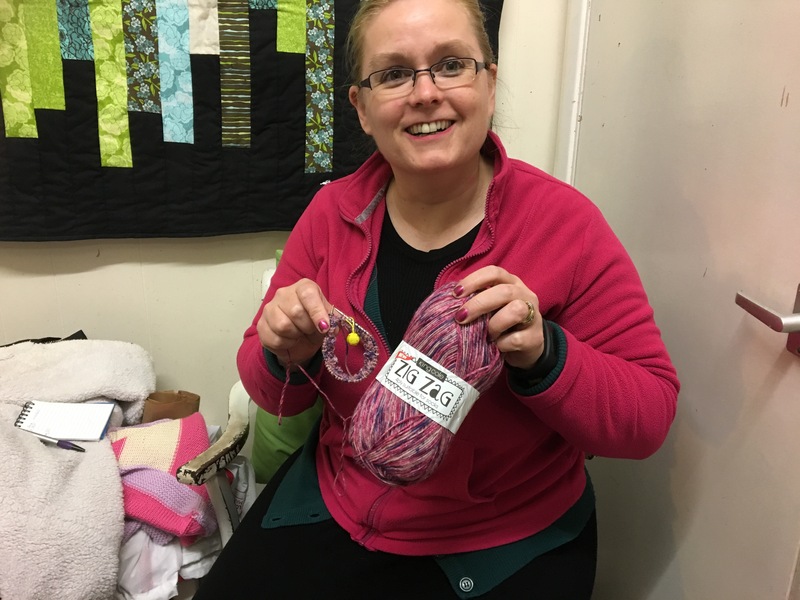 We had our monthly Craft and Chat evening but with a twist… it was our Christmas party night. 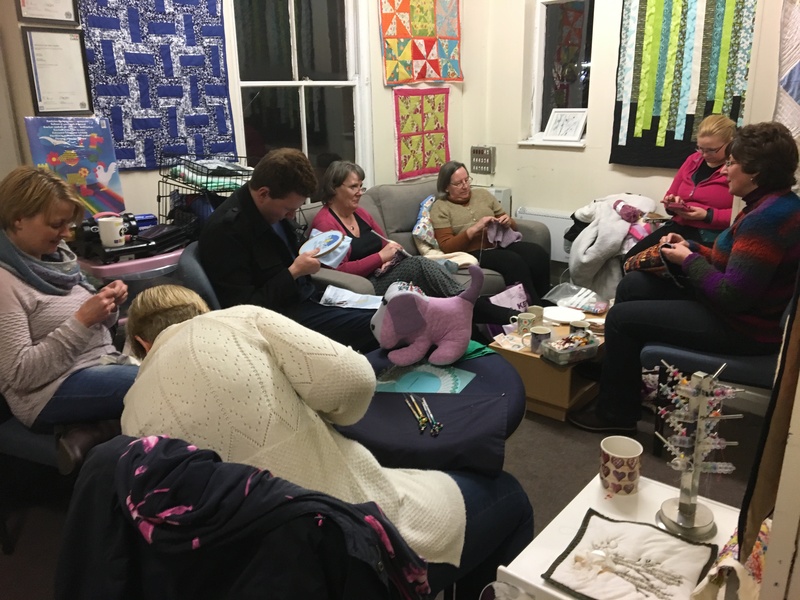 A fab evening and a big thank you who has become part of our group…. 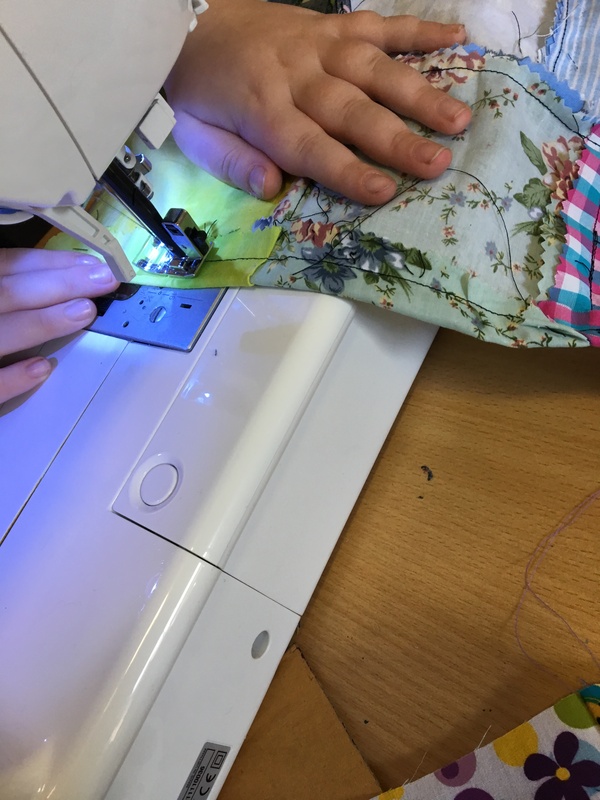 It was also the last of our children’s sewing bee of 2016. 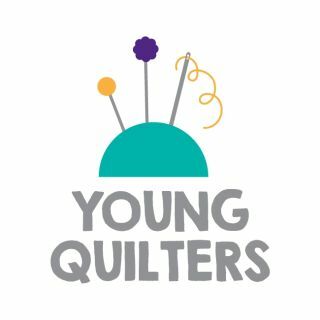 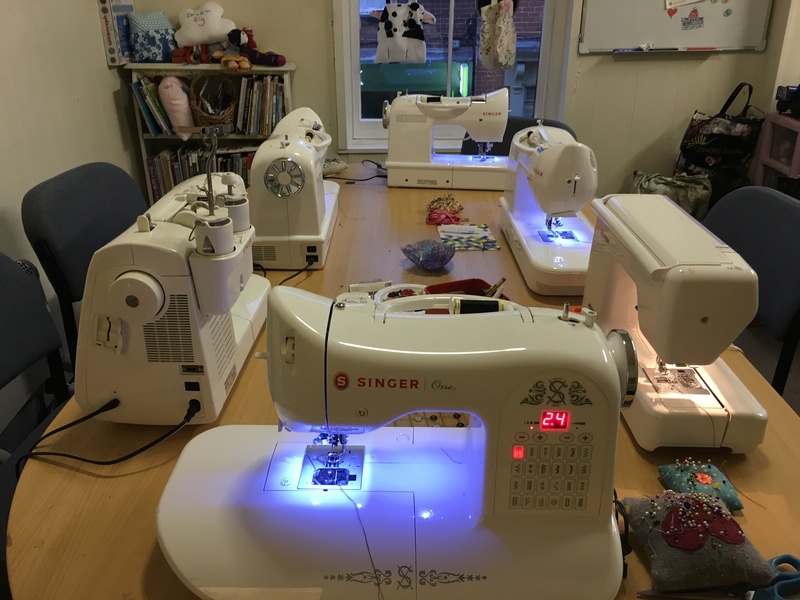 All the little stitchers have had an amazing year, I really can’t wait to have to back in our new Sewing Studio in January. 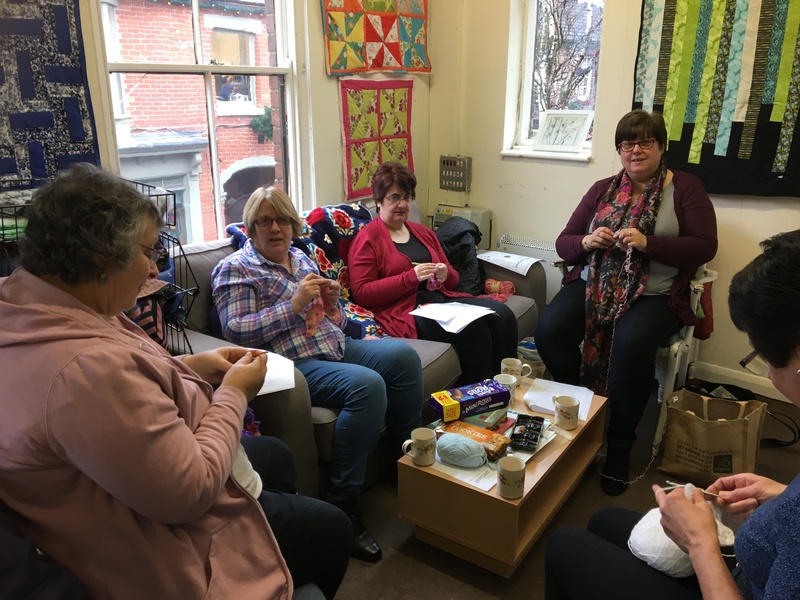 I still have two spaces open to join me in January on a Tuesday …. 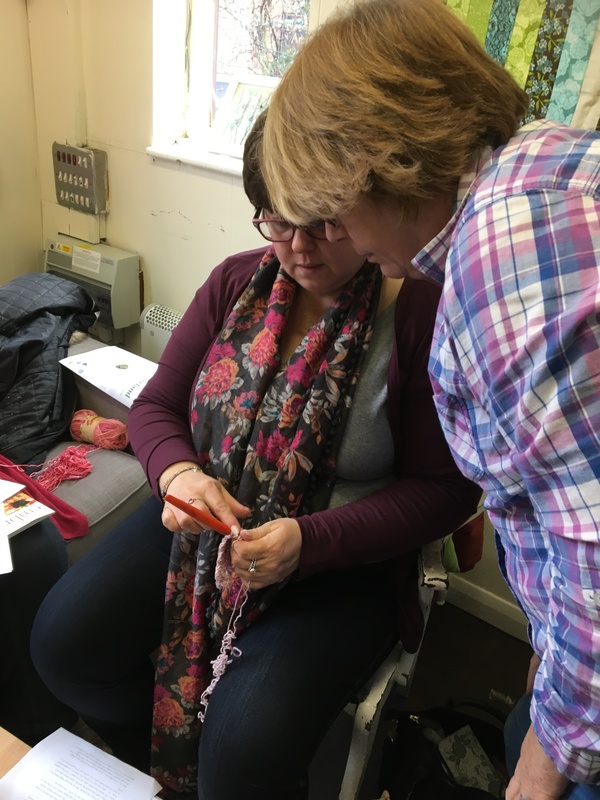 Our new adult classes for 2017 are now available on the website. 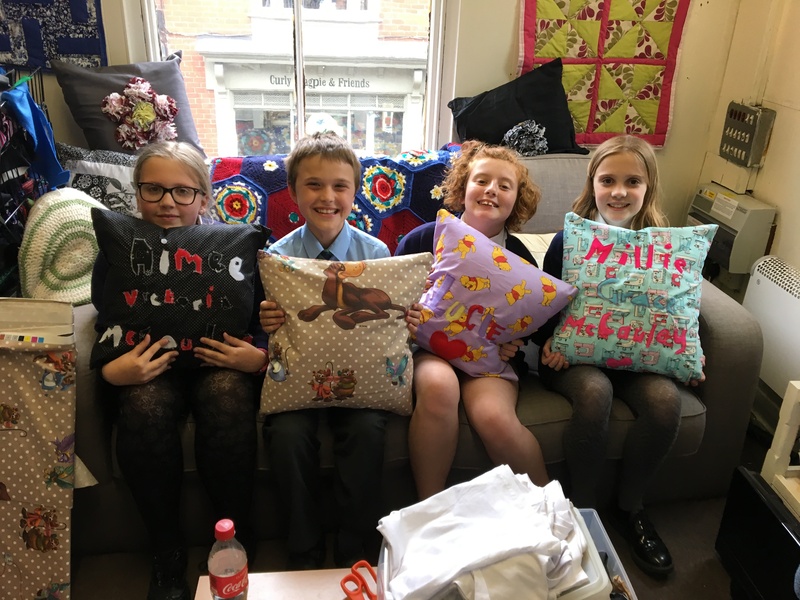 We are being guest tutors too. 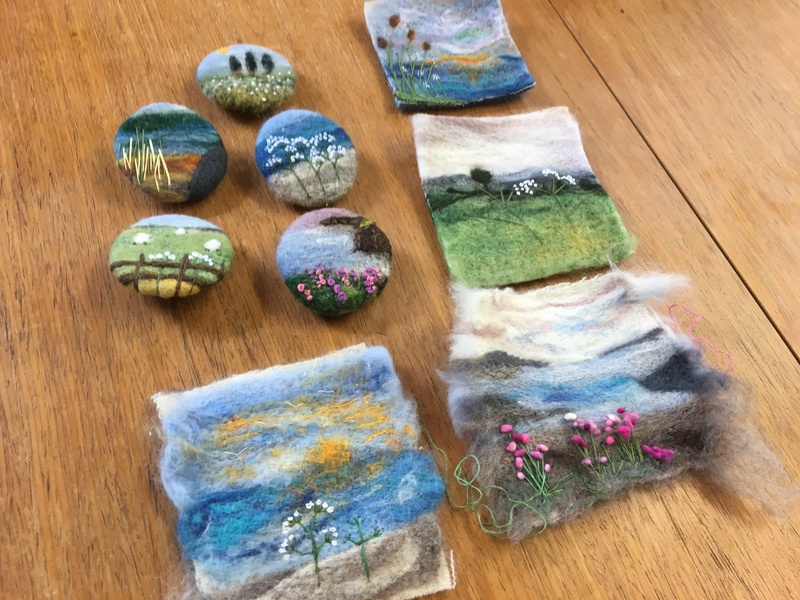 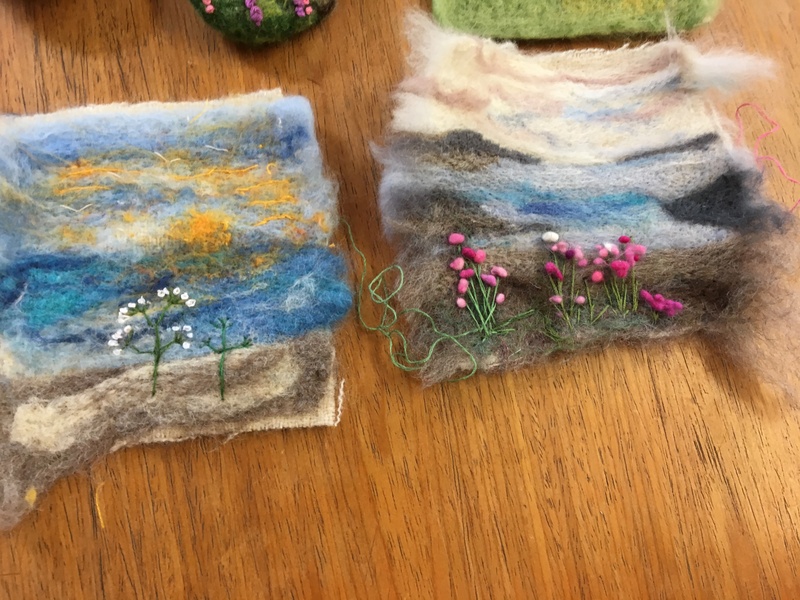 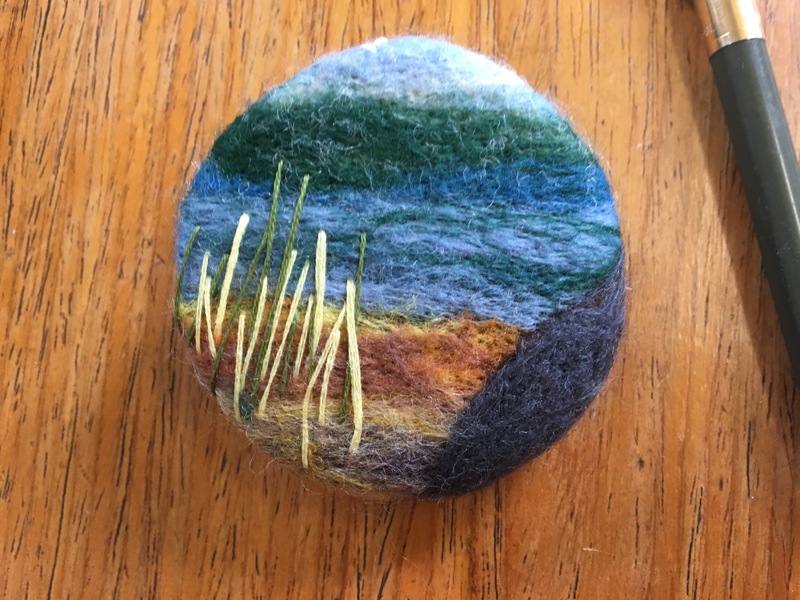 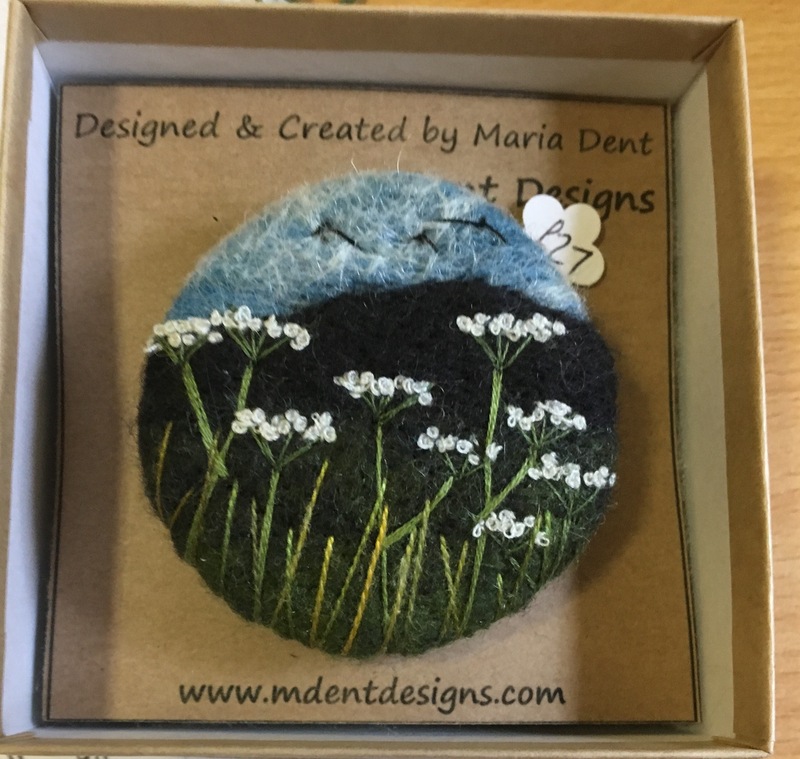 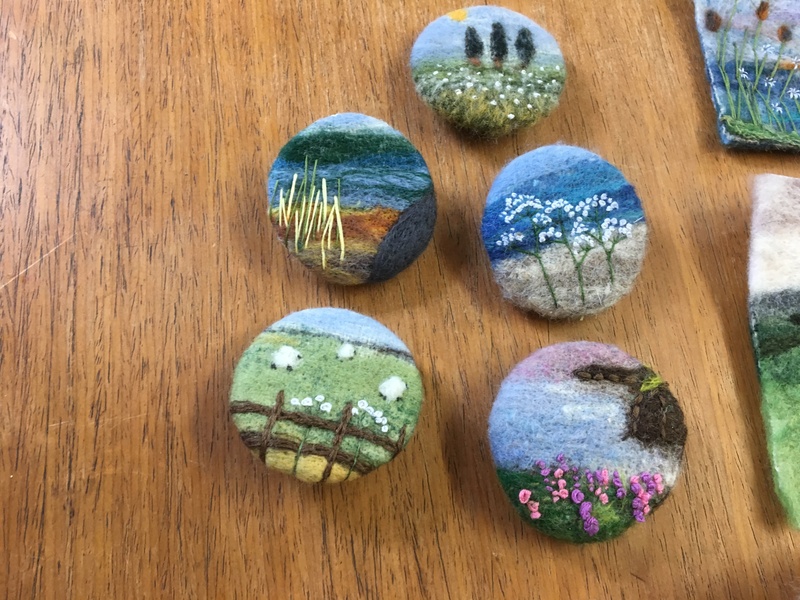 The amazingly talented Emily Notman (mixed media) and Maria Dent from Creative Bumblebee (felting and embroidery. 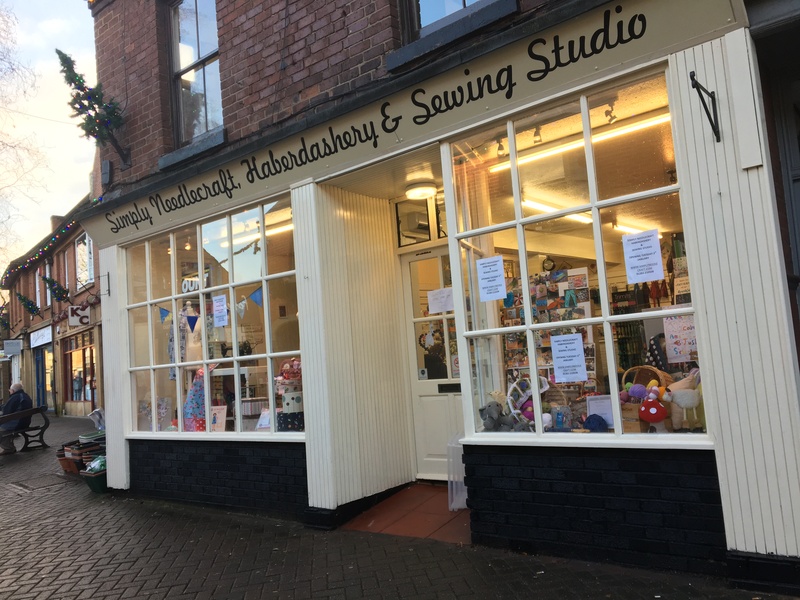 And the new sign is now up…. 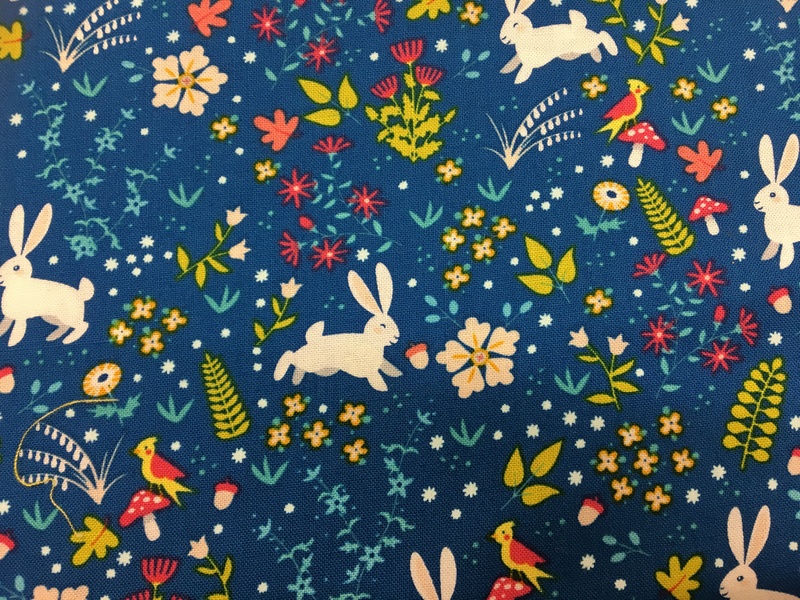 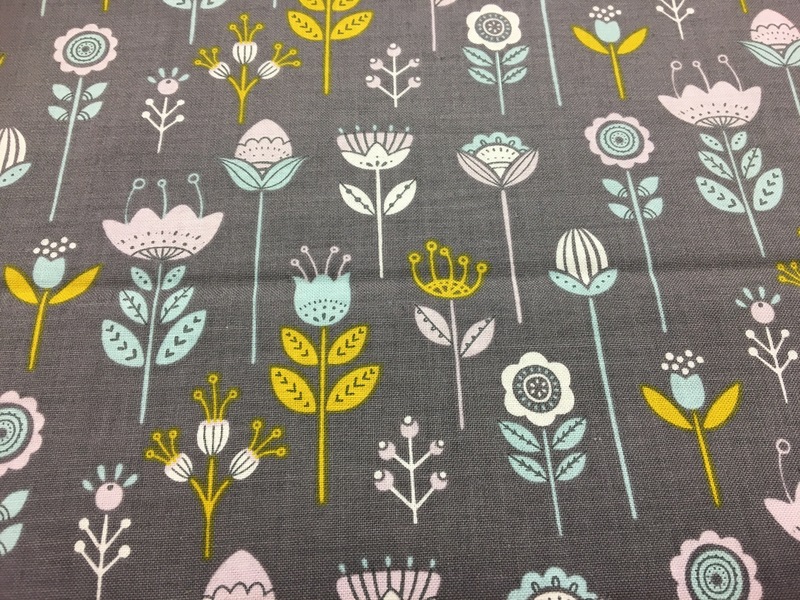 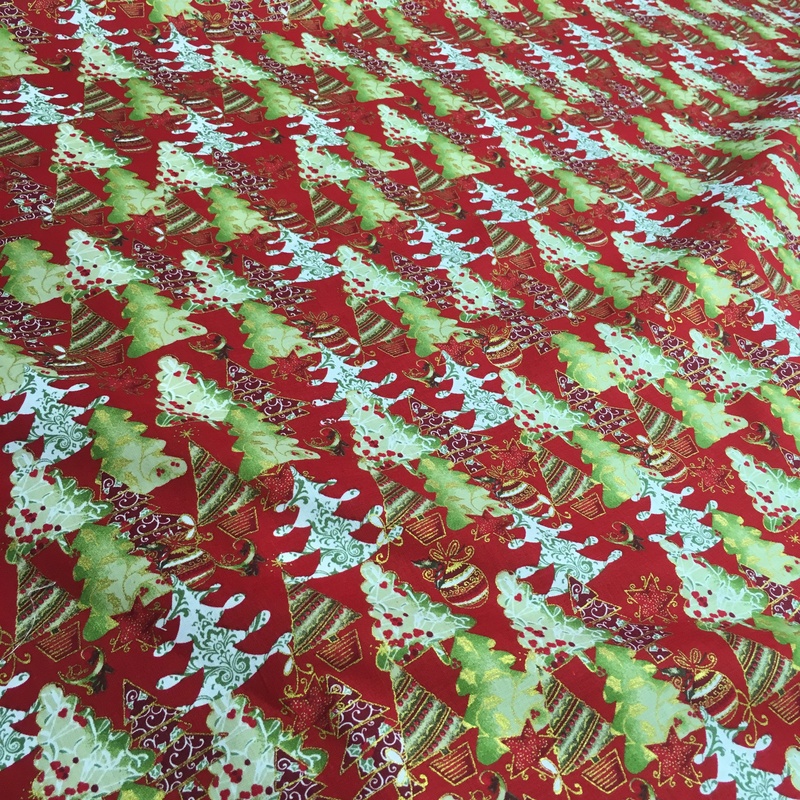 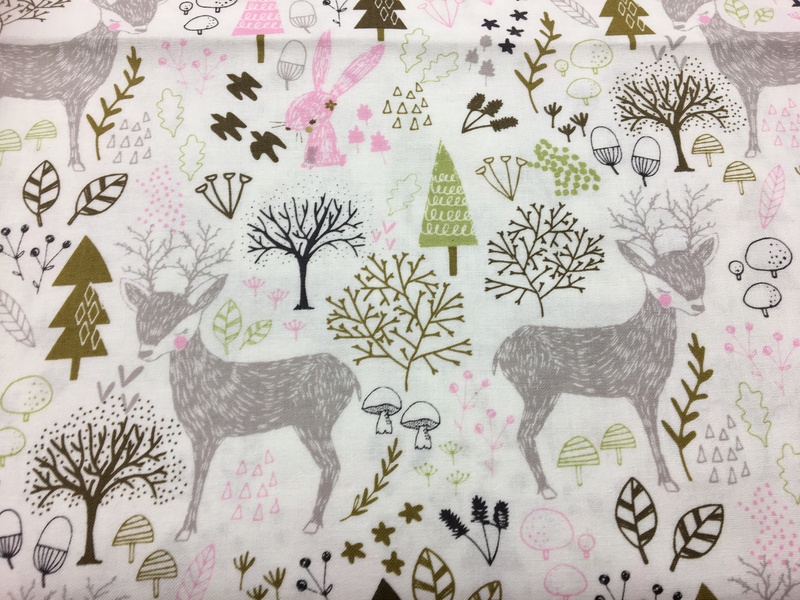 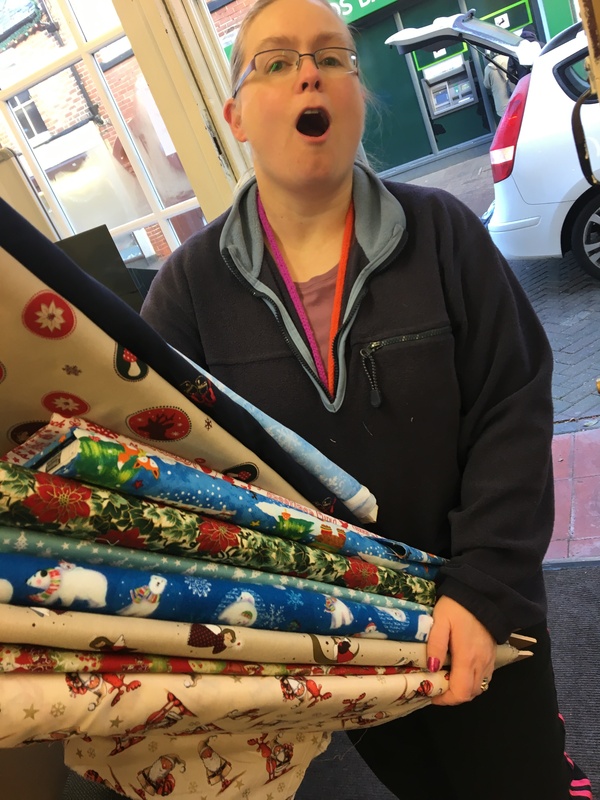 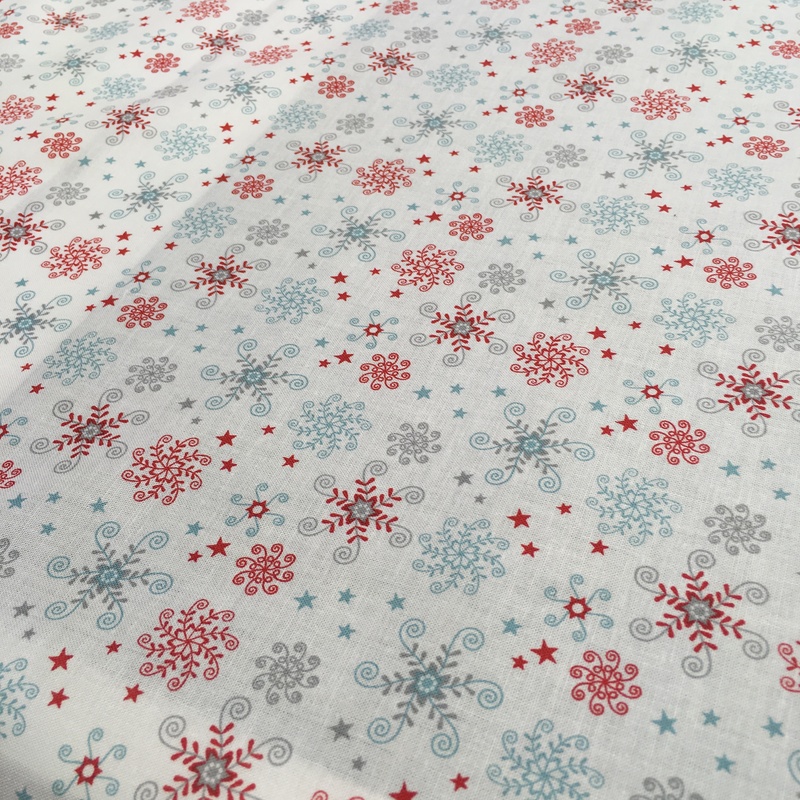 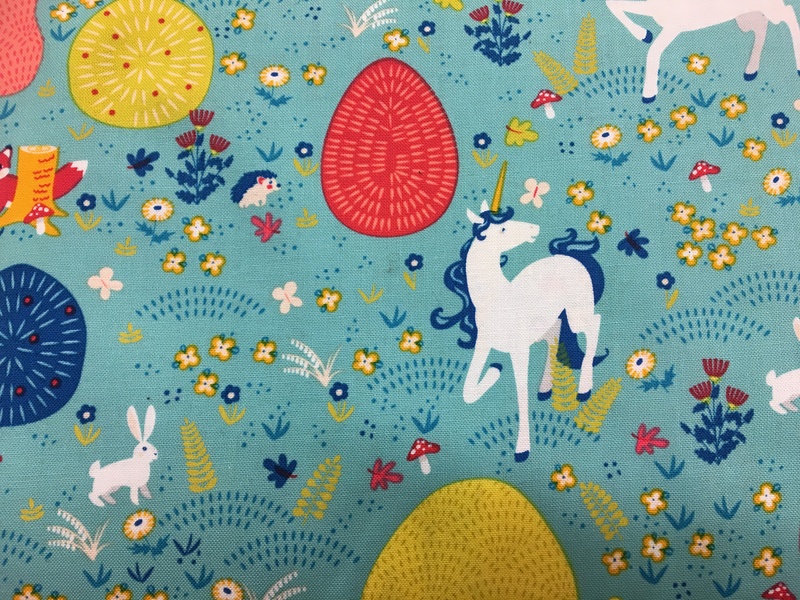 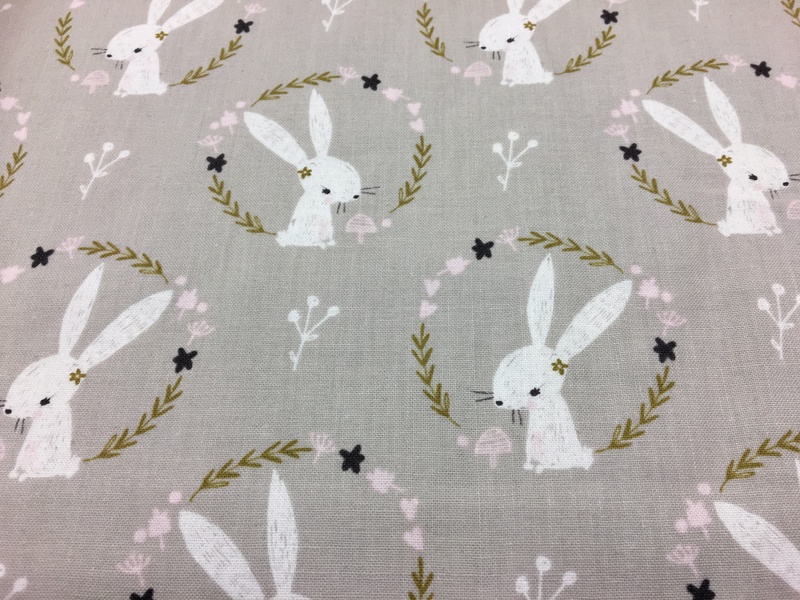 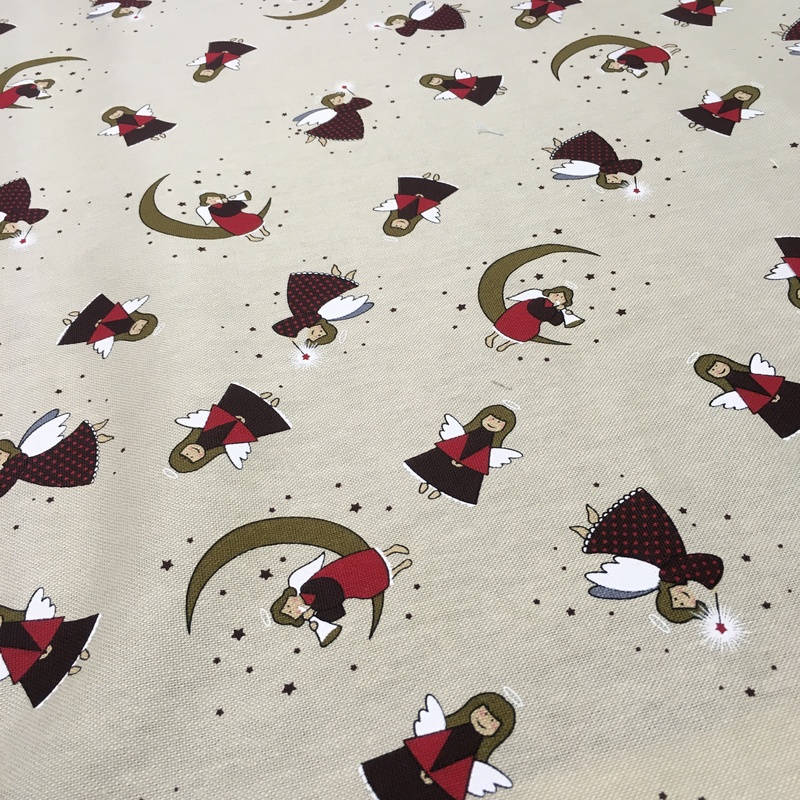 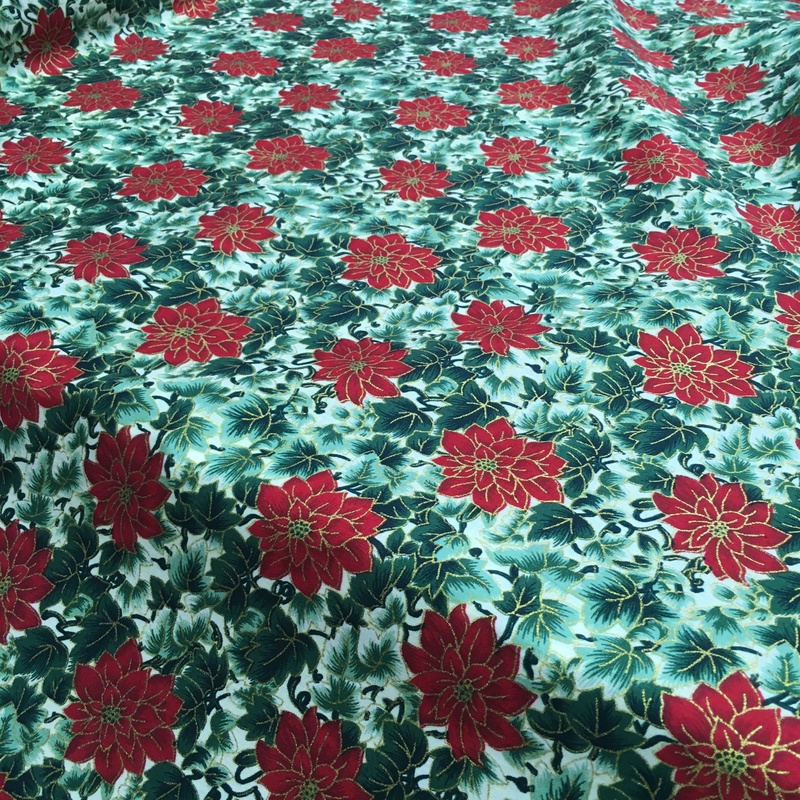 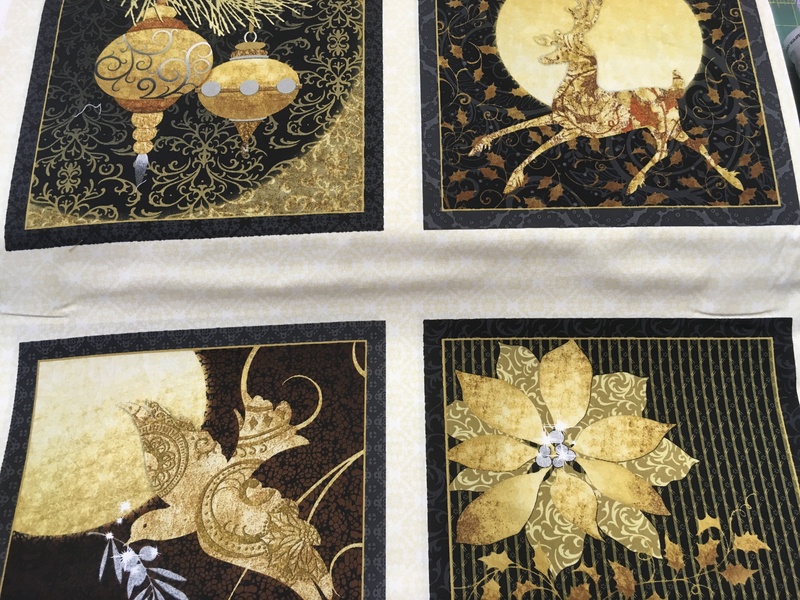 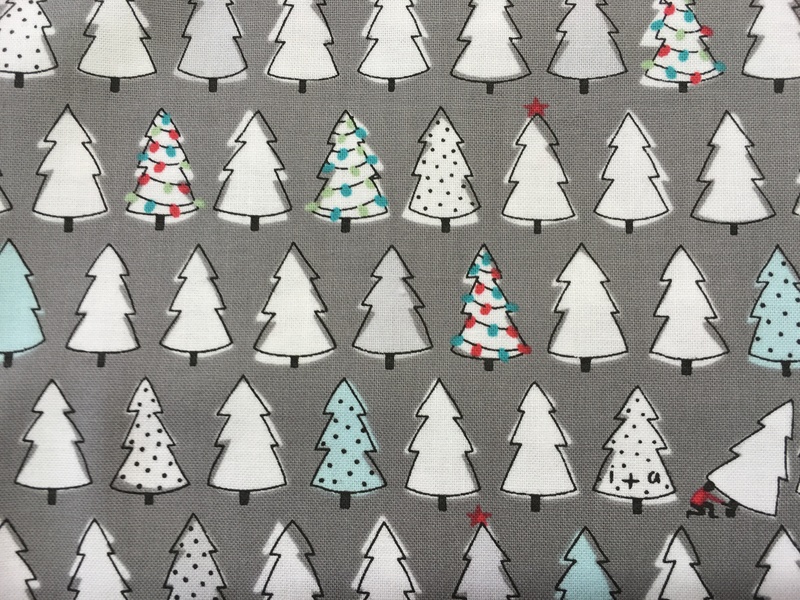 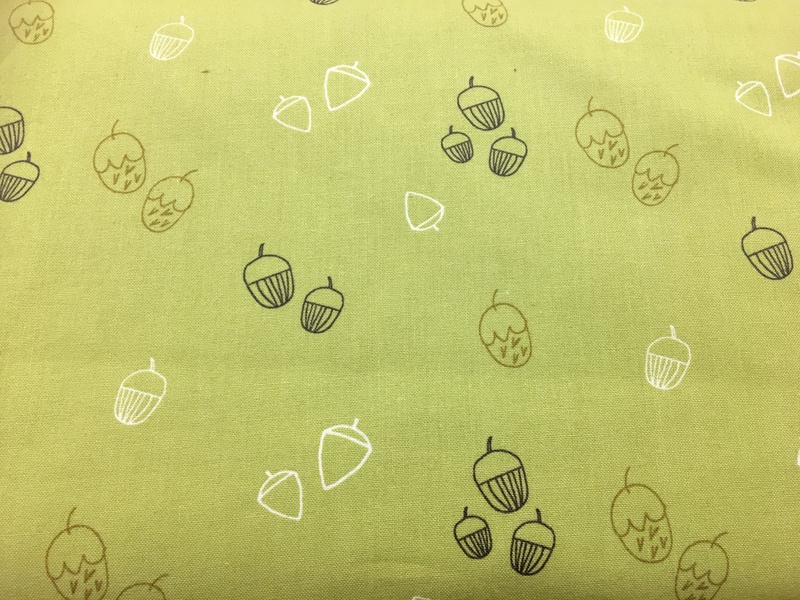 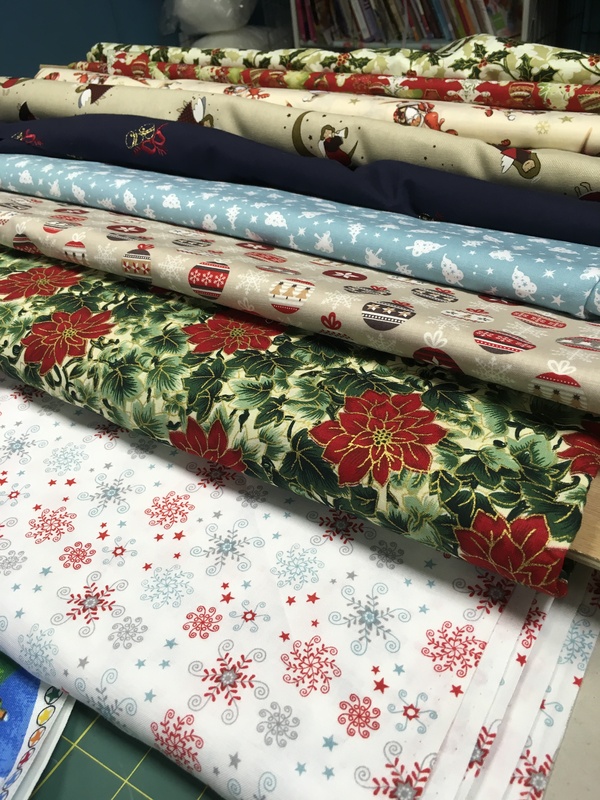 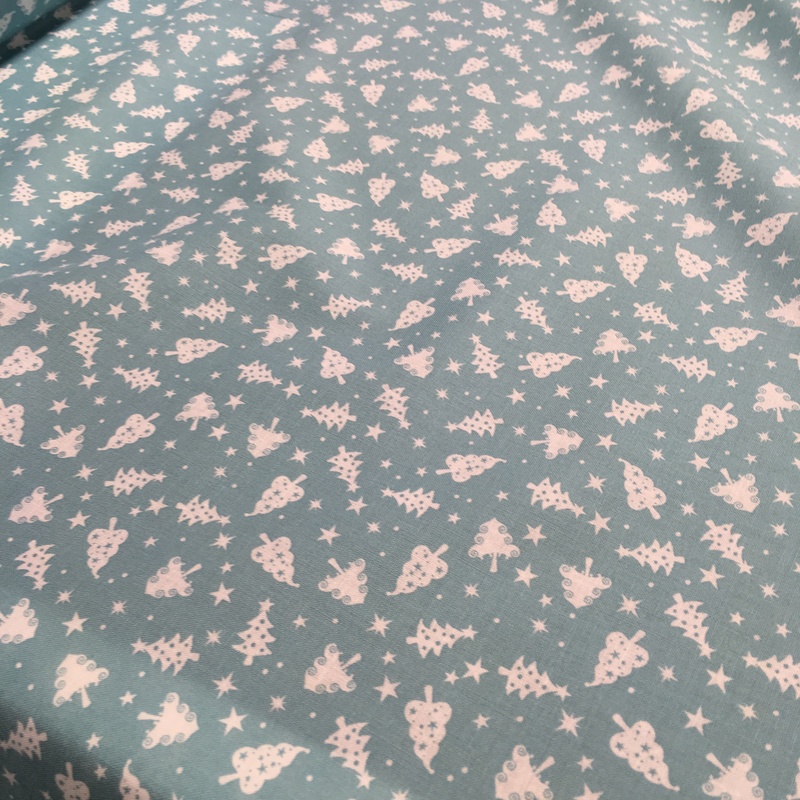 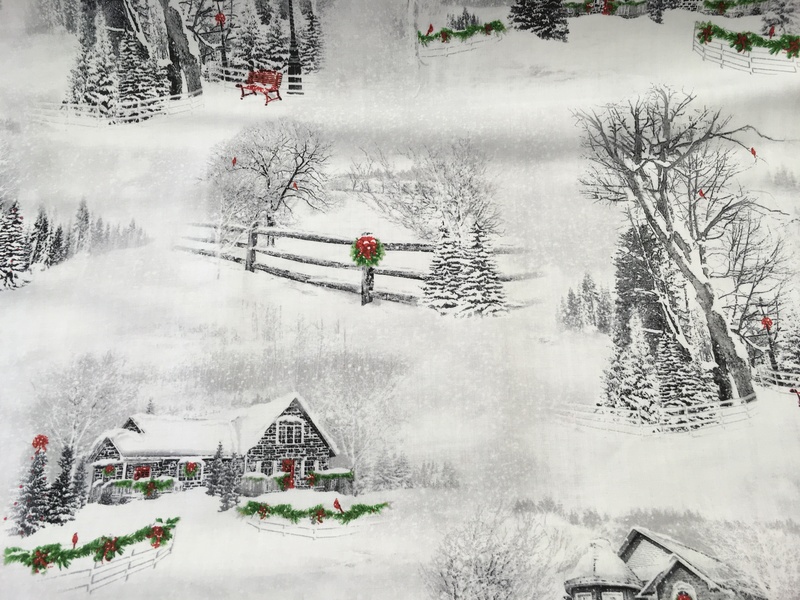 We have a massive Christmas fabric sale on now…. 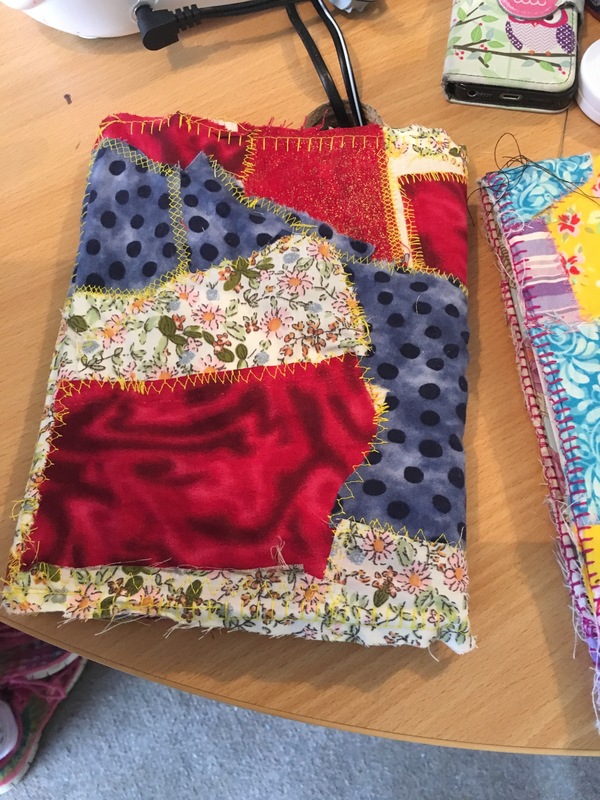 And lastly I have been working hard on a coursework project, making a new quilt and a little bit of hand stitchery…. 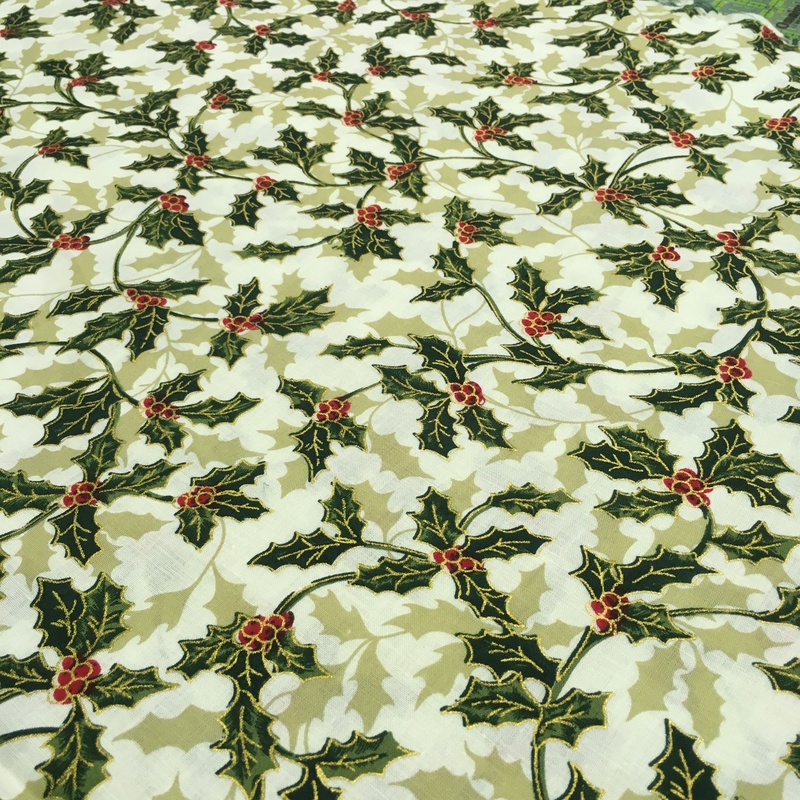 I hope you all have a fantastic Christmas, thank you for following us it really does mean the world to me. 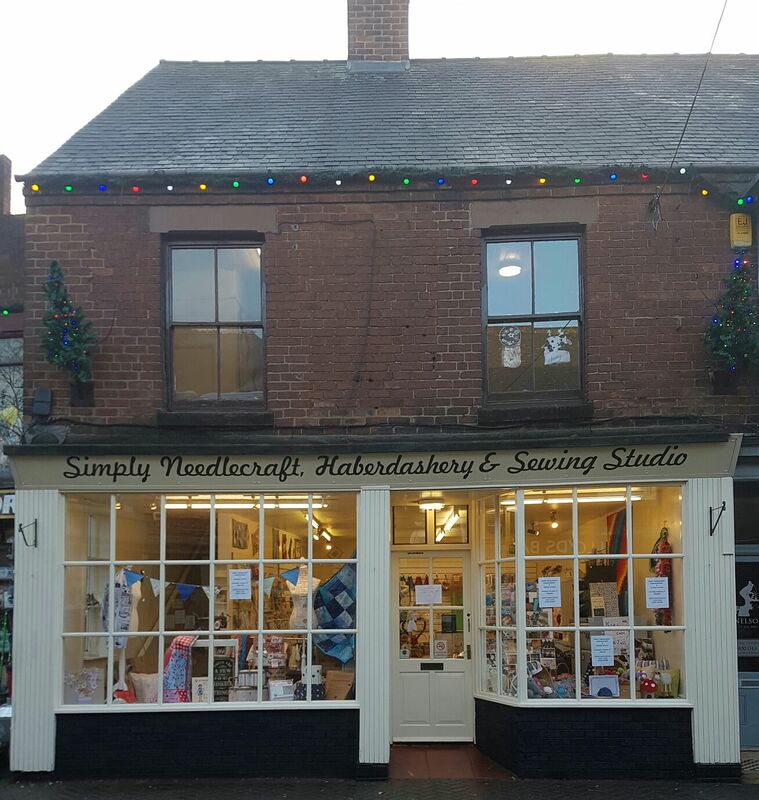 I’ll blog again between Christmas and New Year to update you all on the shop move. 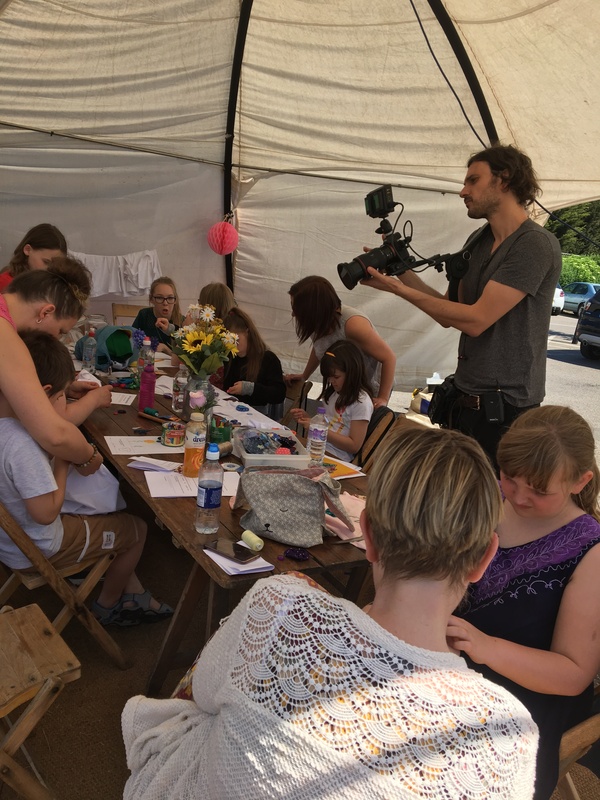 And organise the workshops and classes for 2017. 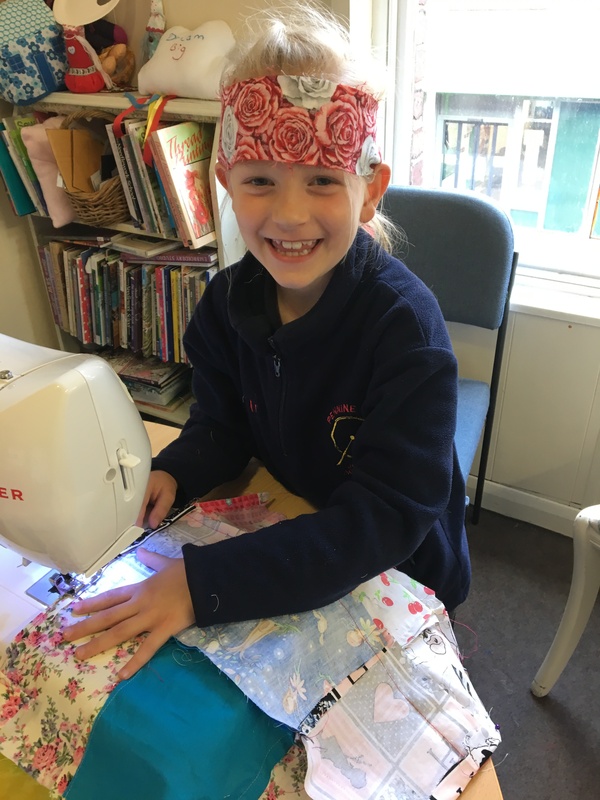 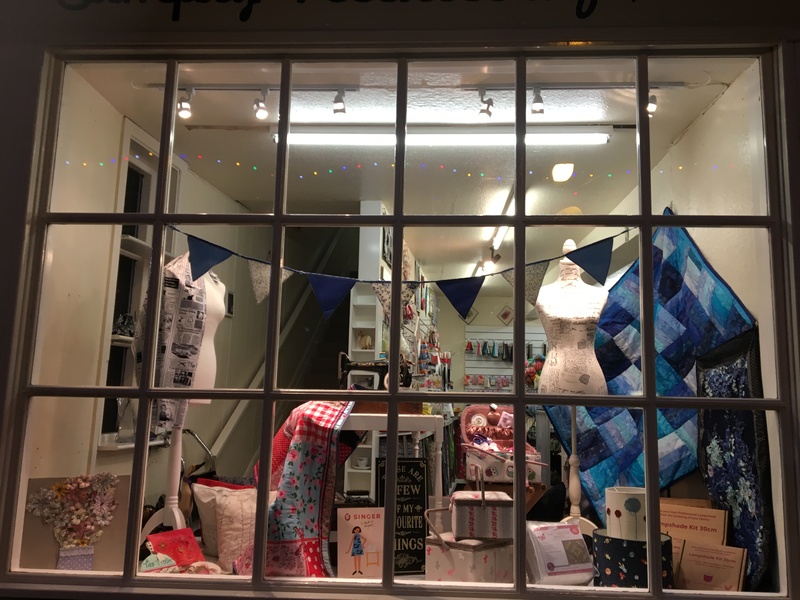 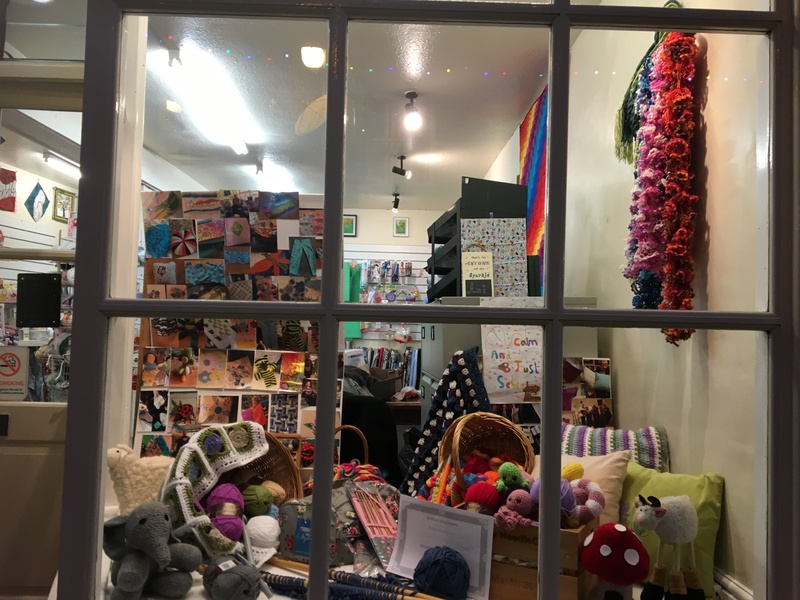 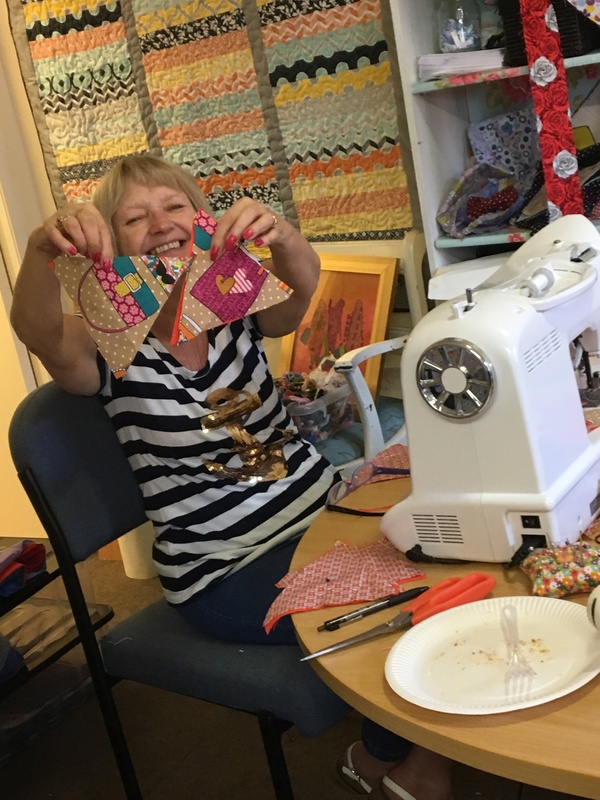 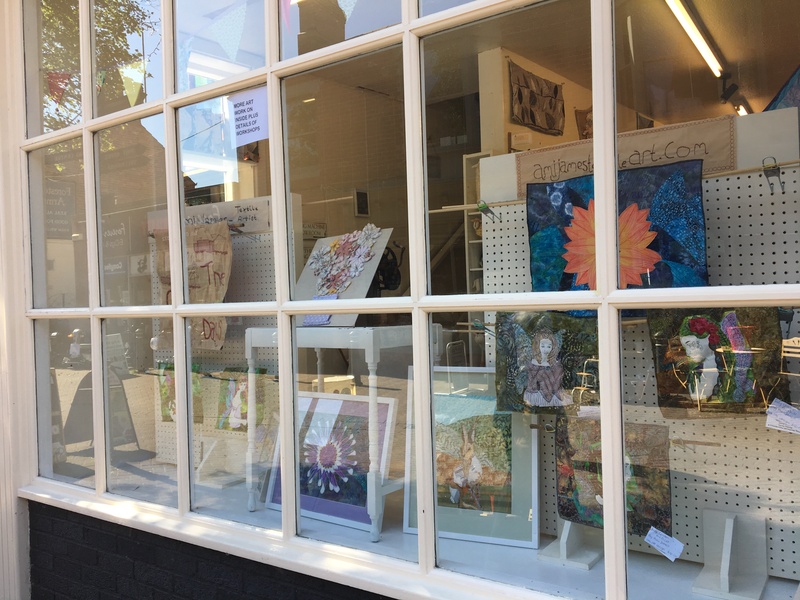 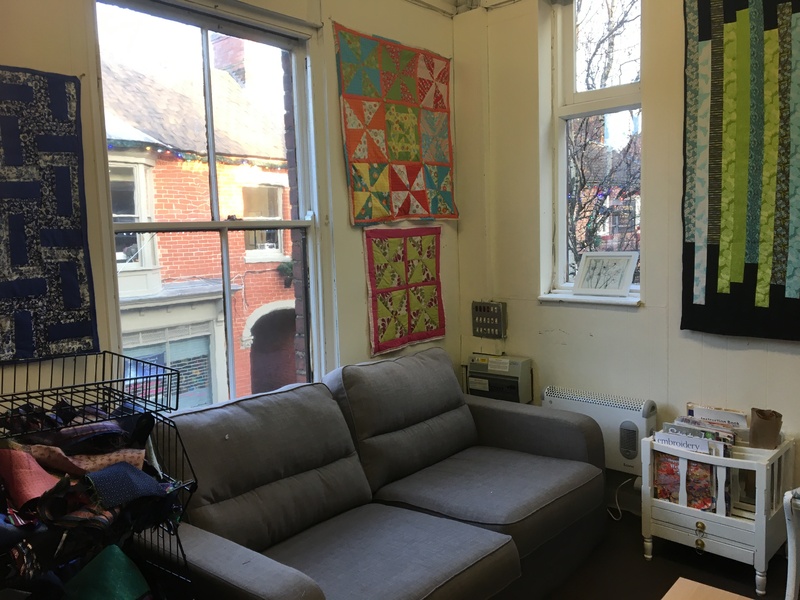 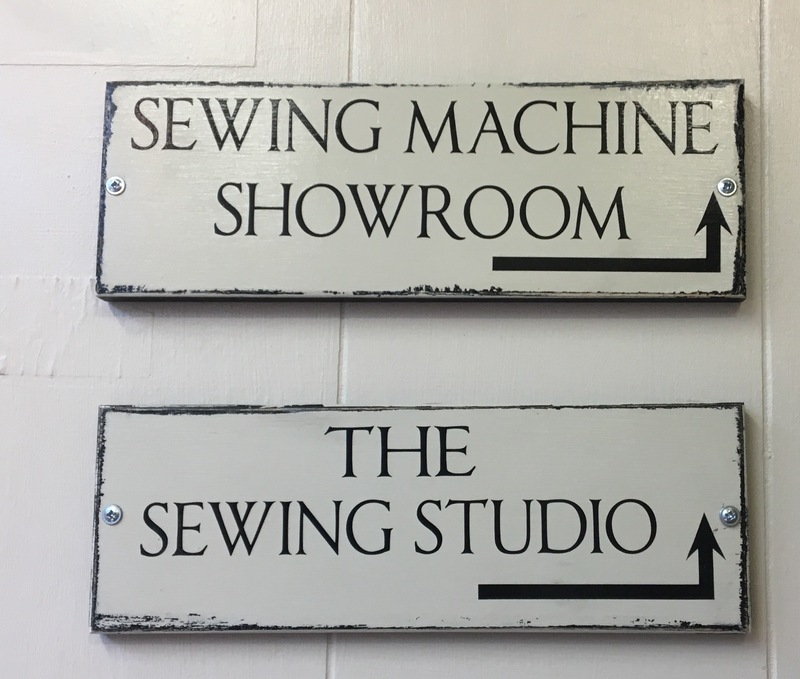 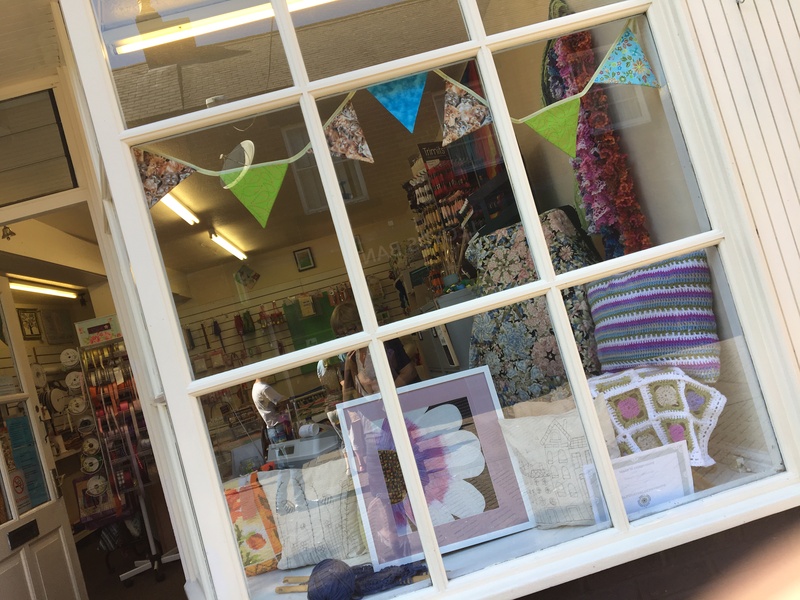 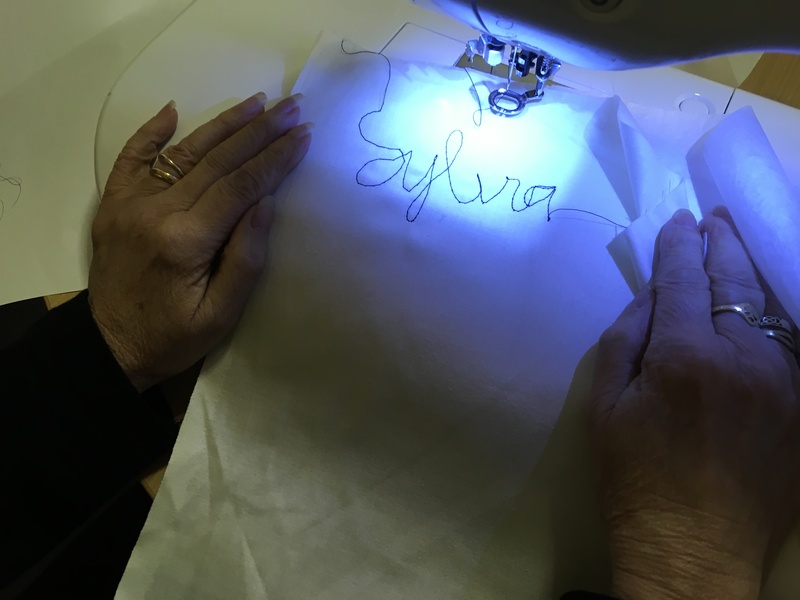 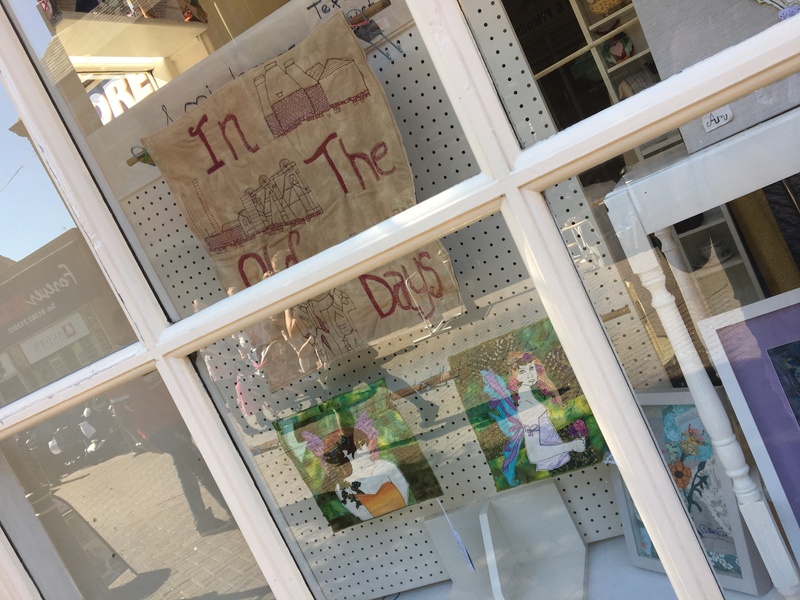 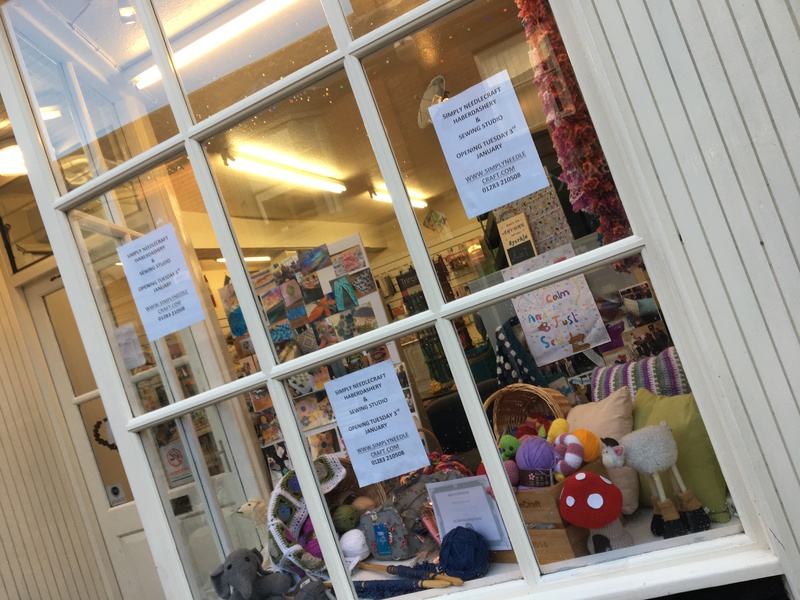 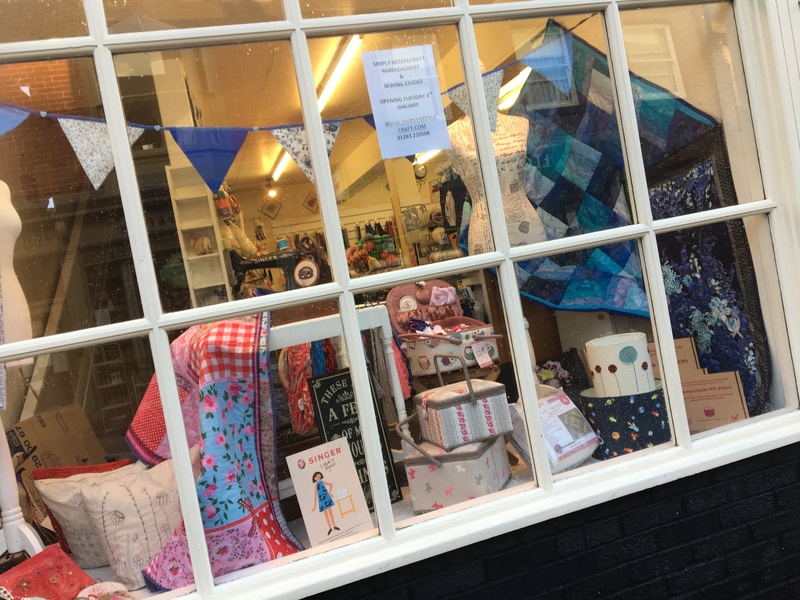 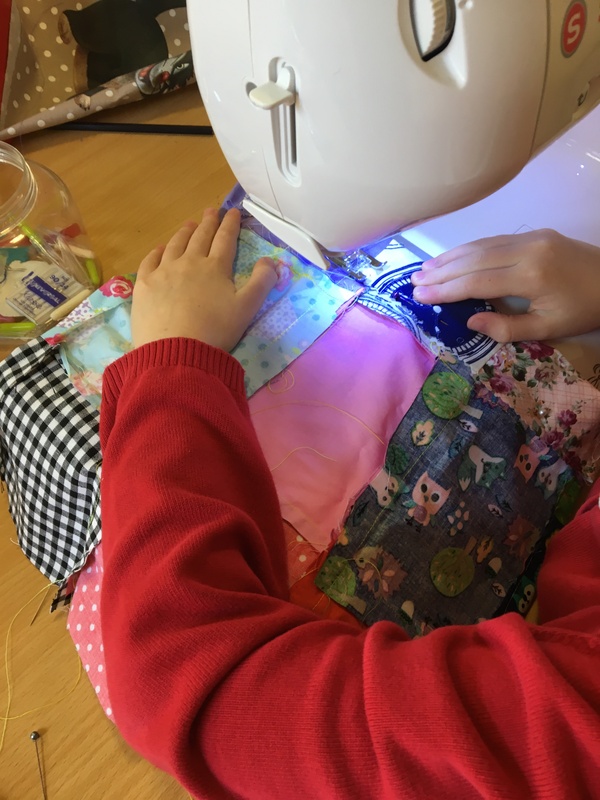 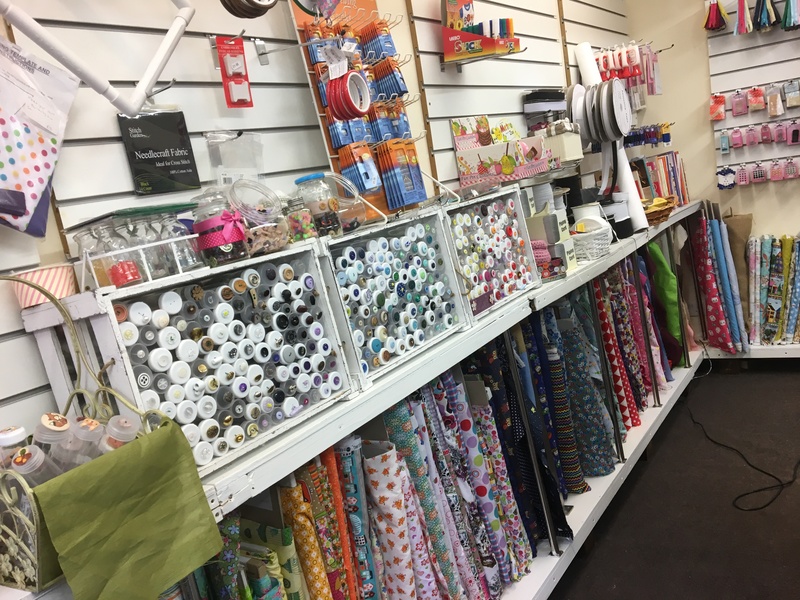 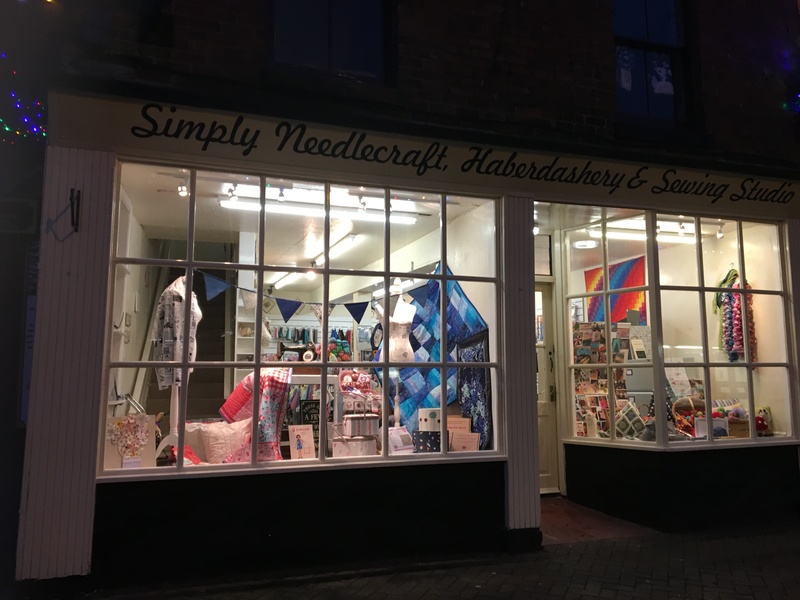 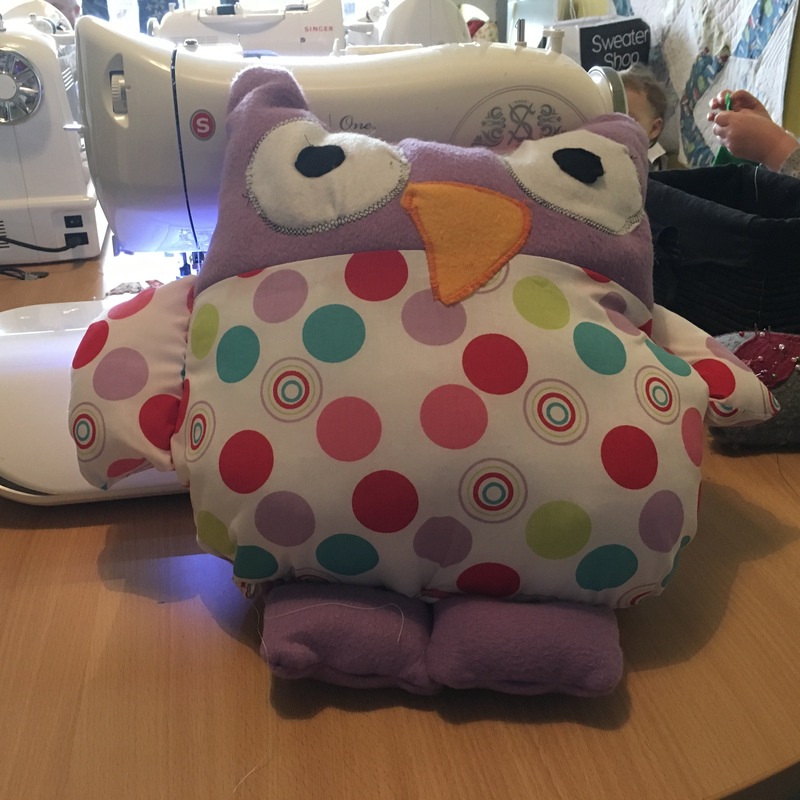 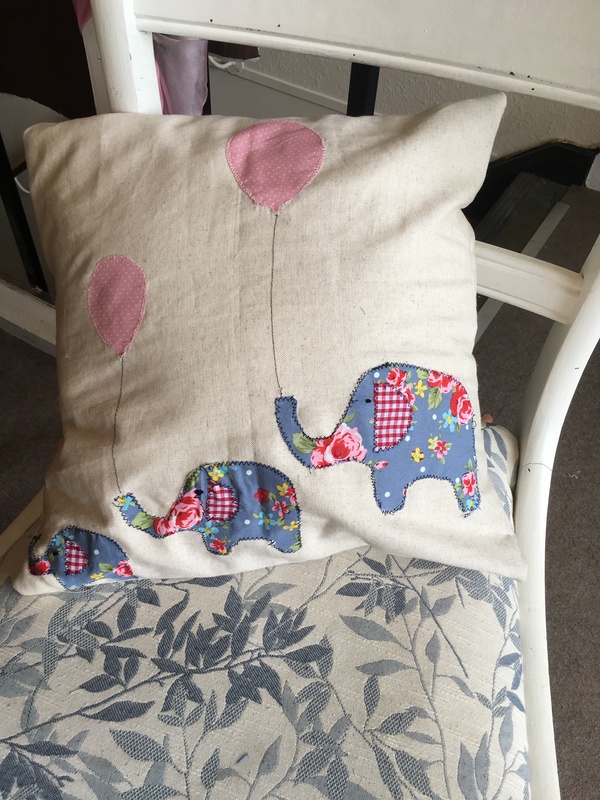 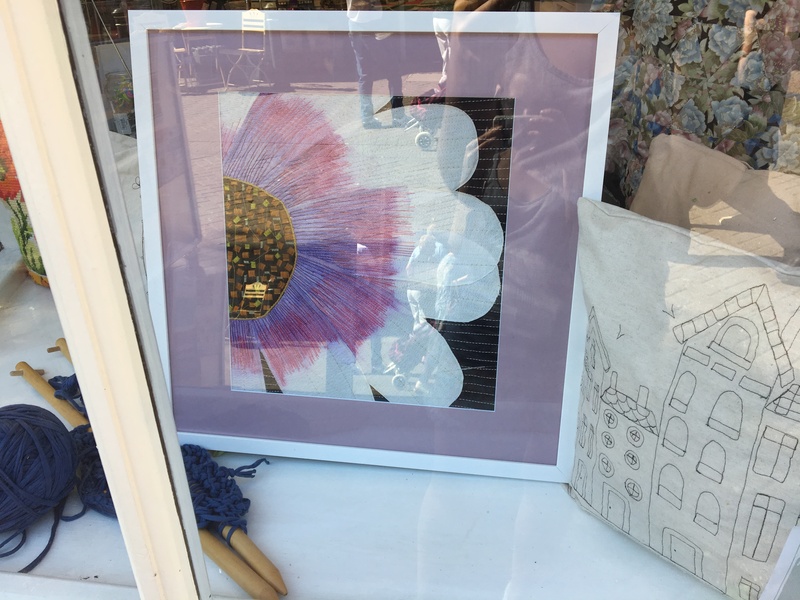 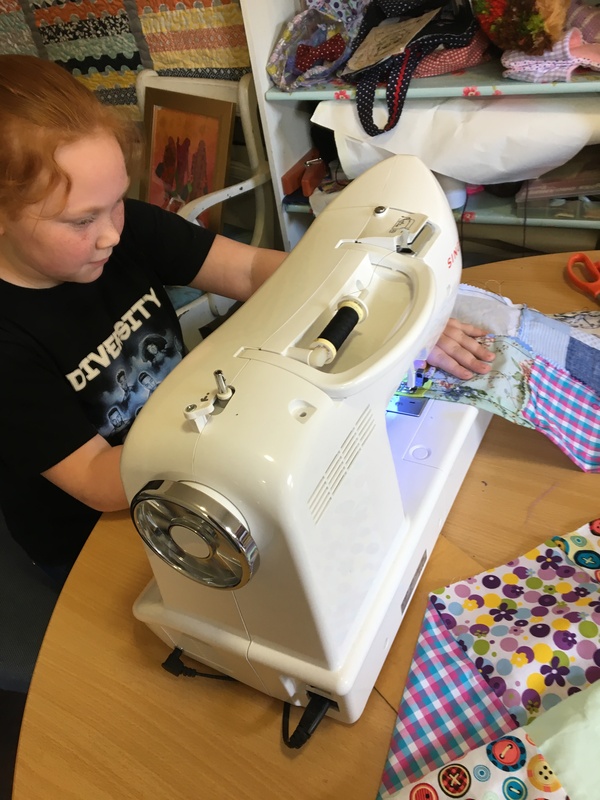 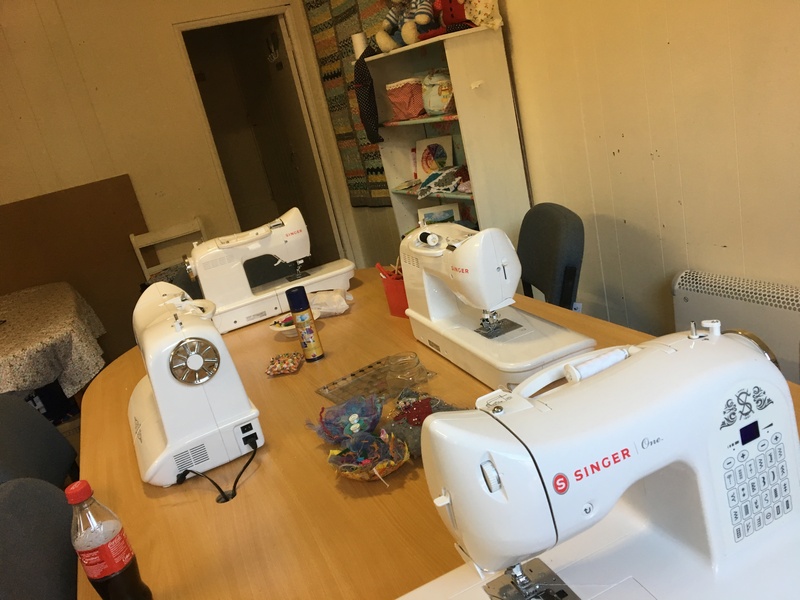 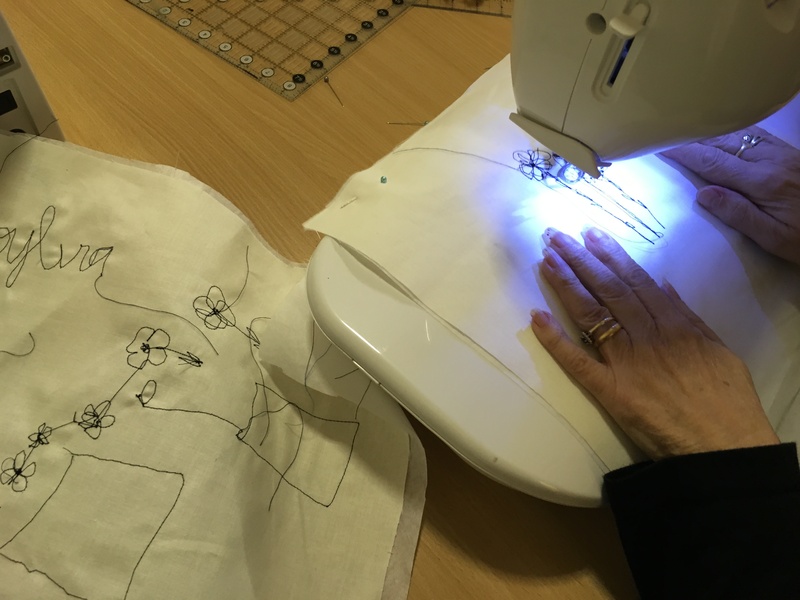 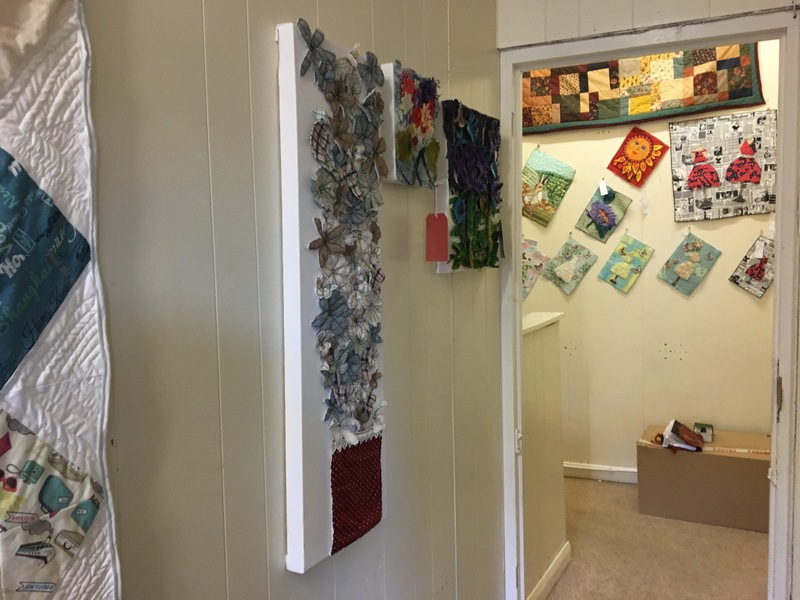 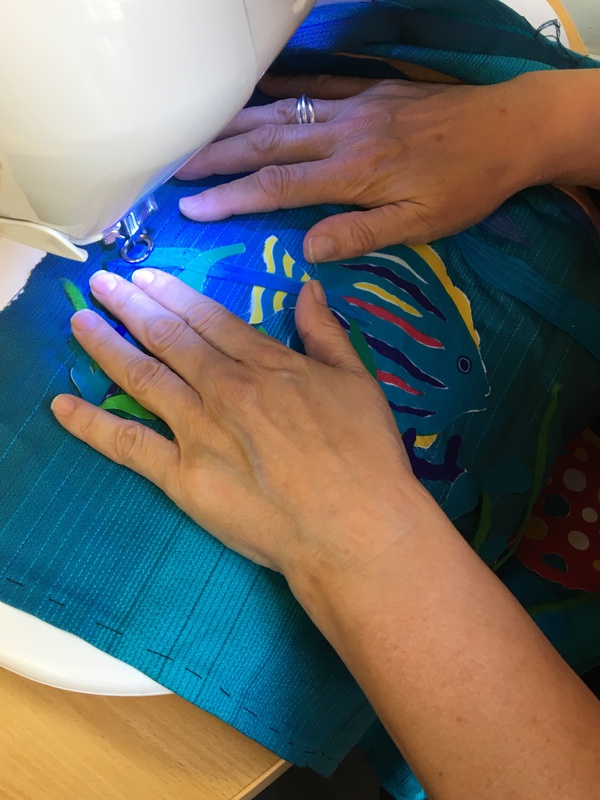 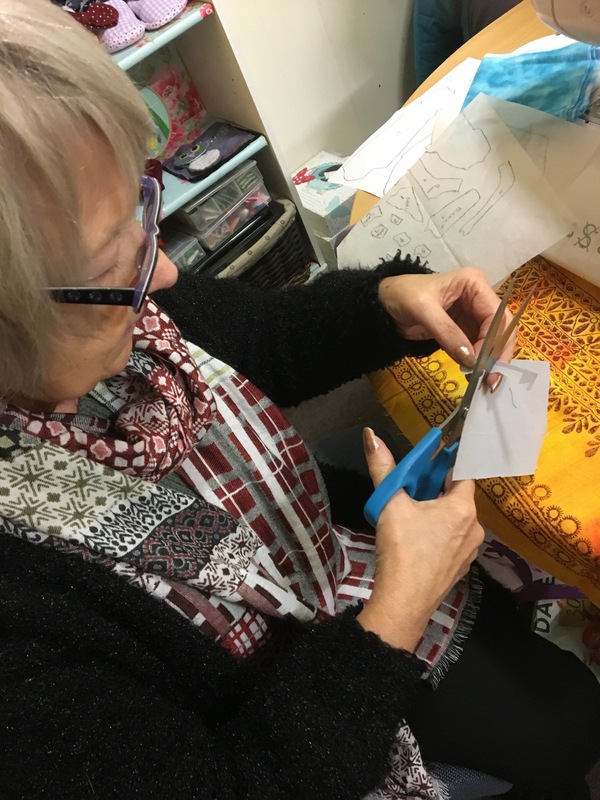 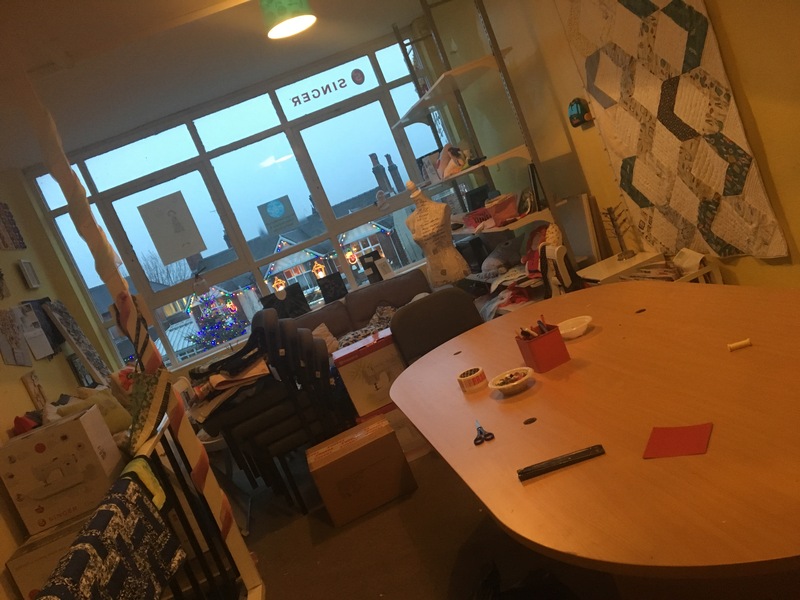 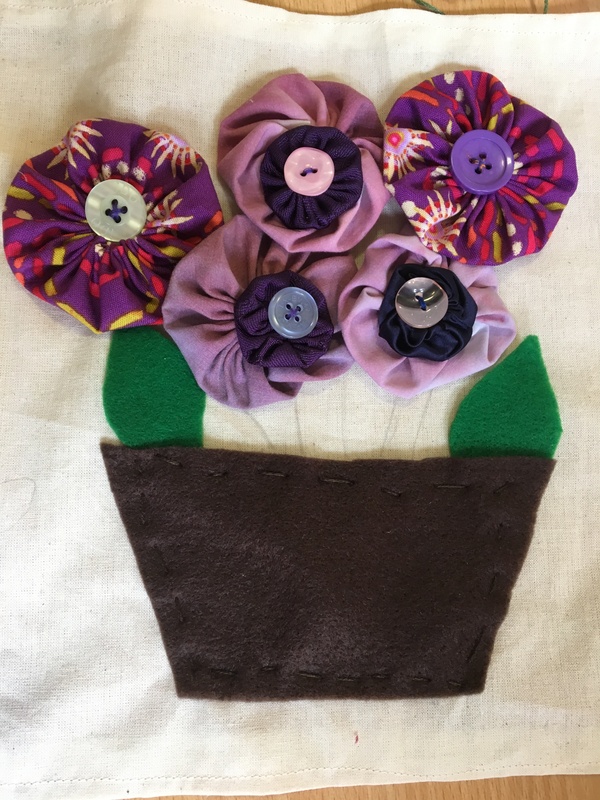 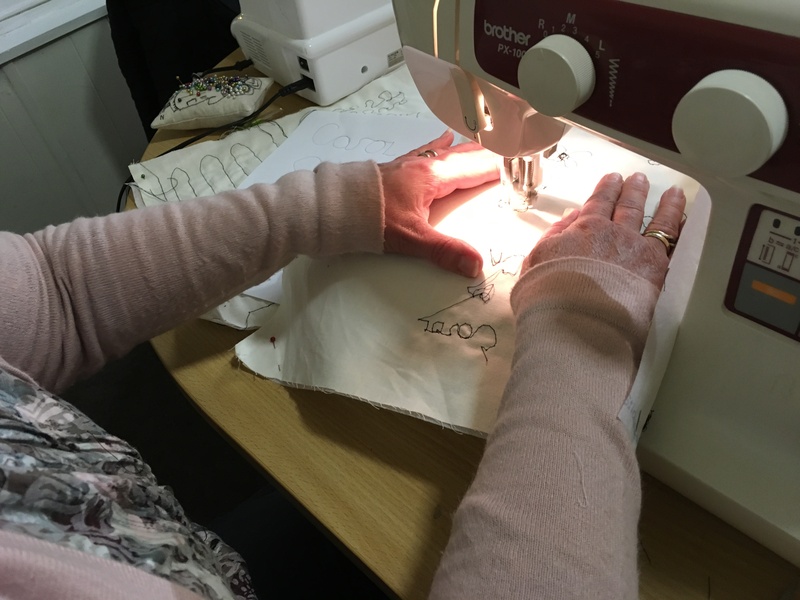 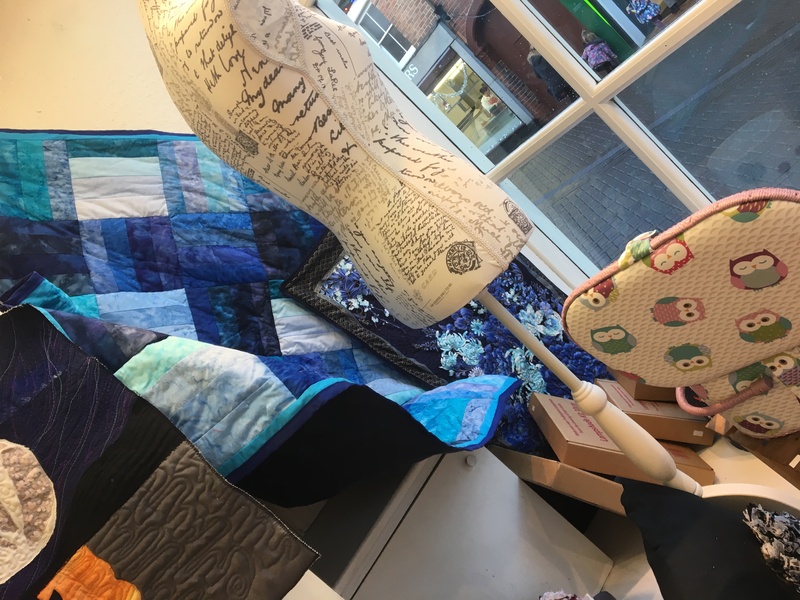 Since the Sewing Studio opened upstairs in February this year we have been able to offer a range of workshops ranging from beginners sewing to quilting, drawing with a sewing machine to textile arts, bunting to cushions and of course the knicker party. 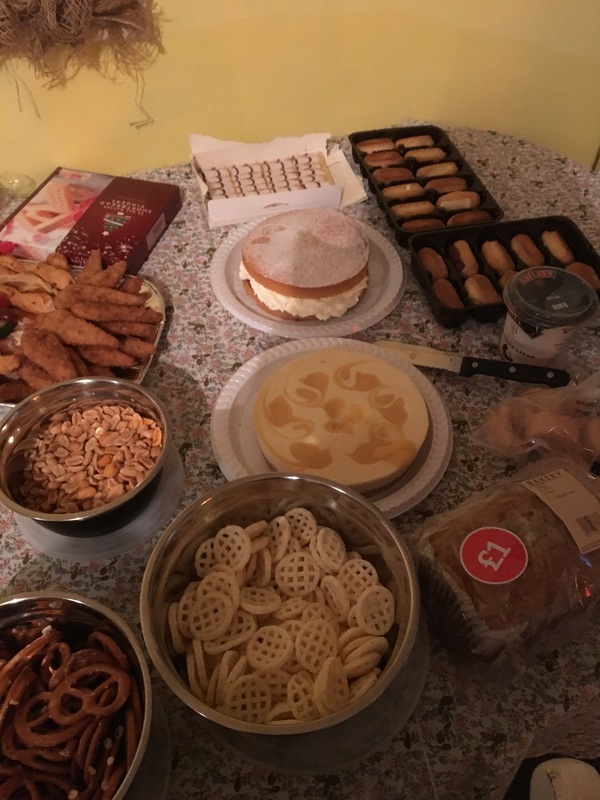 Back to this year though and still plenty happening…. 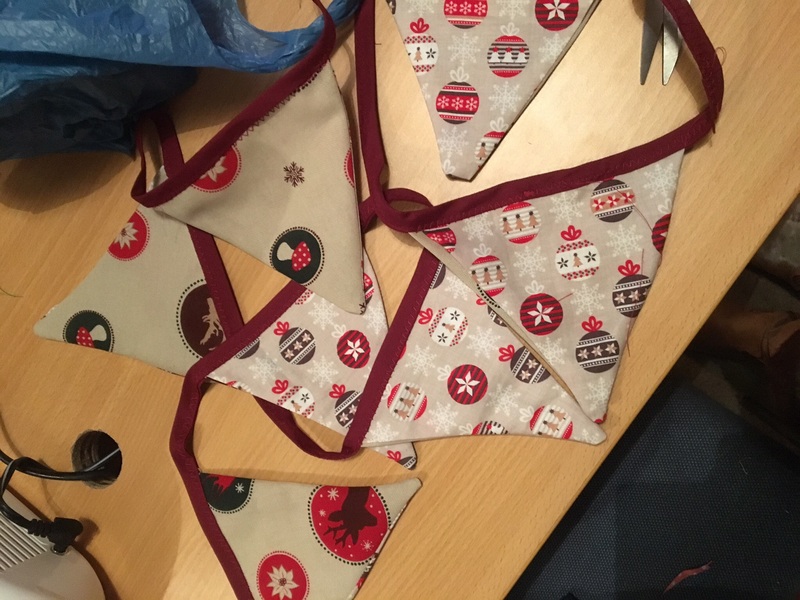 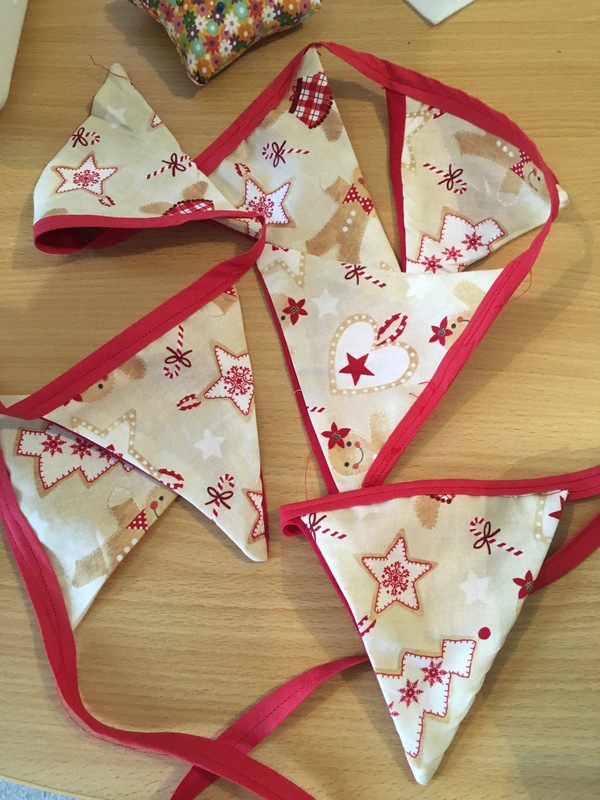 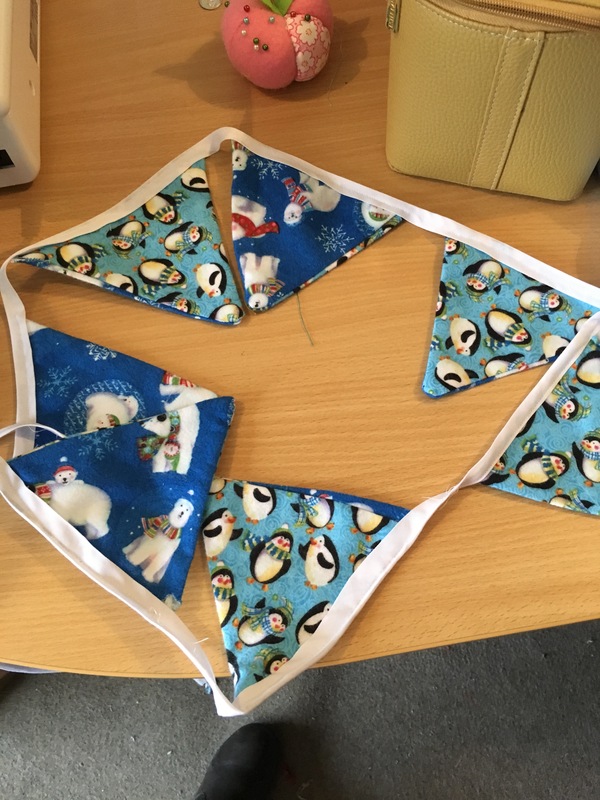 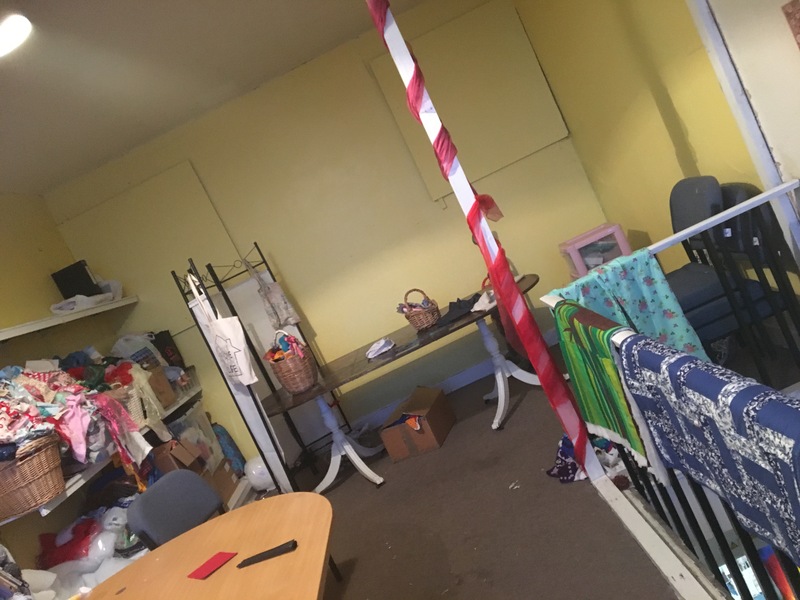 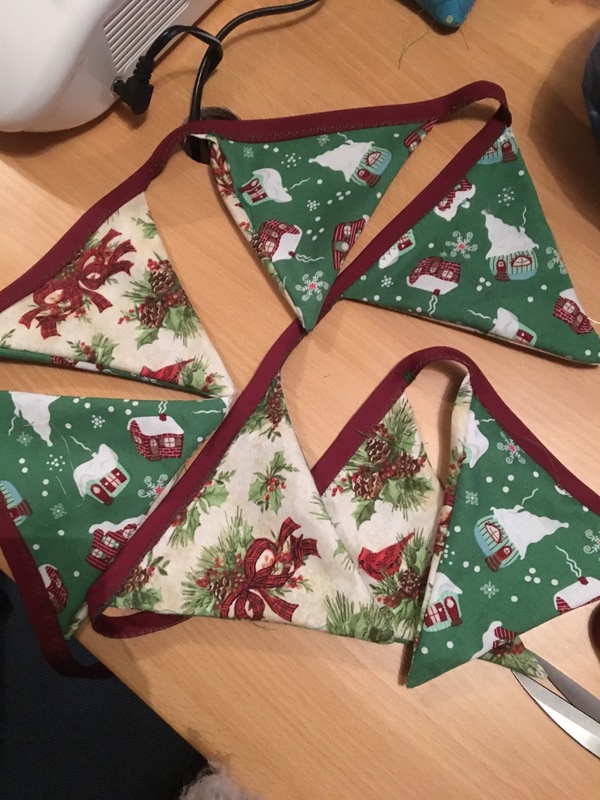 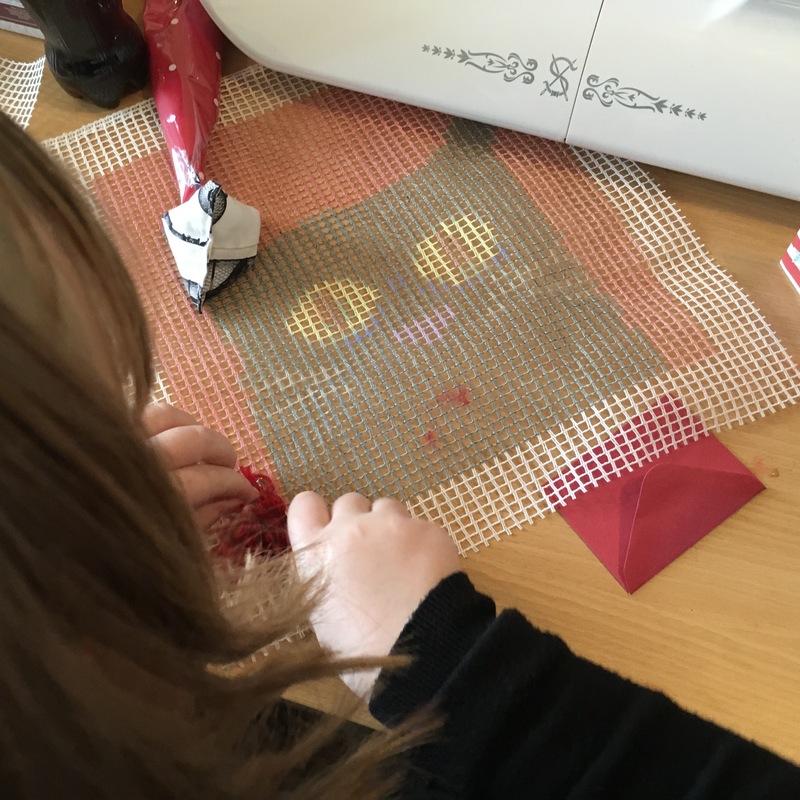 The kids are still preparing for Christmas and so far they have produced over 30 metres of bunting between them……. 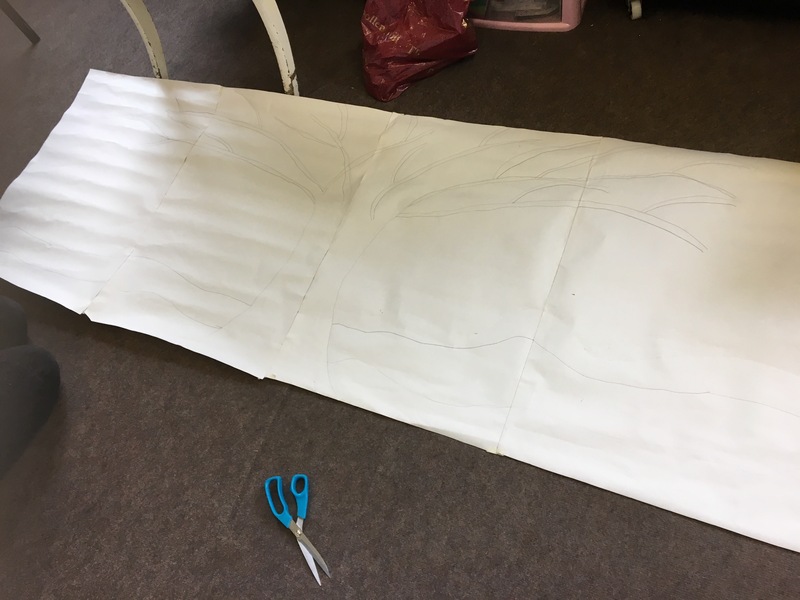 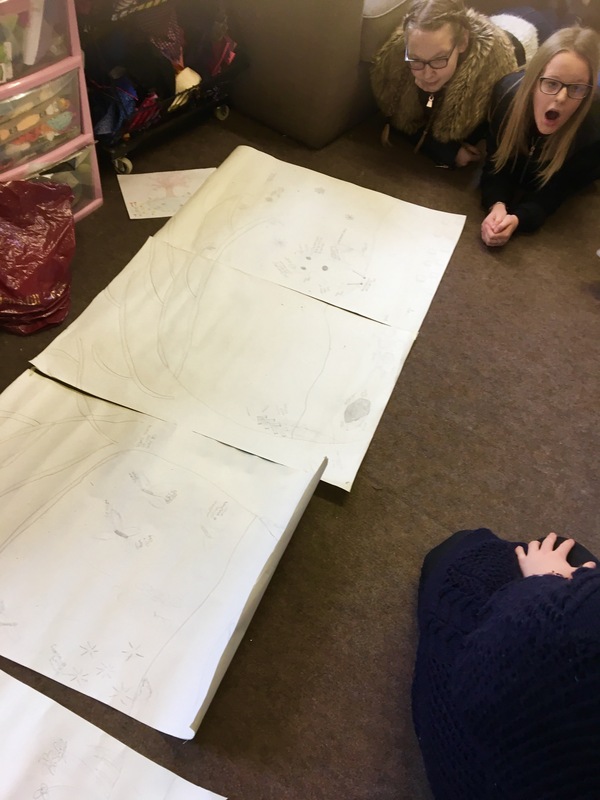 And a huge achievement for one of my groups that have designed and made their own patterns for a mermaid tail. 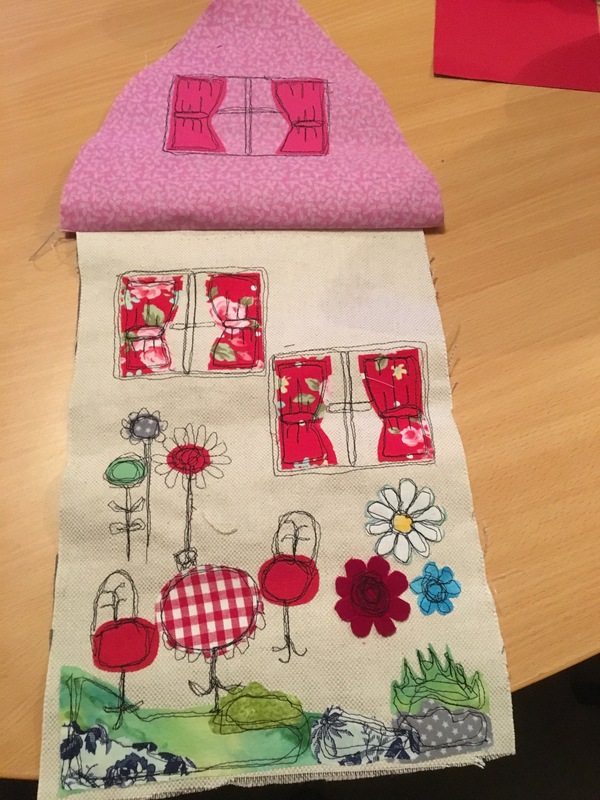 They have been left to their own devices on this project …..I just supervised. 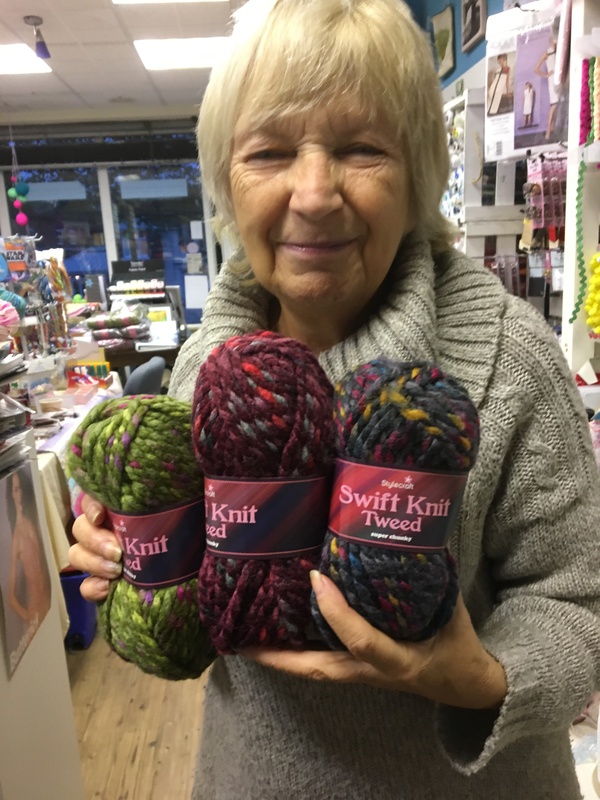 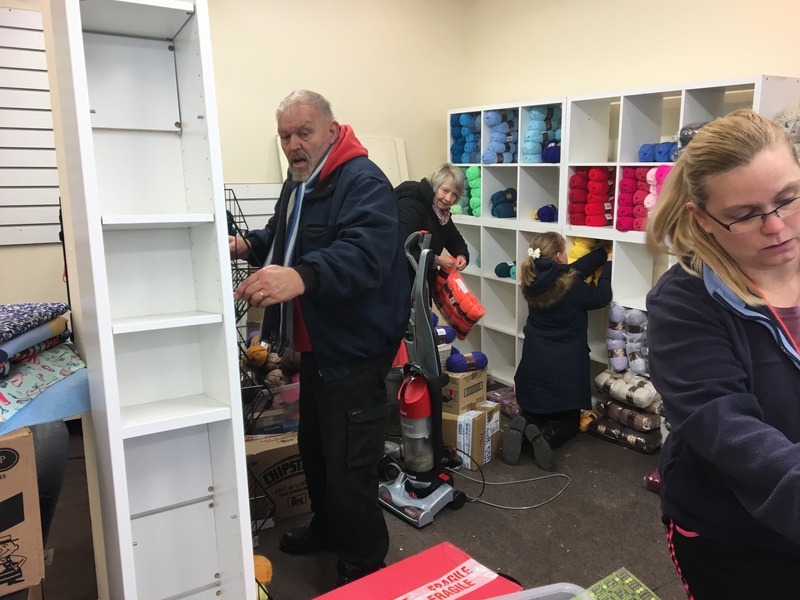 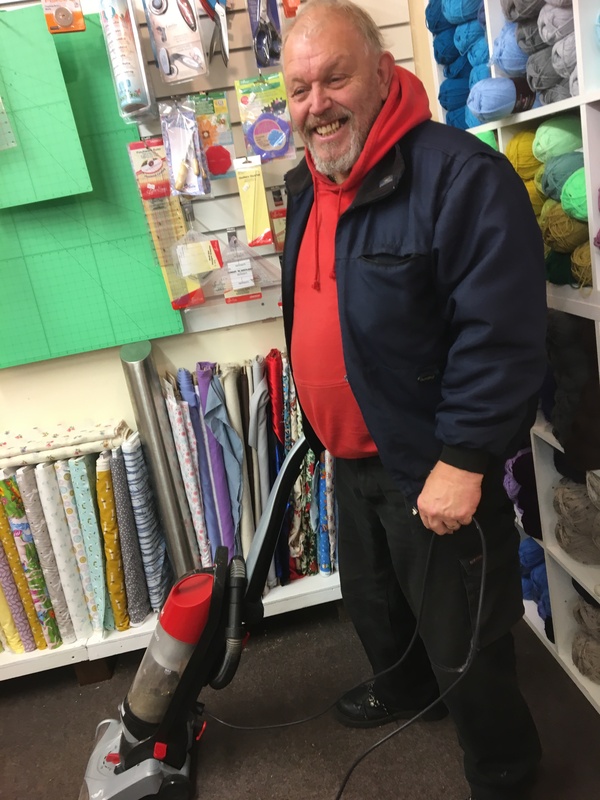 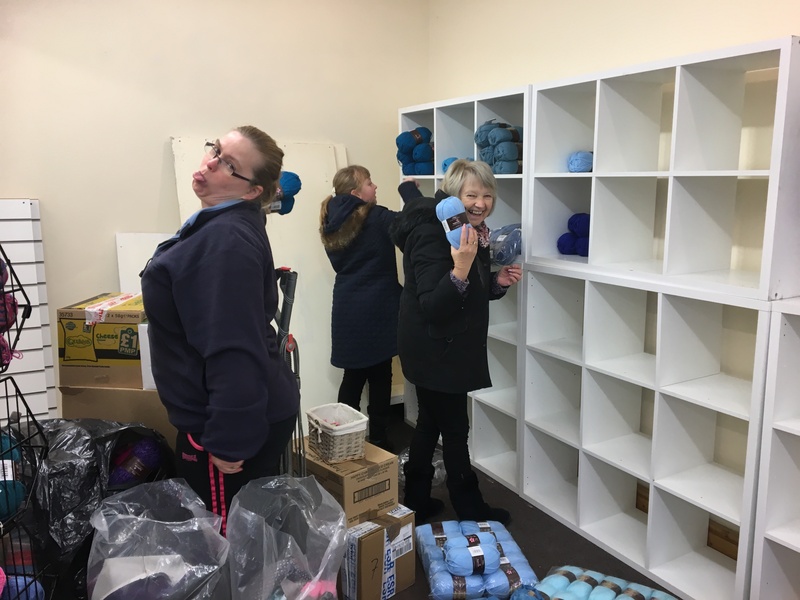 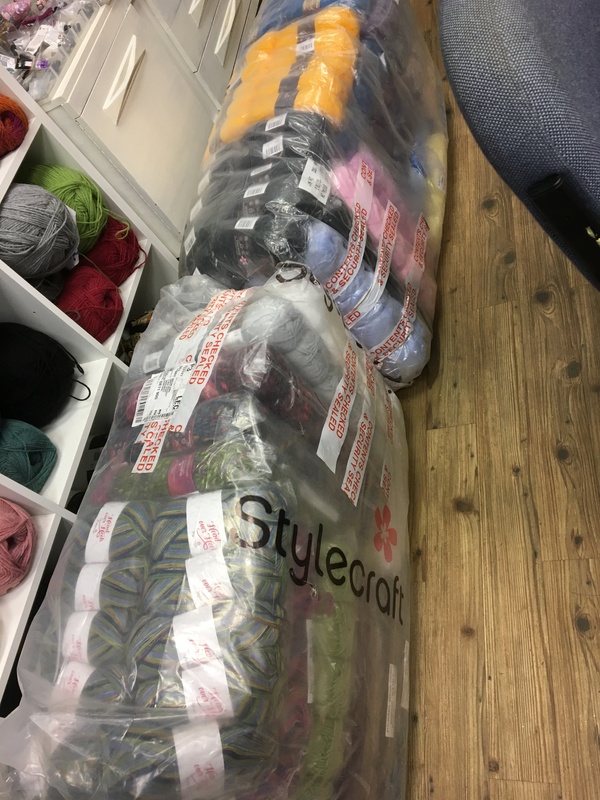 We had our wool delivered at last yesterday which has been a huge relief after it seems to taken a life time to arrive…. 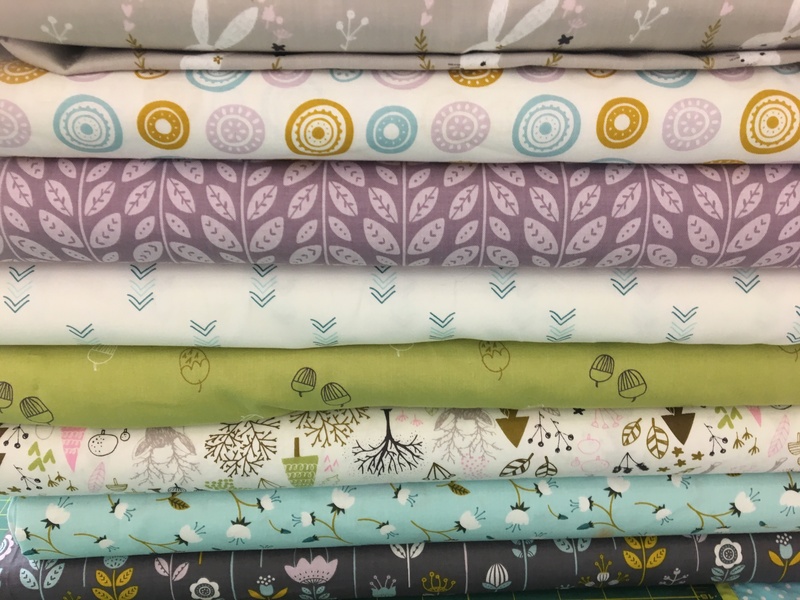 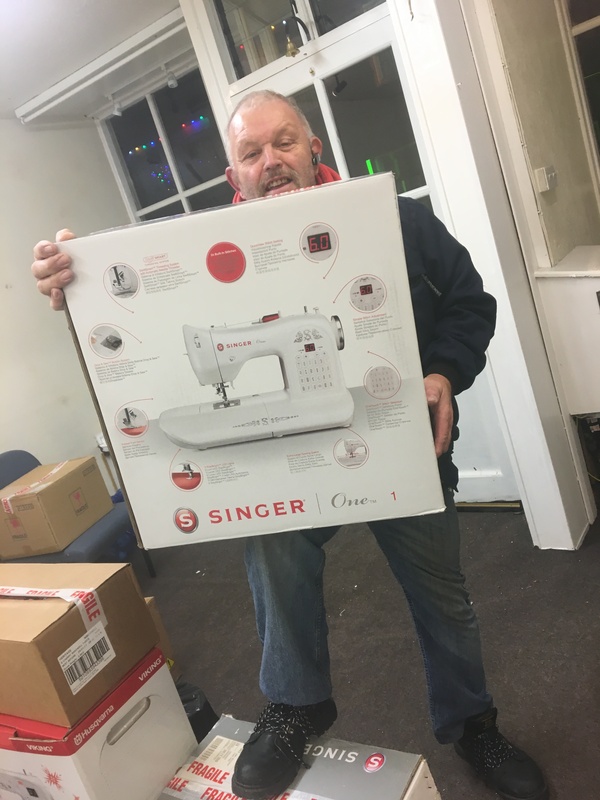 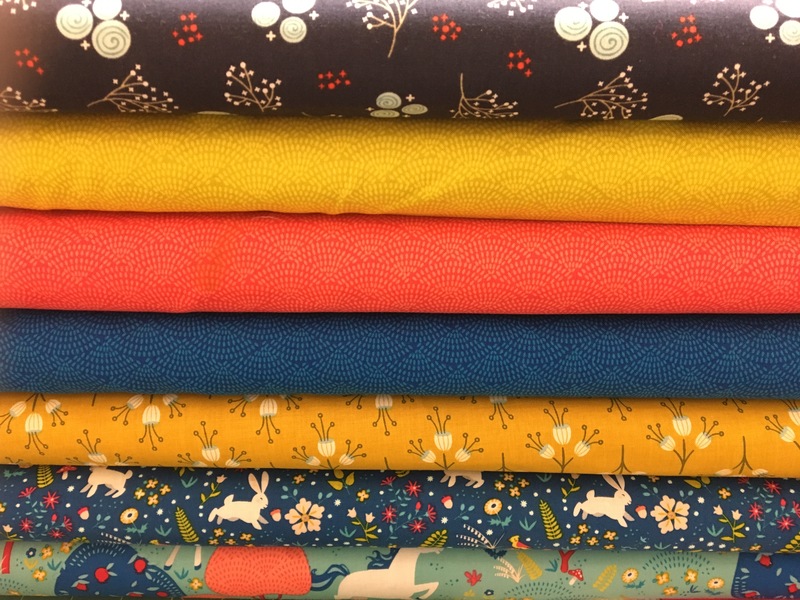 We have stocked up on the essentials but have also had a couple of new contenders arrive which are new to the Stylecraft range. 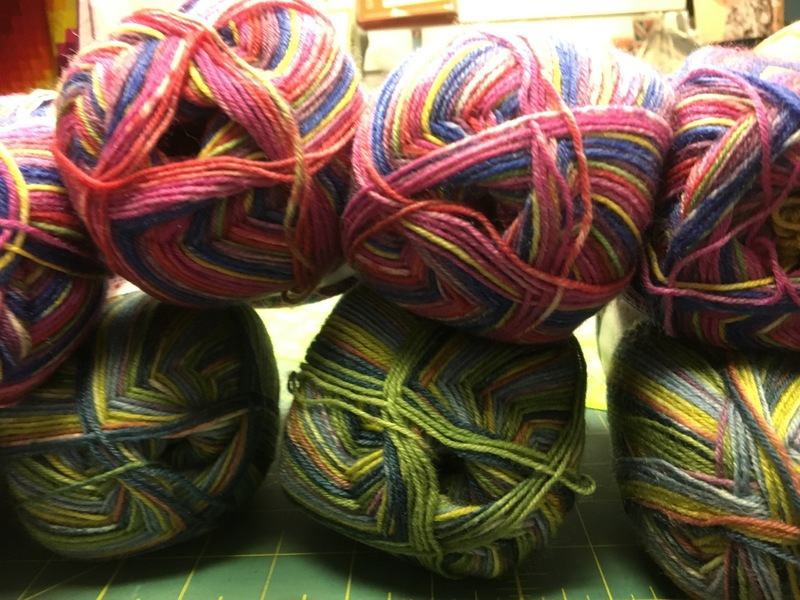 Firstly their new sock yarn ..Head Over Heals. 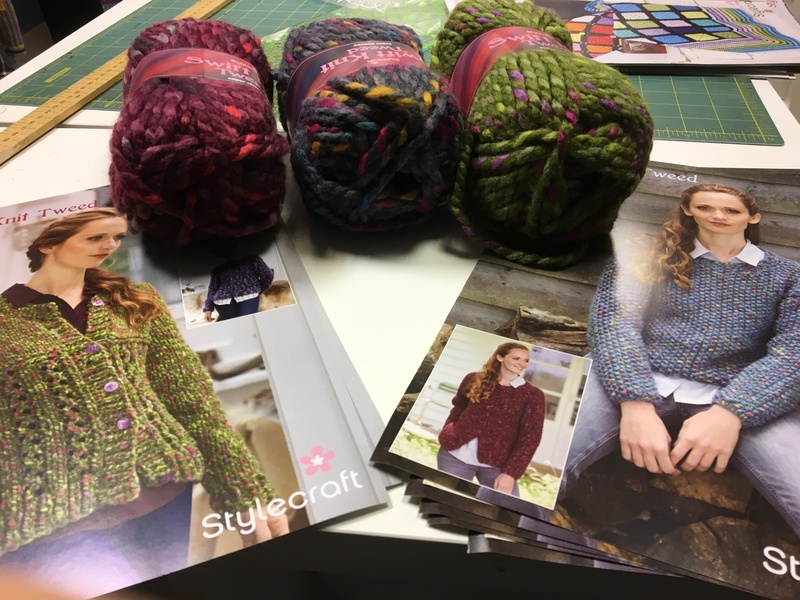 And then it was time to unpack to beautiful new Chunky Tweed along with the patterns …. 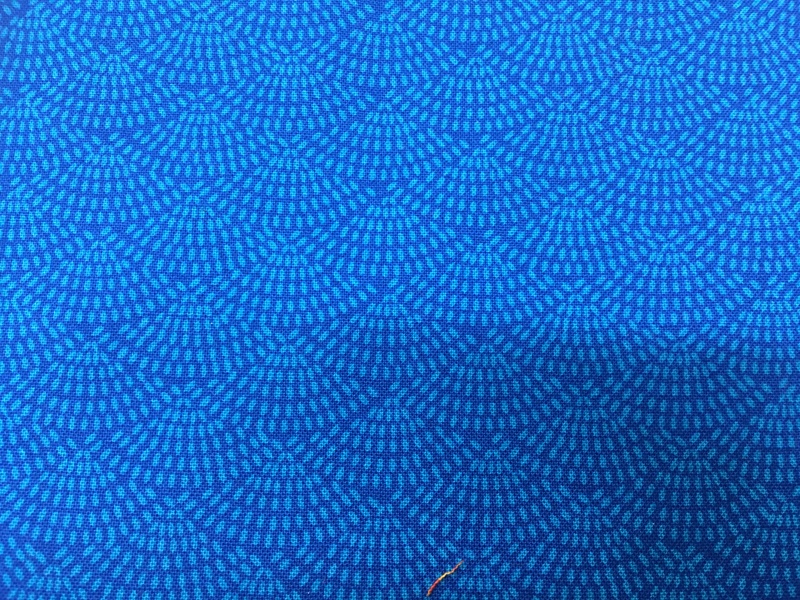 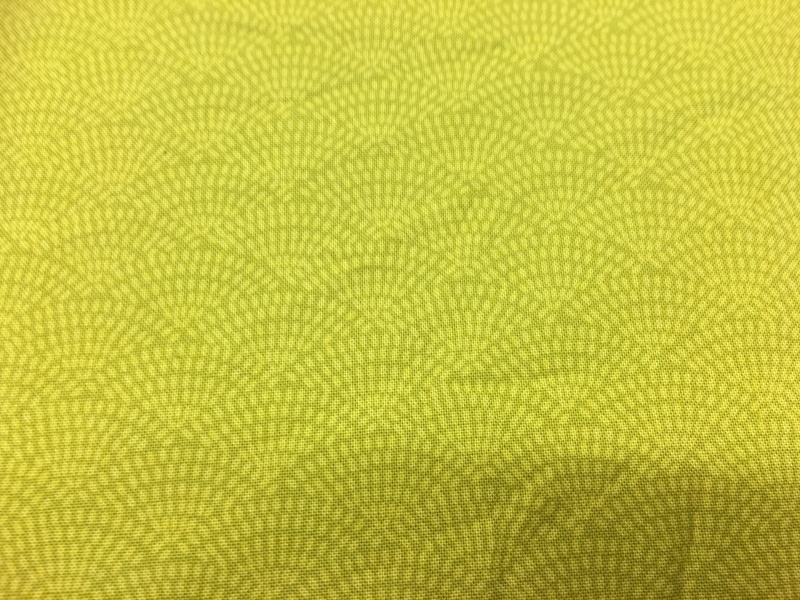 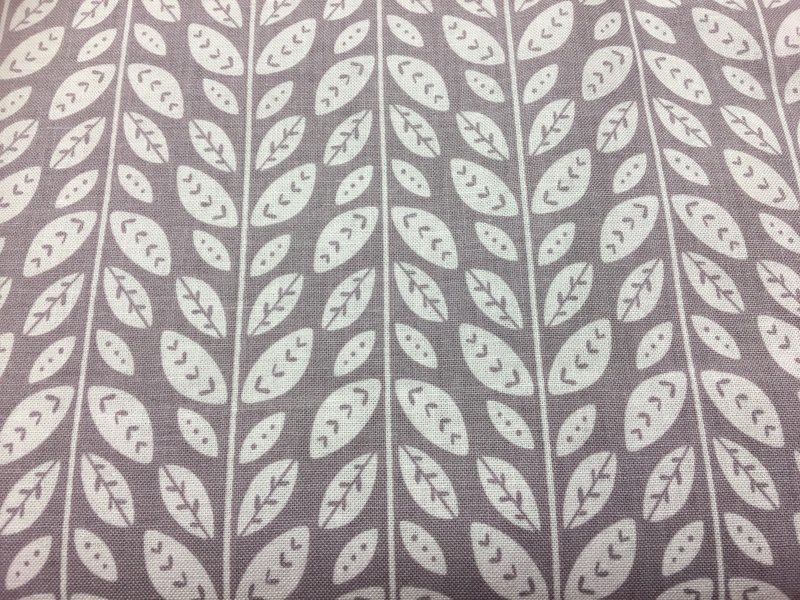 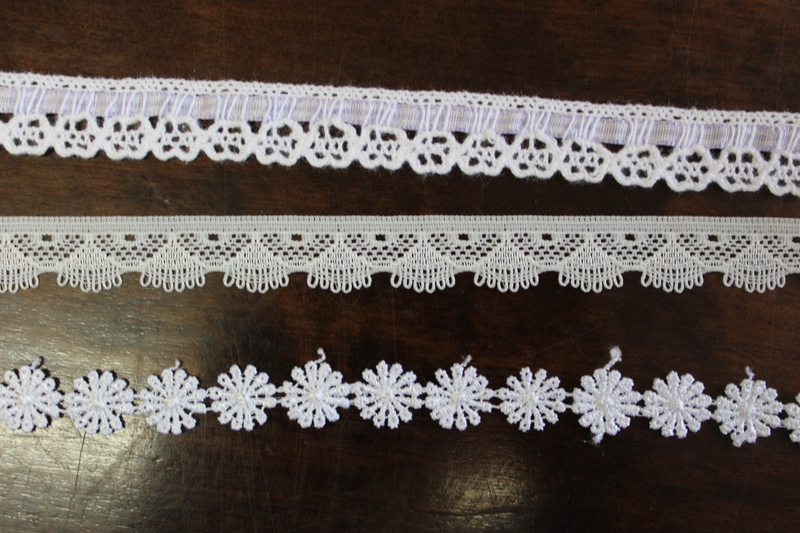 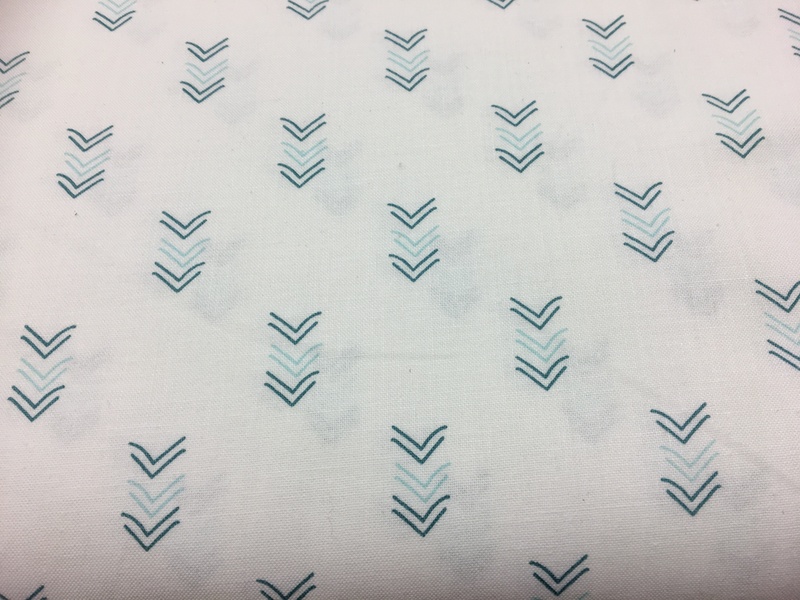 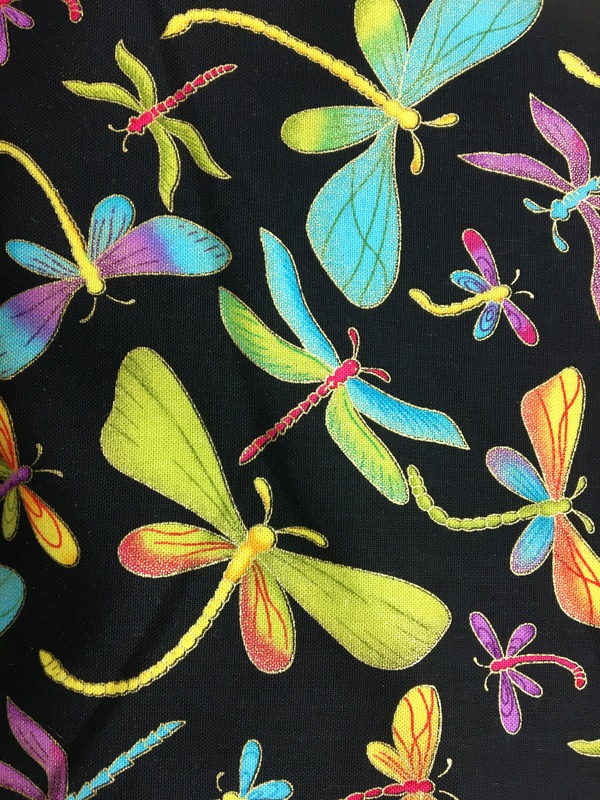 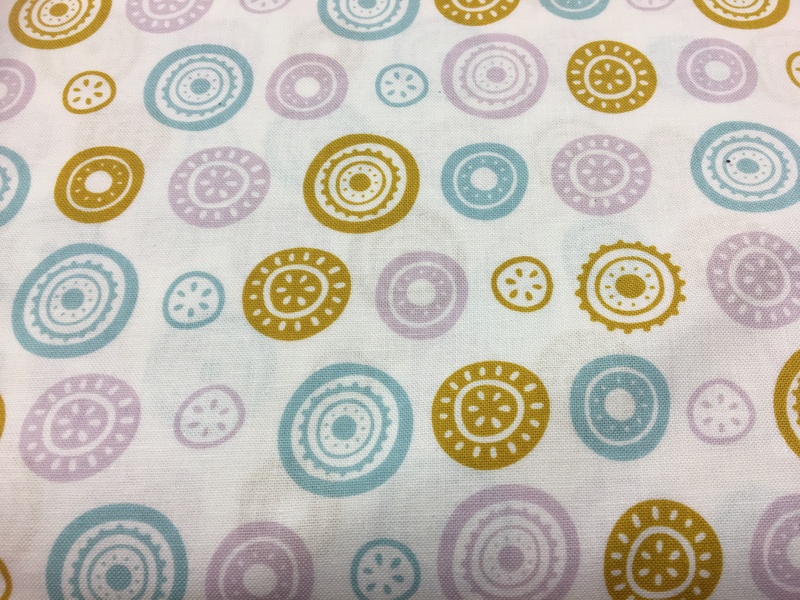 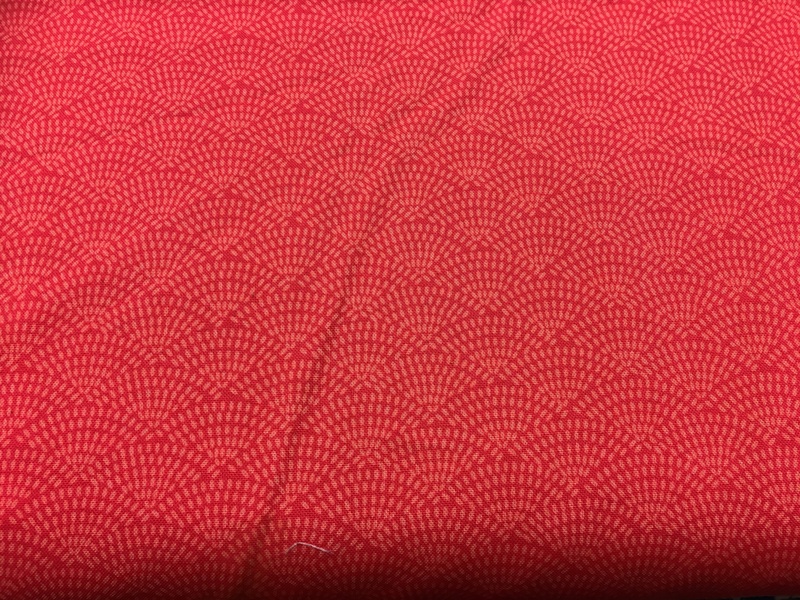 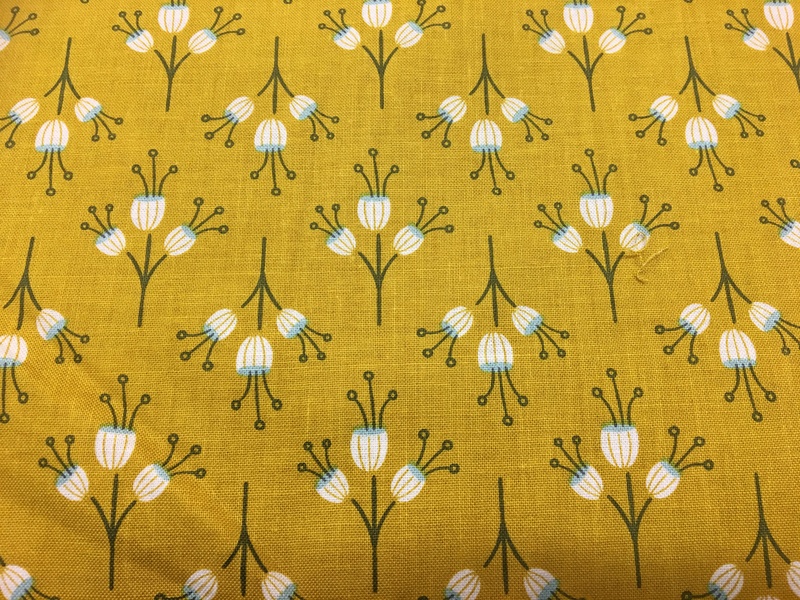 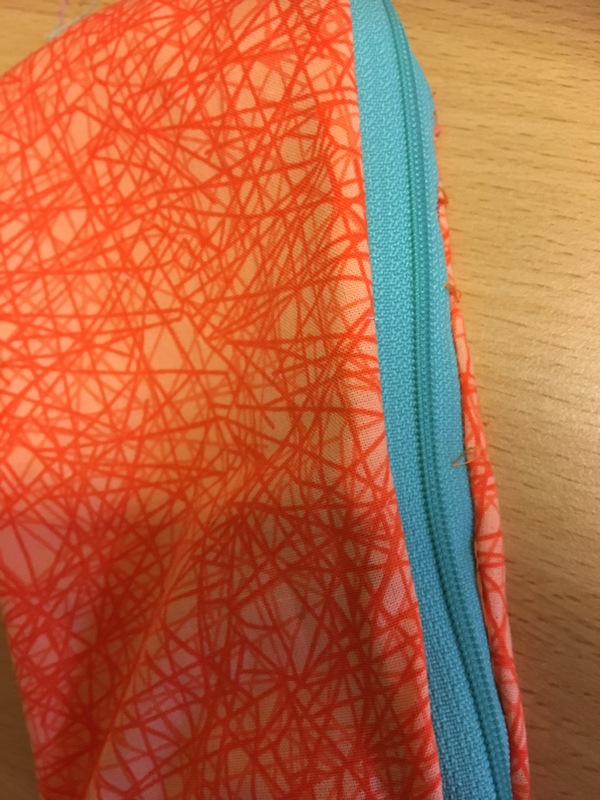 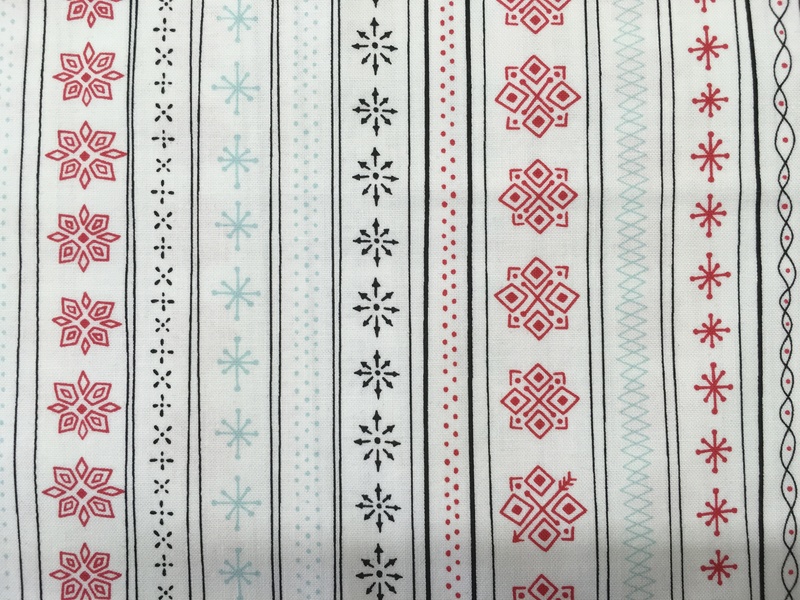 And a few more patterns for good measure …. 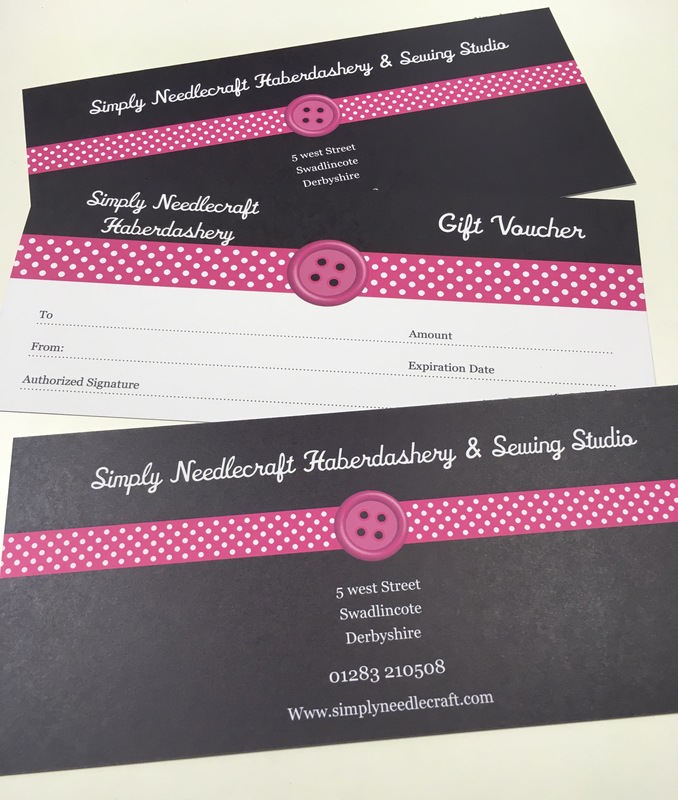 Our new vouchers have arrived …..perfect for Christmas gifts. 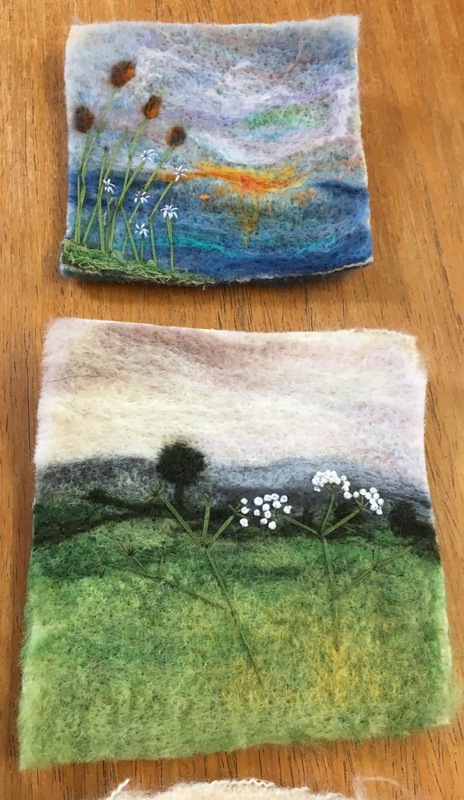 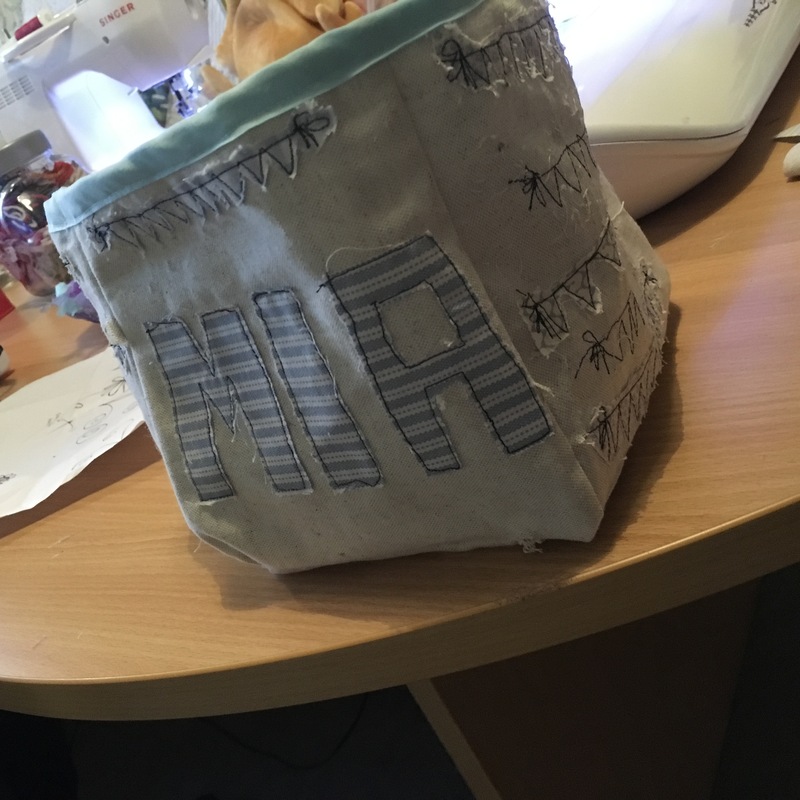 This week I’ve been doodling and thread painting this week….. it’s nice to hand stitch for a change. 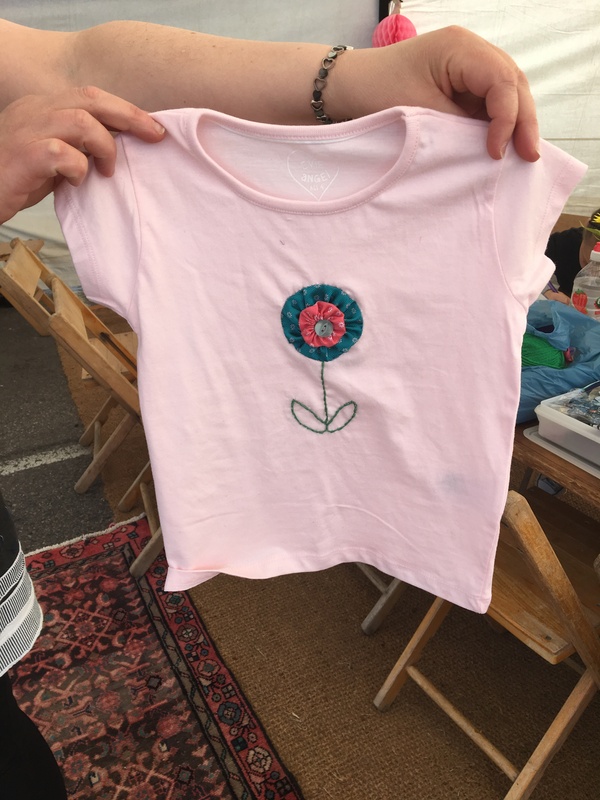 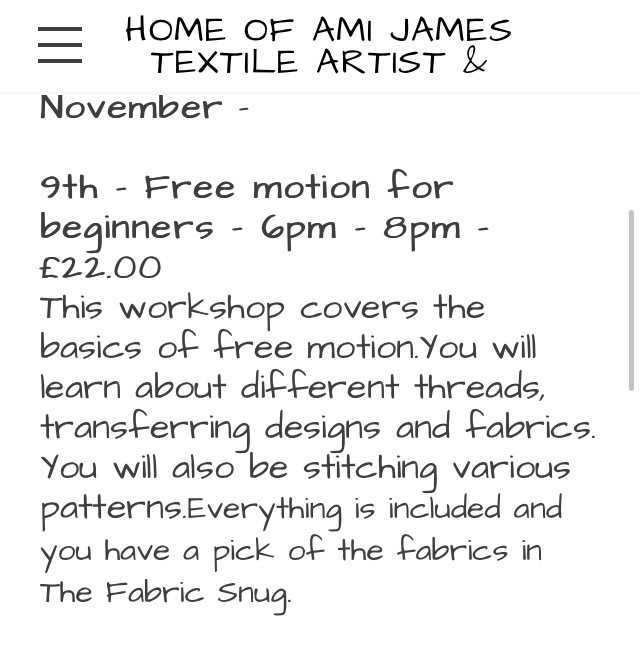 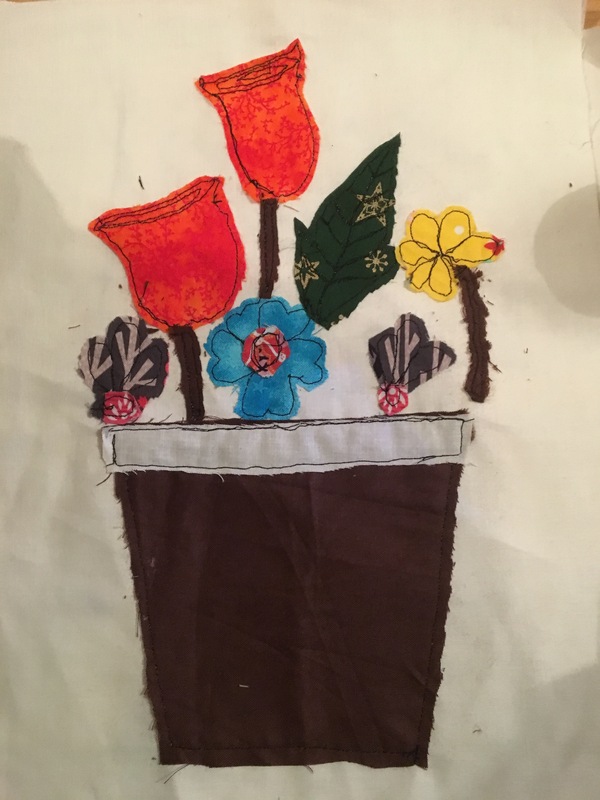 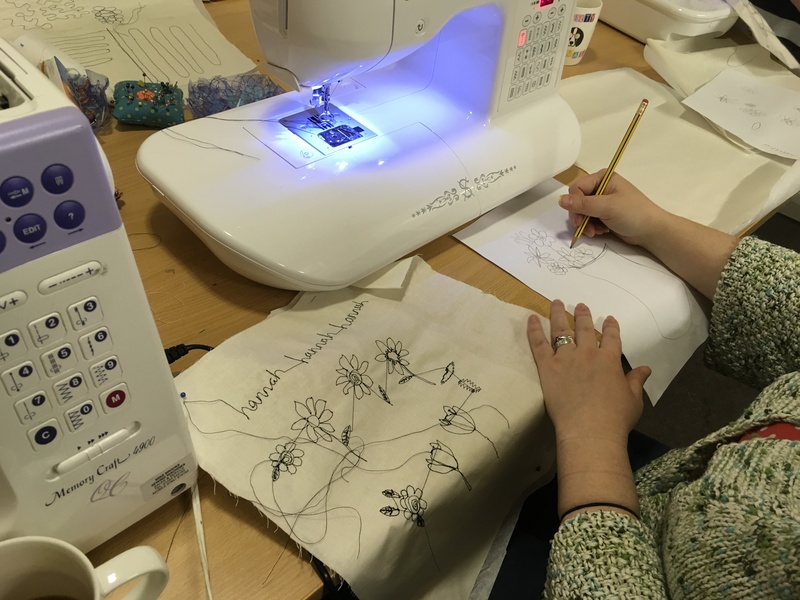 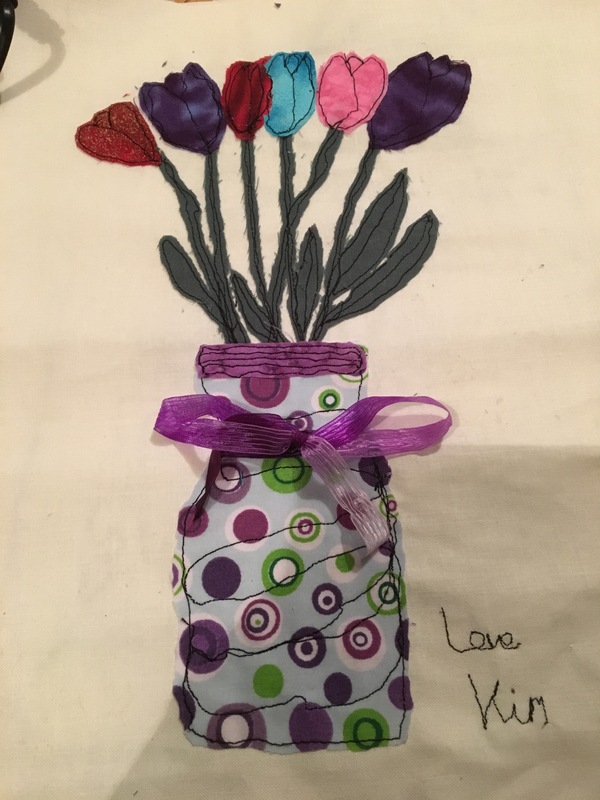 And on that note a have two spaces left on the Free Motion Embroidery class….contact me to book. 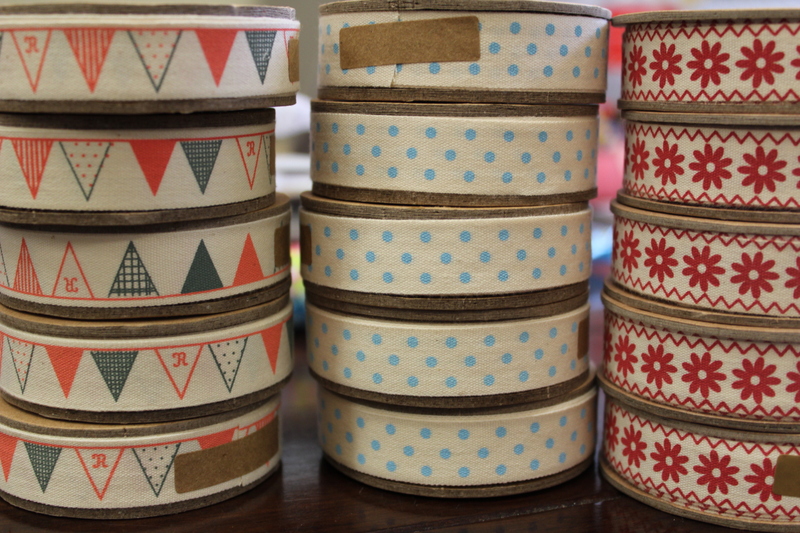 That the lot for this week, have a great bonfire night…..stay safe. 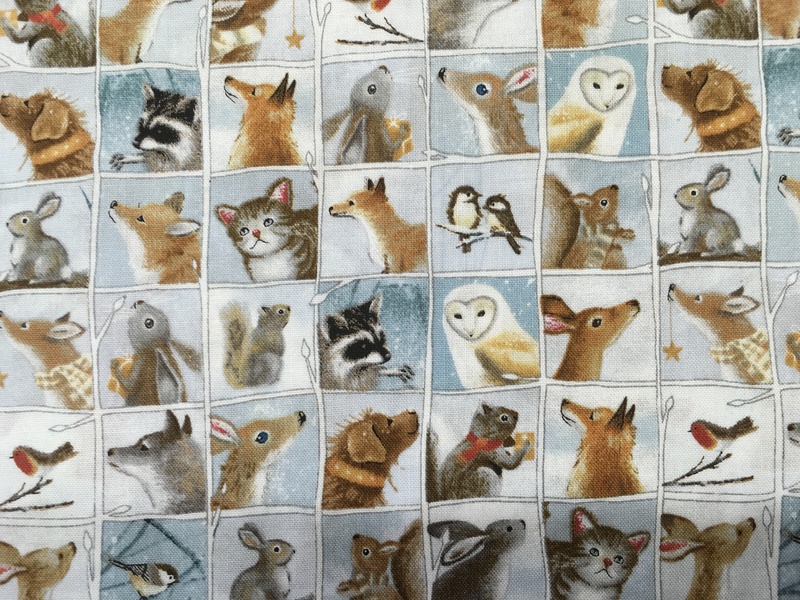 The Bird & The Hare ! 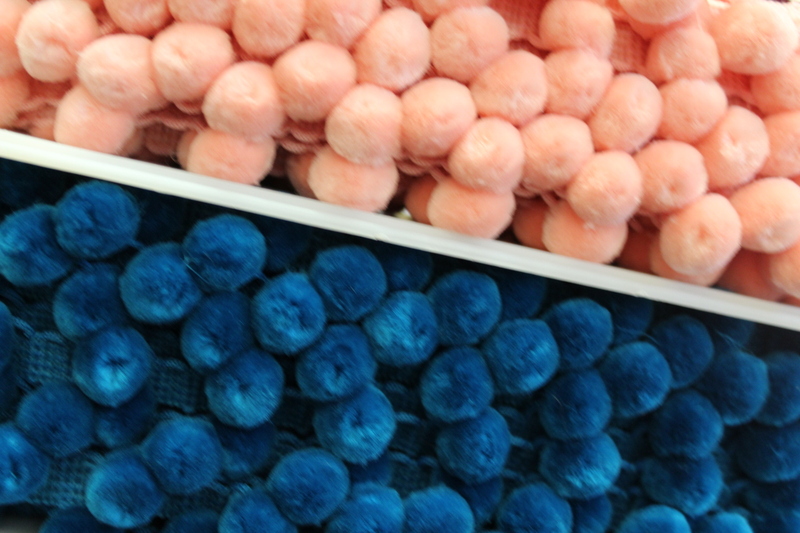 Well hello and happy Autumn to you :). 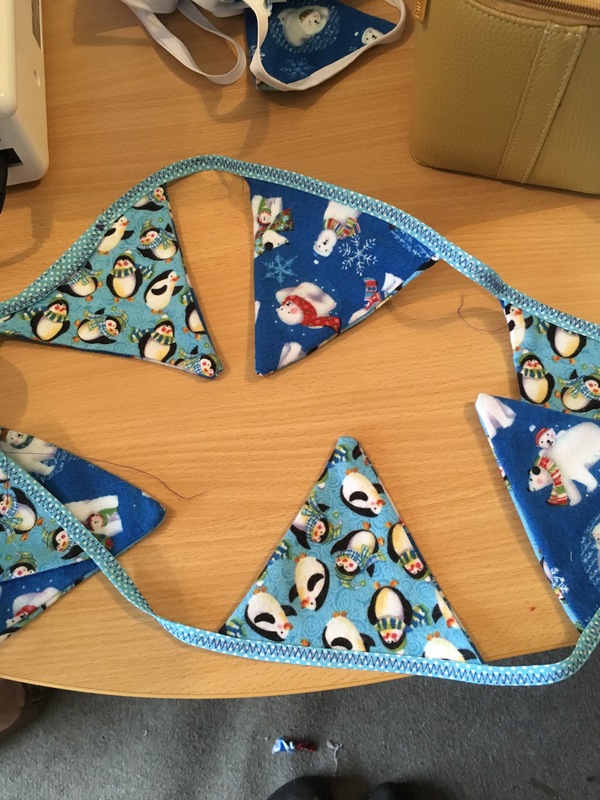 I can’t quite work out where this week has gone……time is flying by which means we are close to Christmas now (in a crafting sense). 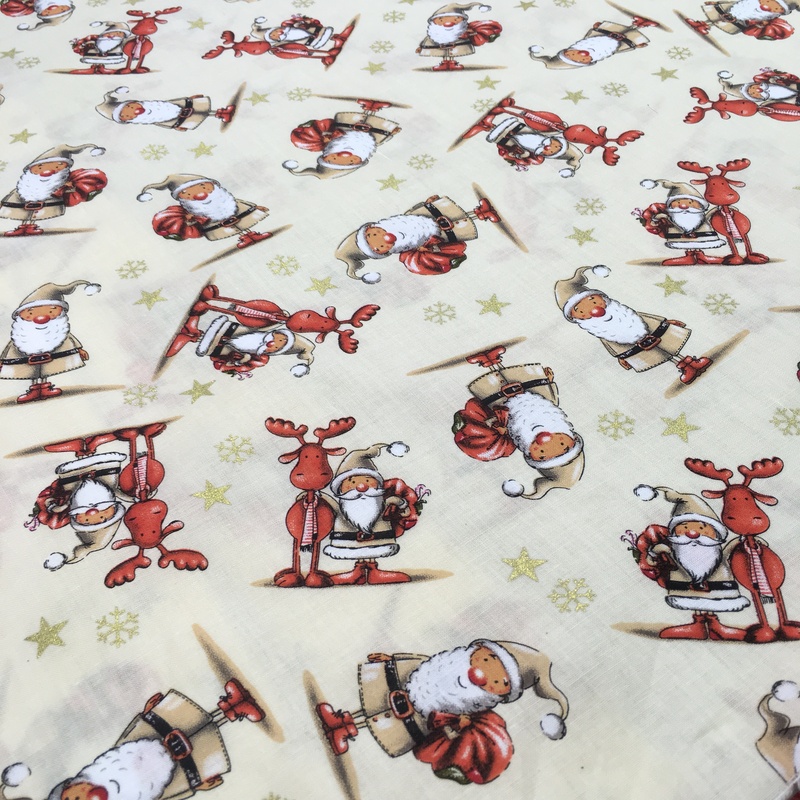 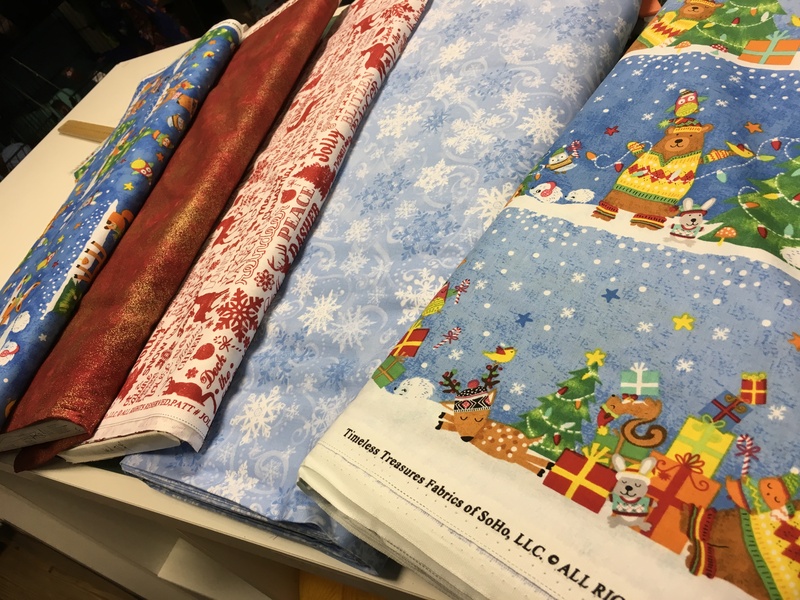 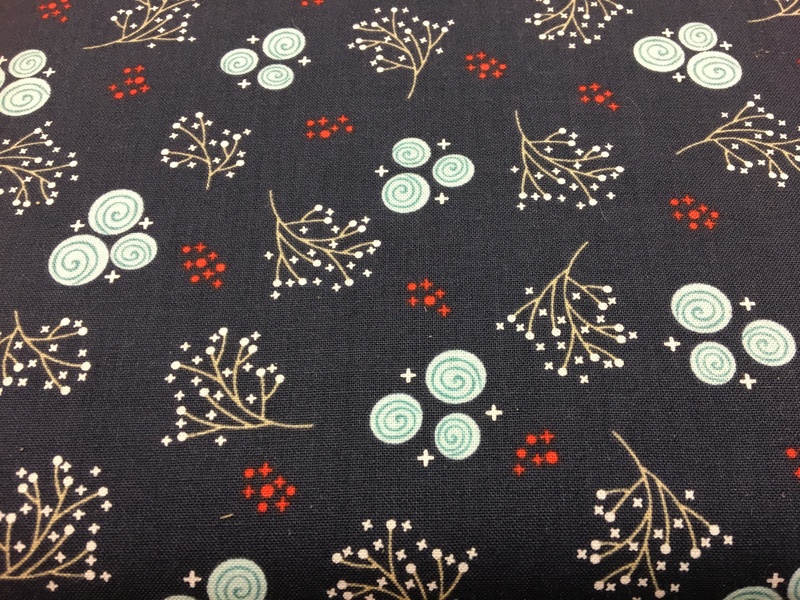 So it was perfect timing to increase our Christmas fabric range. 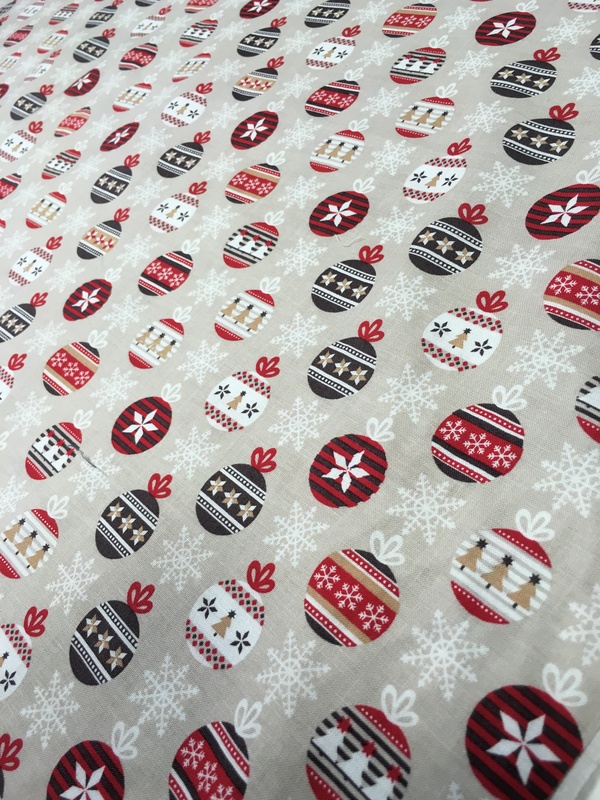 Not only have we got the gorgeous festive prints from Timeless Treasures now we have these yummy ones in stock too. 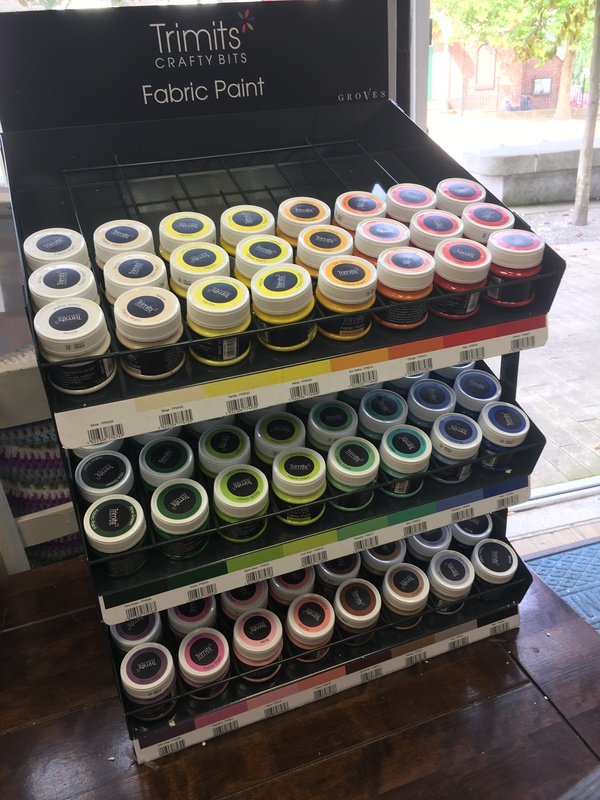 AND we’ve also had a new range of fabric paints in…… 24 different shades which become permanent after ironing. 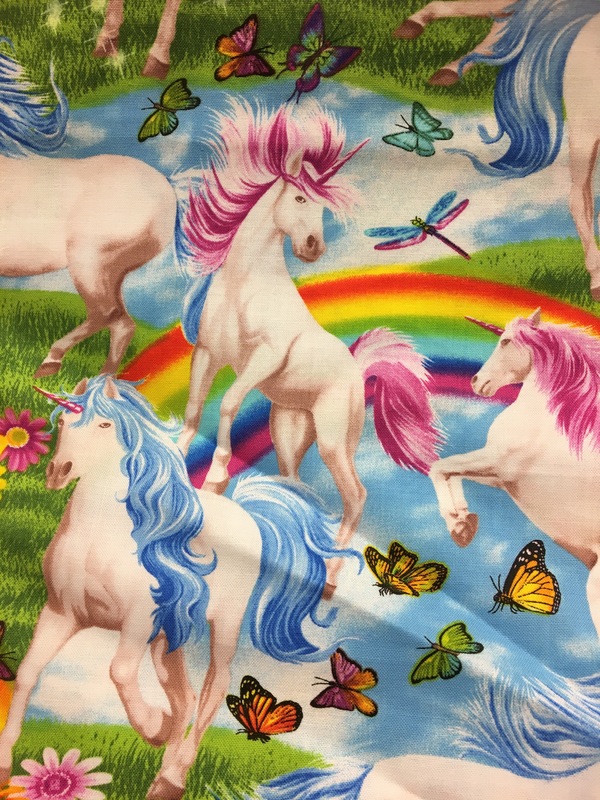 It’s that time of year again where Butterick drop the price of their sewing patterns. 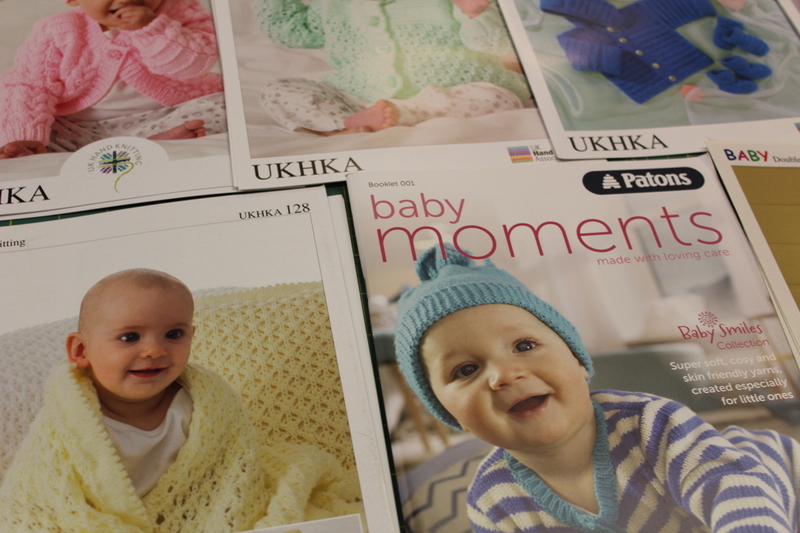 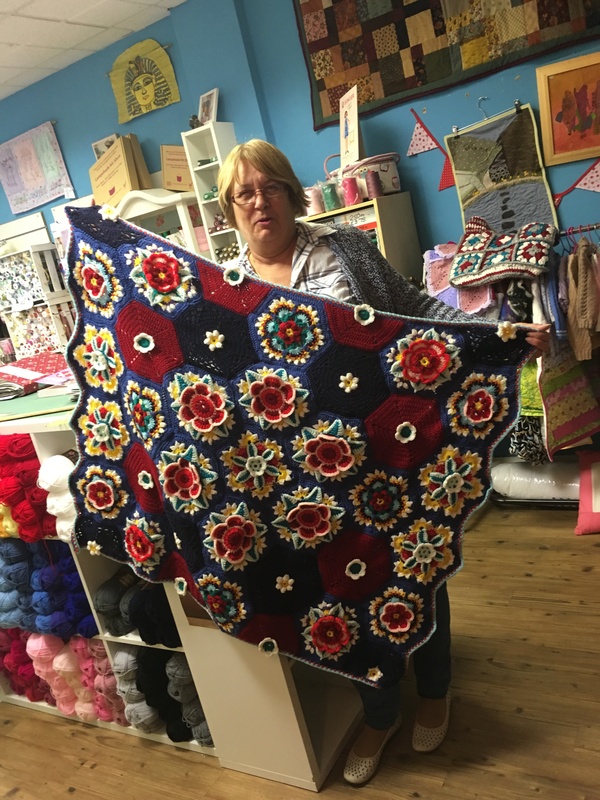 Patterns are now half price until the 15th October. 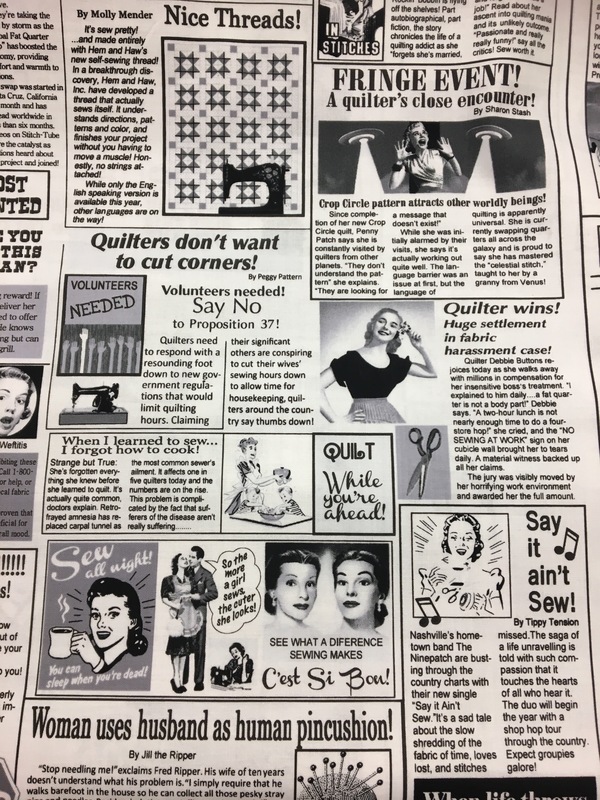 Over 3000 patterns in stock. 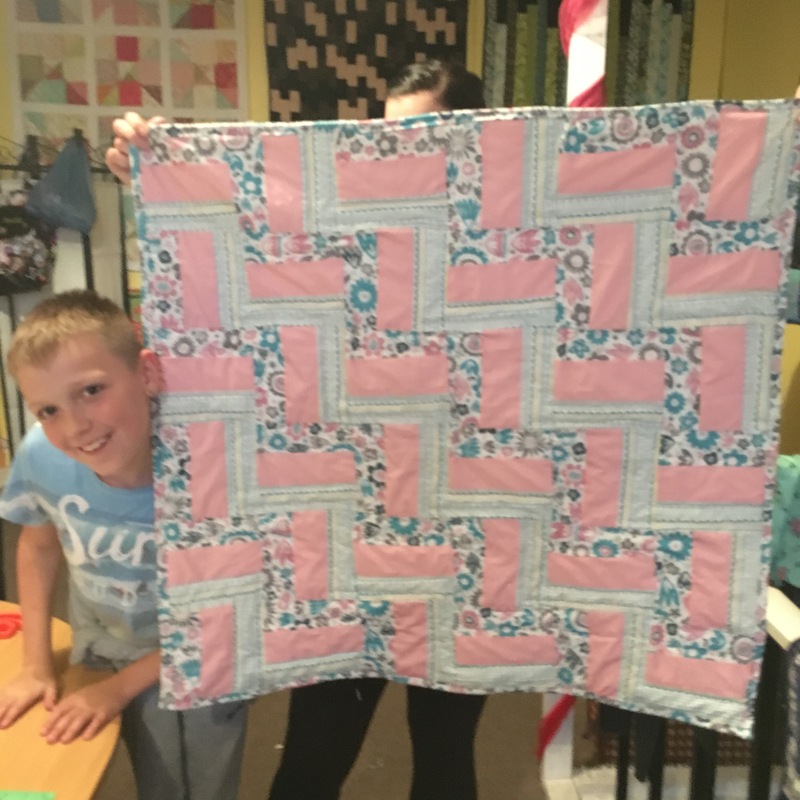 This week was the end of our last quilting course of the year 😦 I just love tutoring these courses. 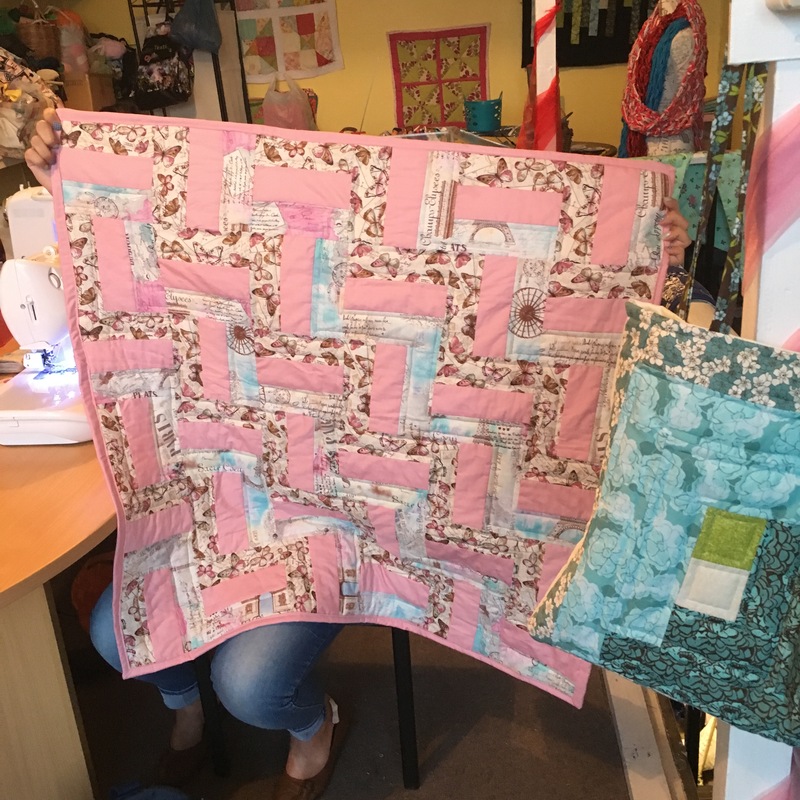 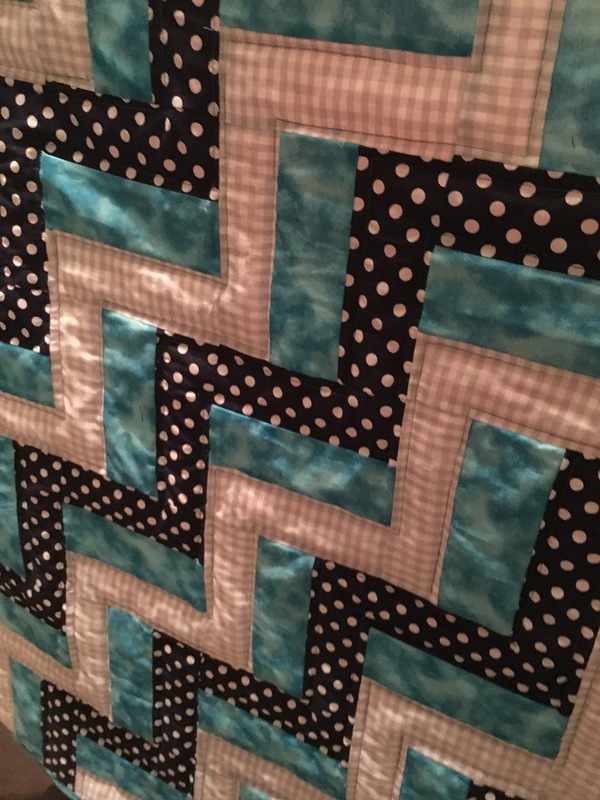 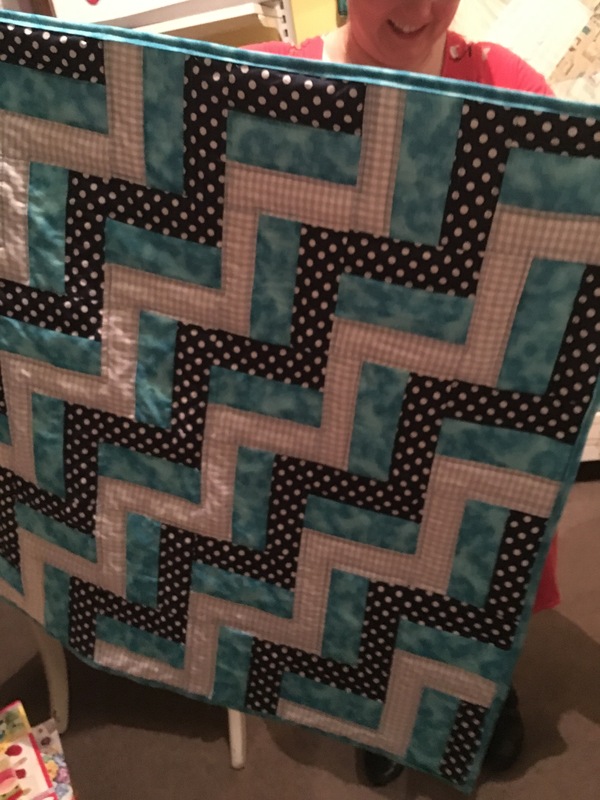 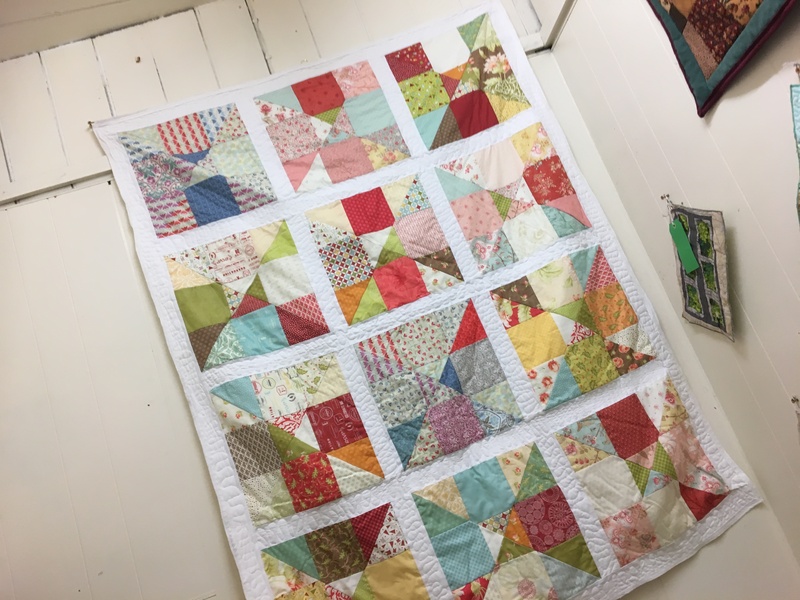 It’s a daunting task to people new to quilting but every single one of my ladies have done me proud. 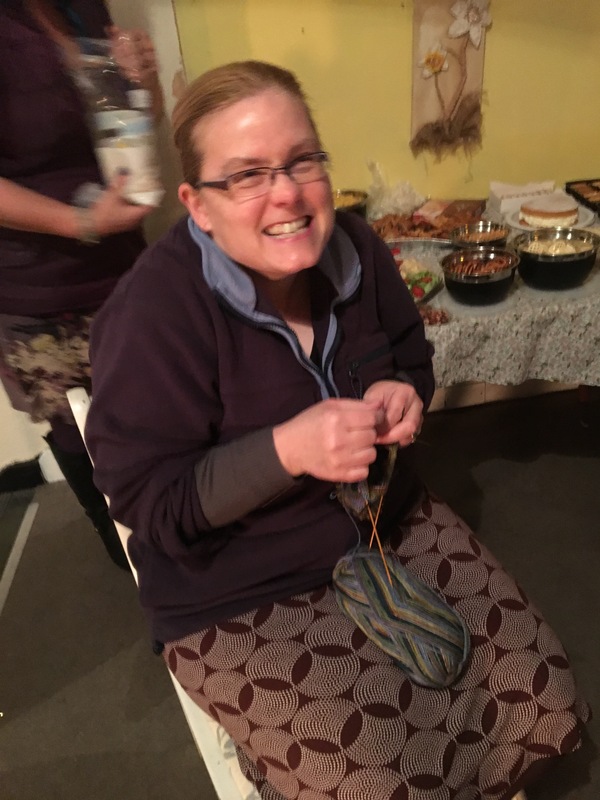 The evenings and day courses have been fun, relaxed and productive so it’s a definite that I will be running courses again next year. 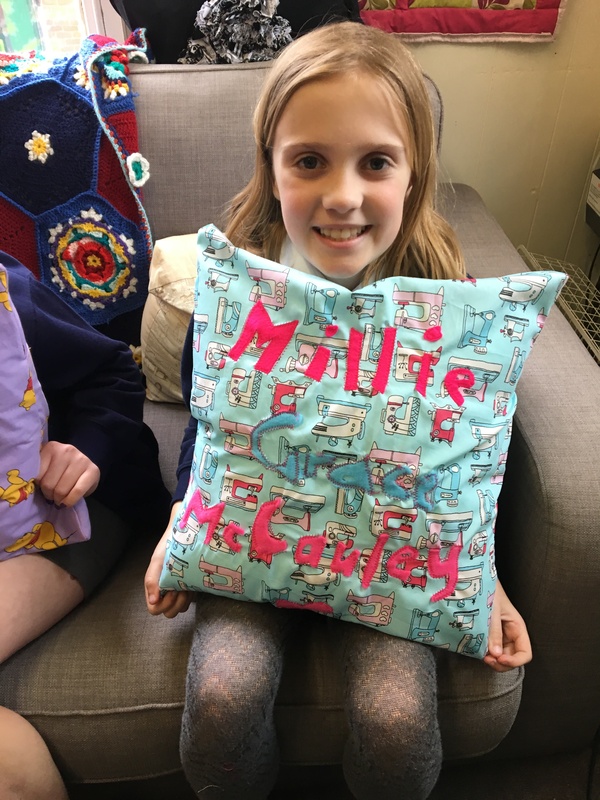 The kids in the sewing bee have been busy (as always). 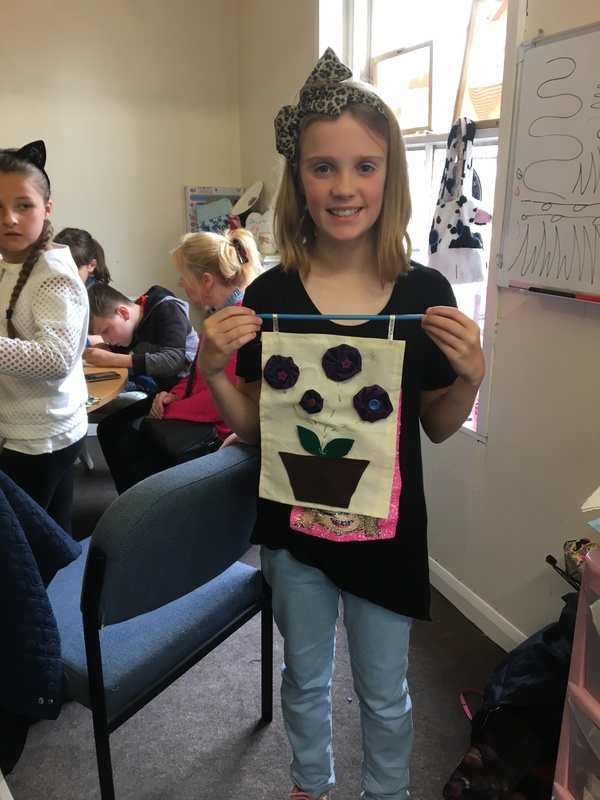 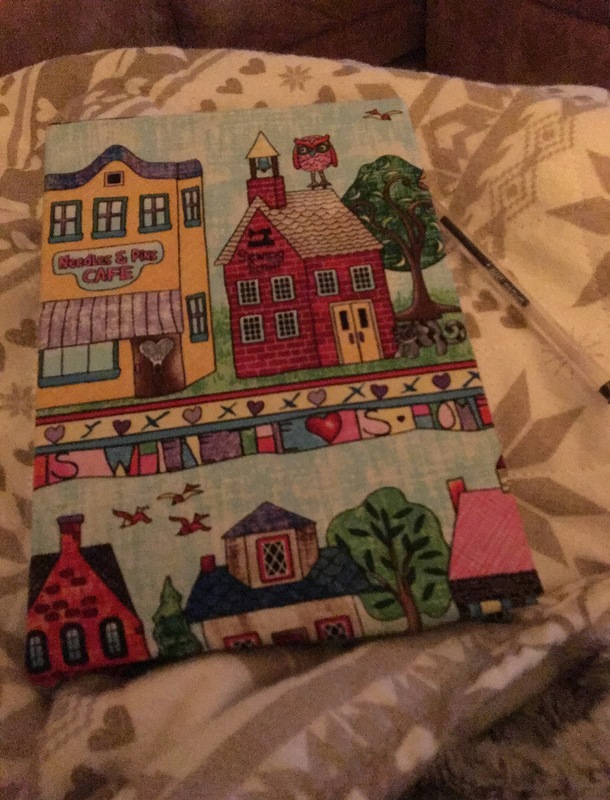 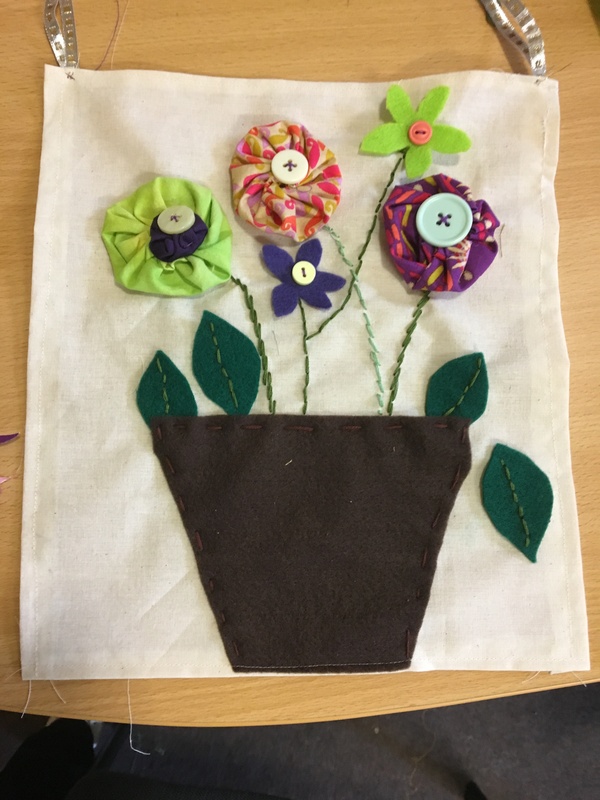 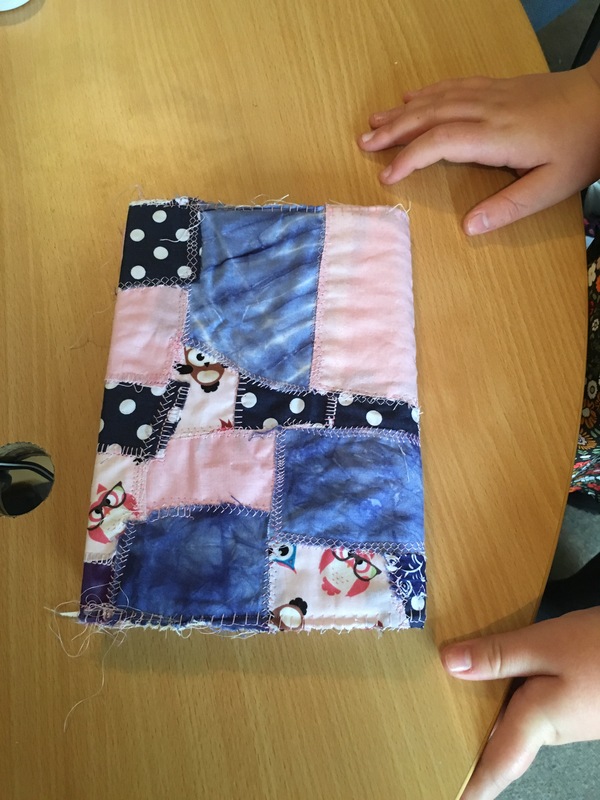 At the moment when have two groups making patchwork bags, a group starting to make a rag doll, two groups making doorstops. 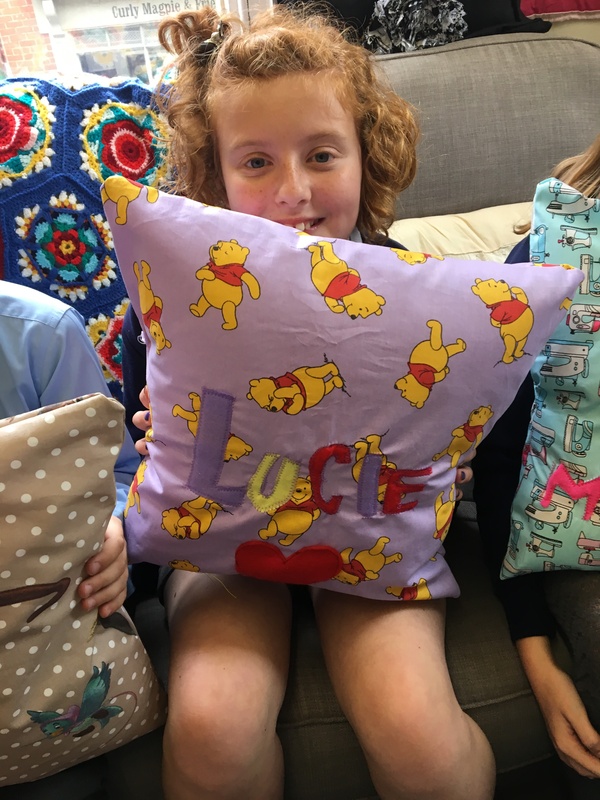 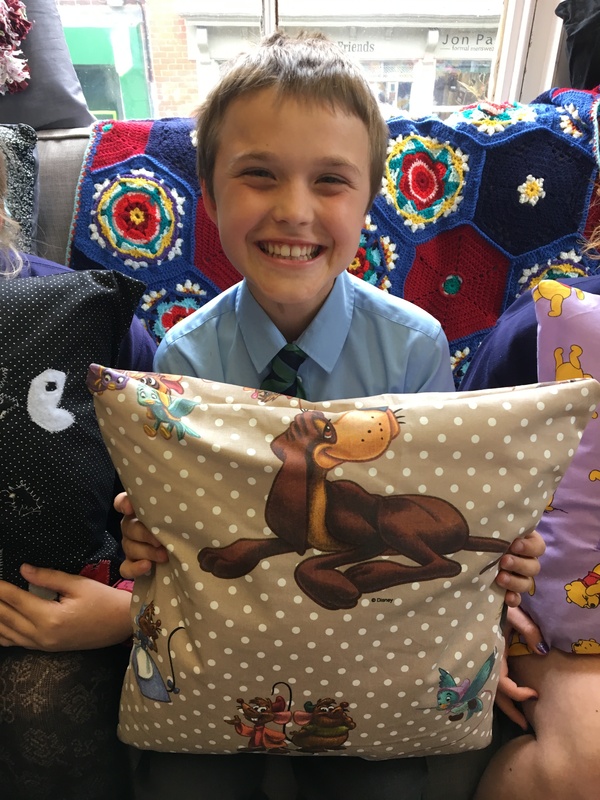 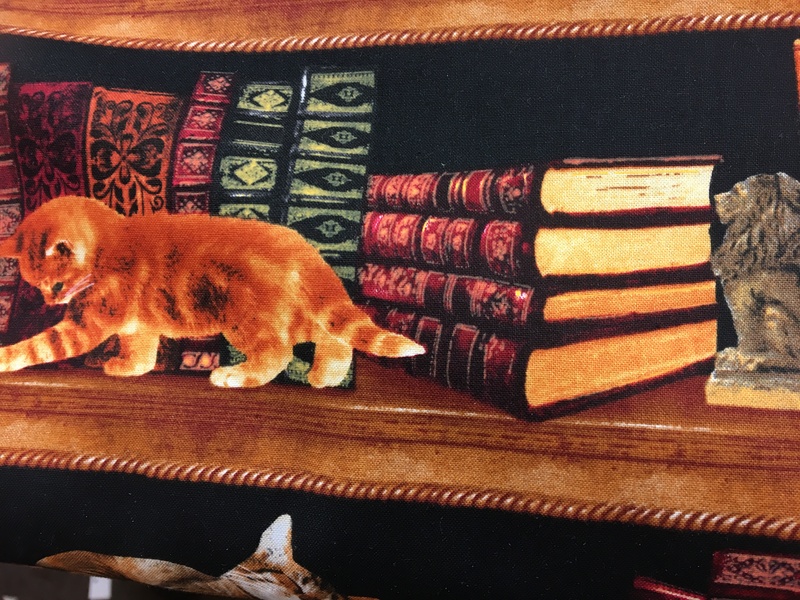 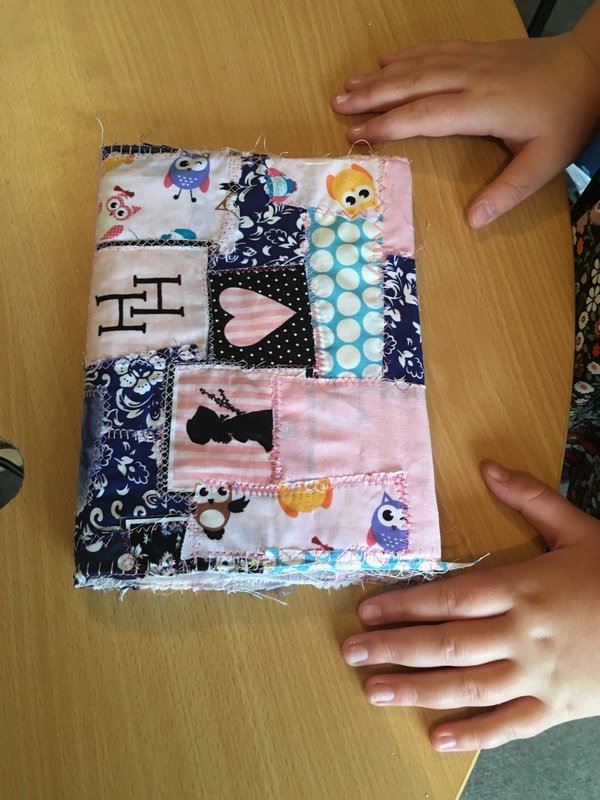 On Saturday we have finished off appliqué cushions and book covers. 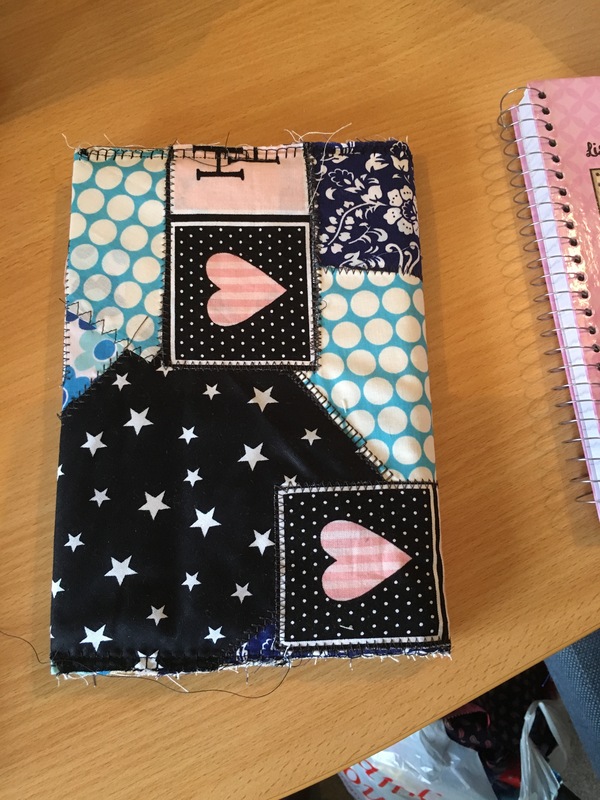 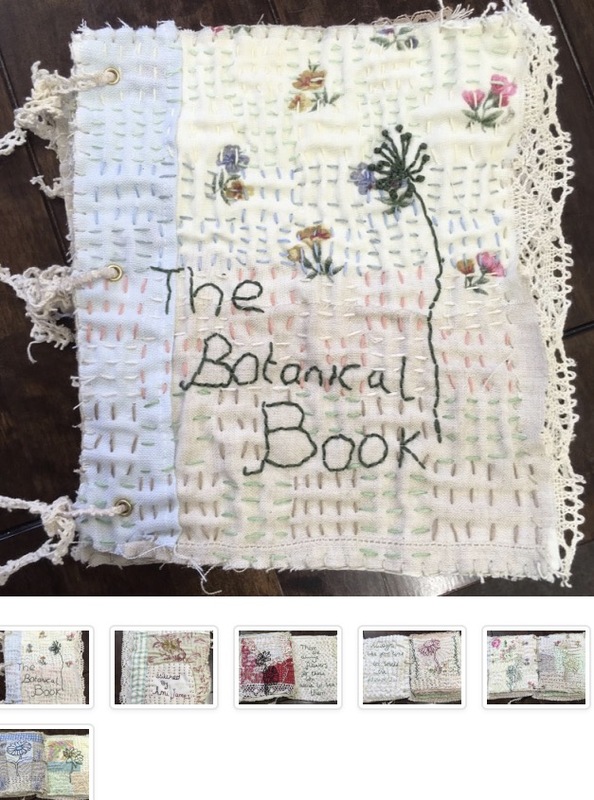 The book covers are a great project, it allows to pick you own colour scheme (and is great for using up scraps). 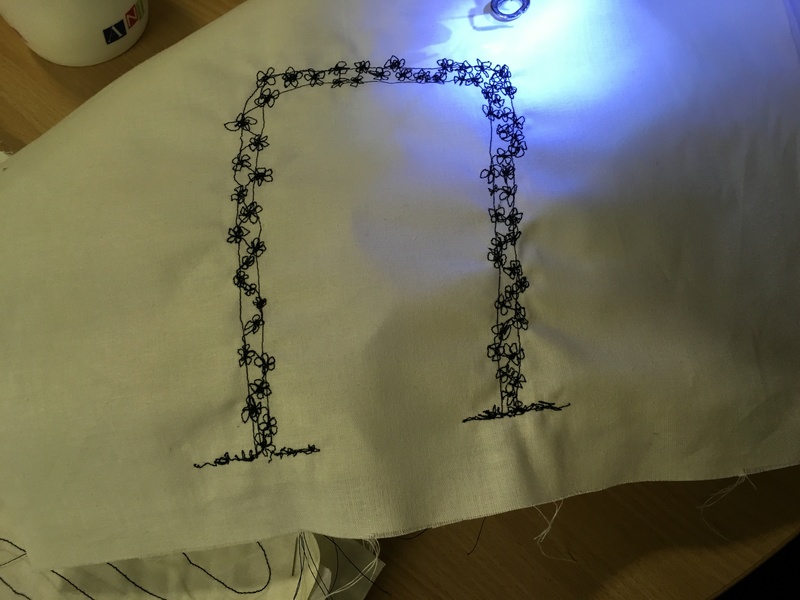 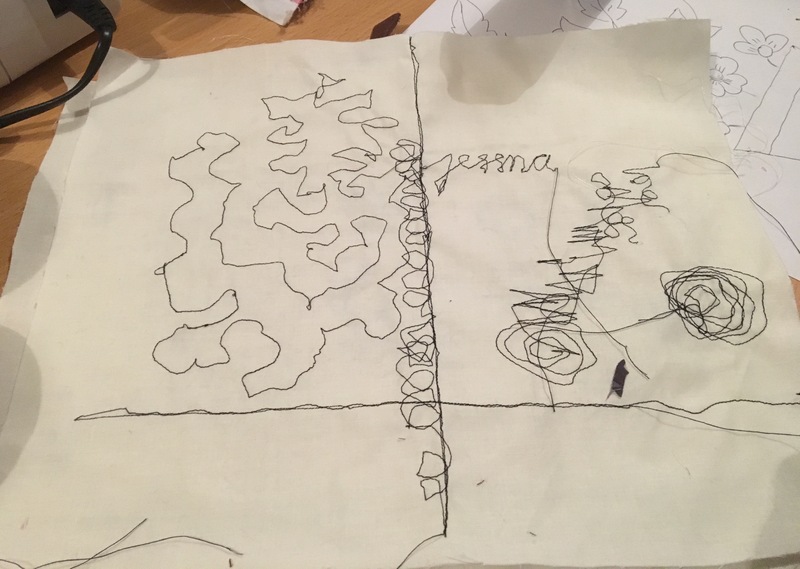 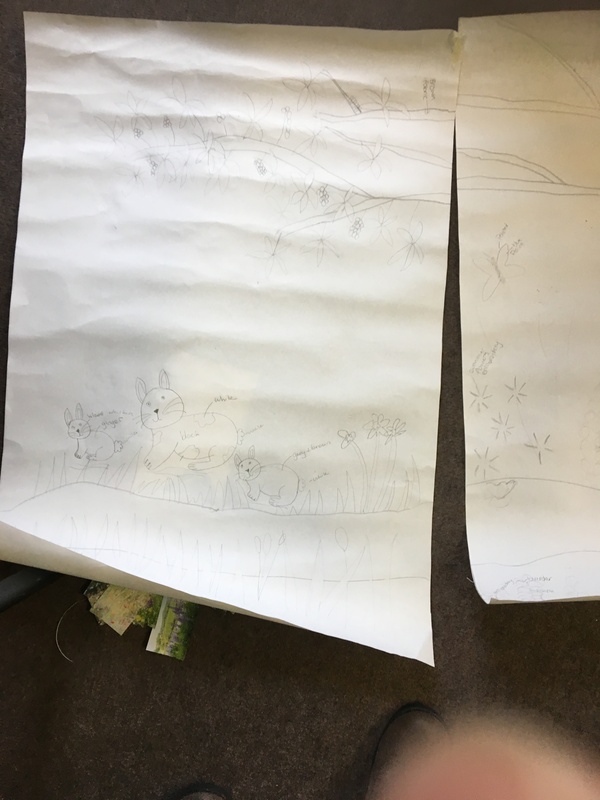 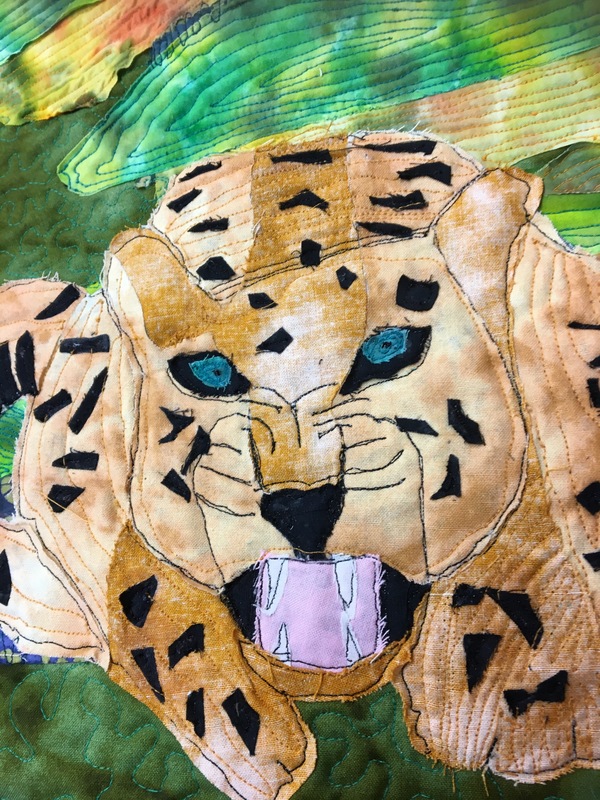 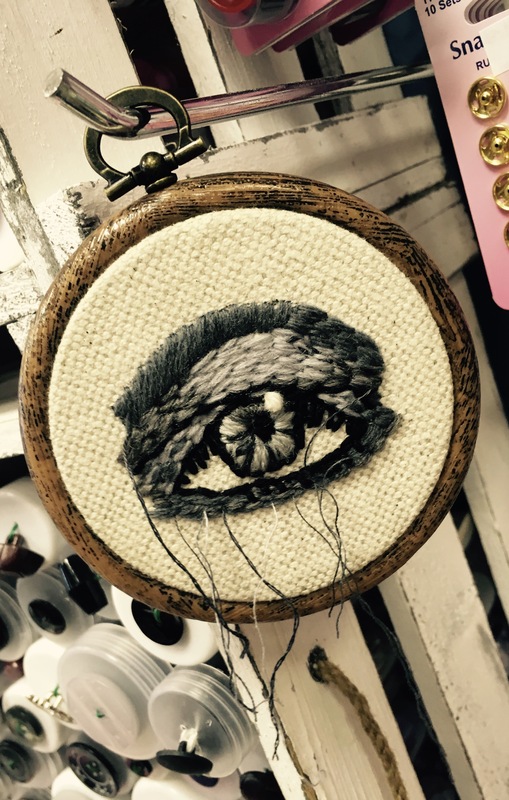 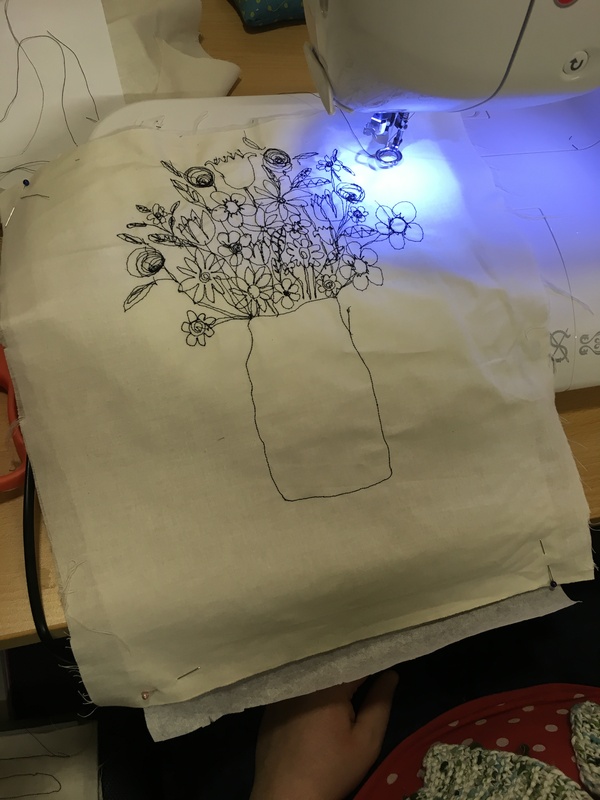 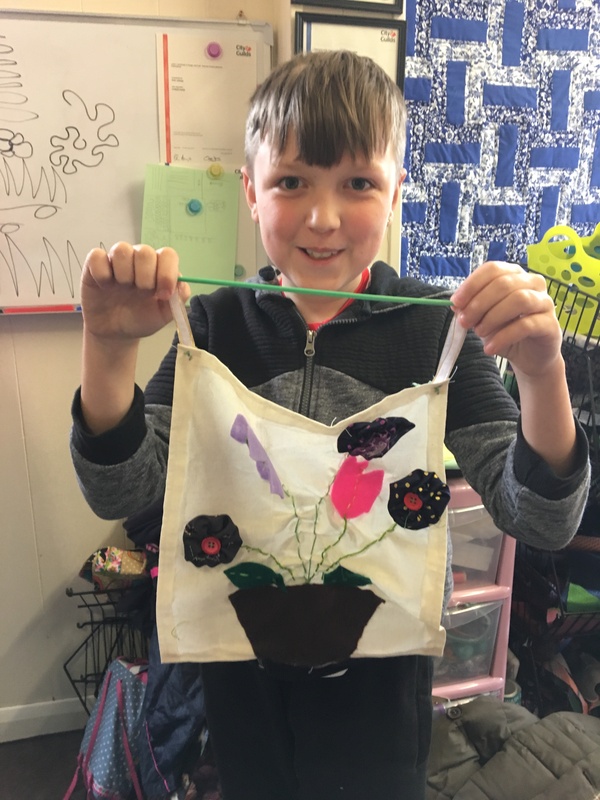 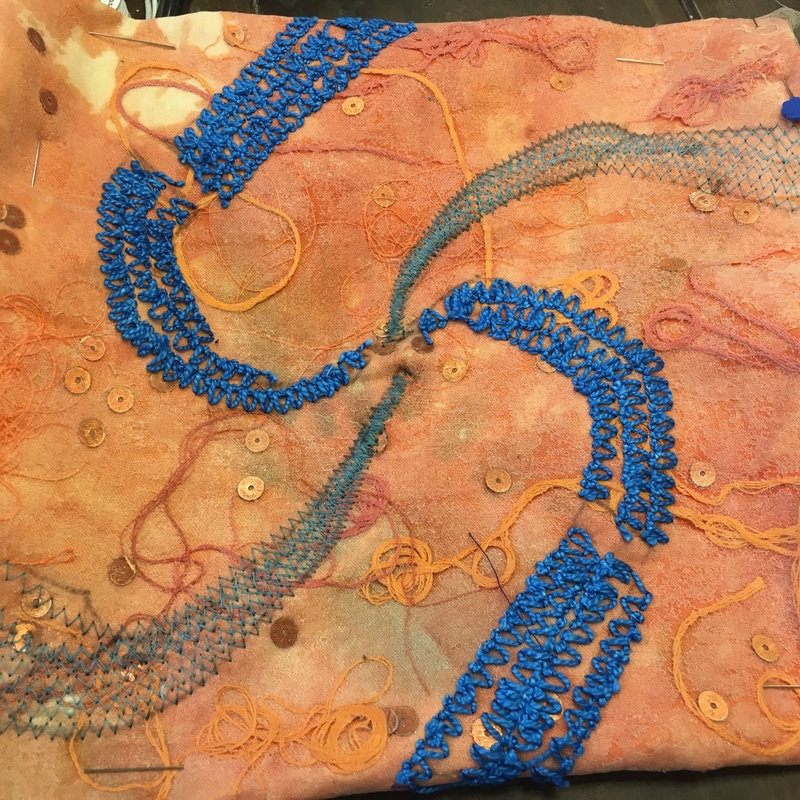 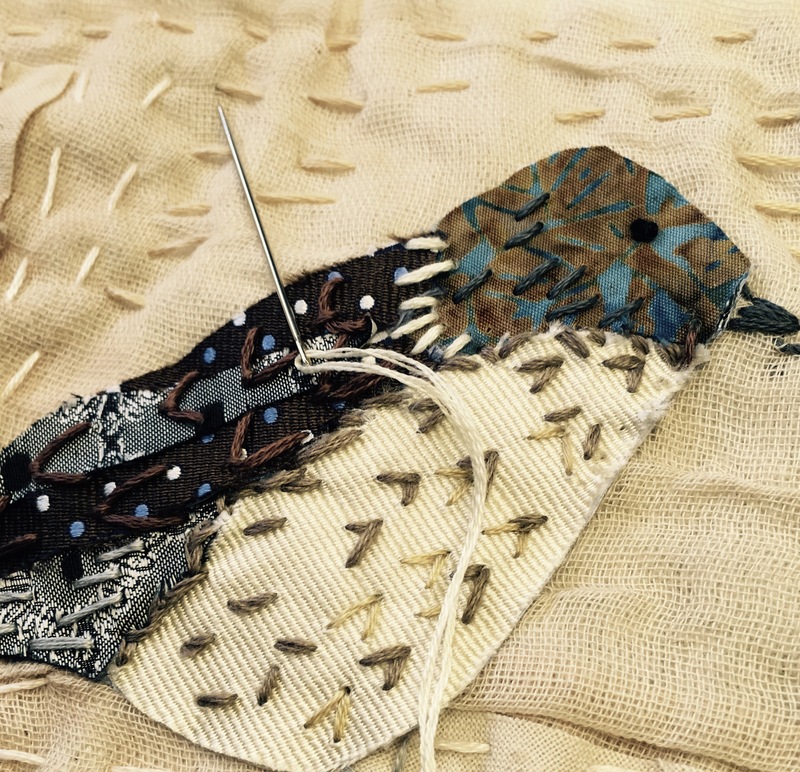 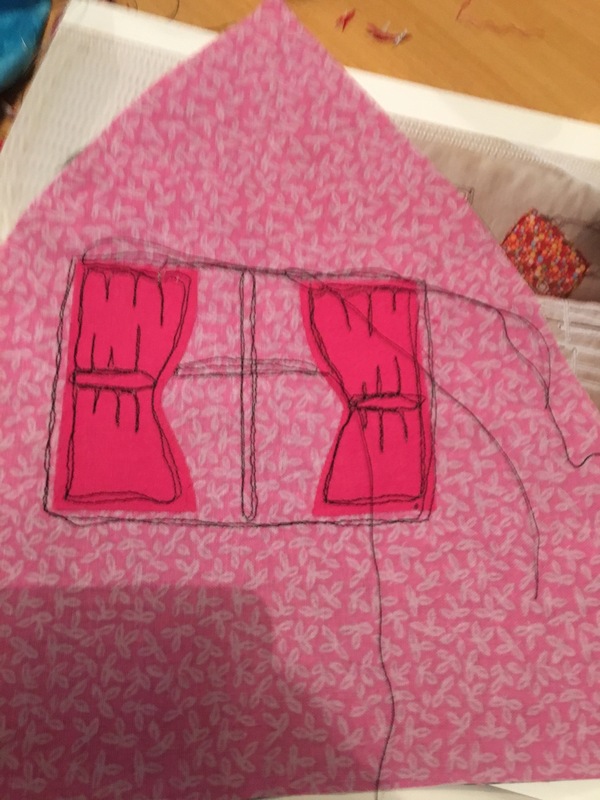 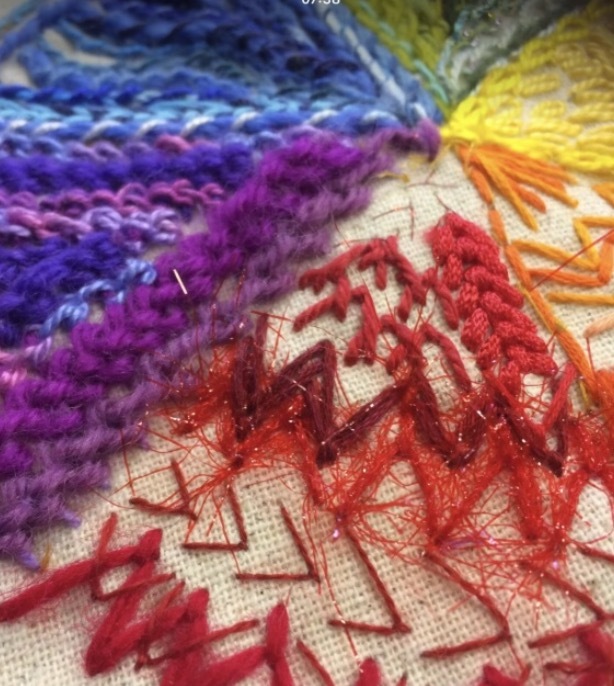 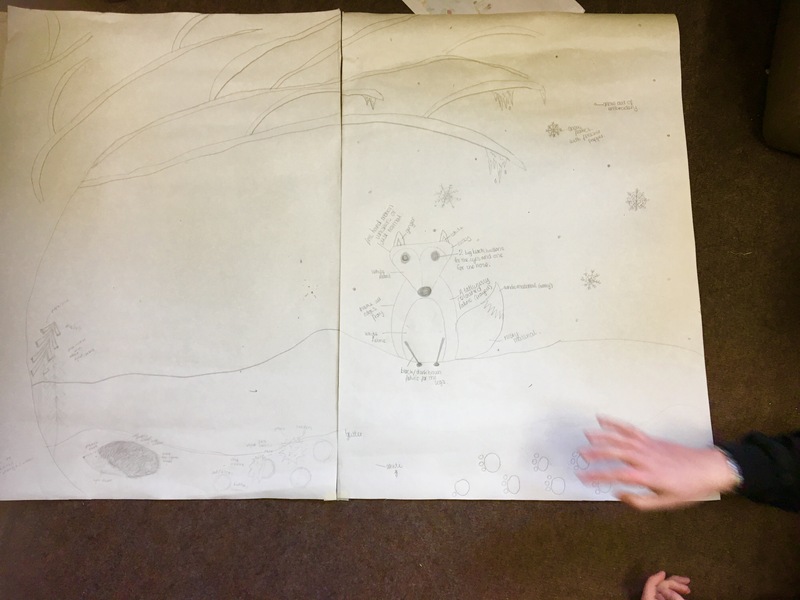 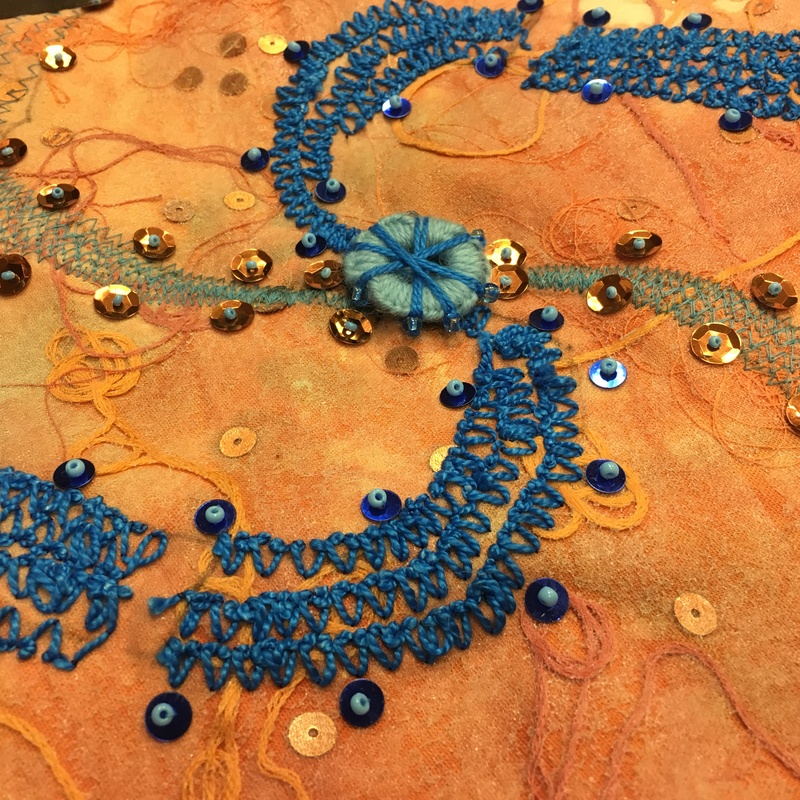 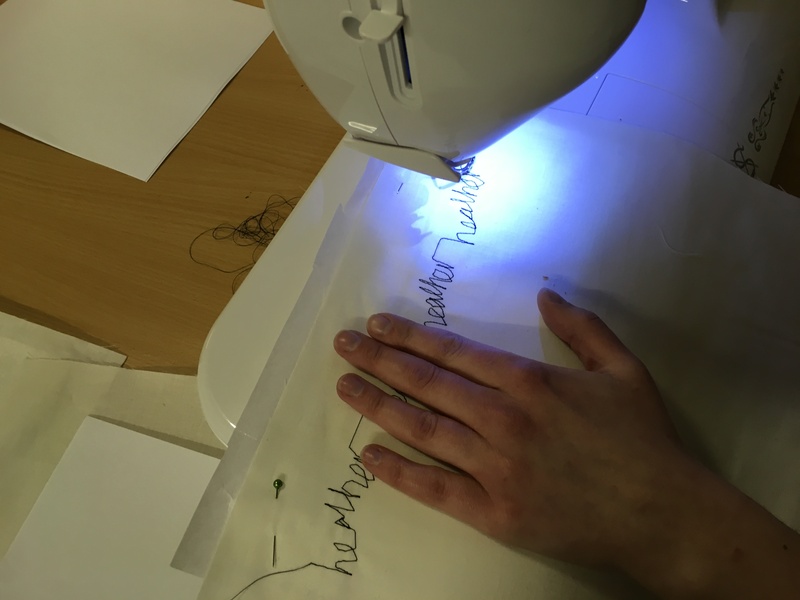 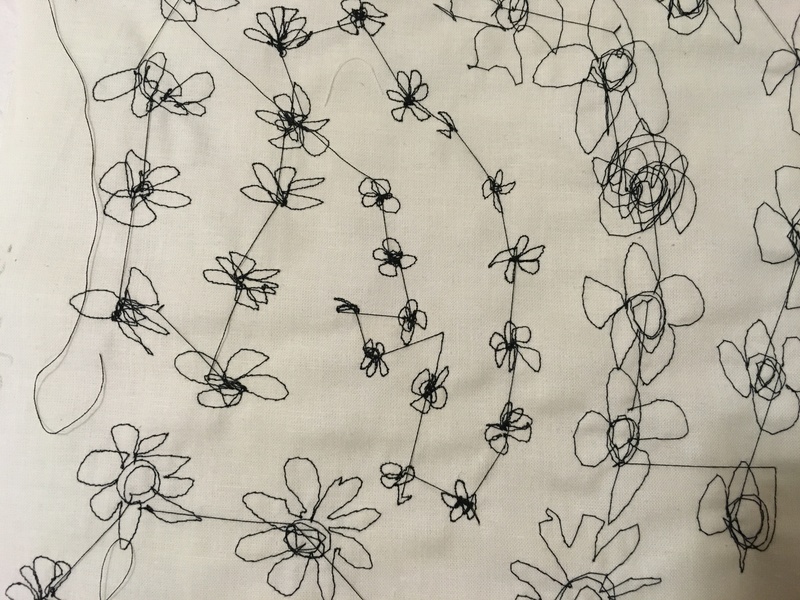 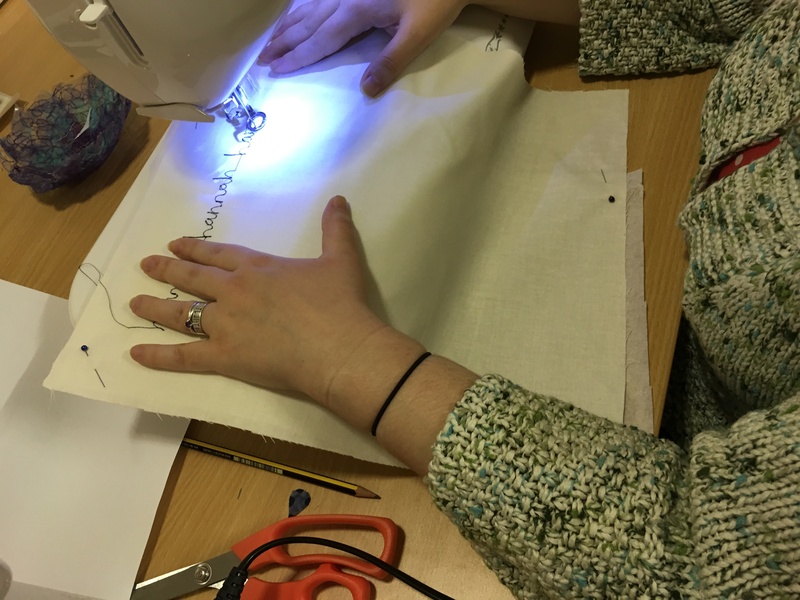 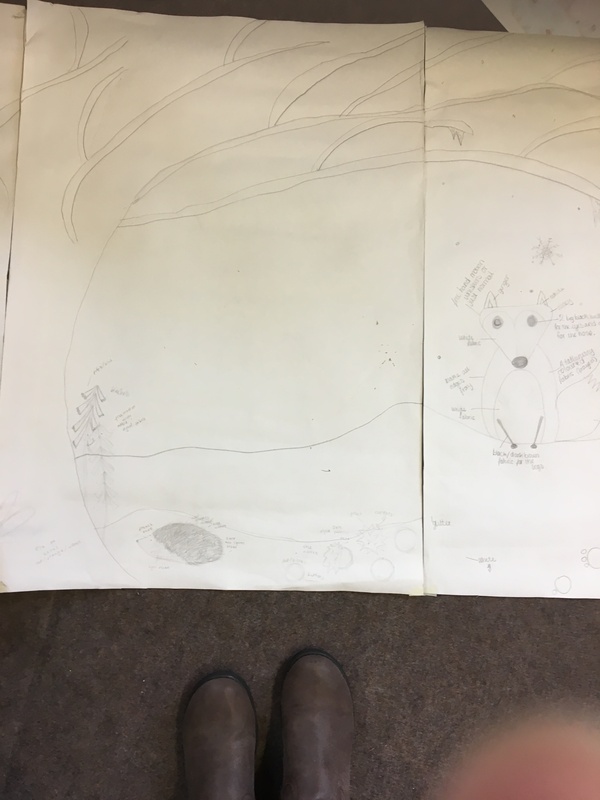 Then designing the layout followed by thread choice and the most exciting part……picking and experimenting with stitches. 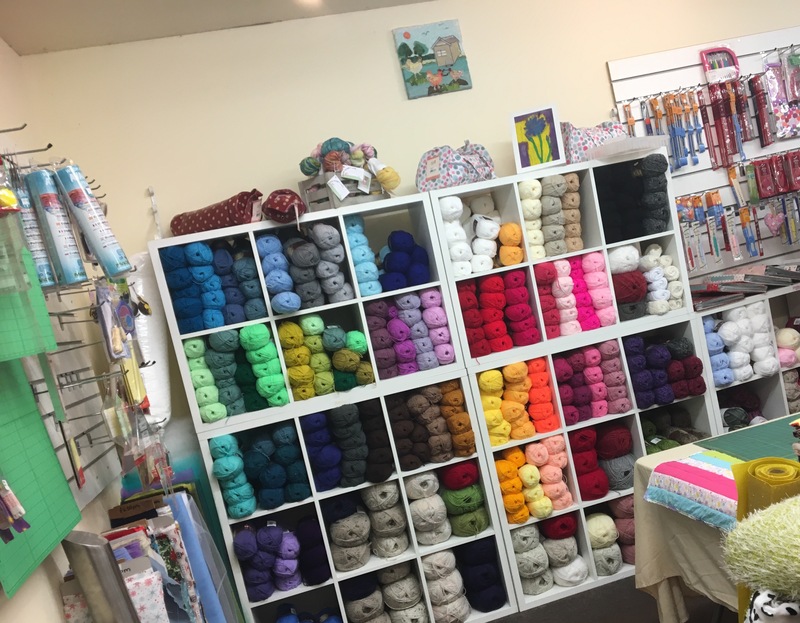 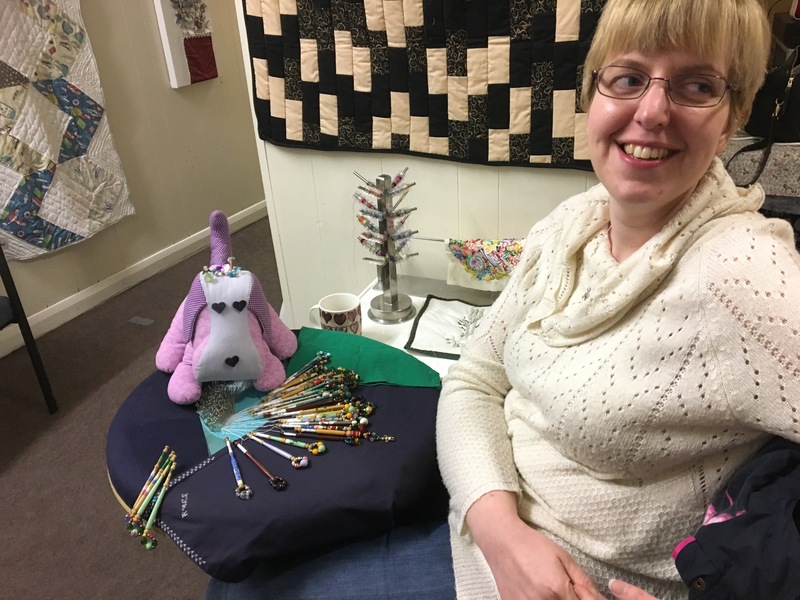 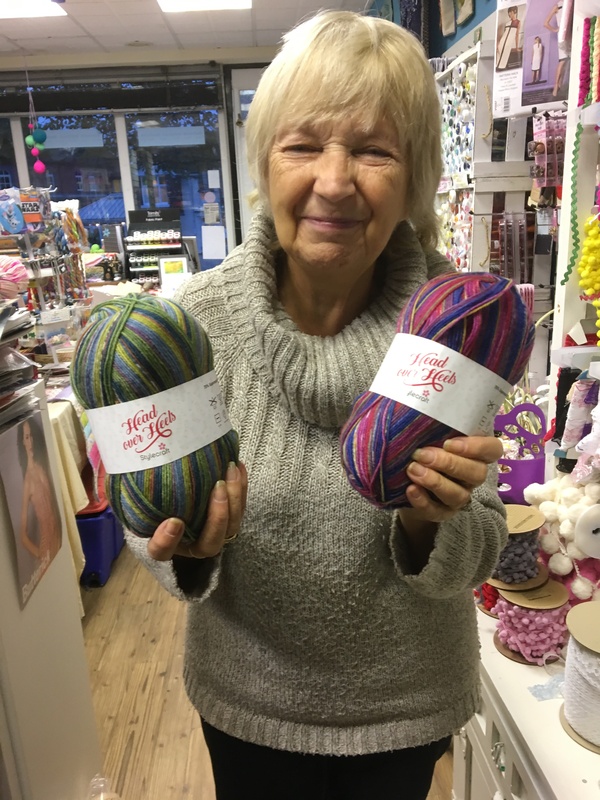 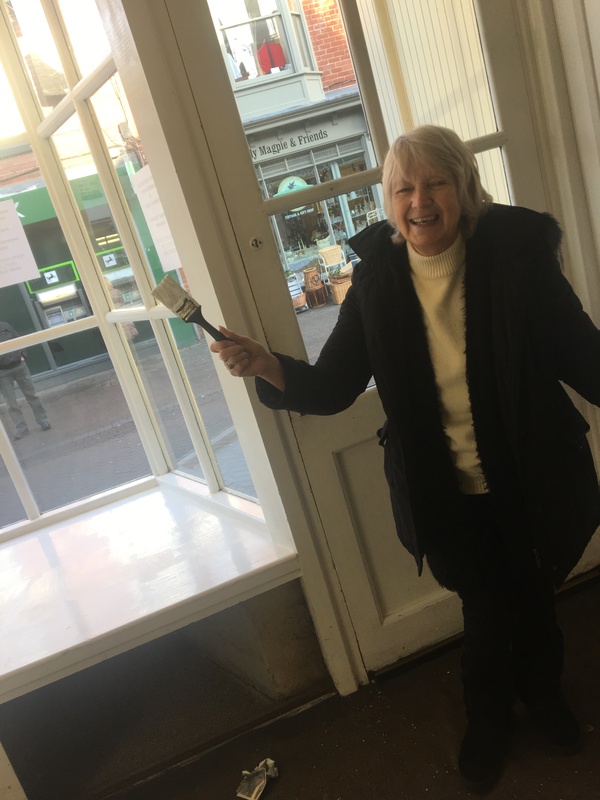 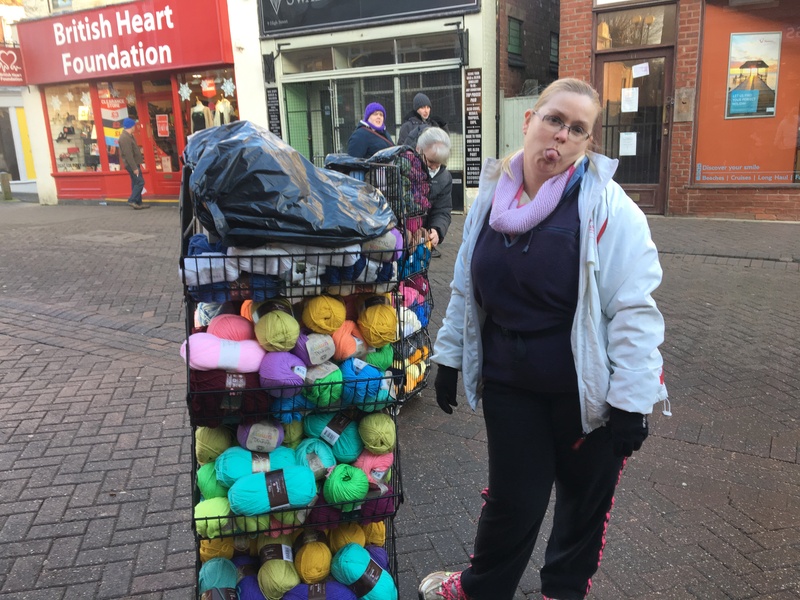 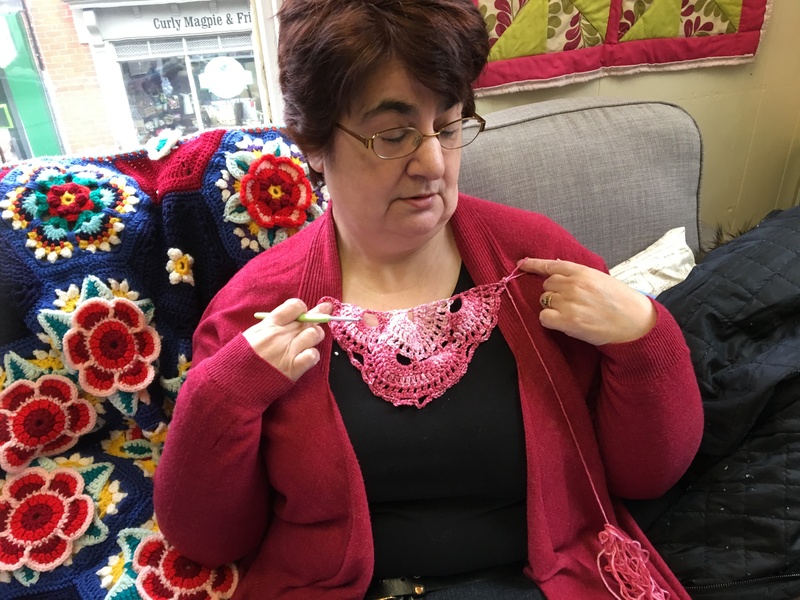 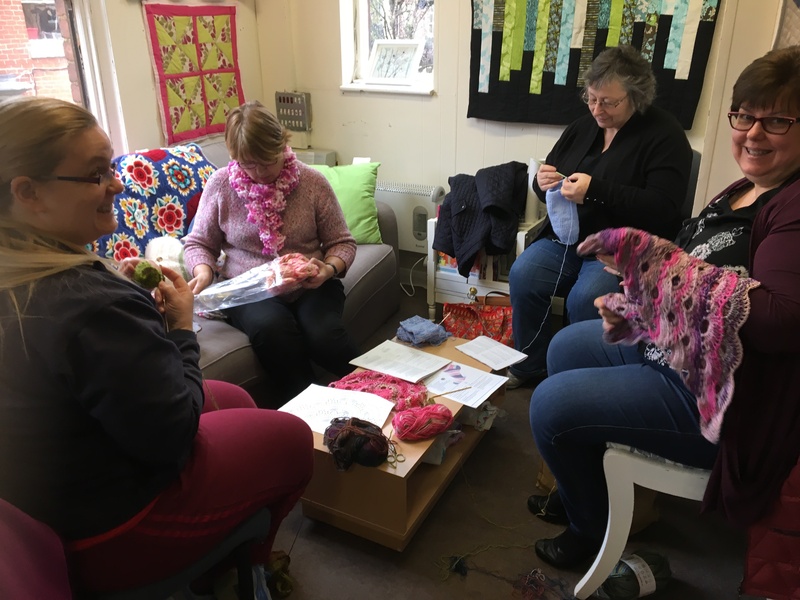 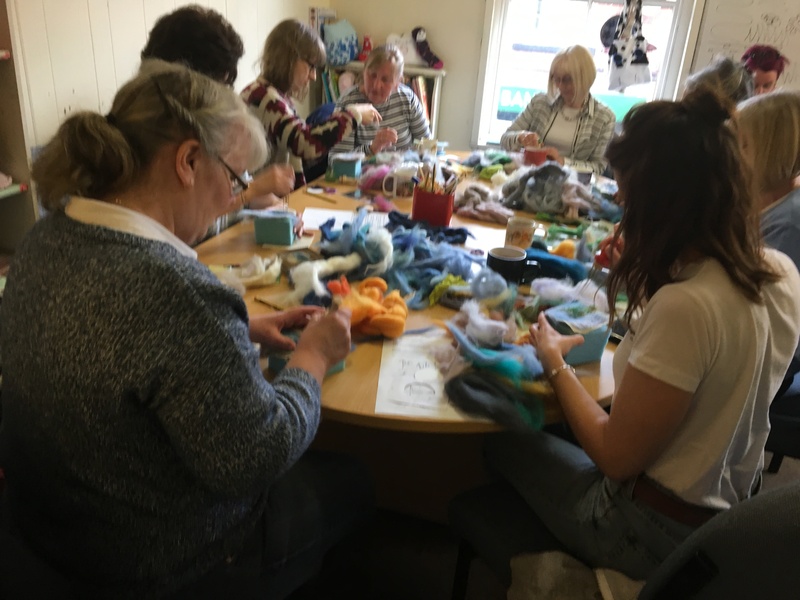 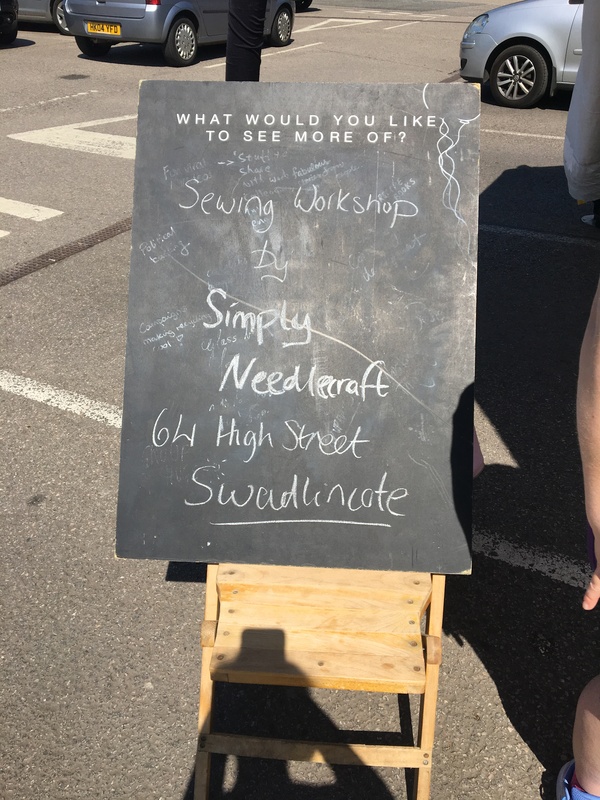 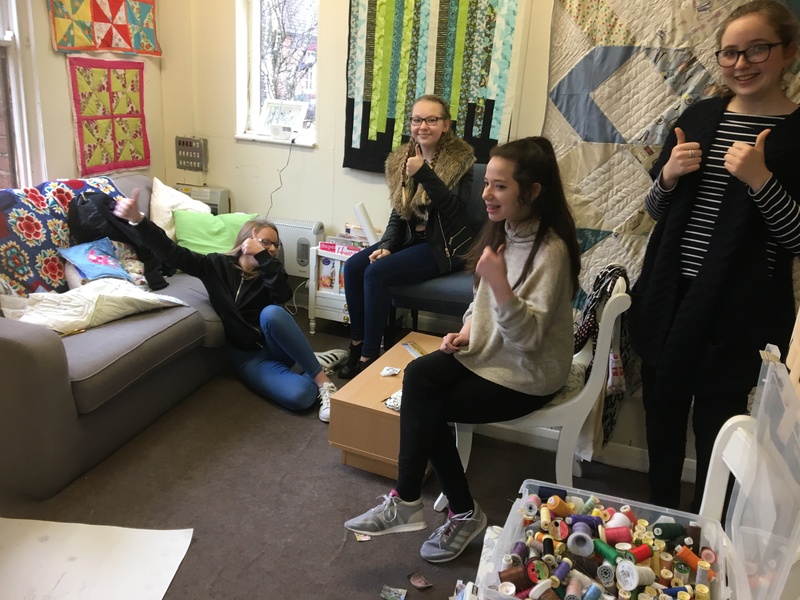 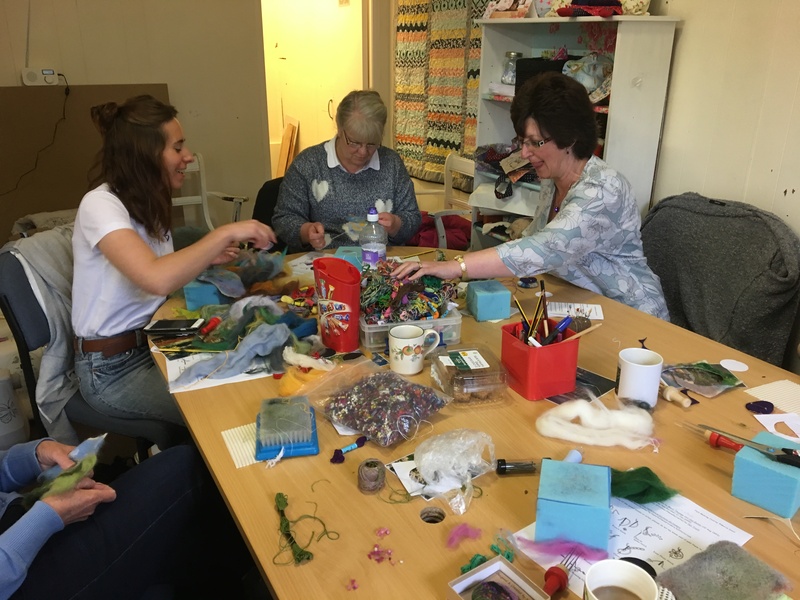 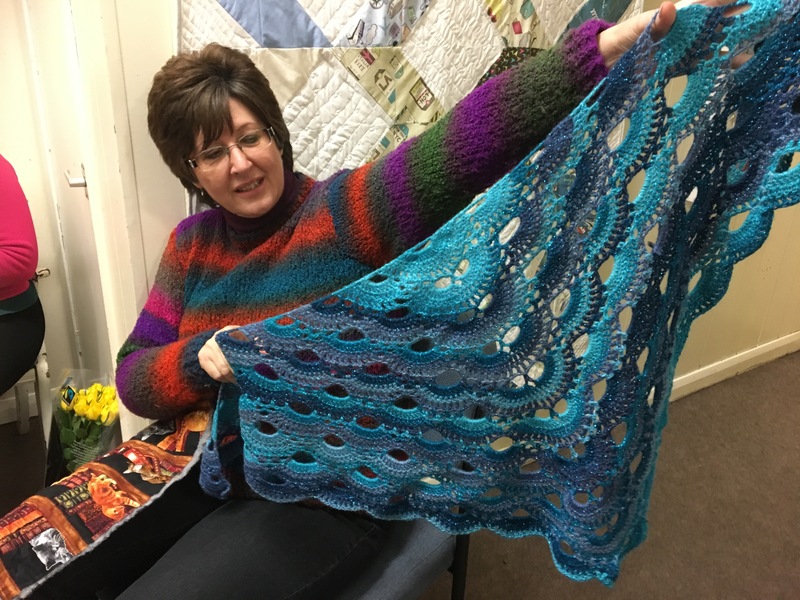 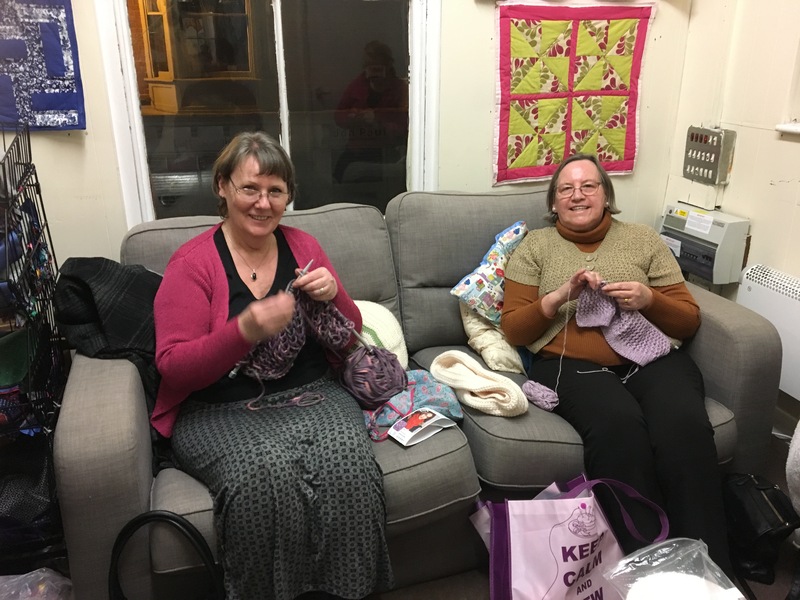 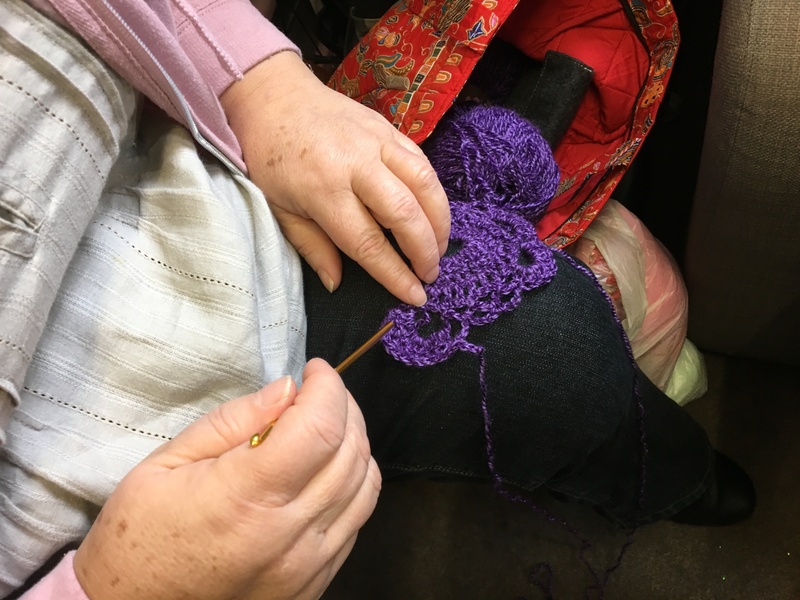 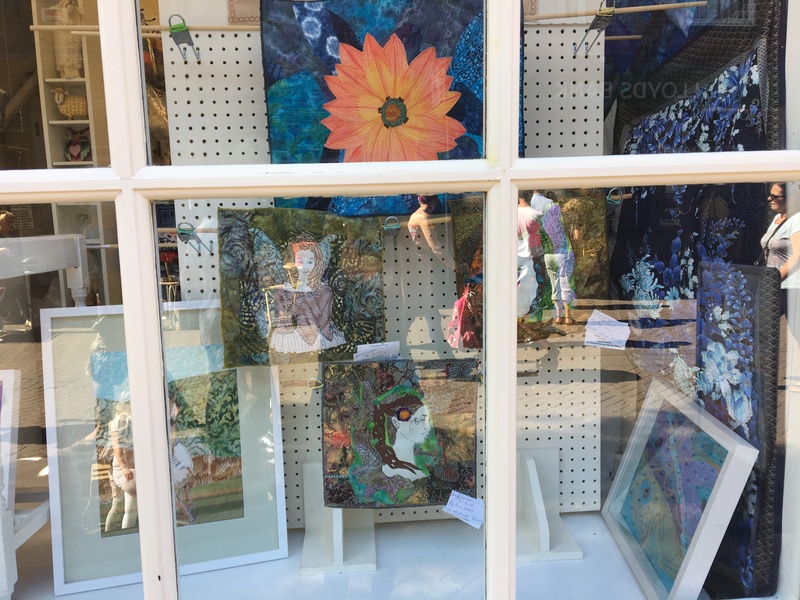 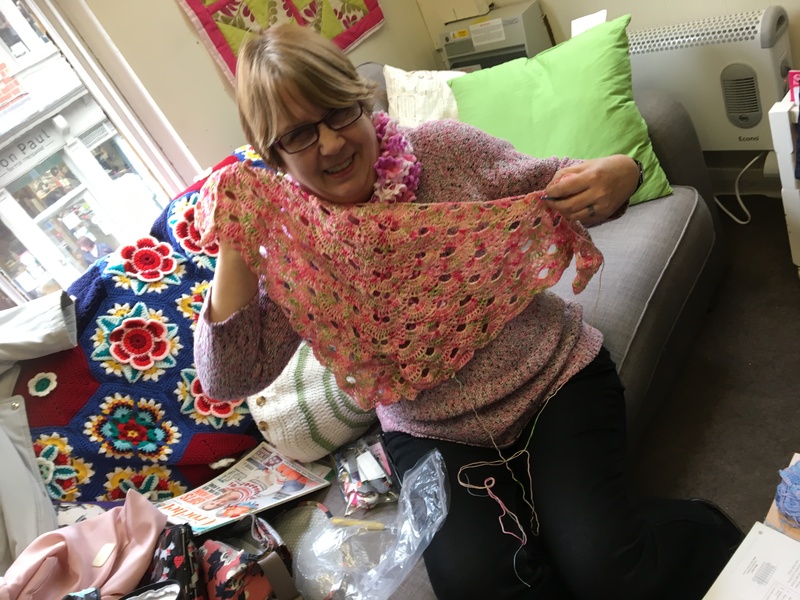 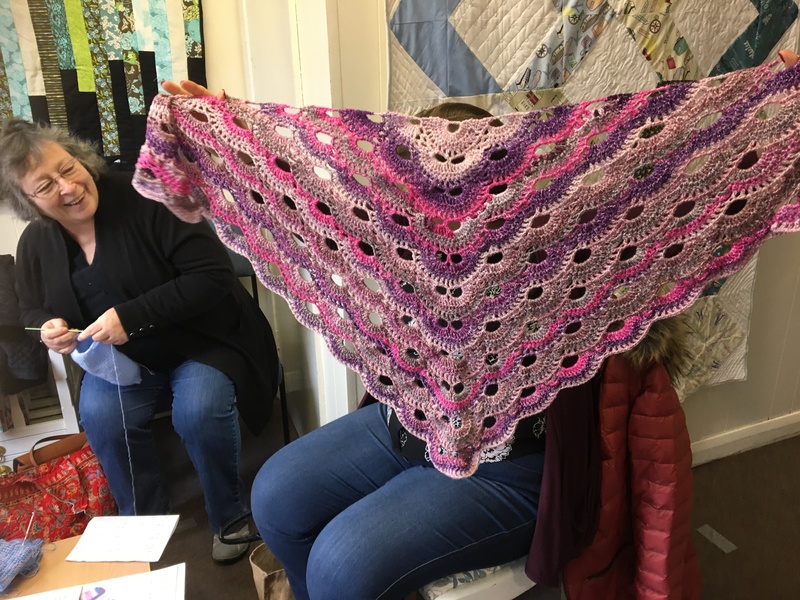 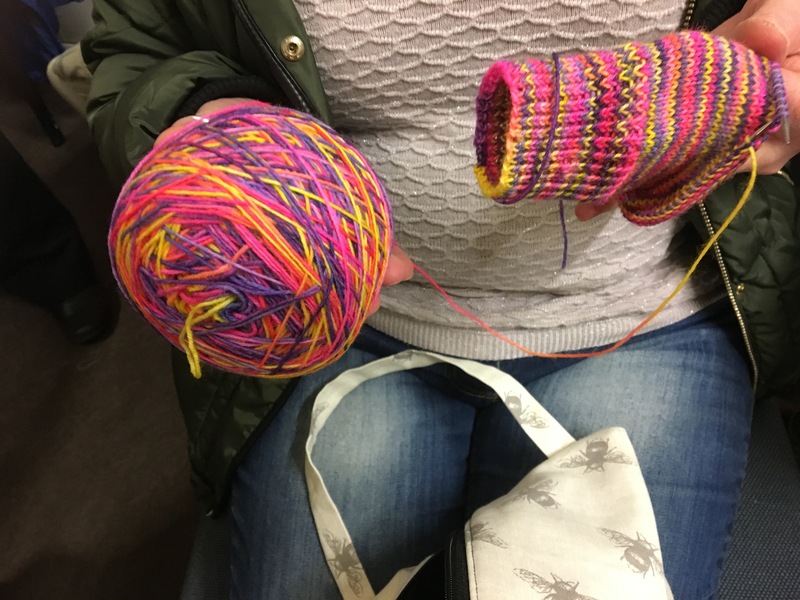 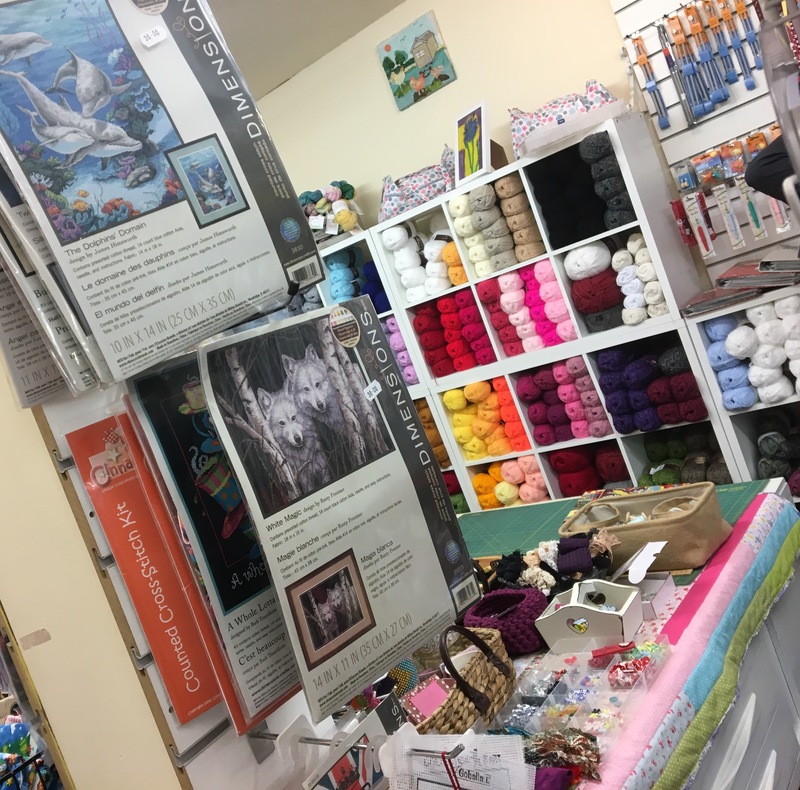 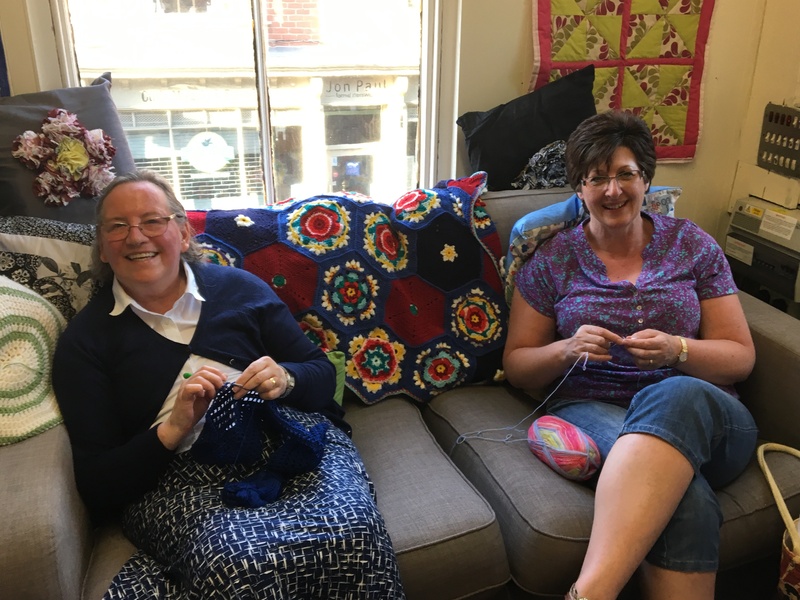 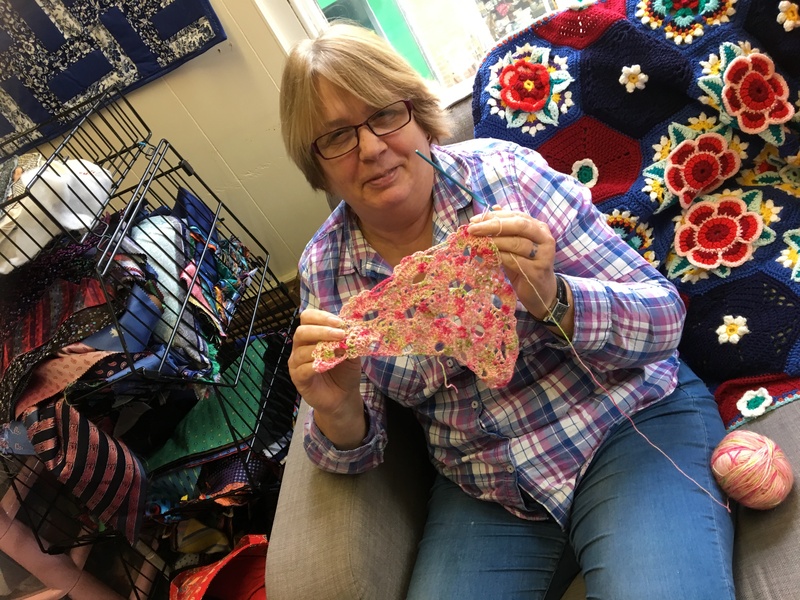 Our Sue and her lovely ladies from the crochet workshop have been following the Stylecraft crochet along……..the crochet workshops run every Saturday 10-12pm. 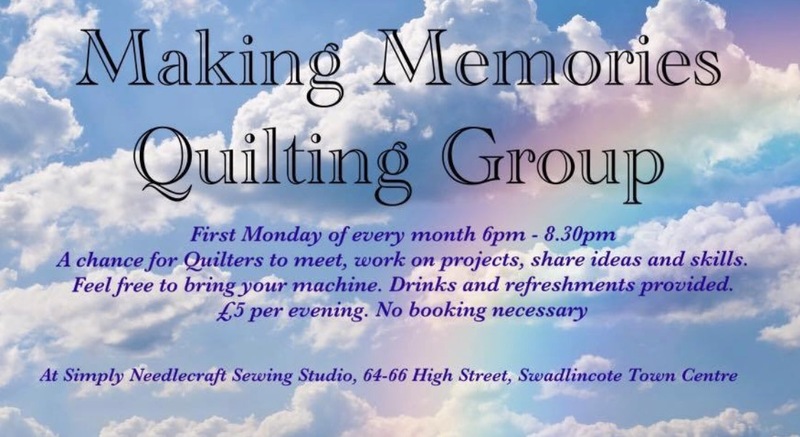 Beginners very welcome. 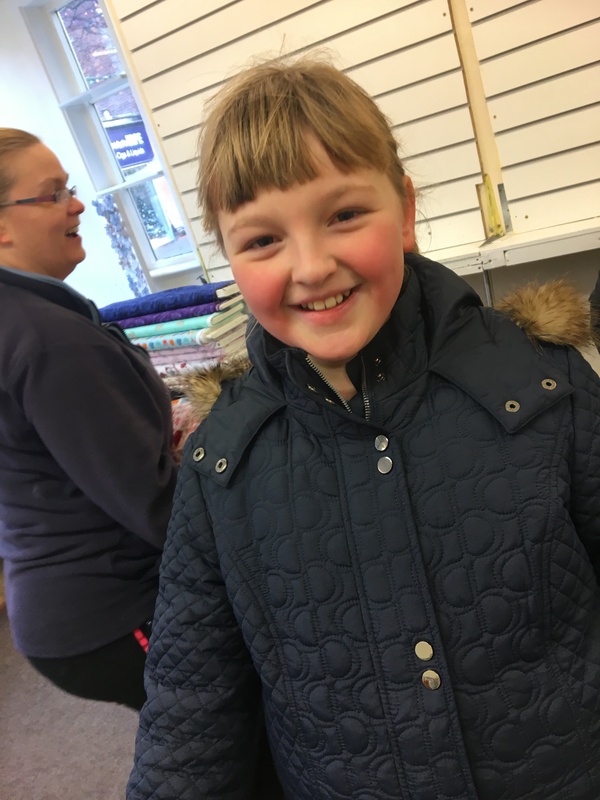 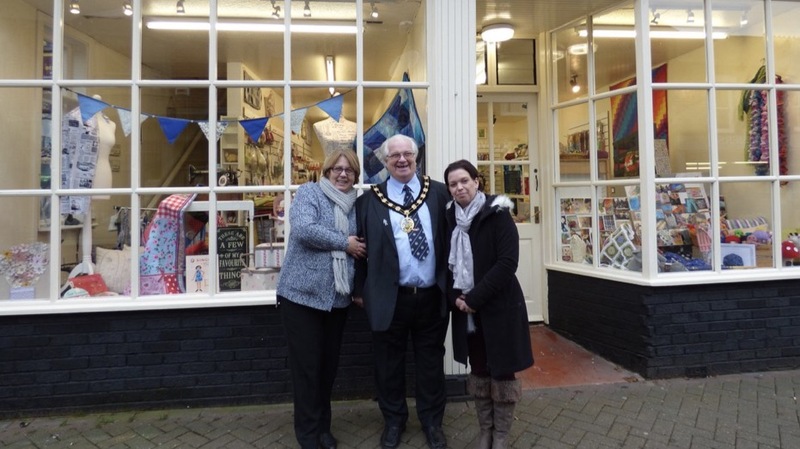 That’s all my news for this week, it’s been another busy and vibrant week here. 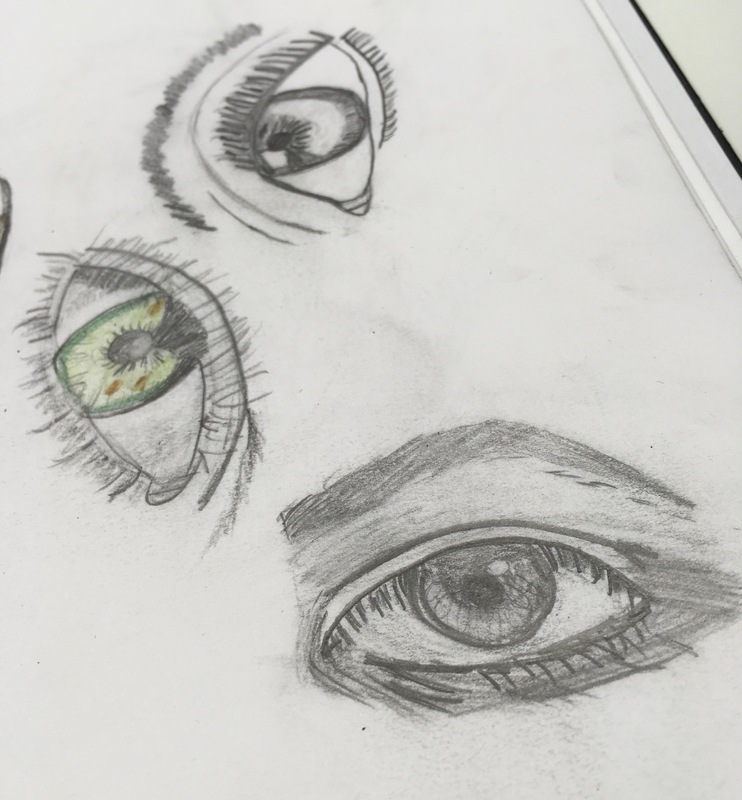 Thanks for following.